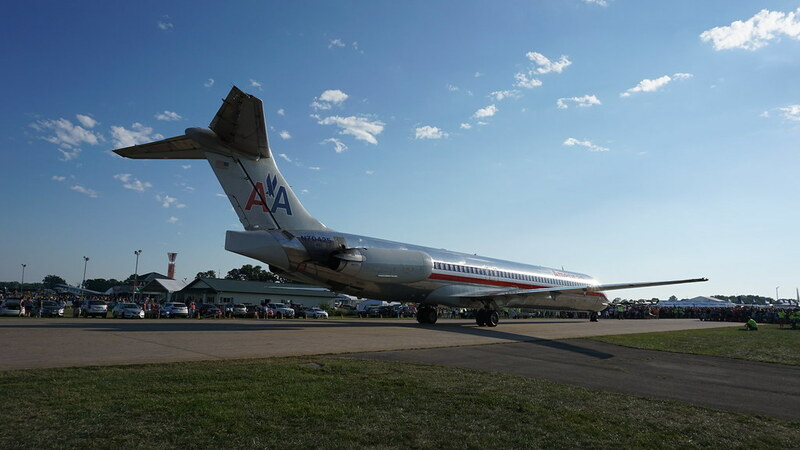 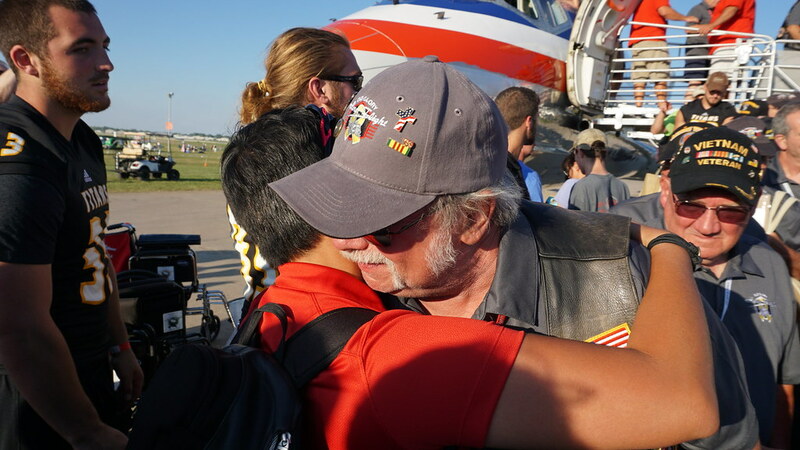 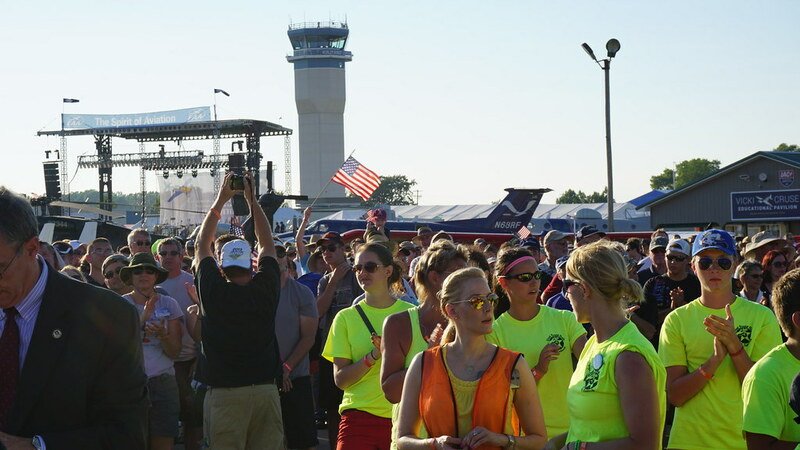 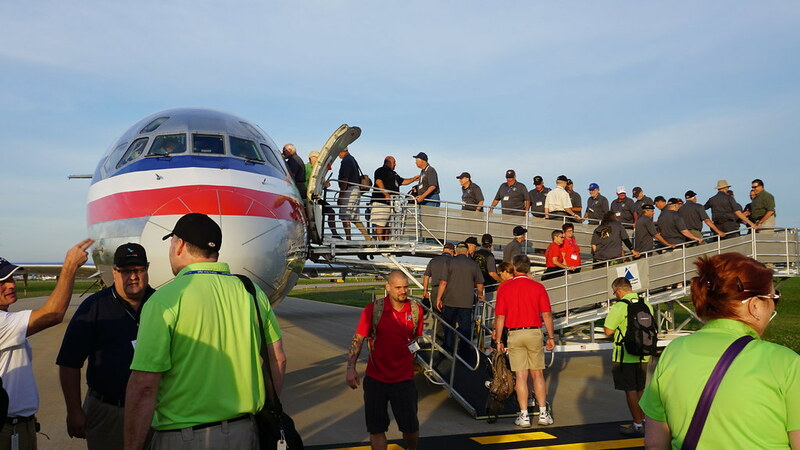 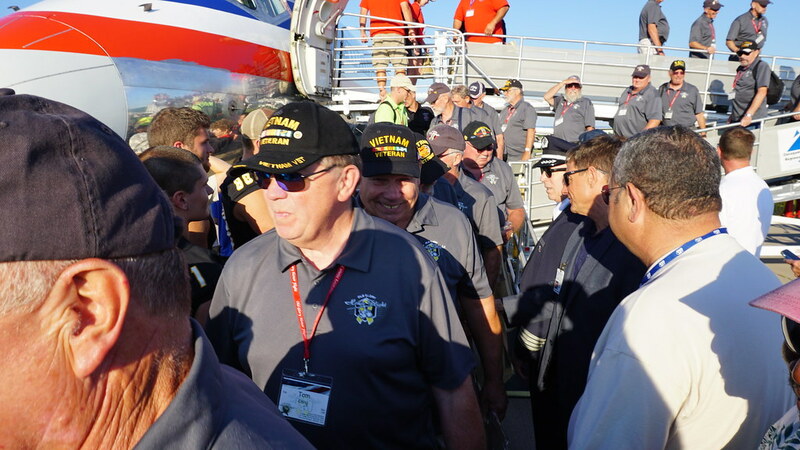 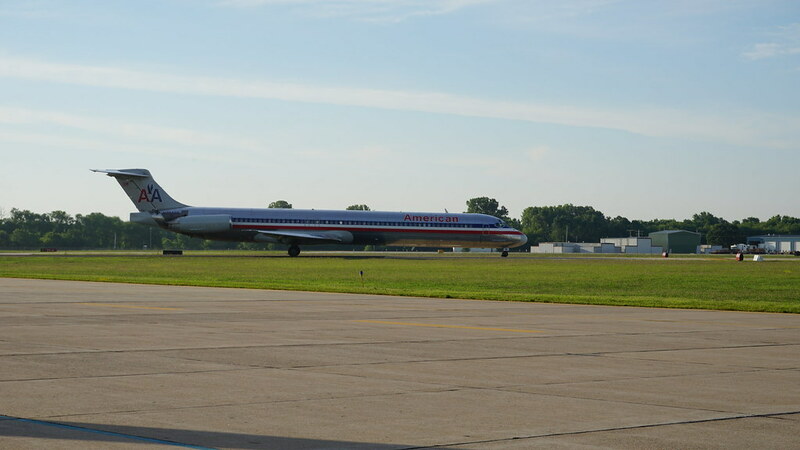 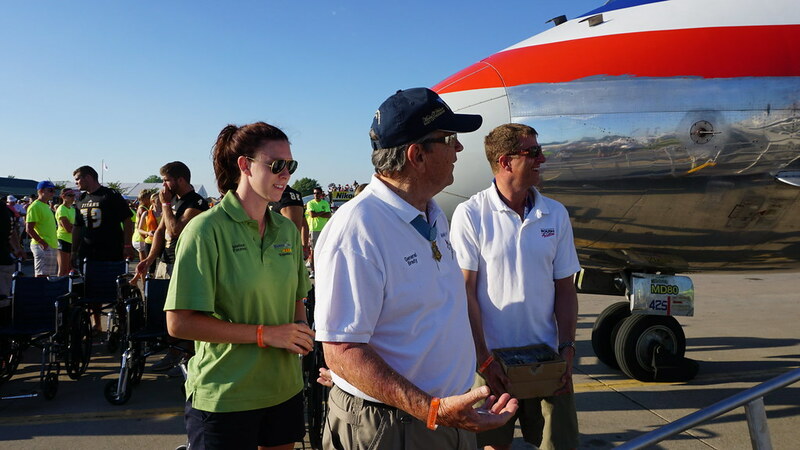 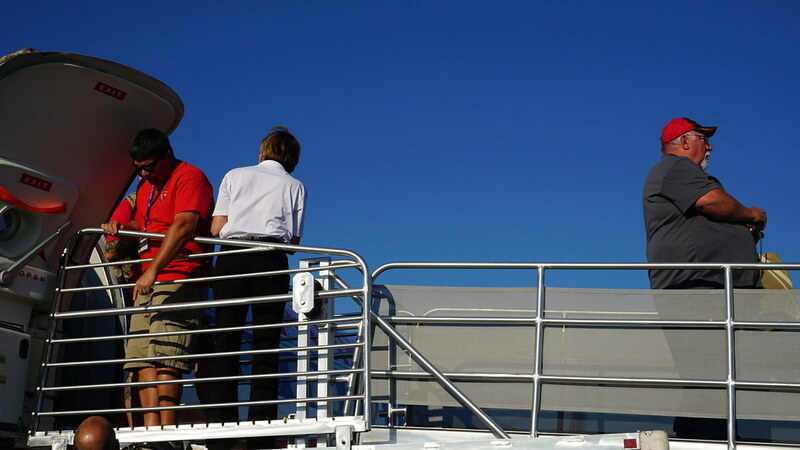 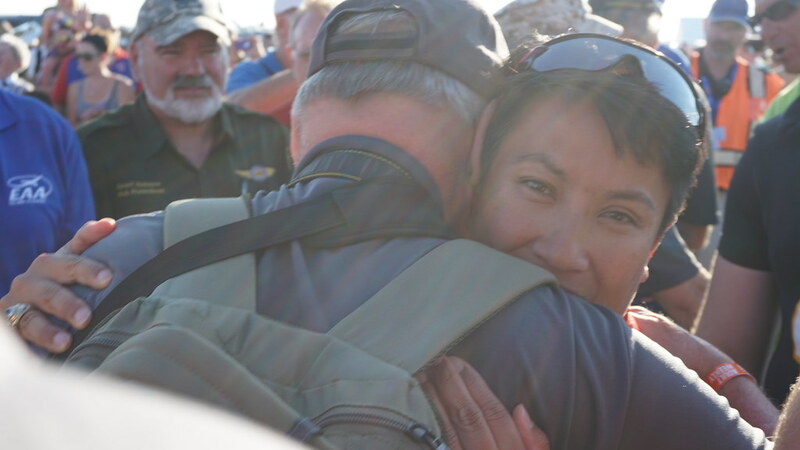 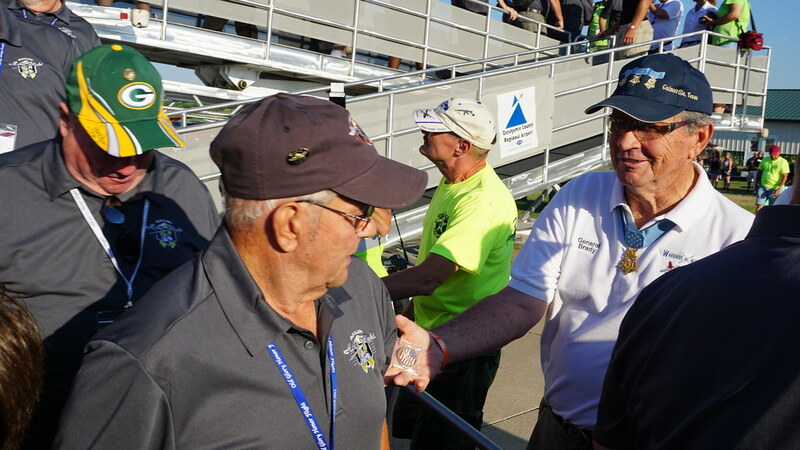 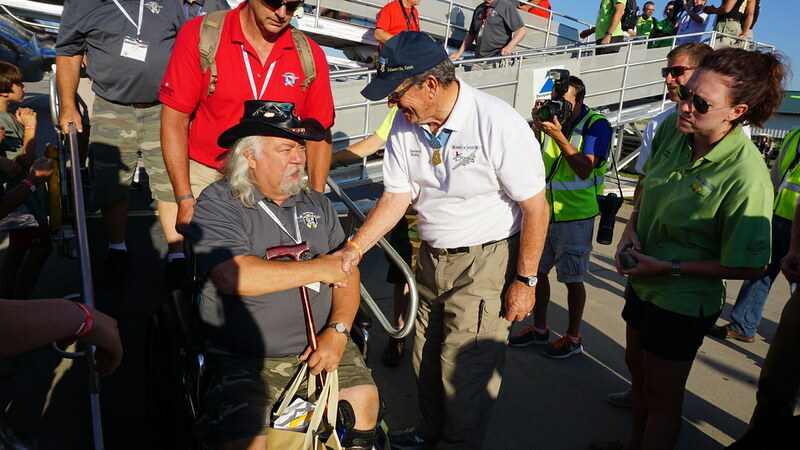 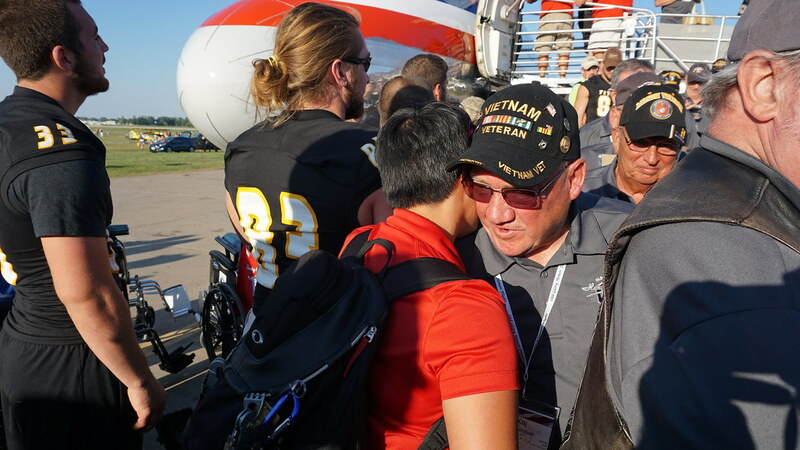 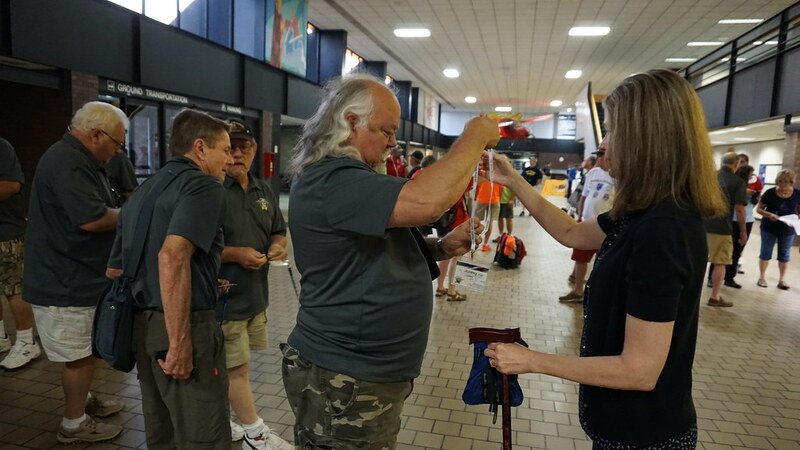 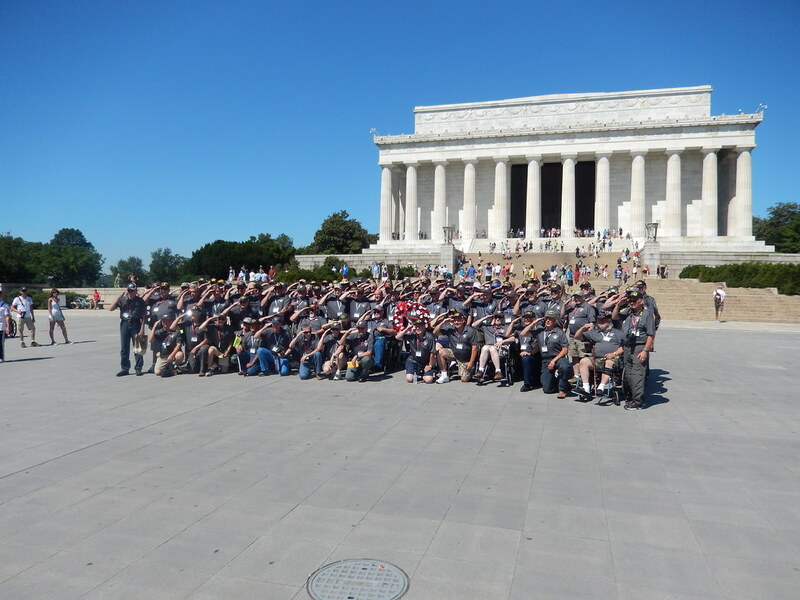 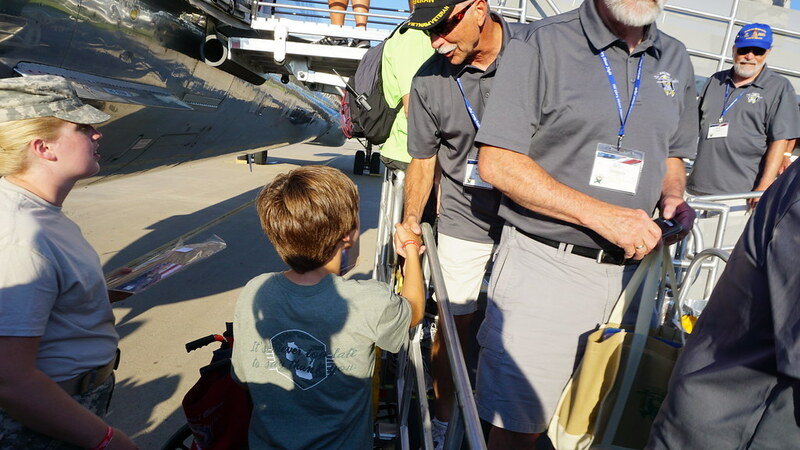 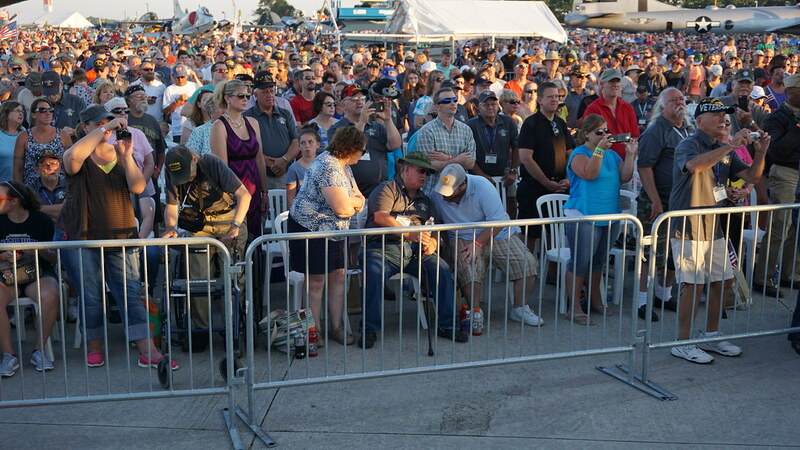 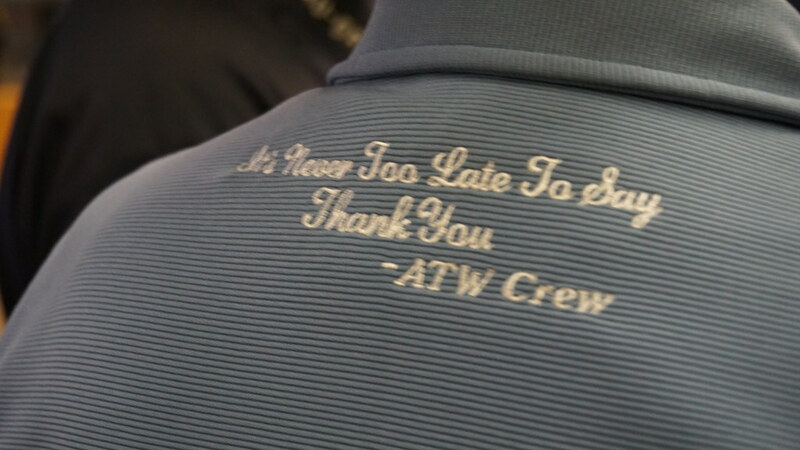 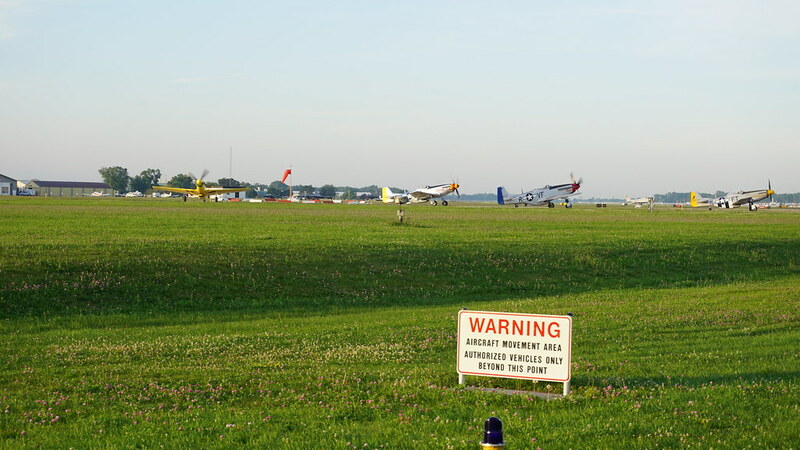 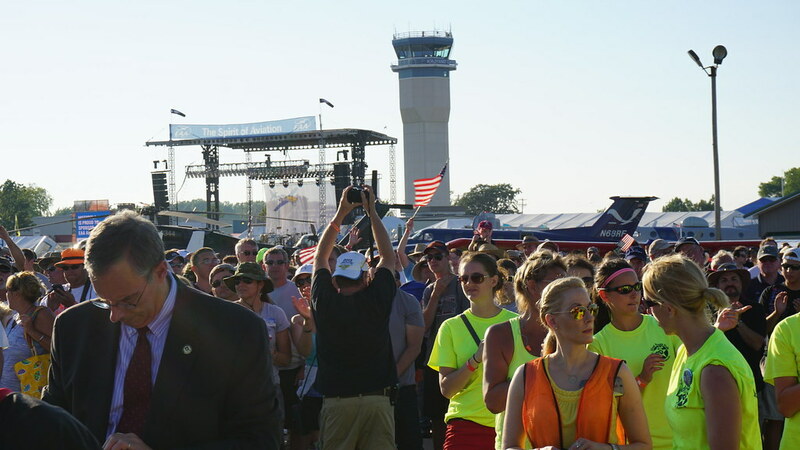 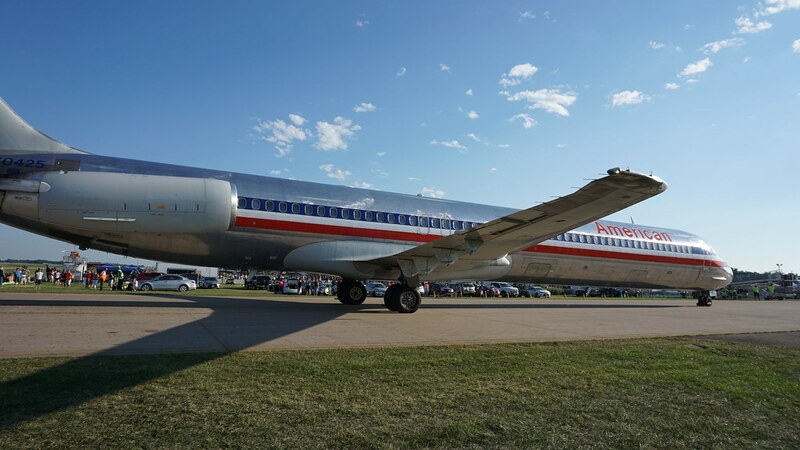 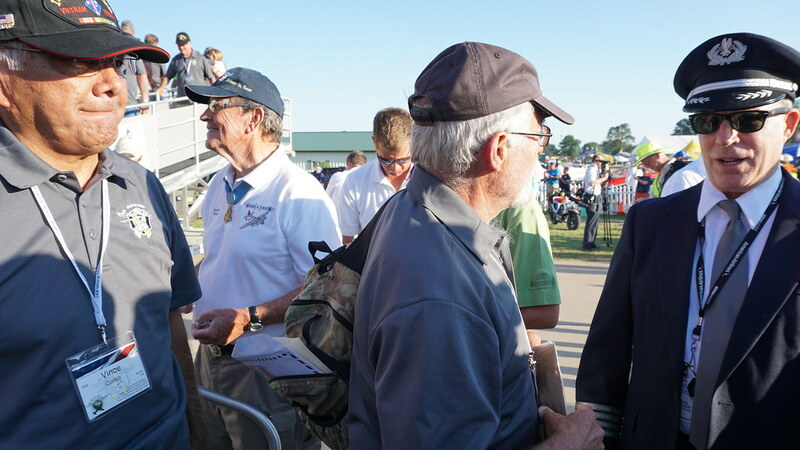 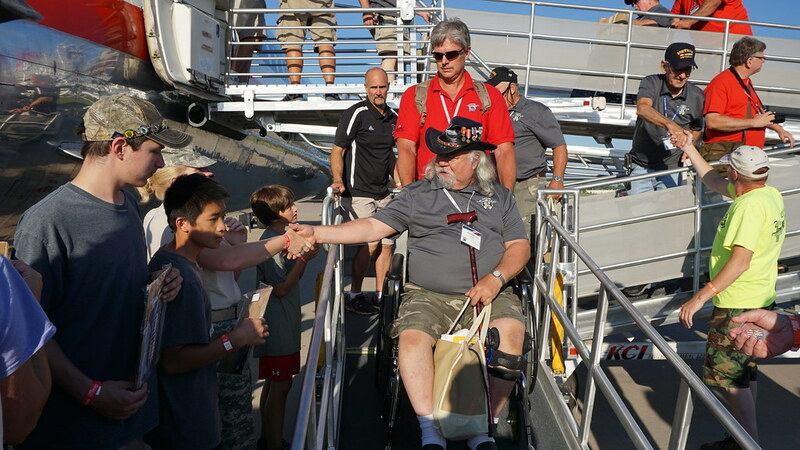 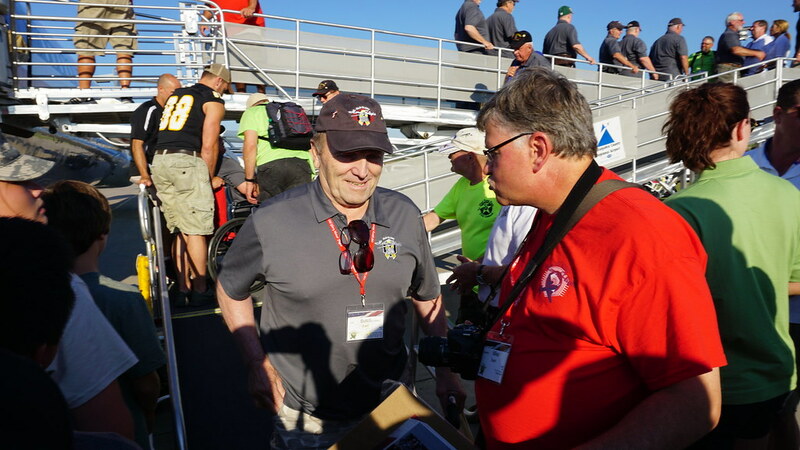 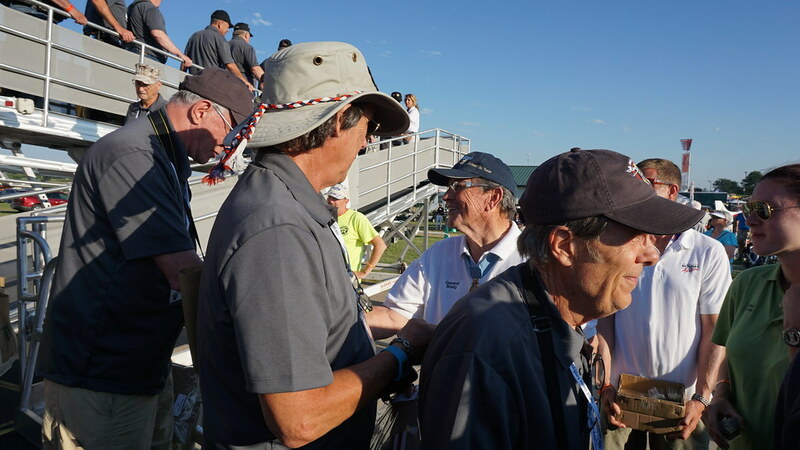 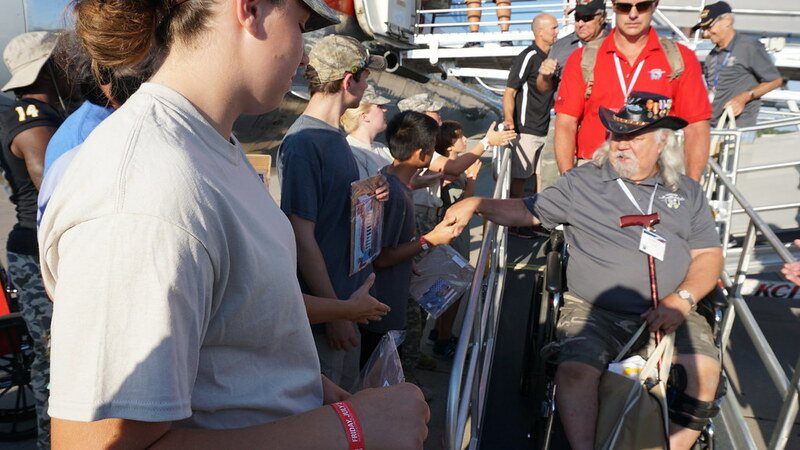 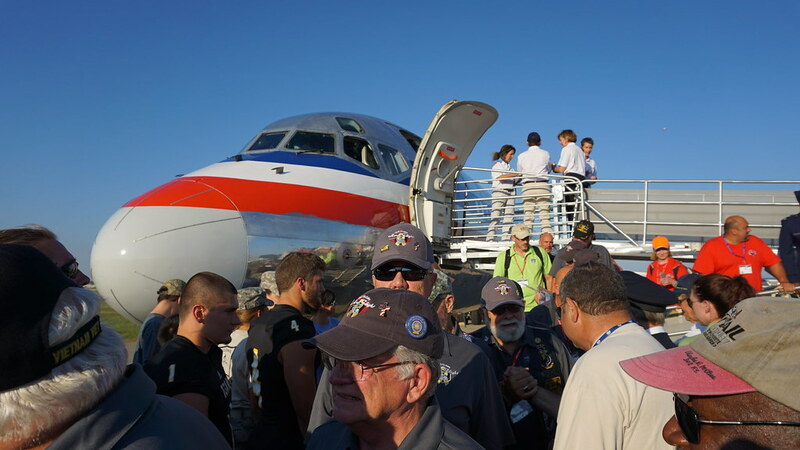 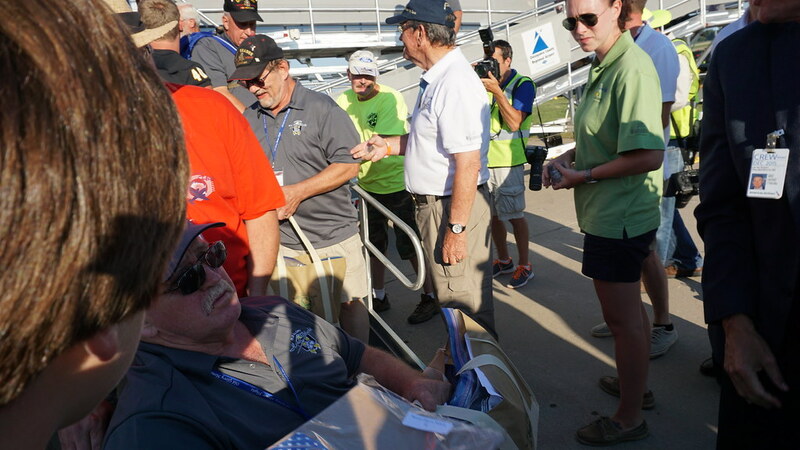 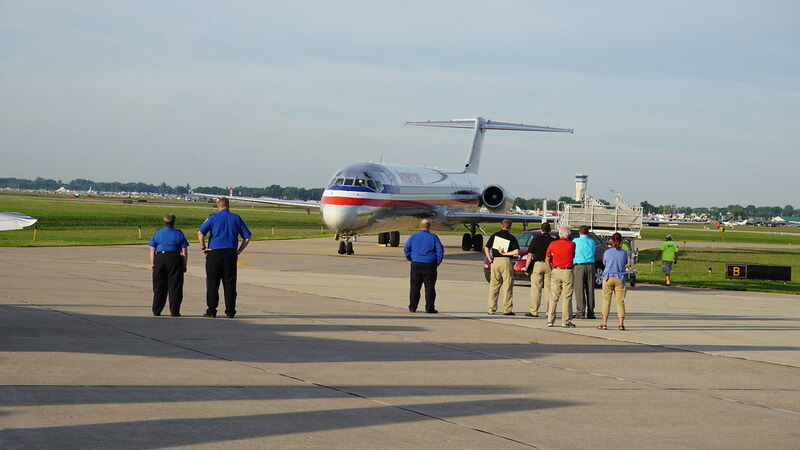 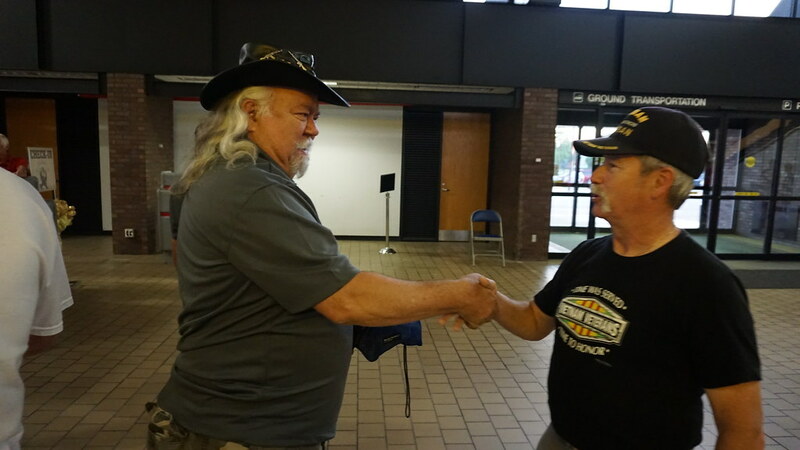 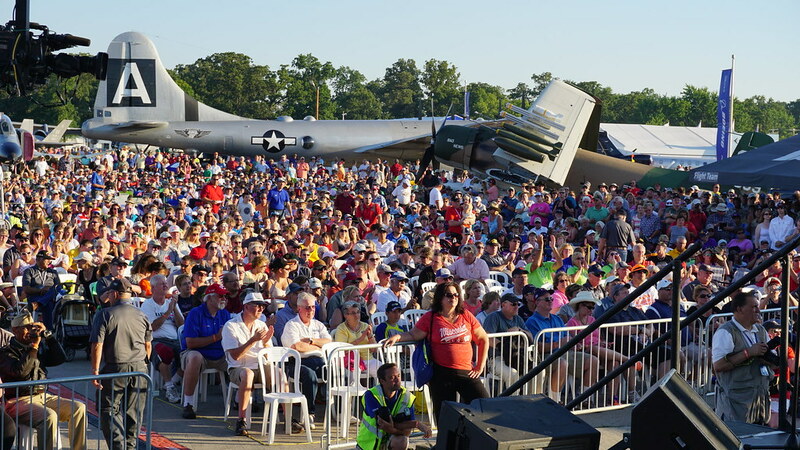 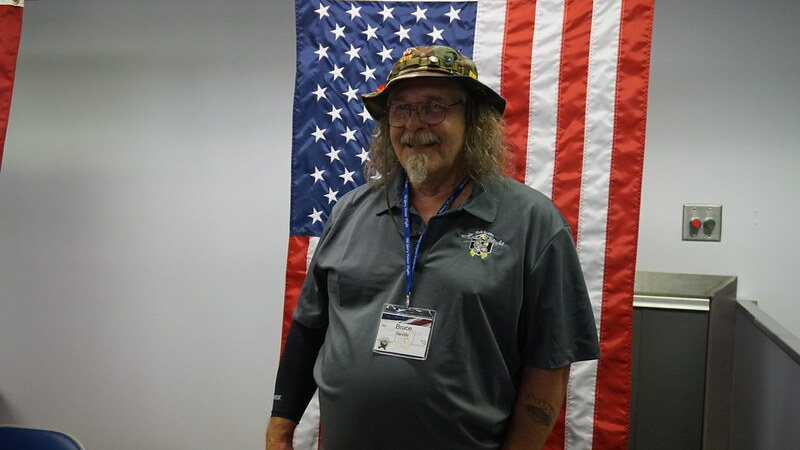 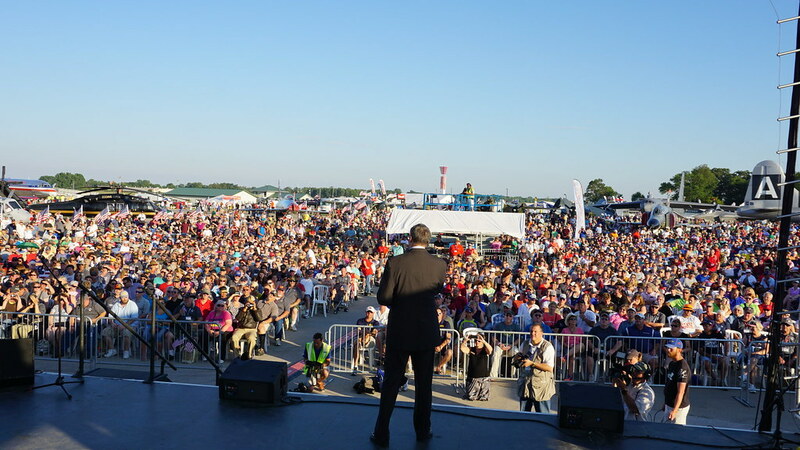 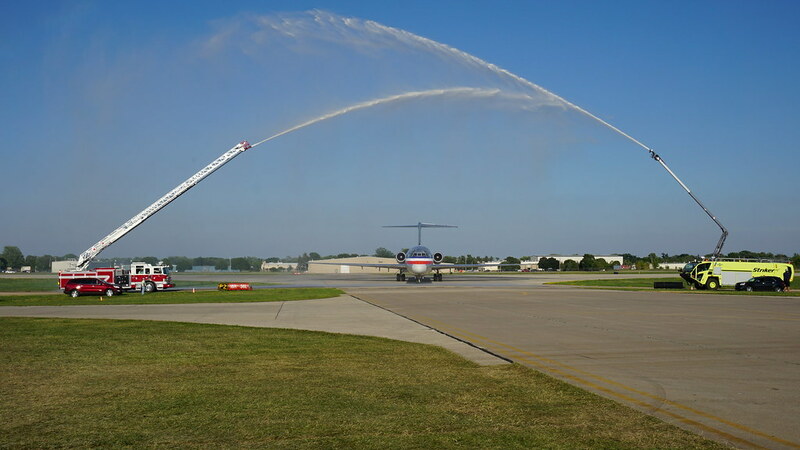 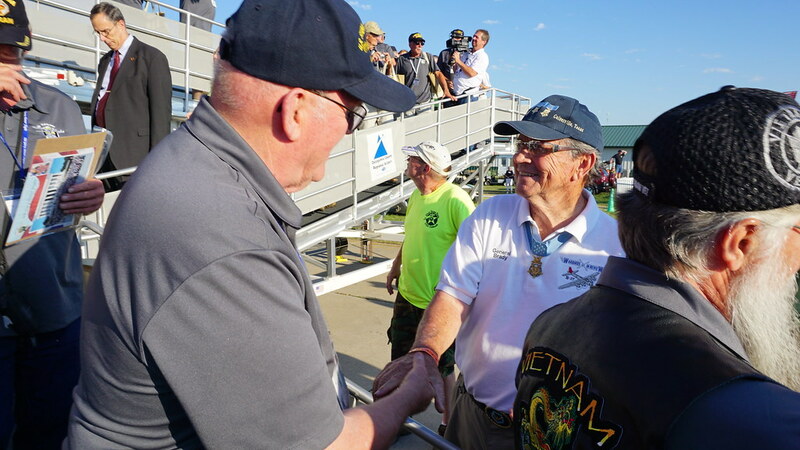 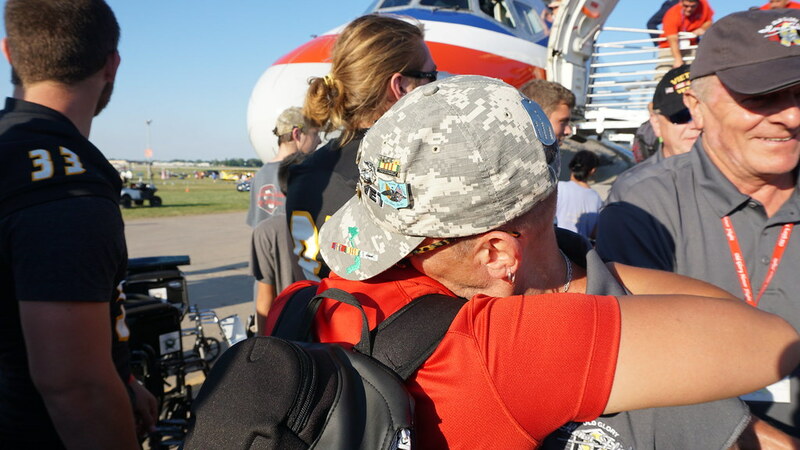 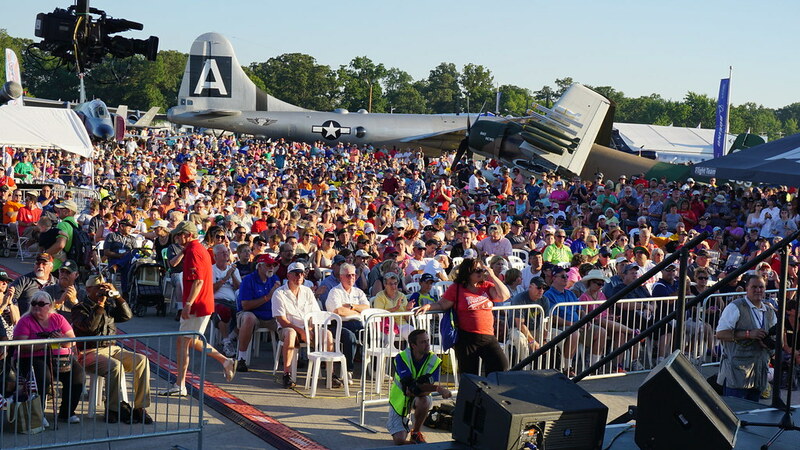 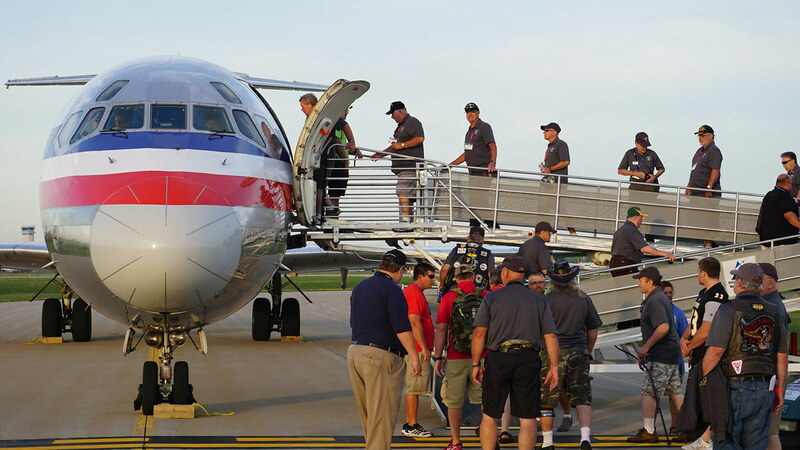 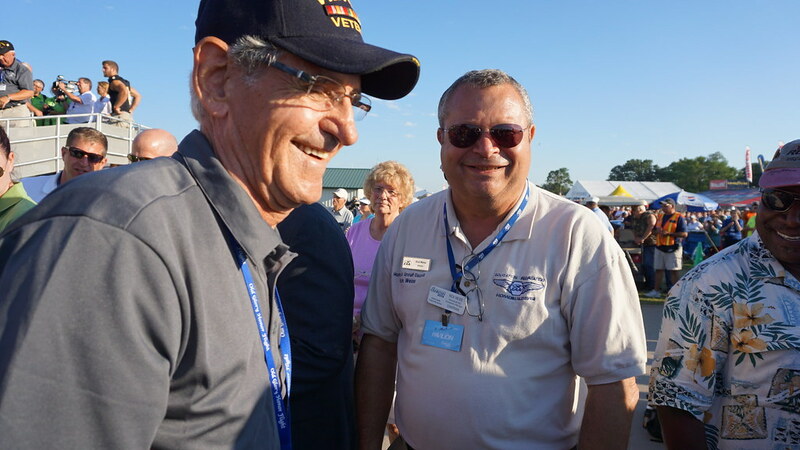 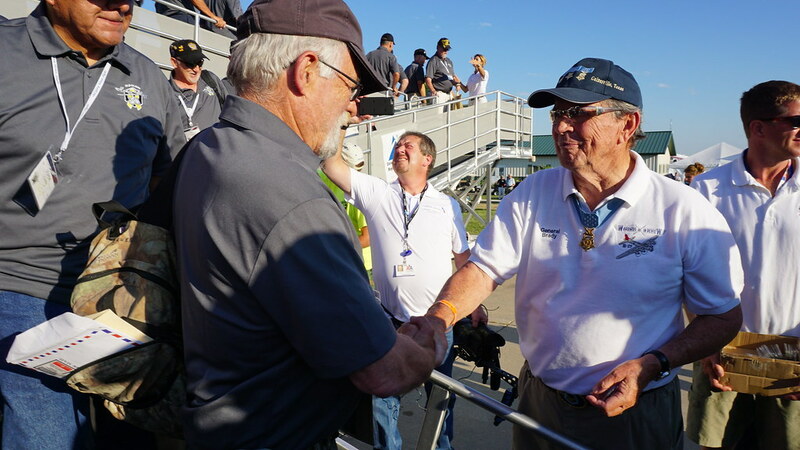 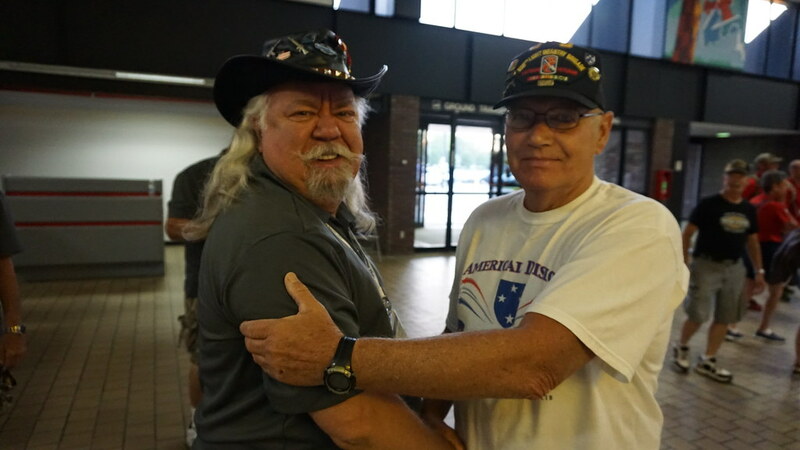 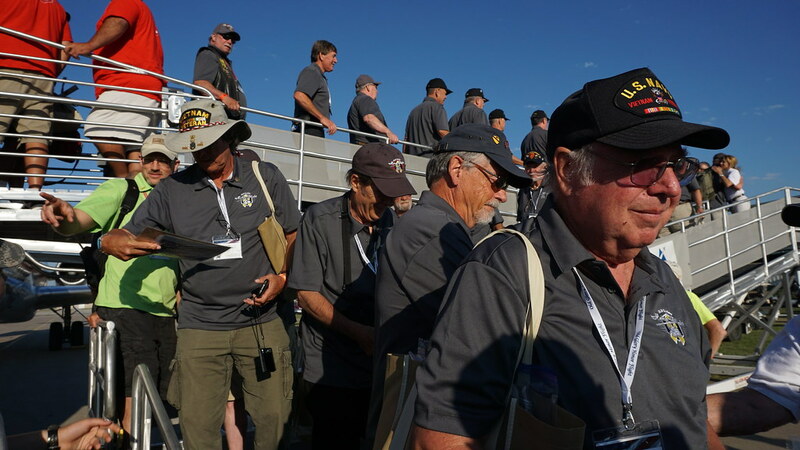 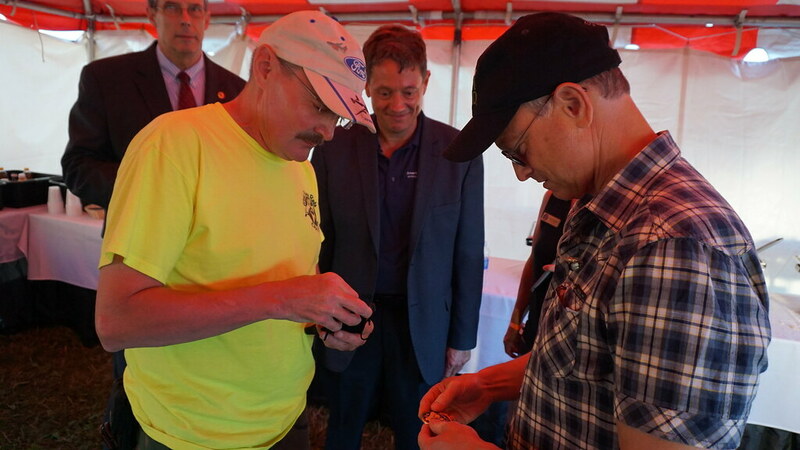 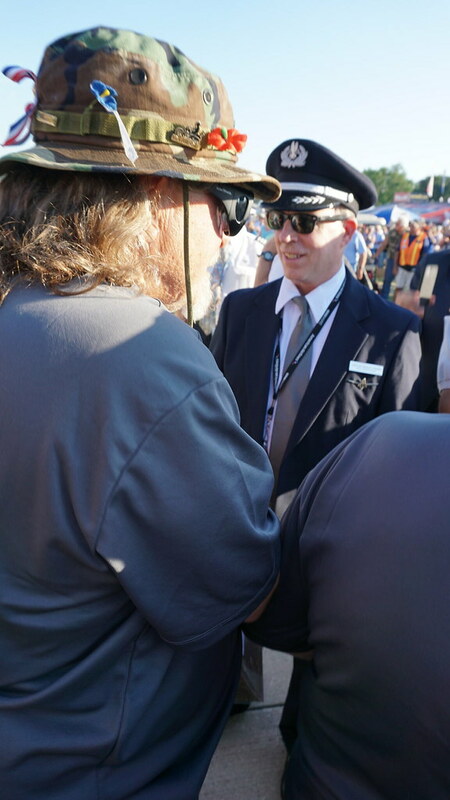 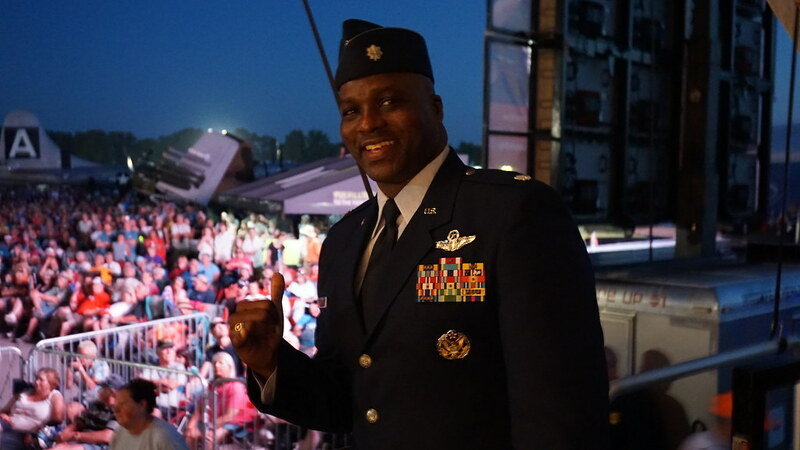 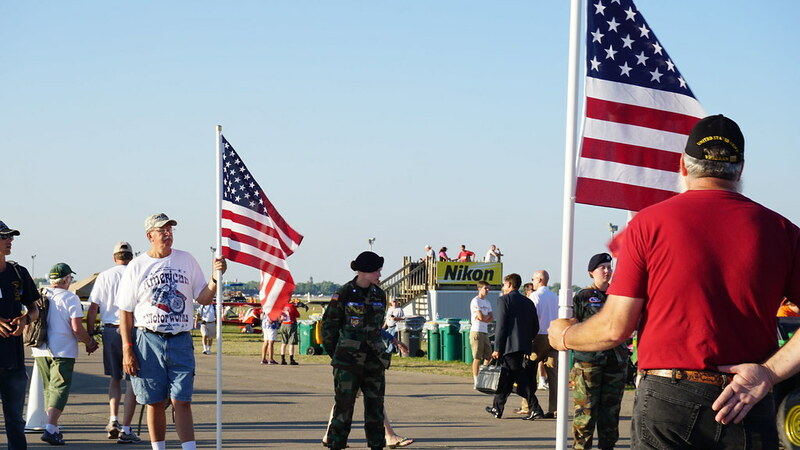 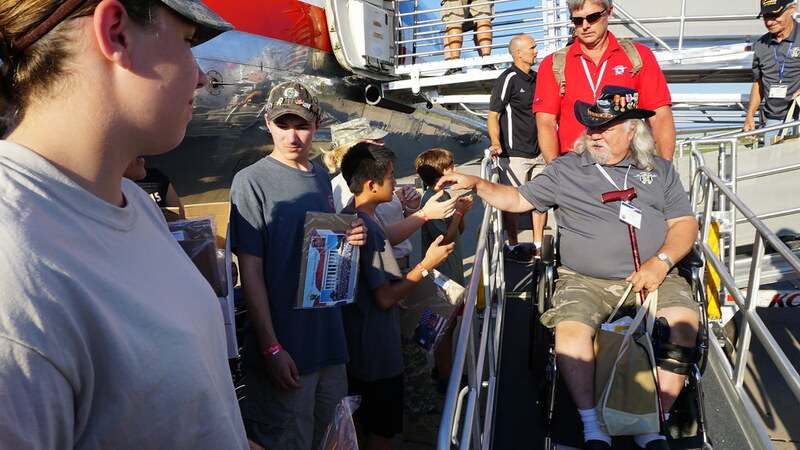 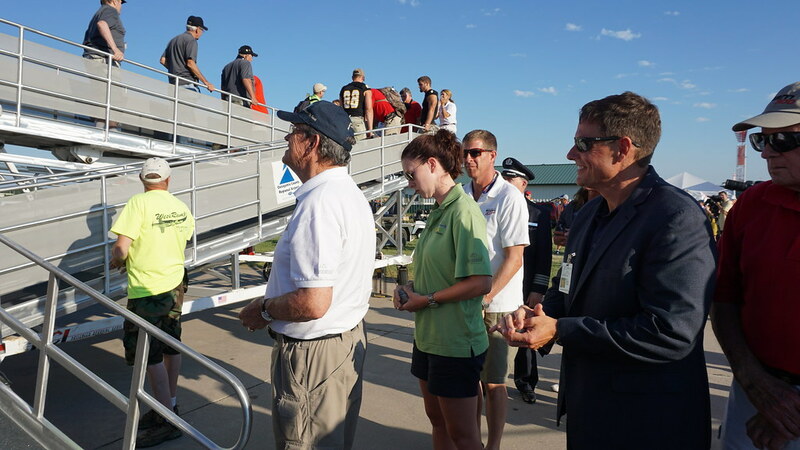 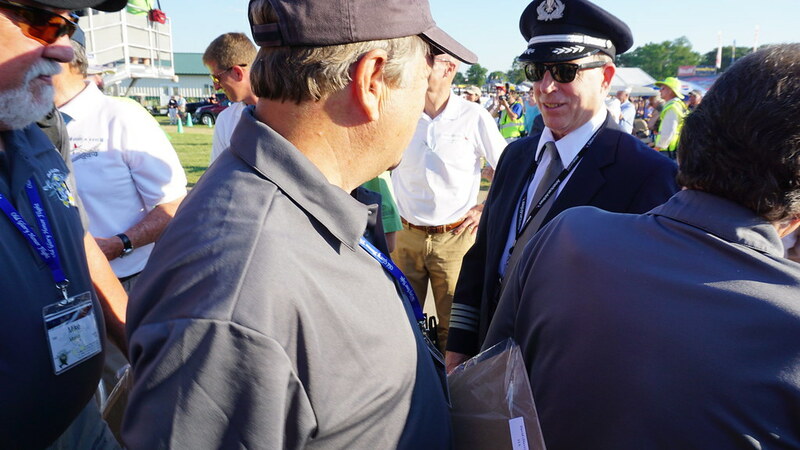 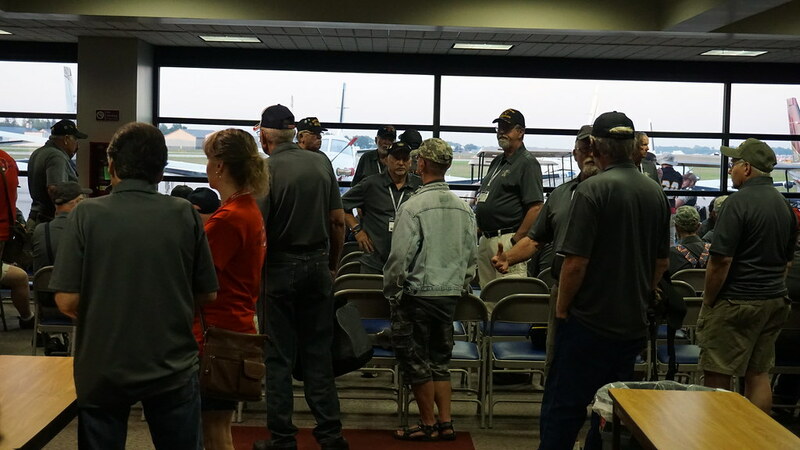 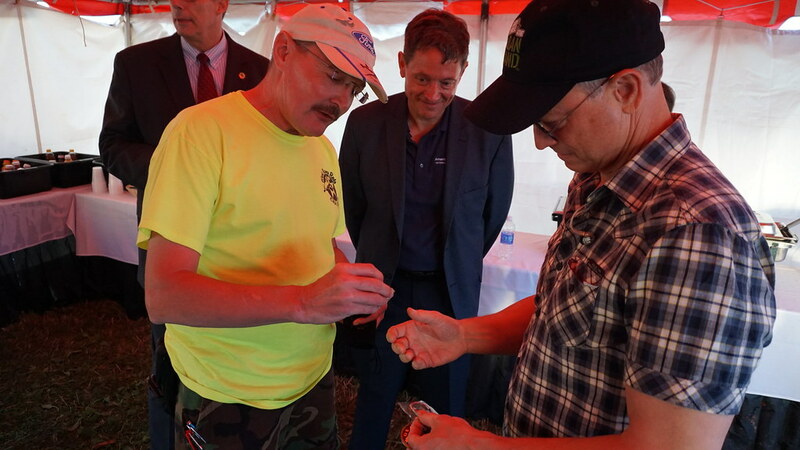 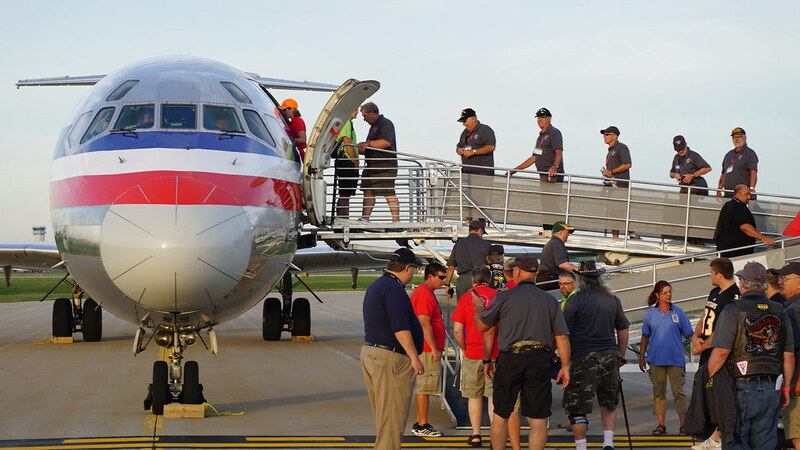 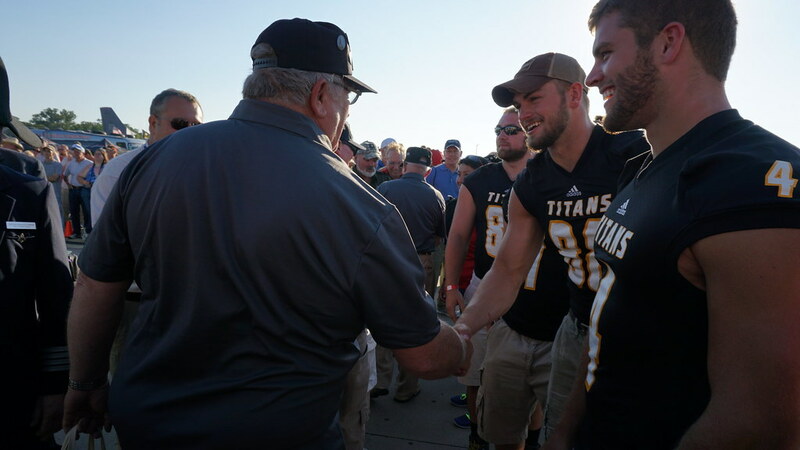 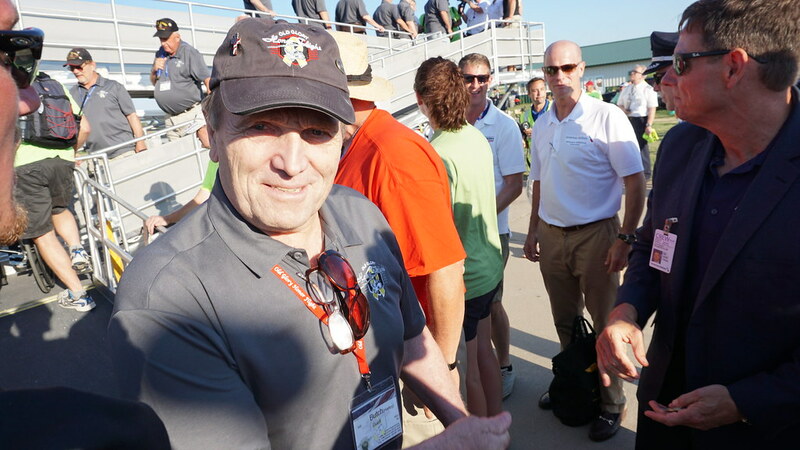 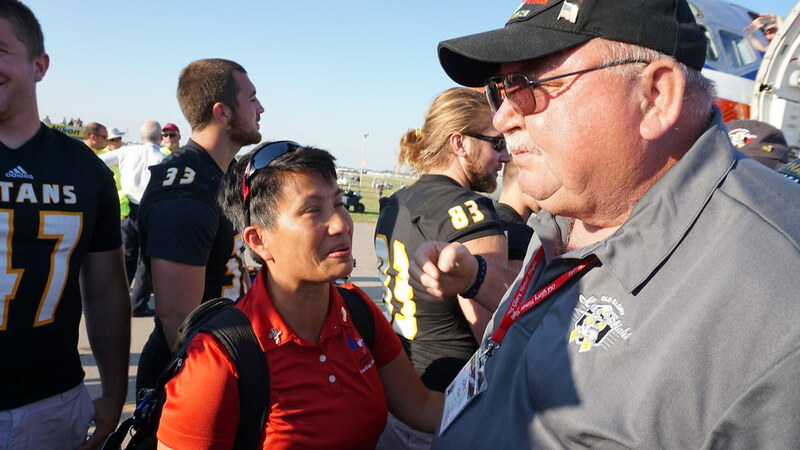 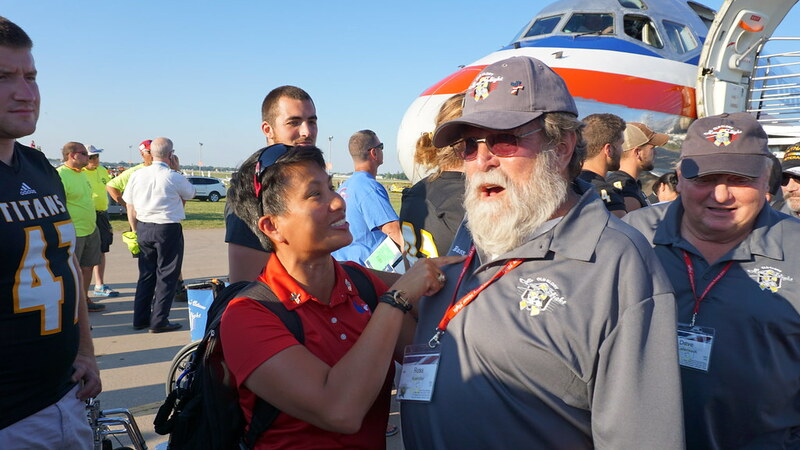 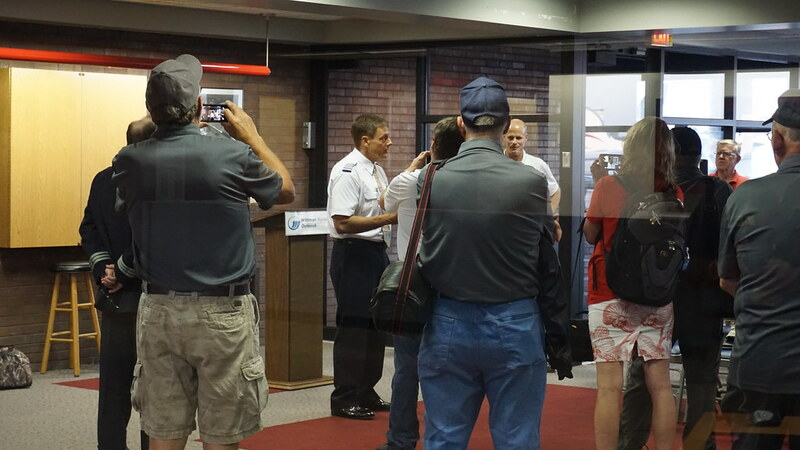 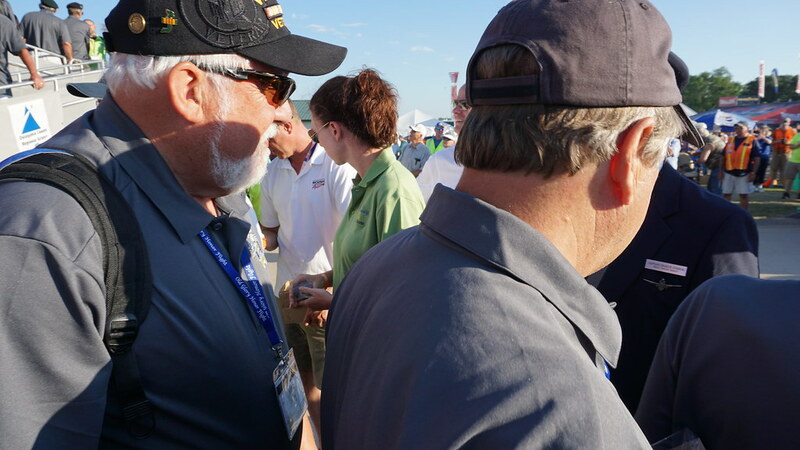 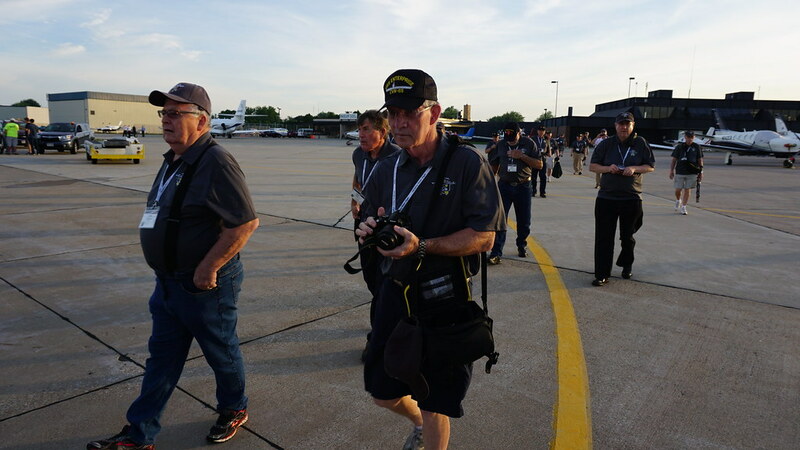 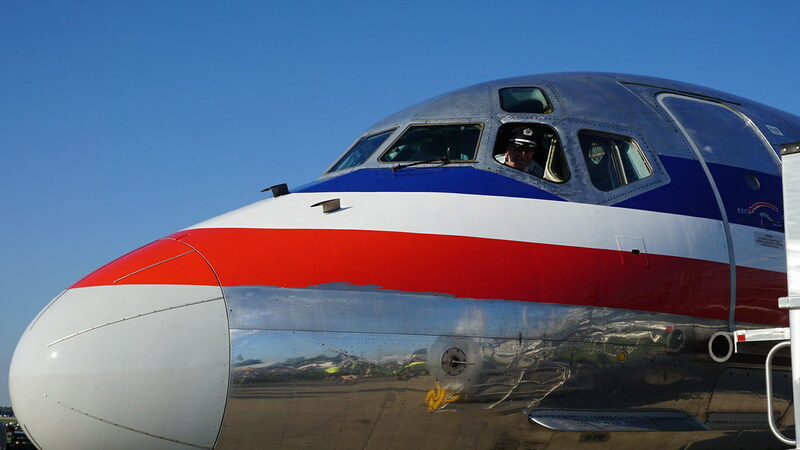 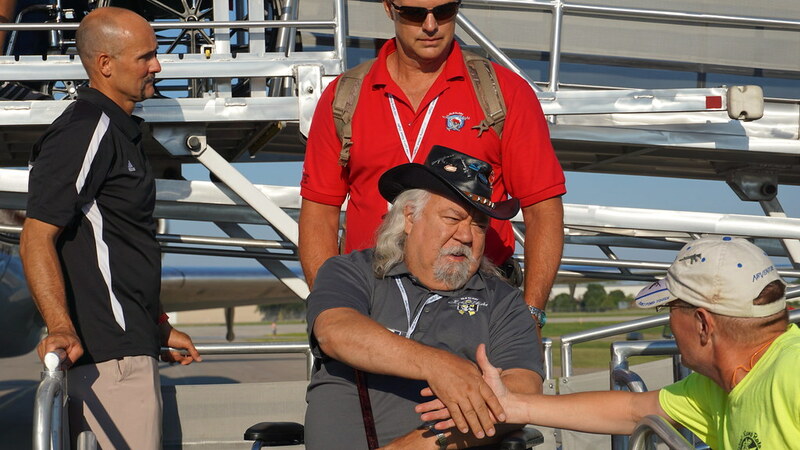 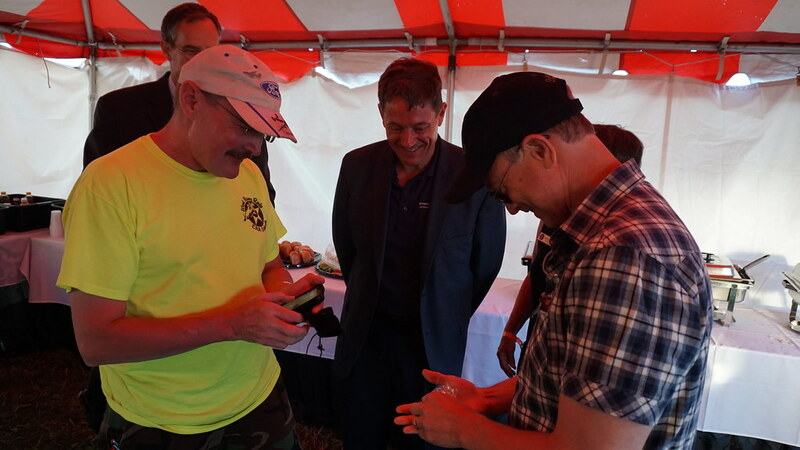 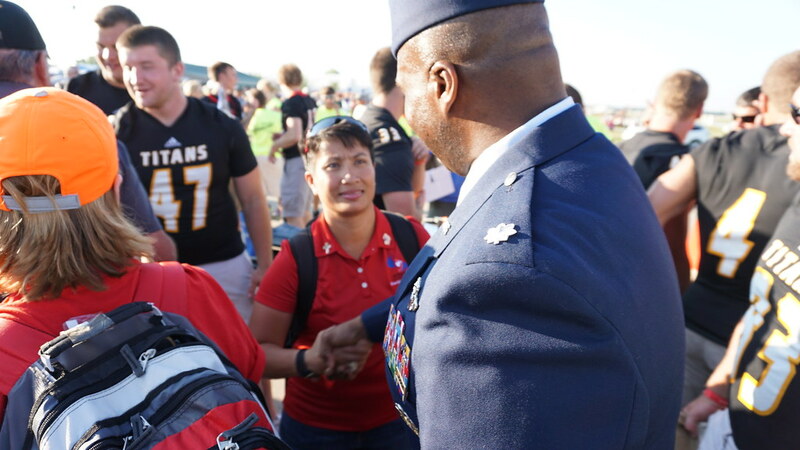 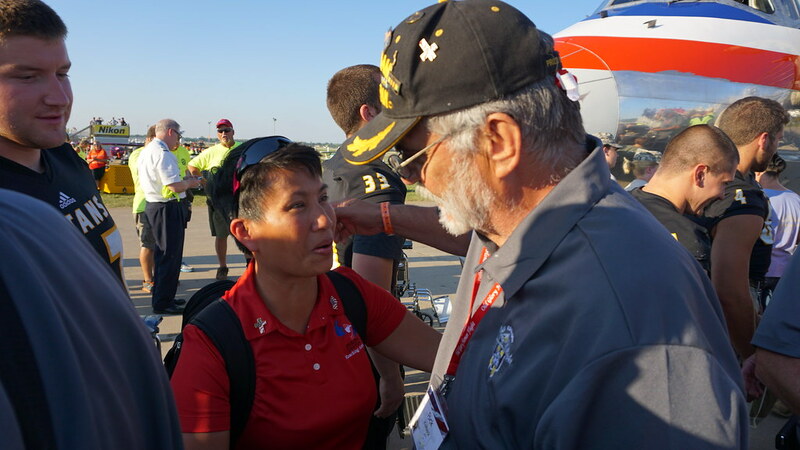 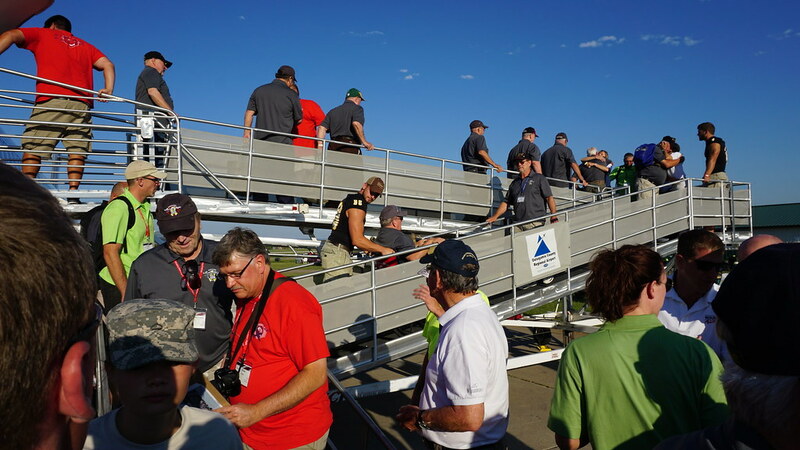 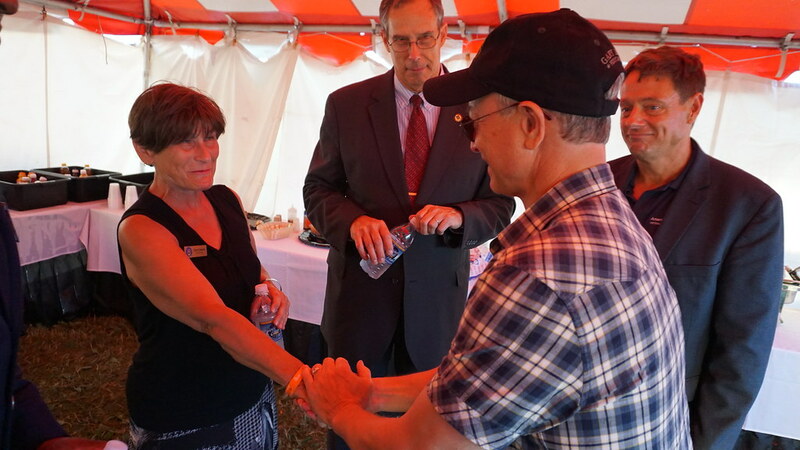 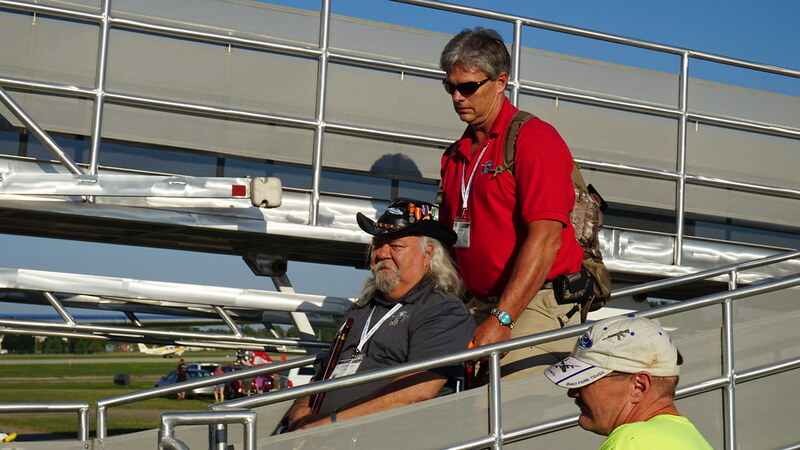 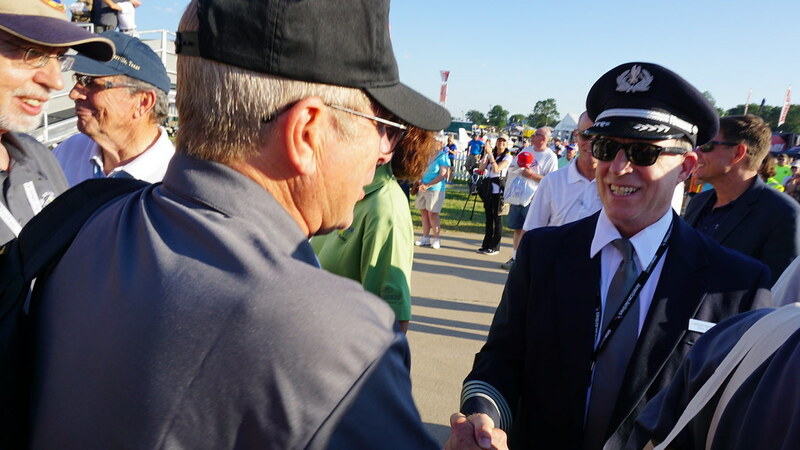 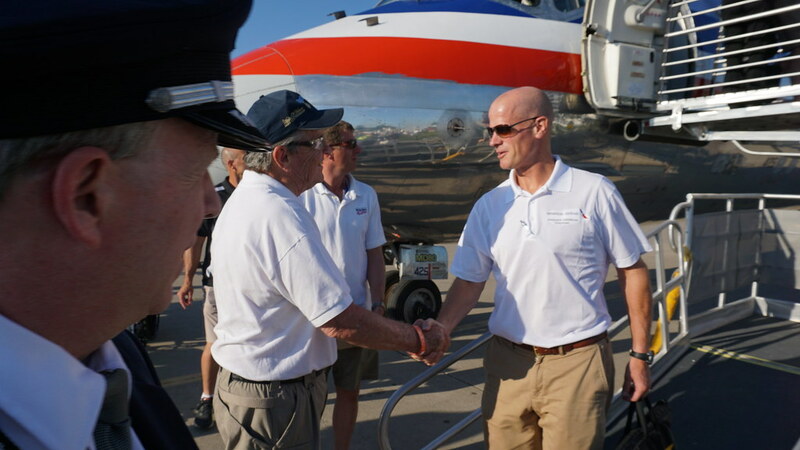 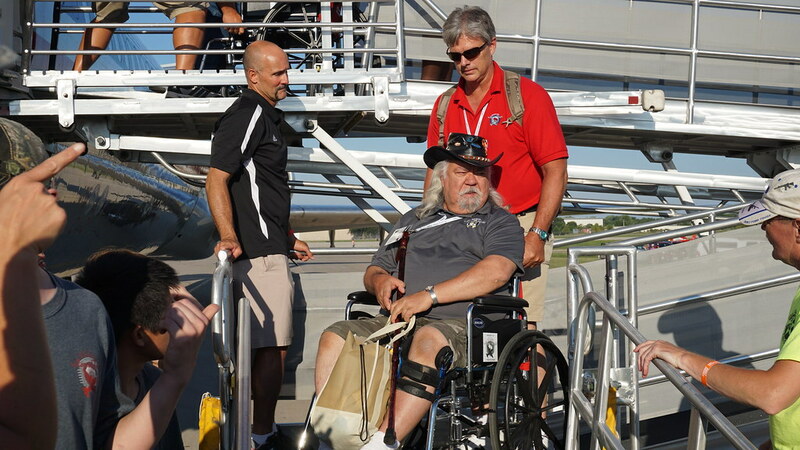 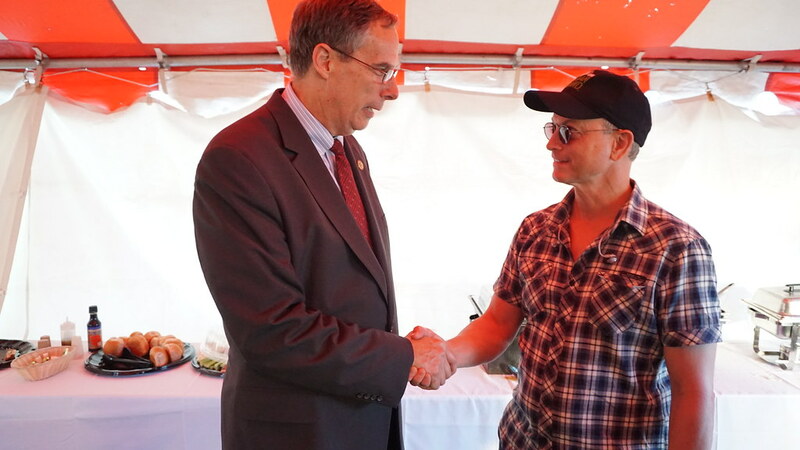 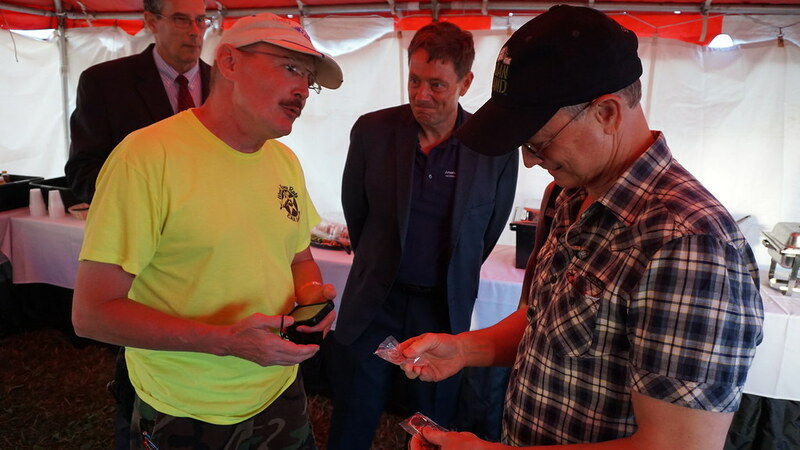 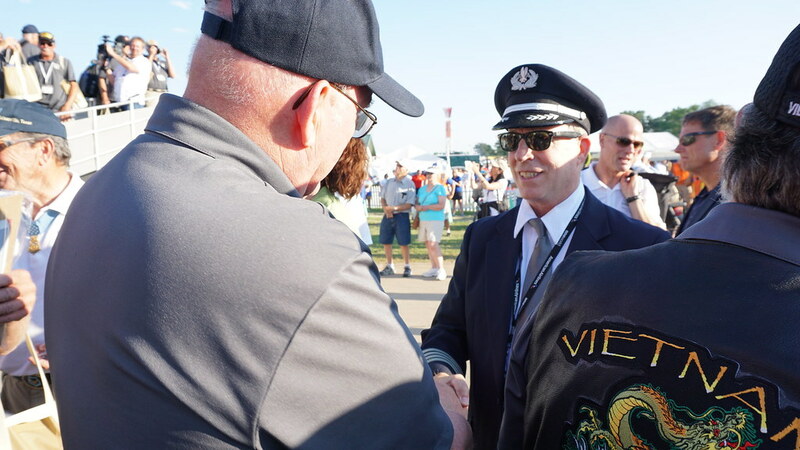 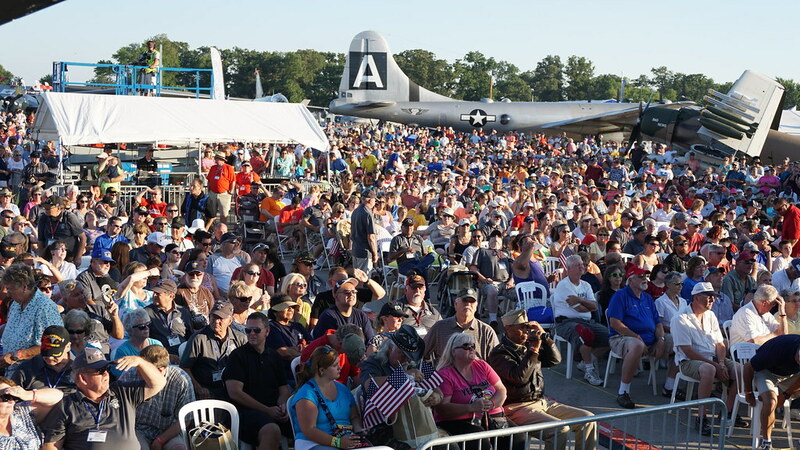 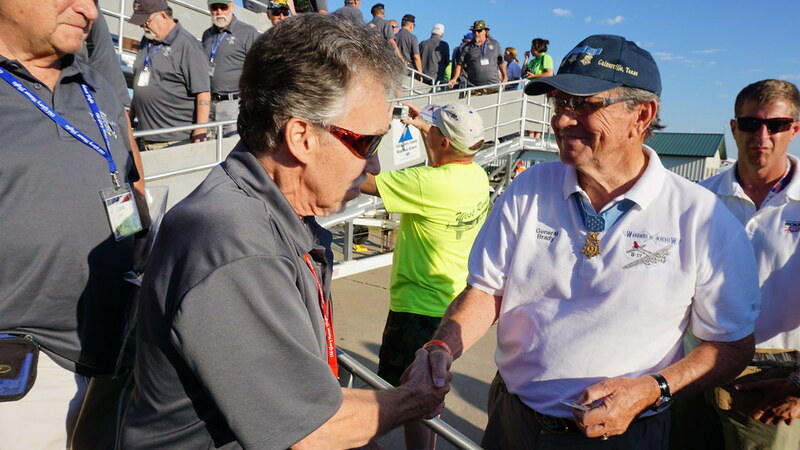 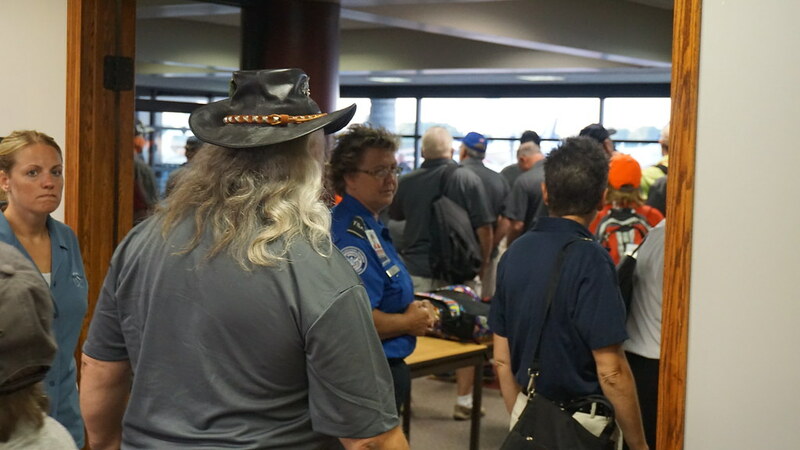 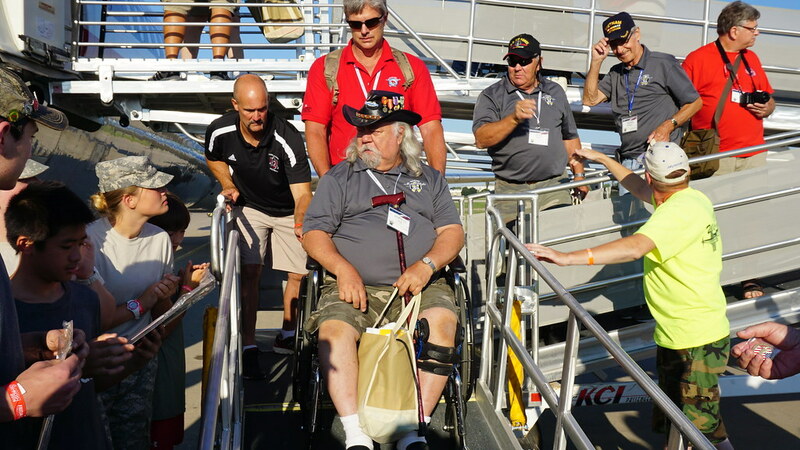 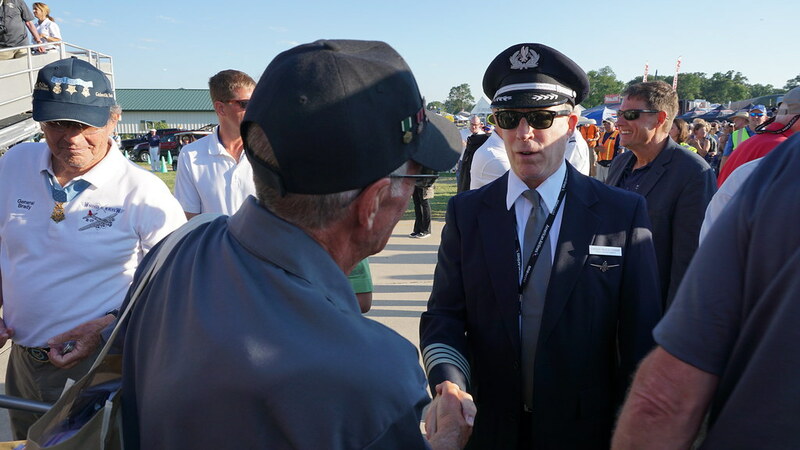 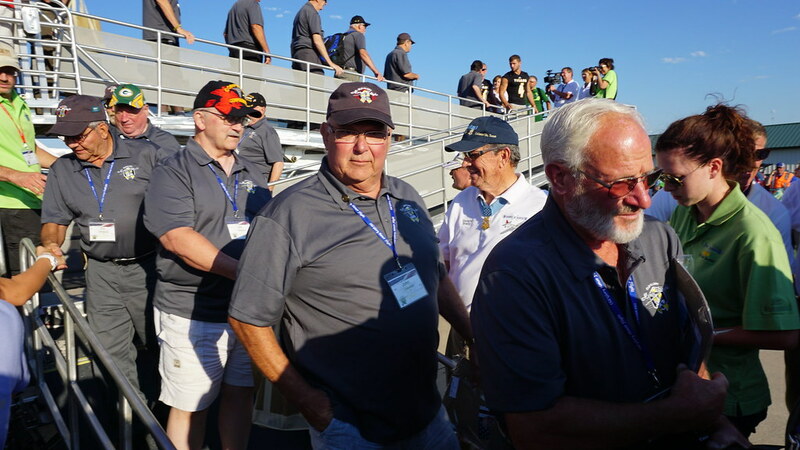 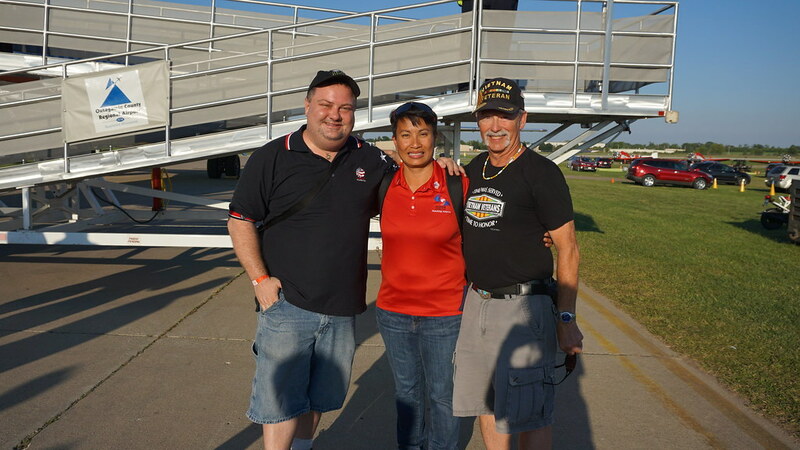 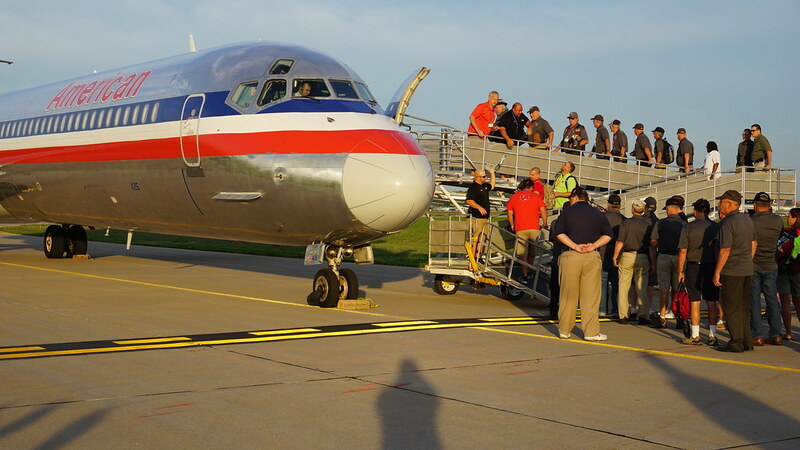 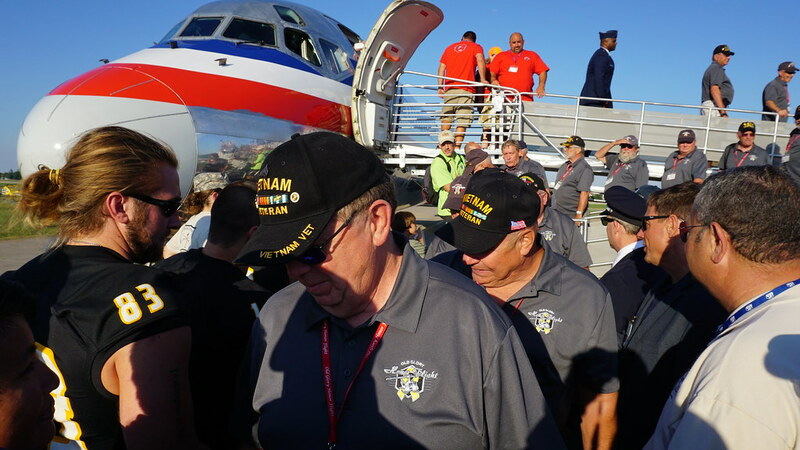 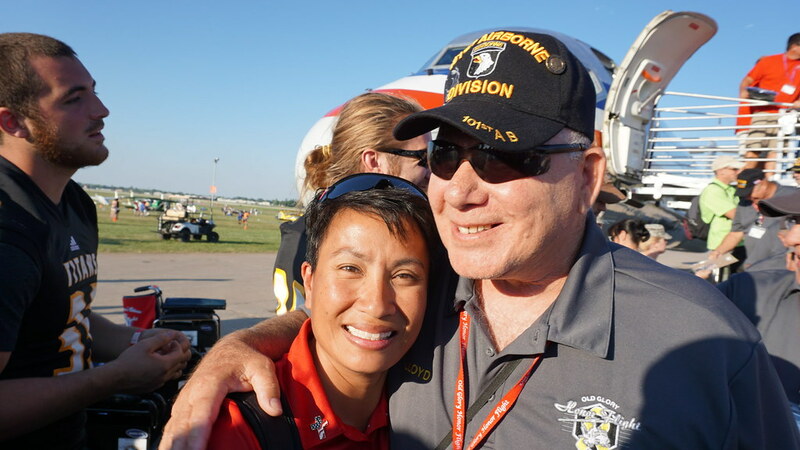 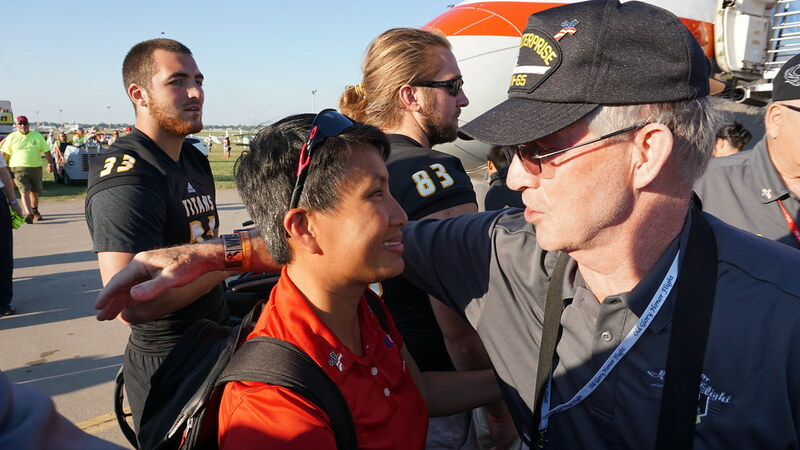 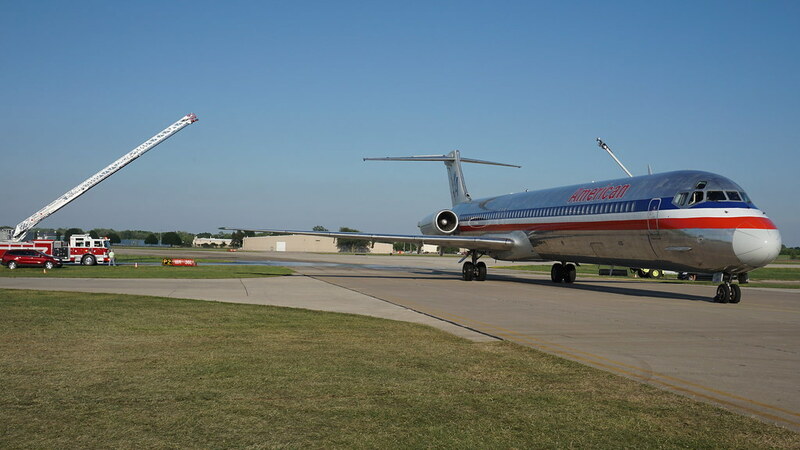 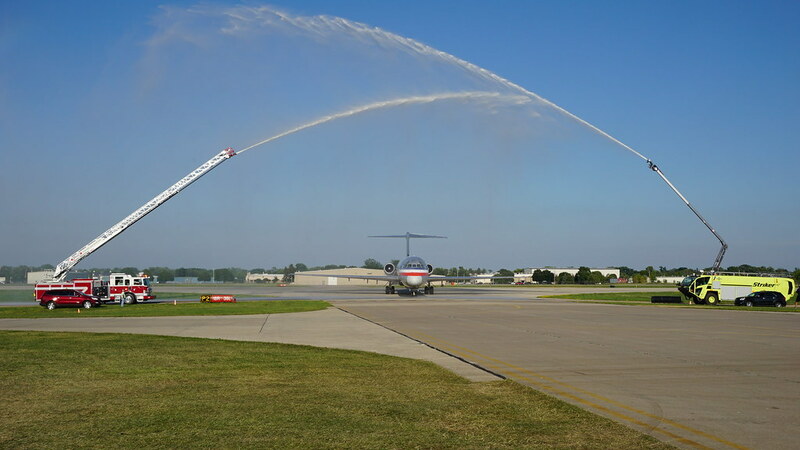 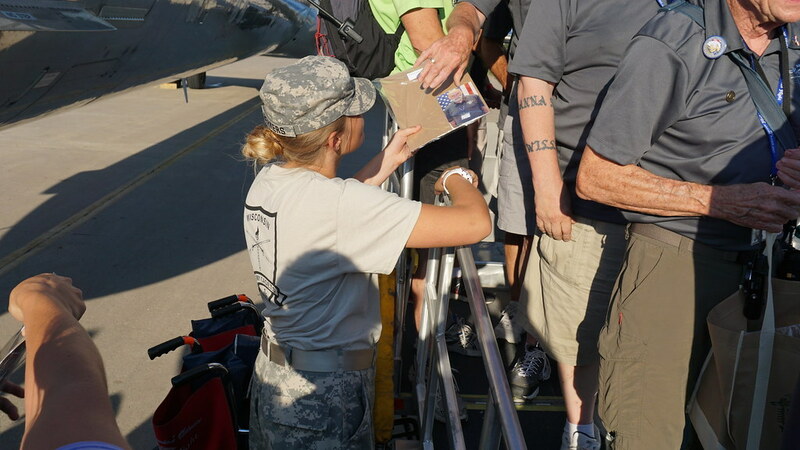 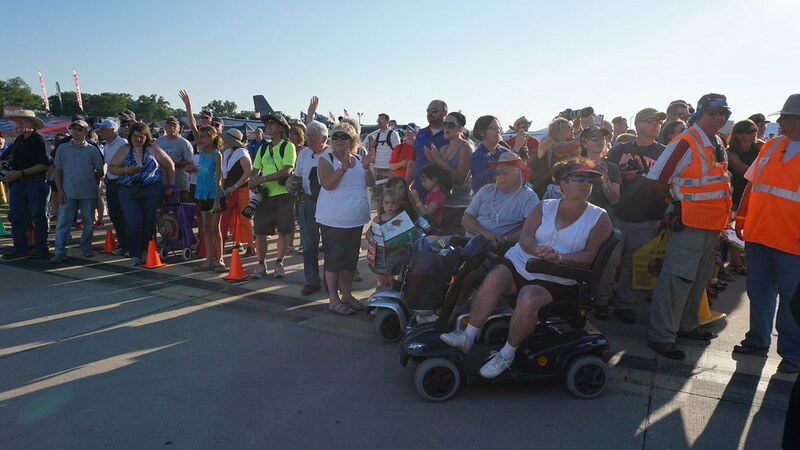 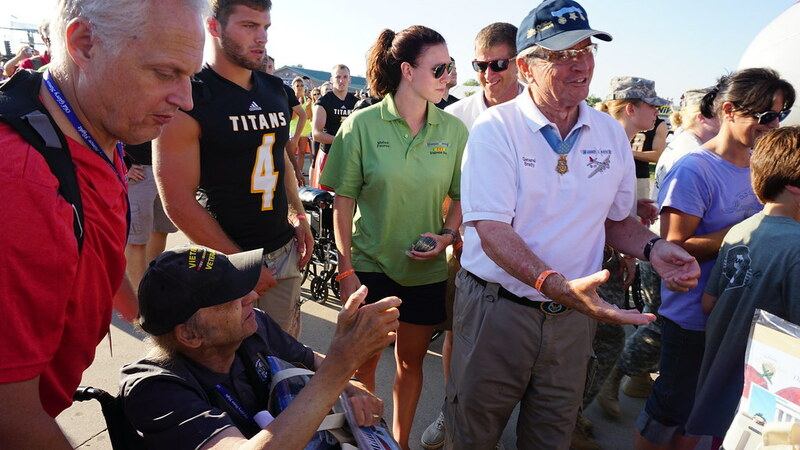 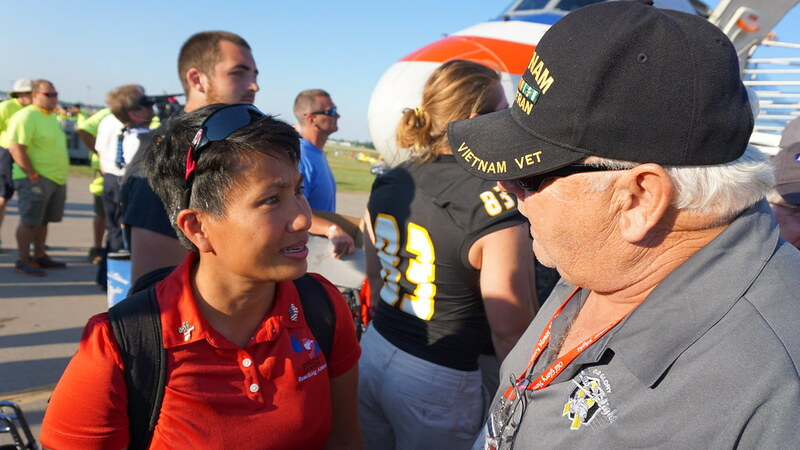 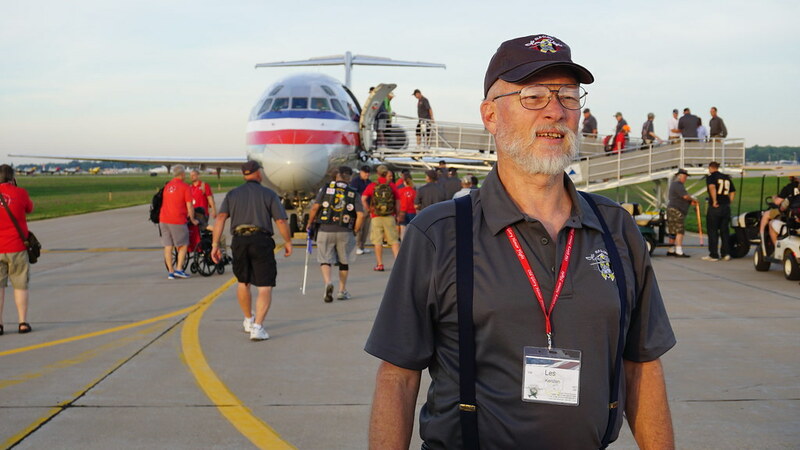 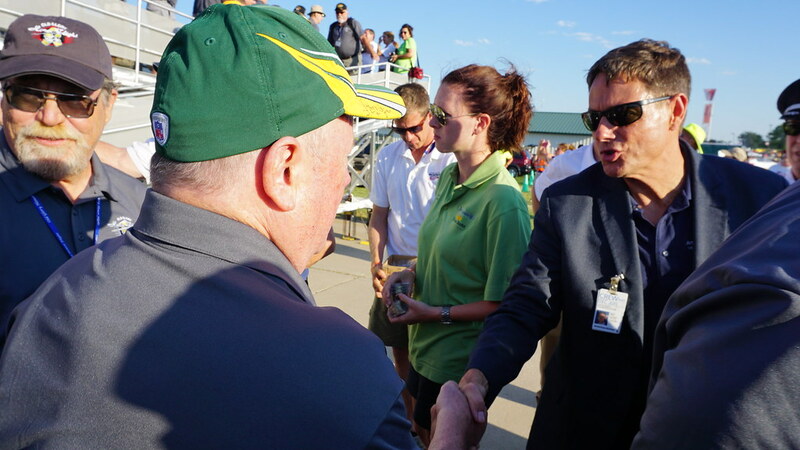 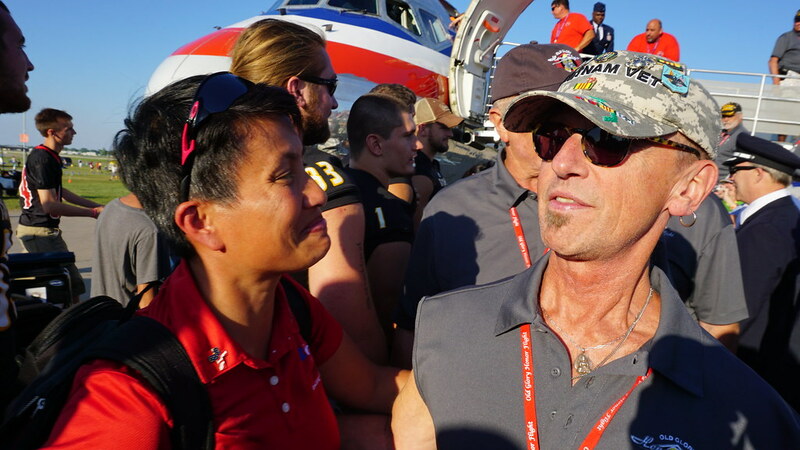 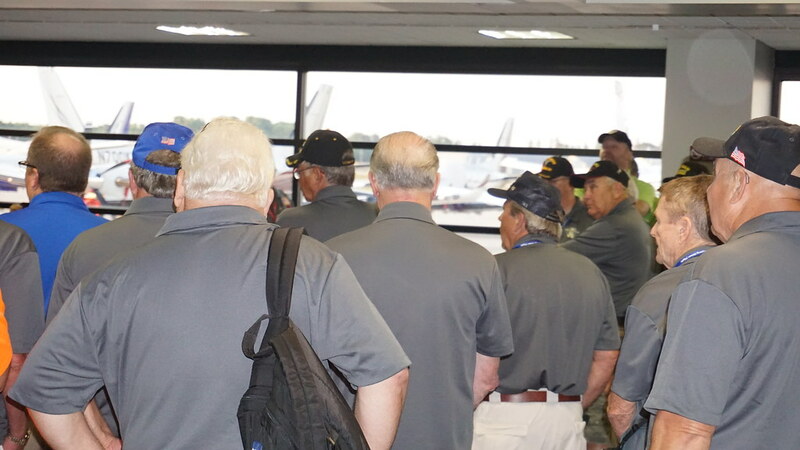 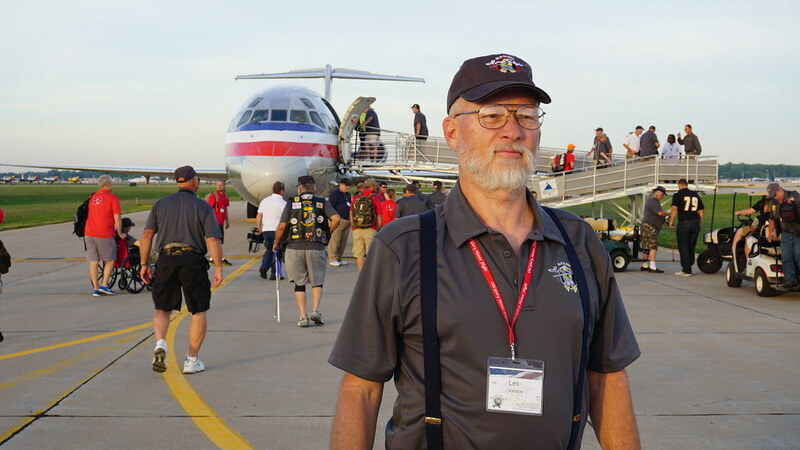 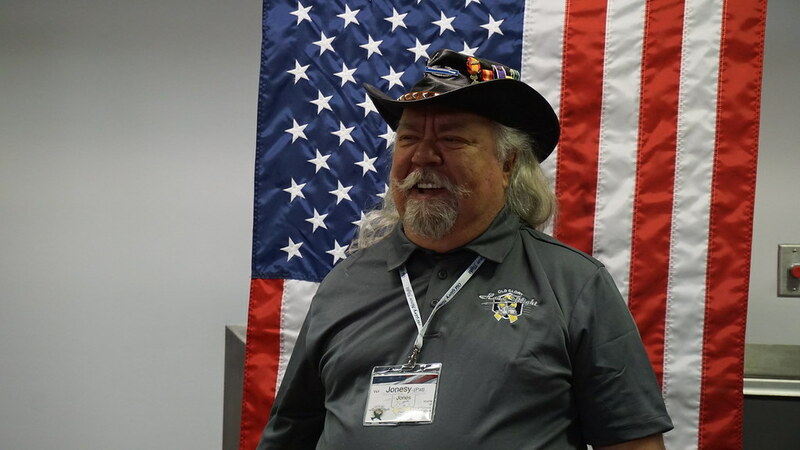 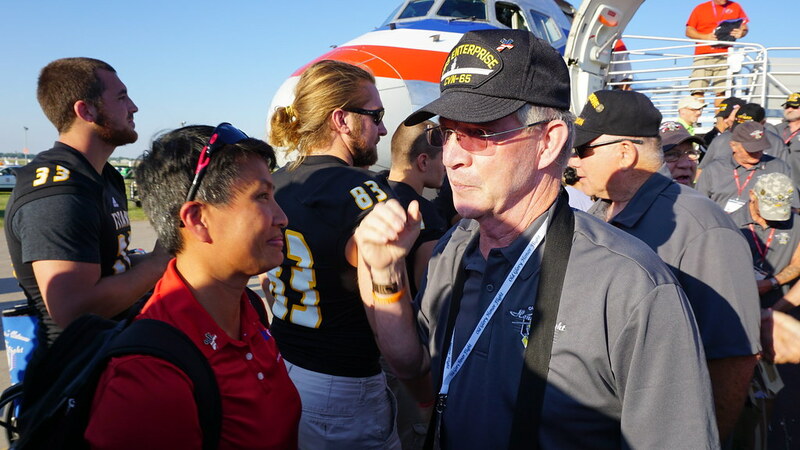 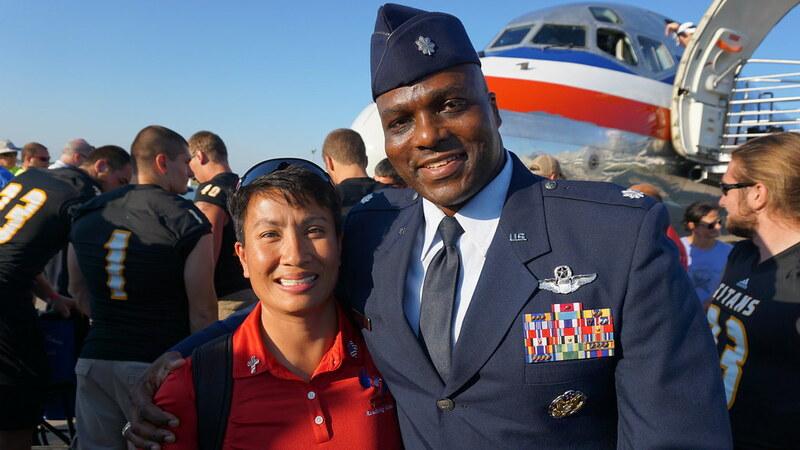 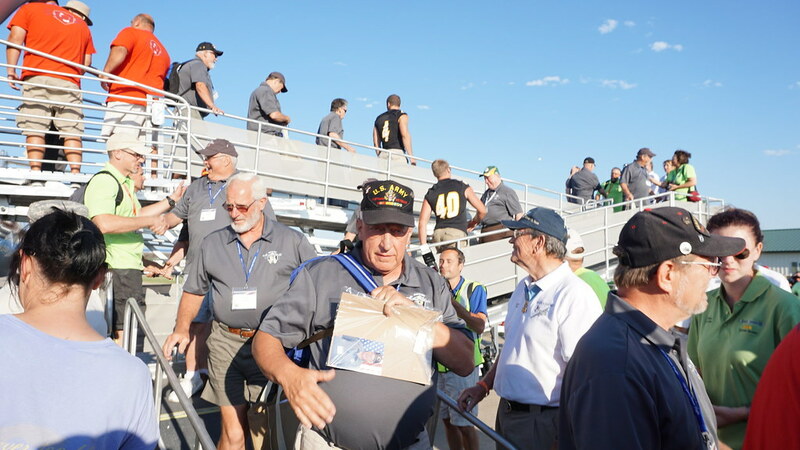 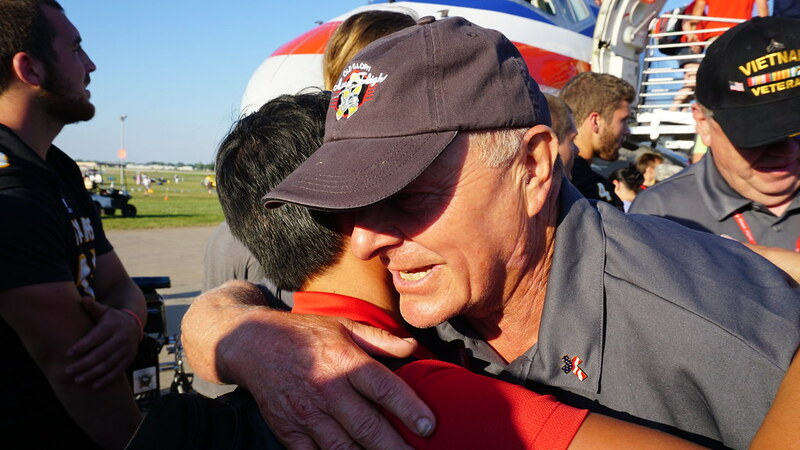 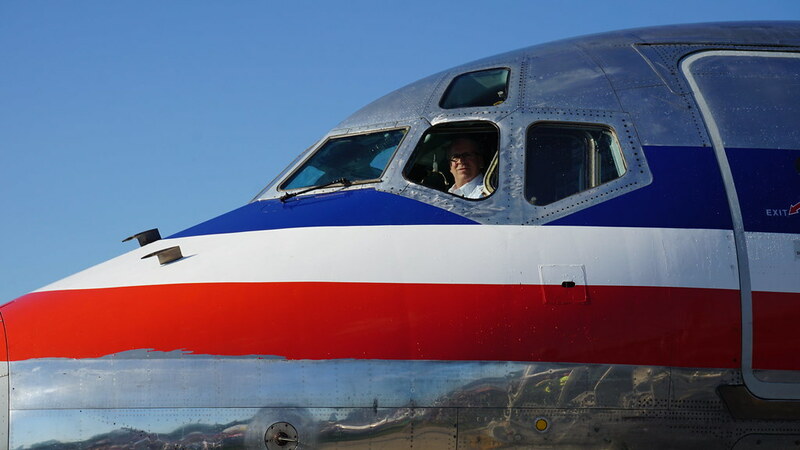 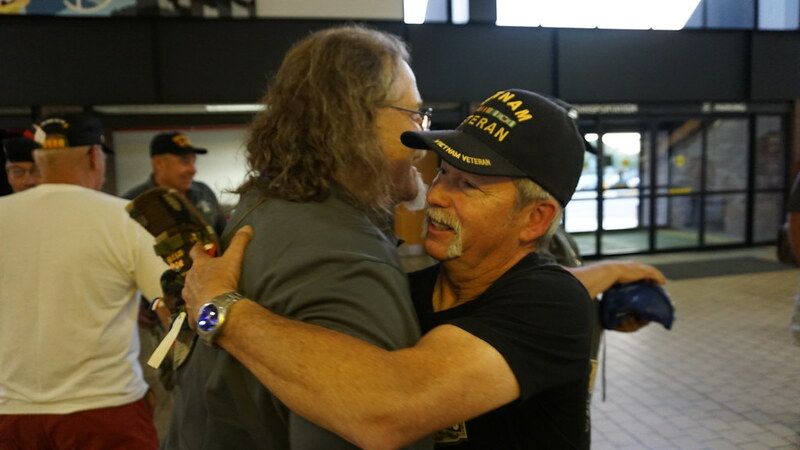 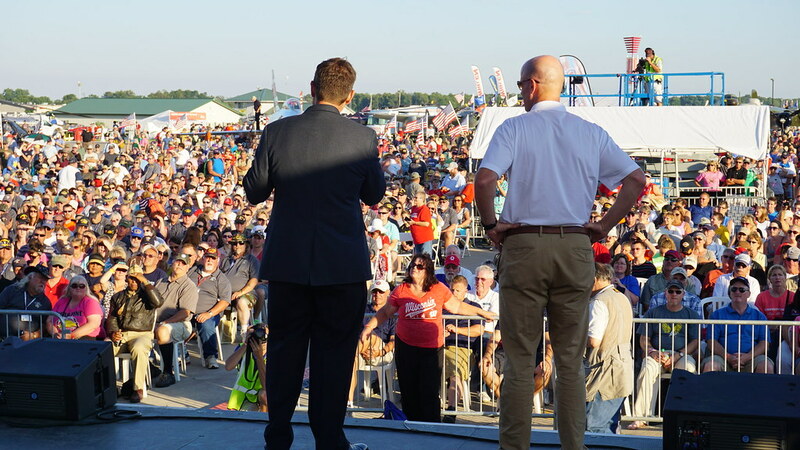 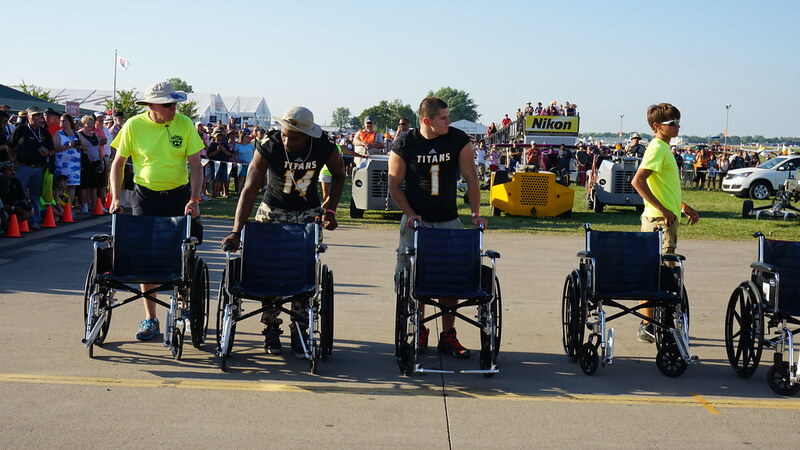 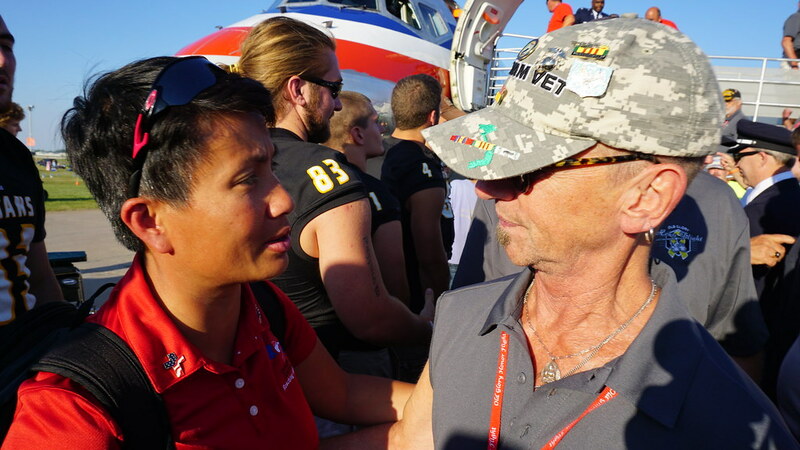 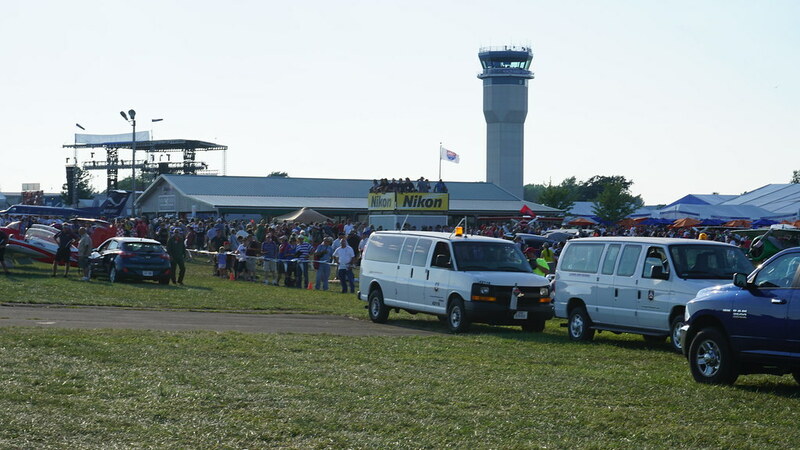 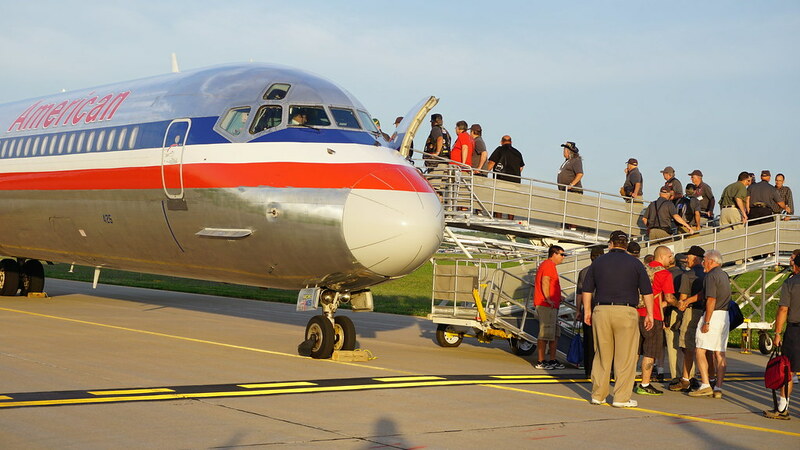 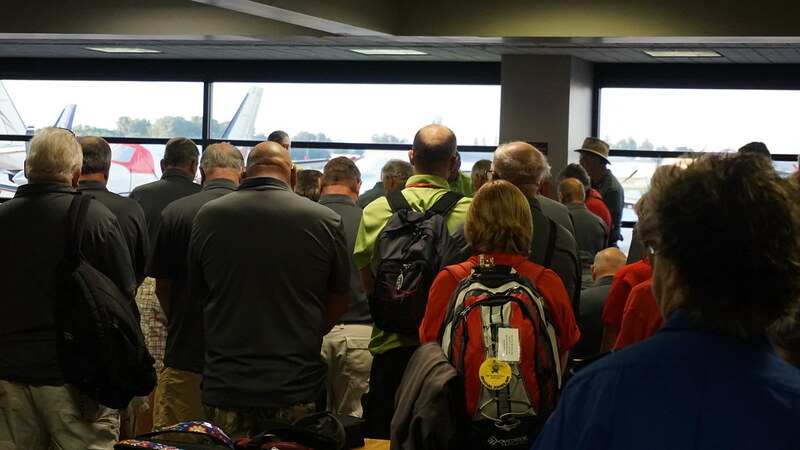 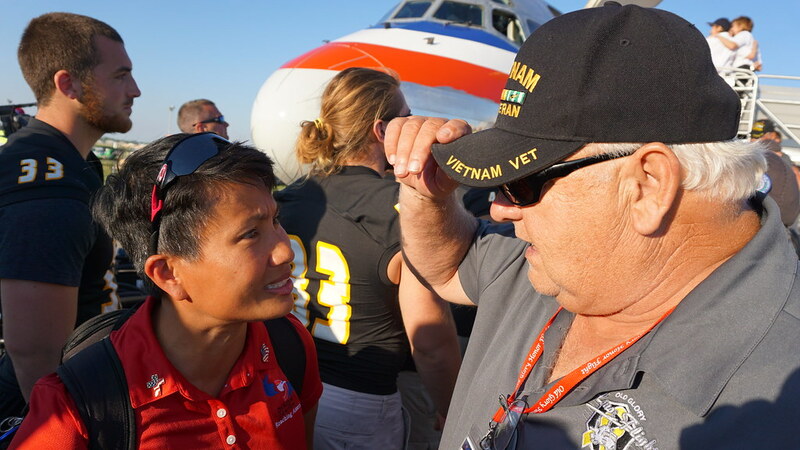 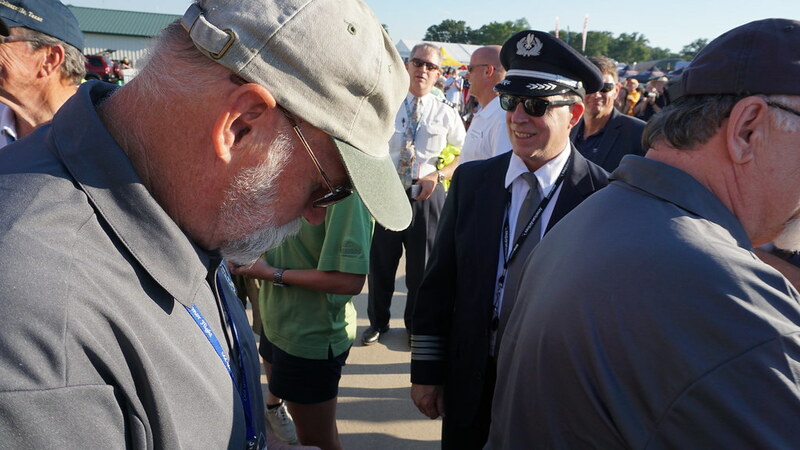 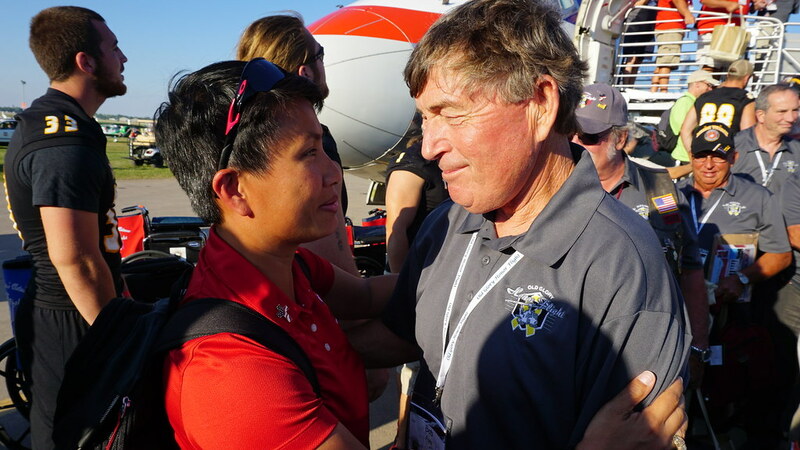 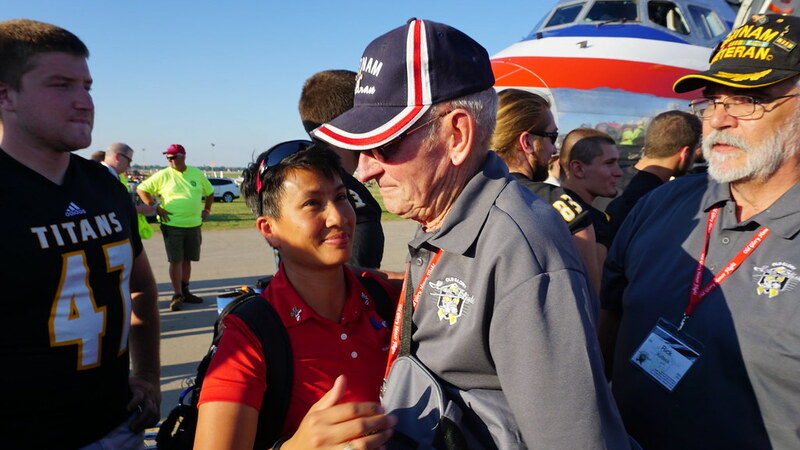 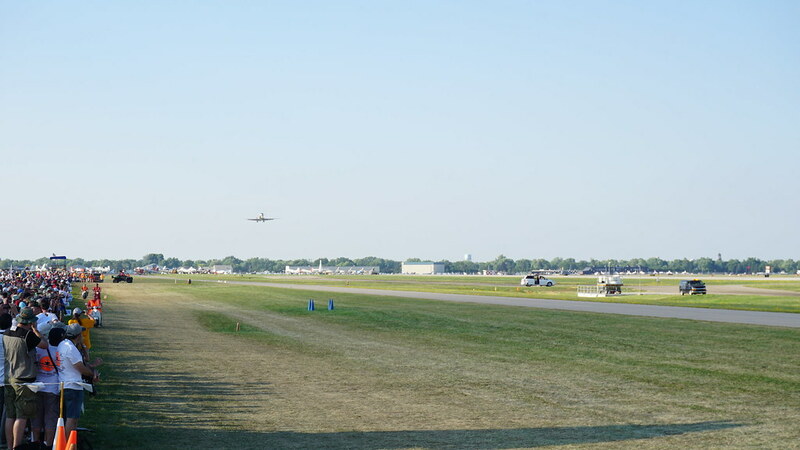 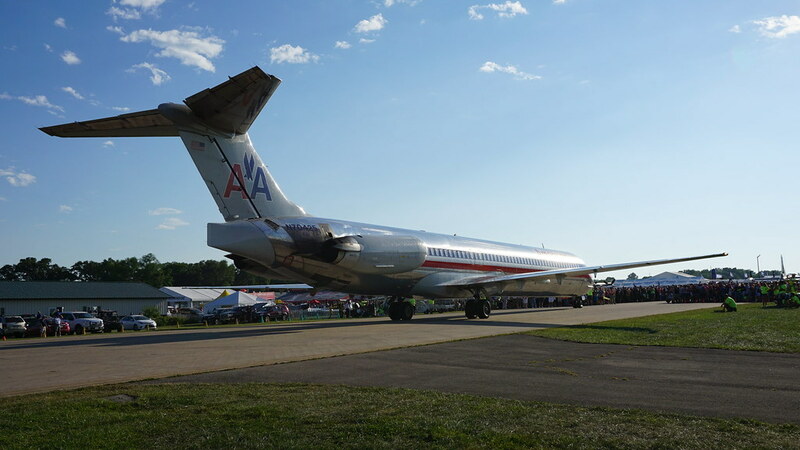 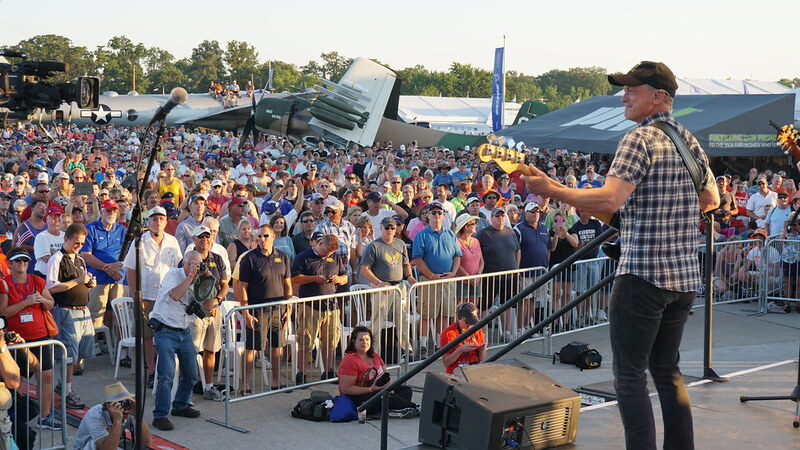 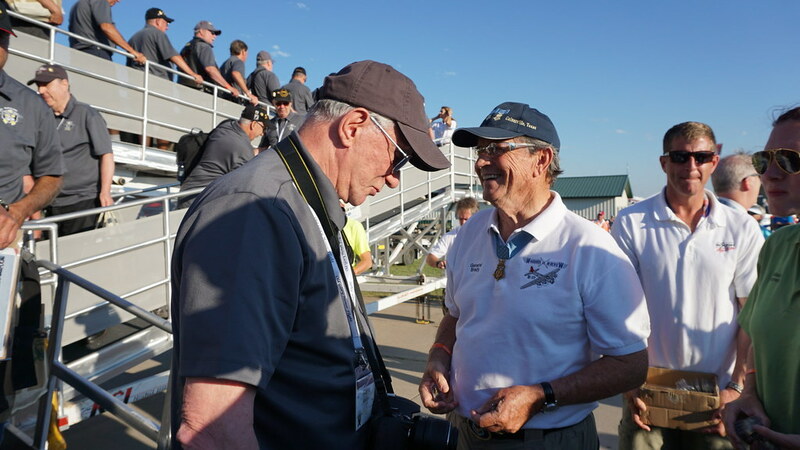 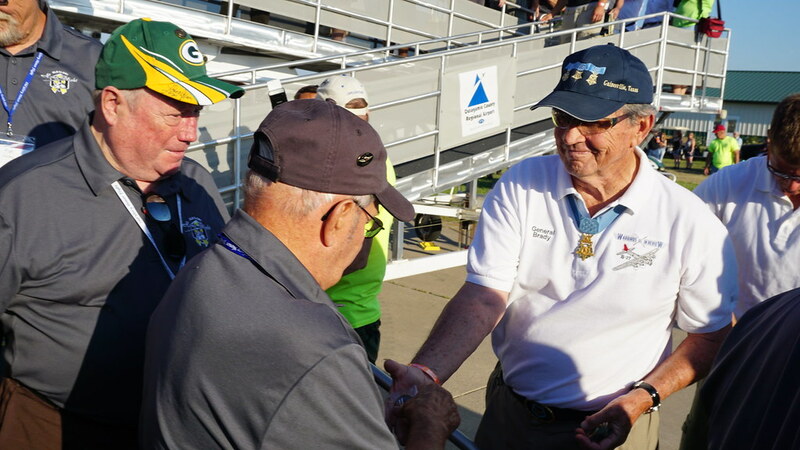 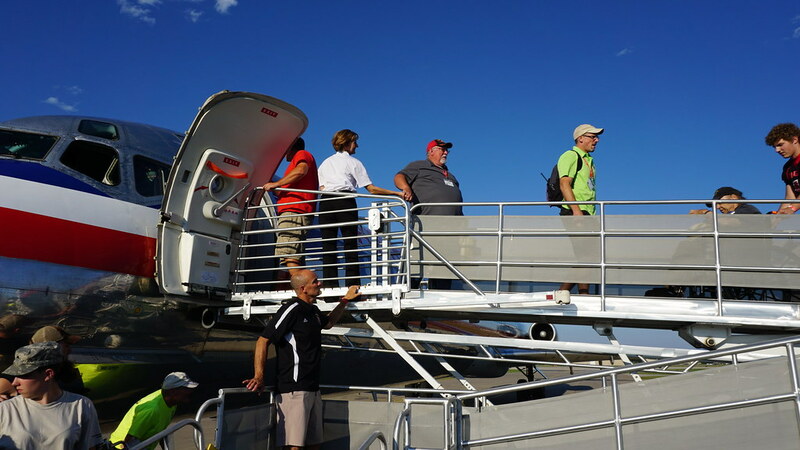 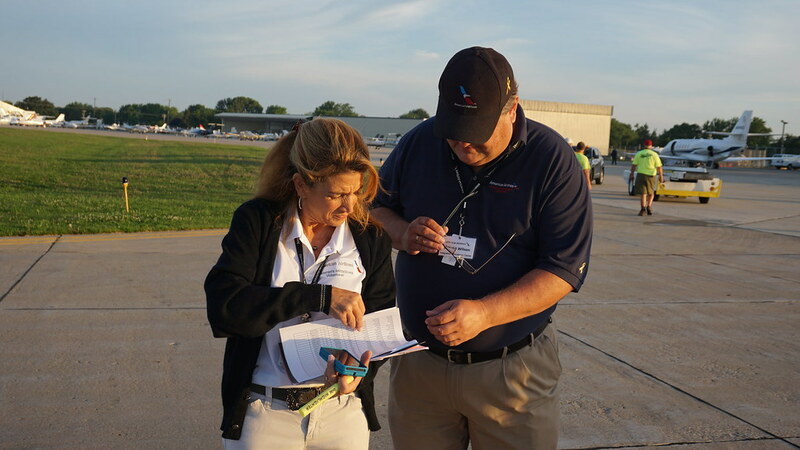 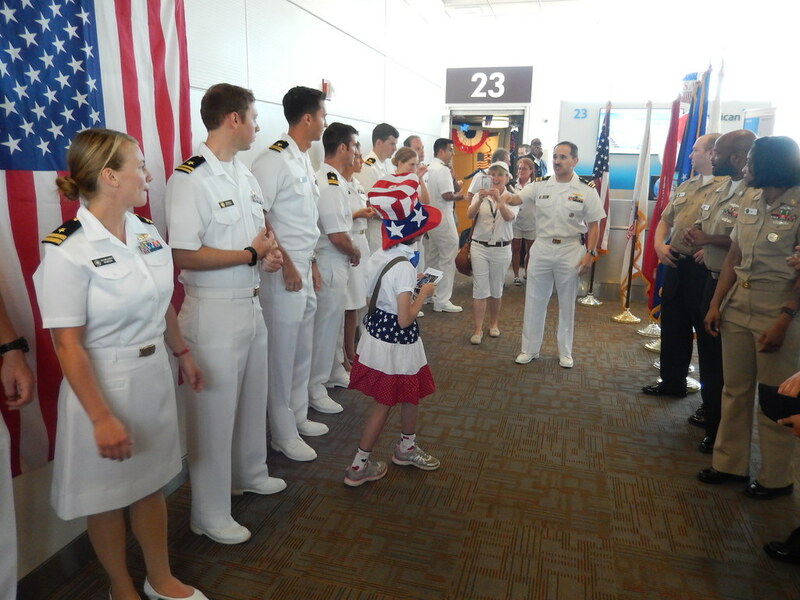 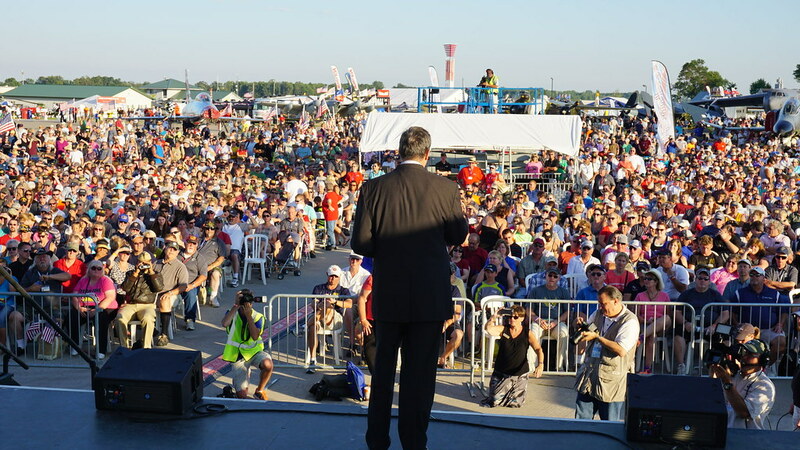 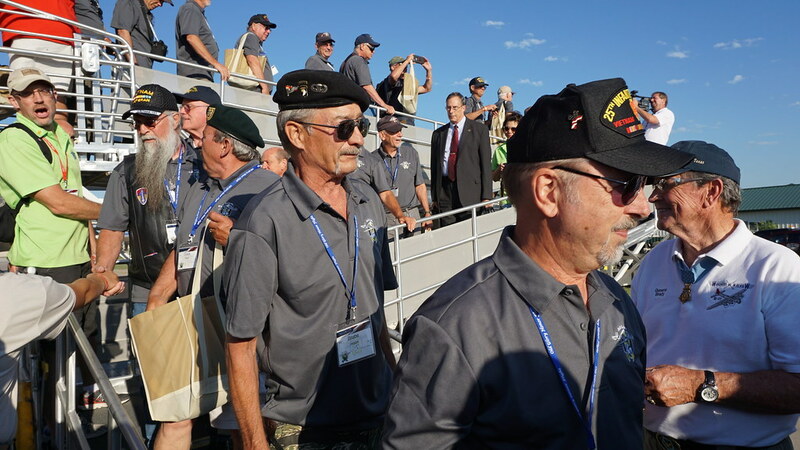 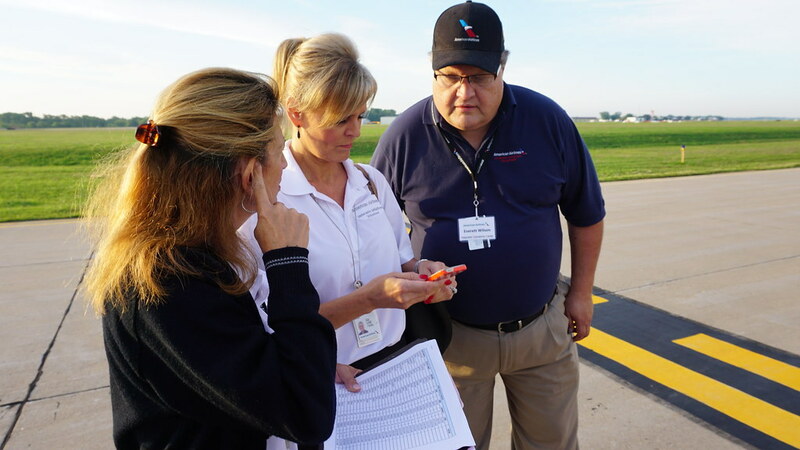 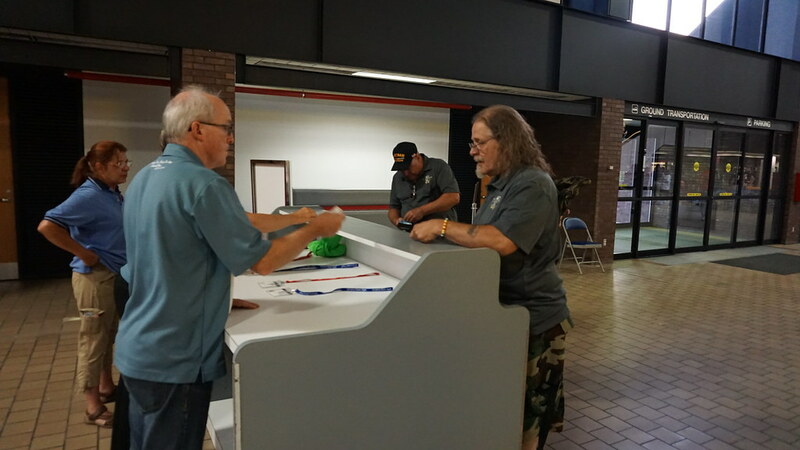 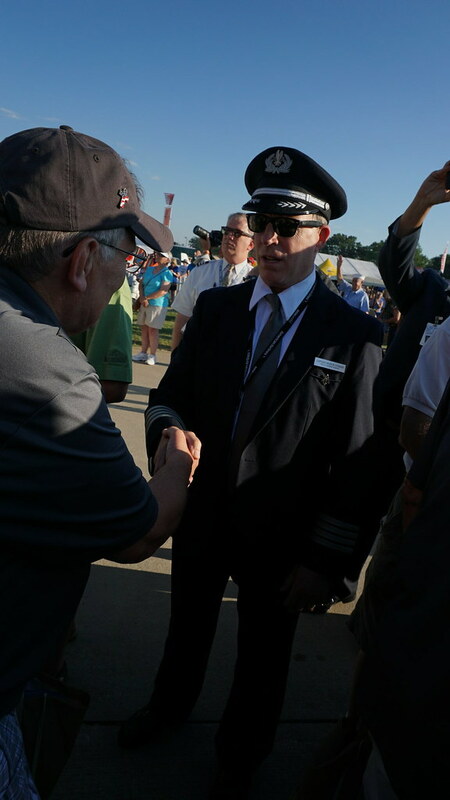 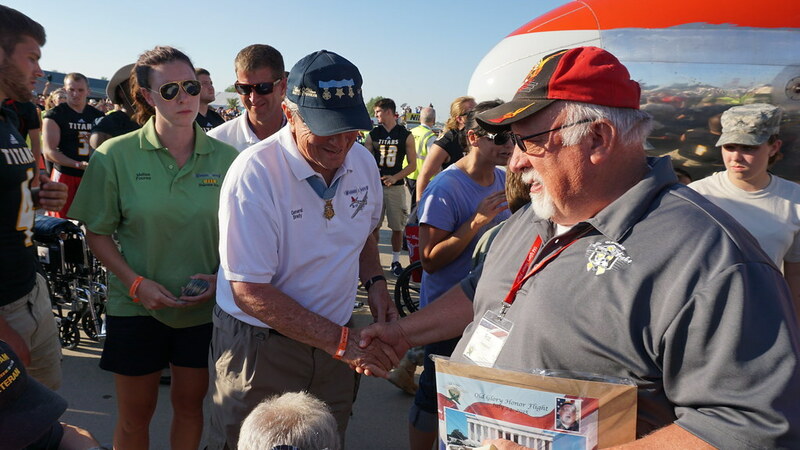 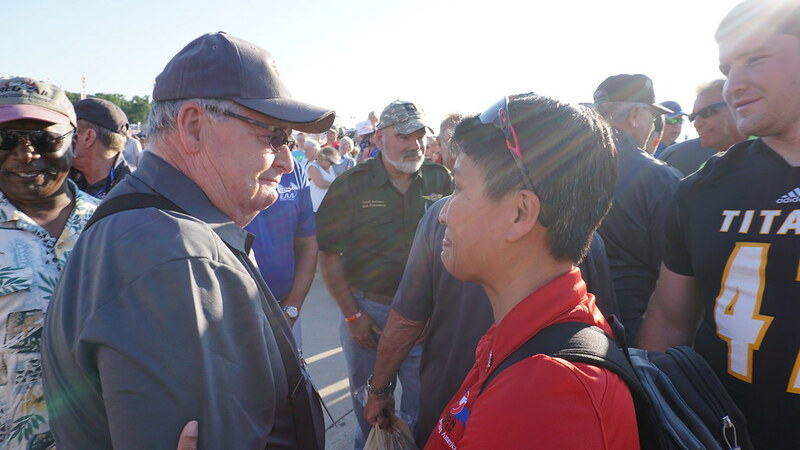 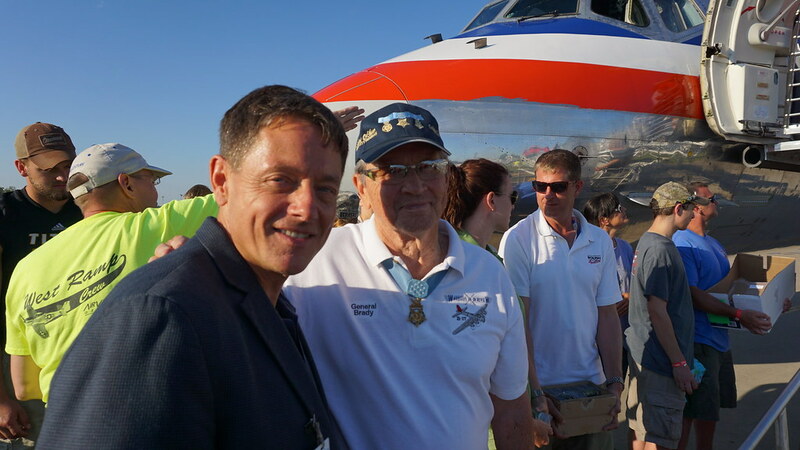 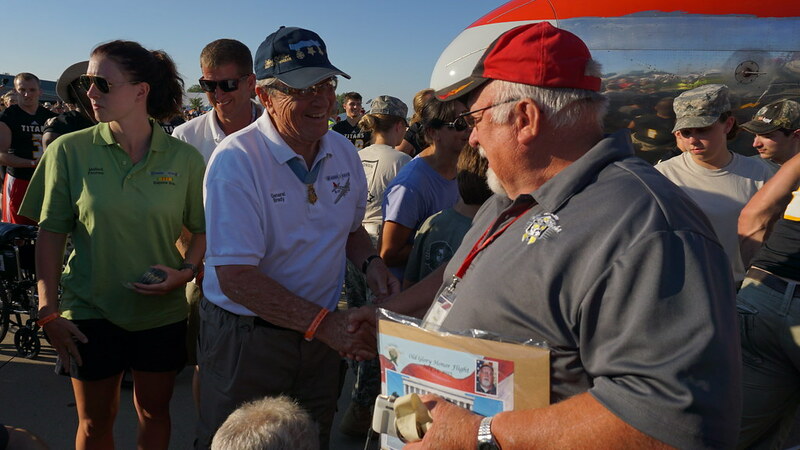 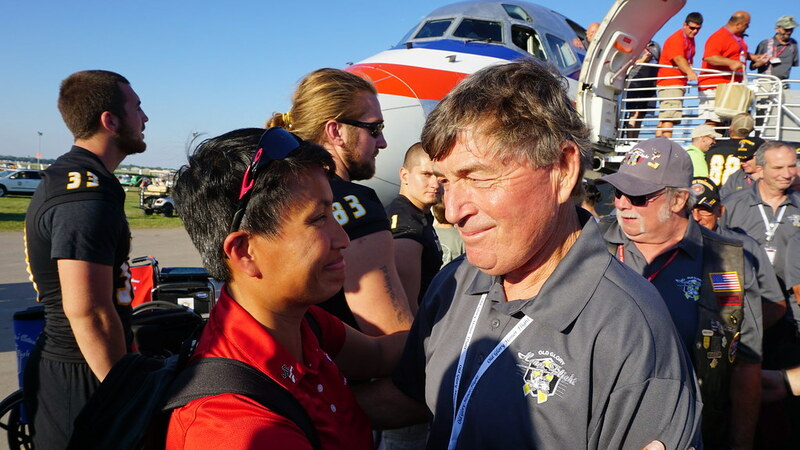 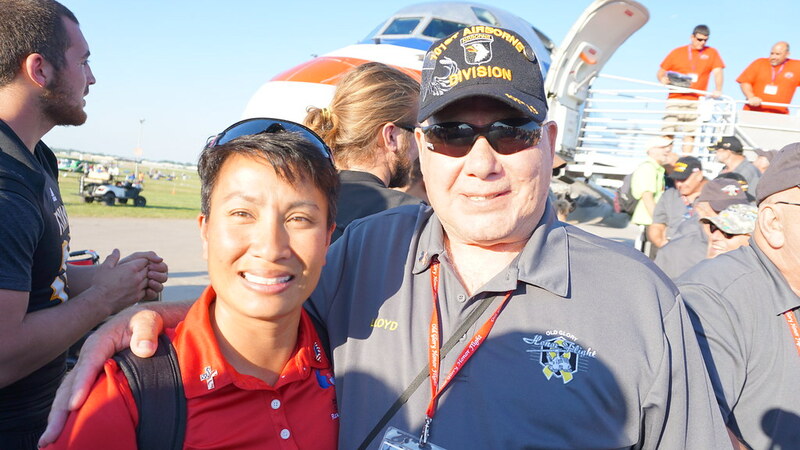 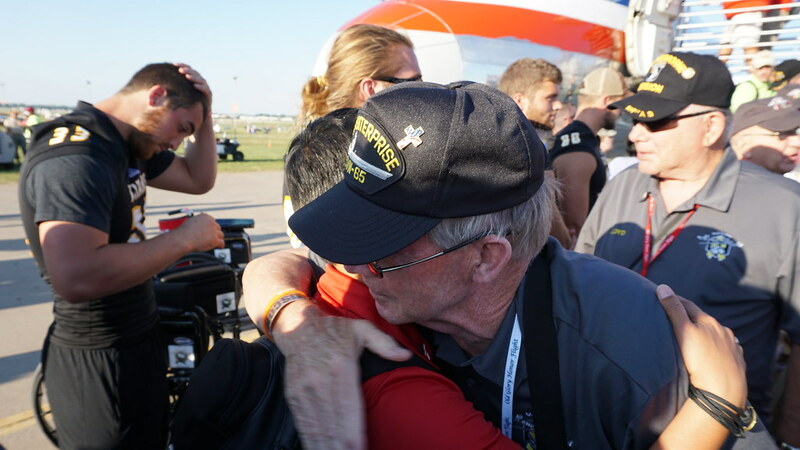 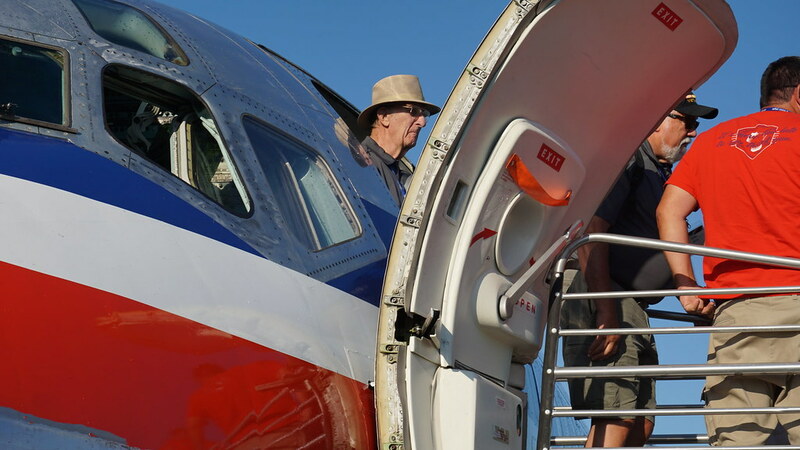 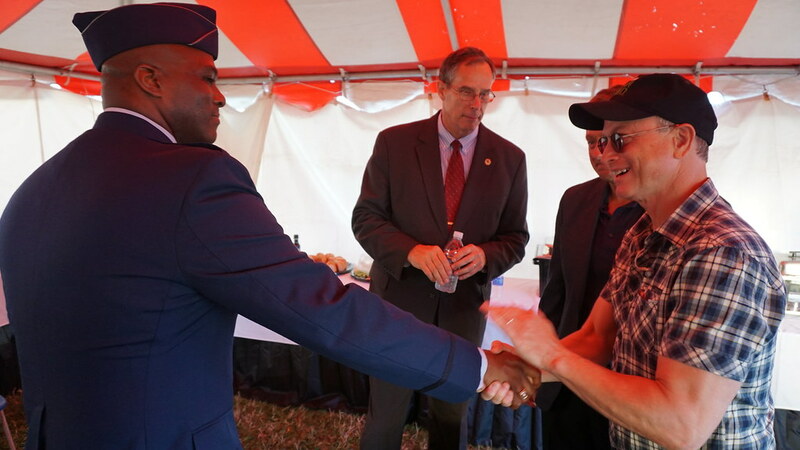 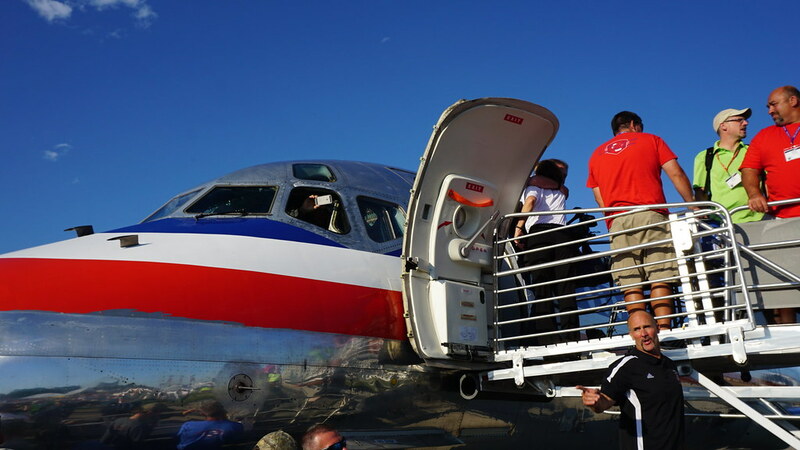 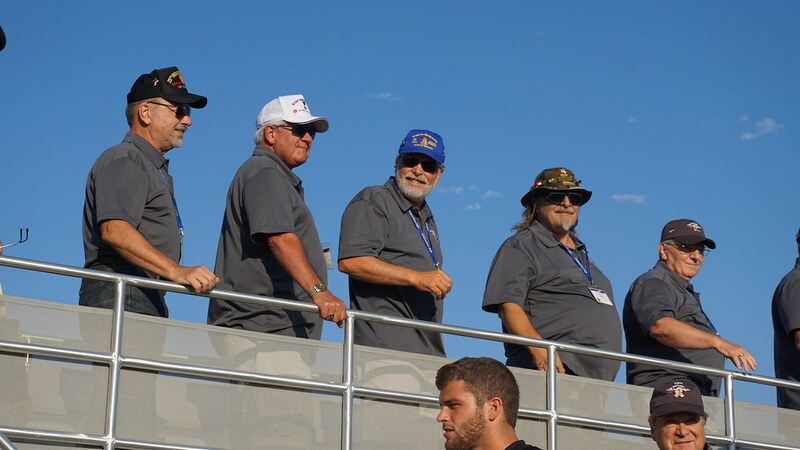 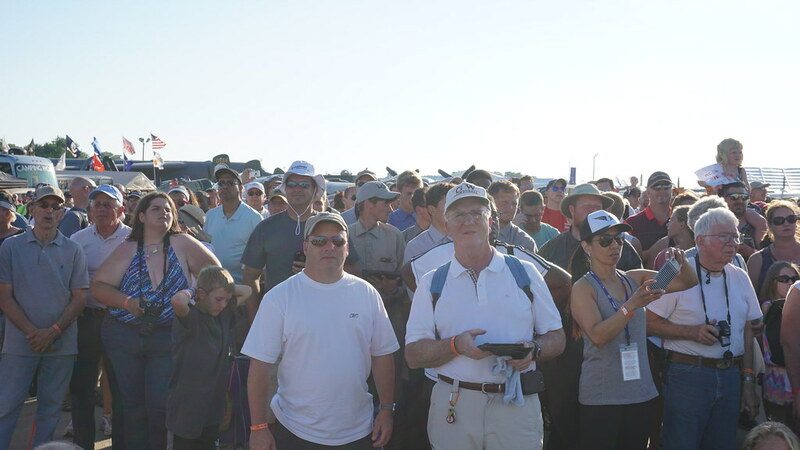 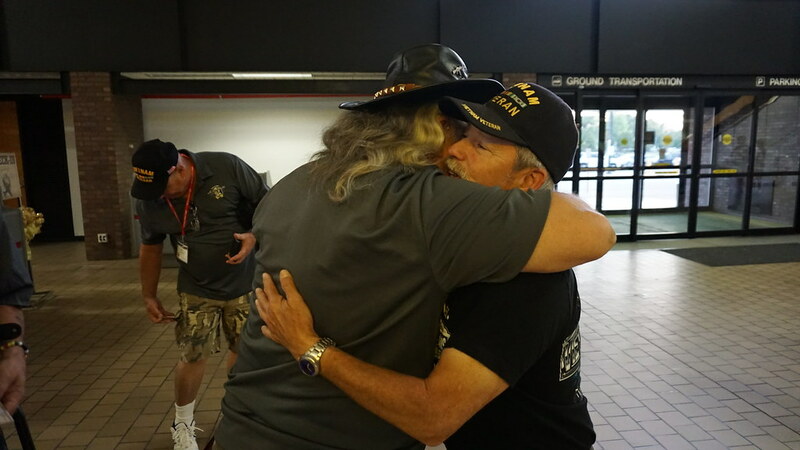 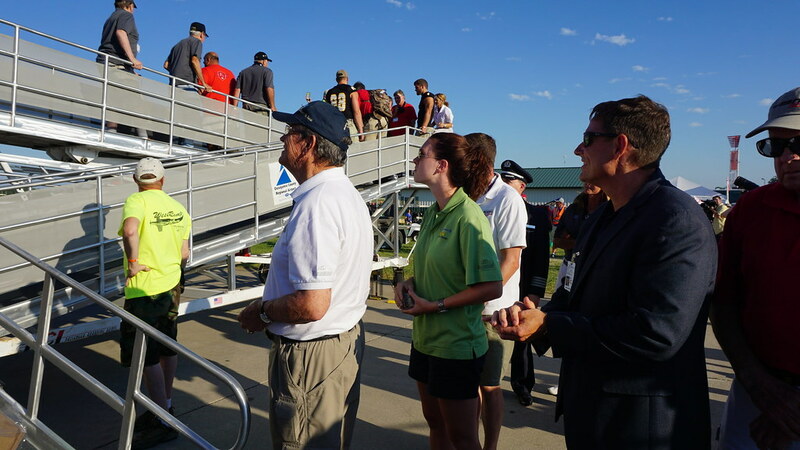 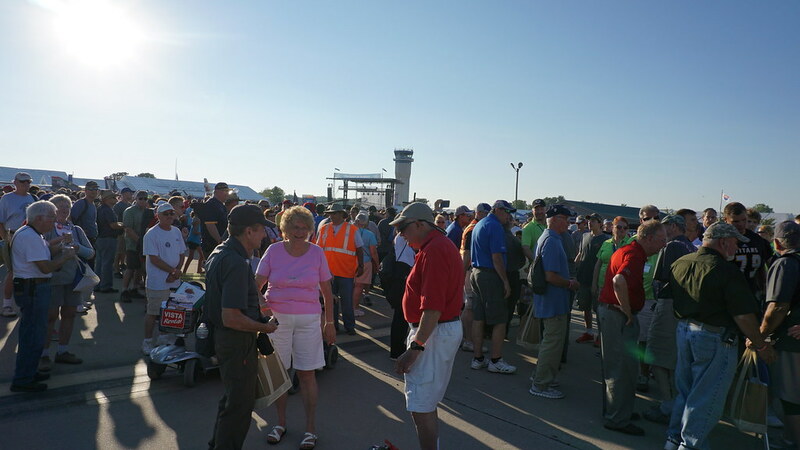 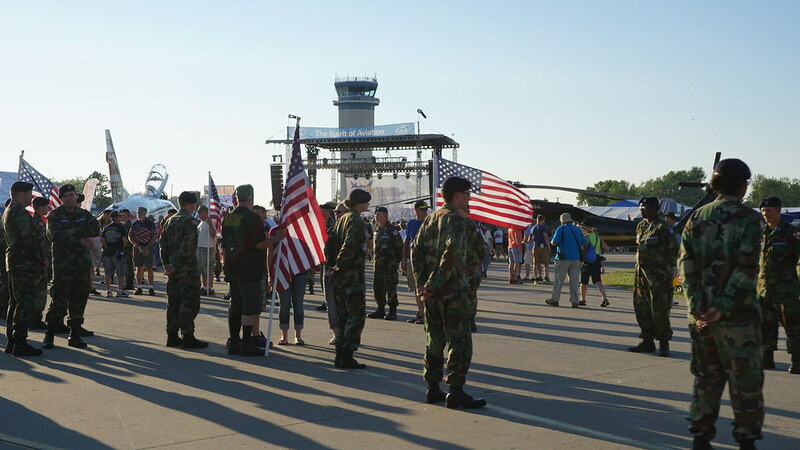 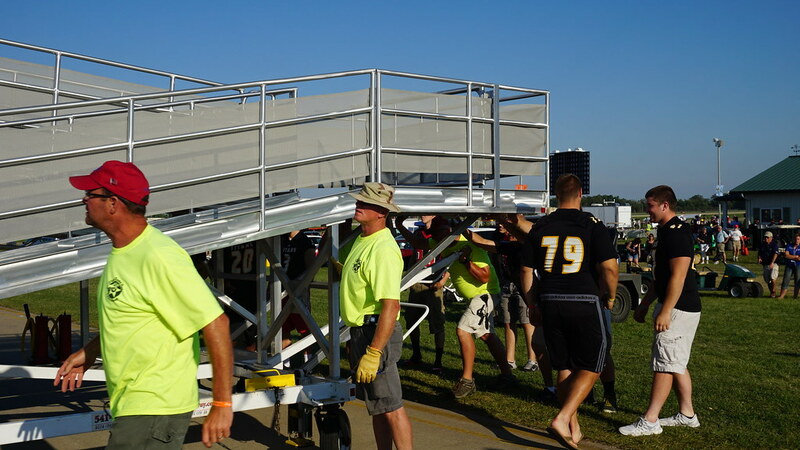 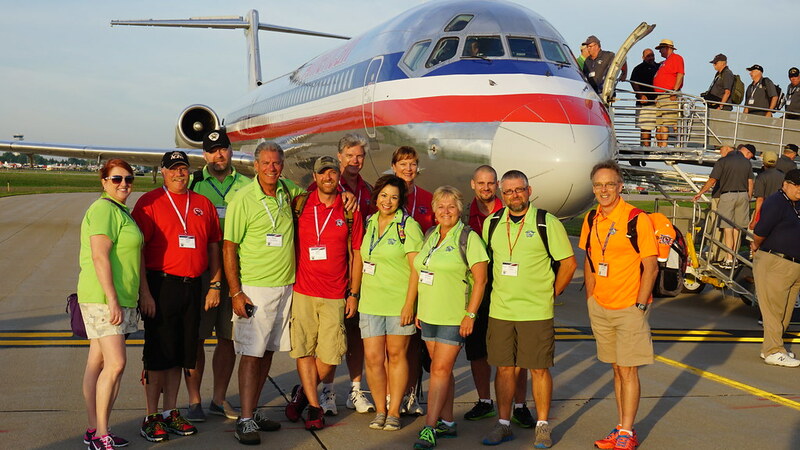 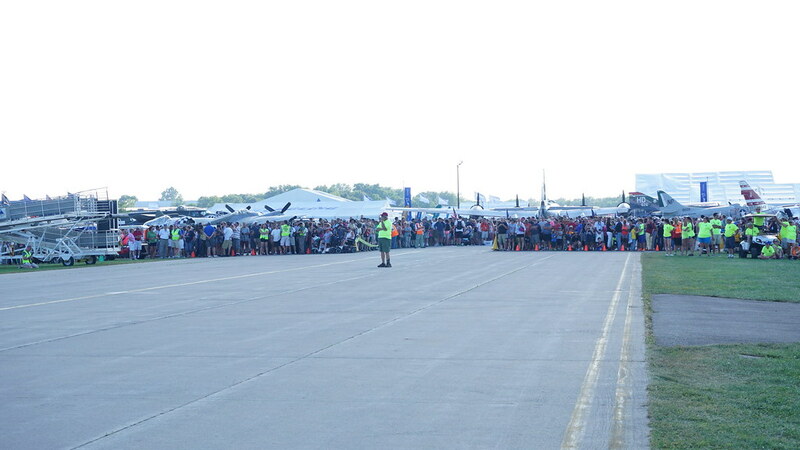 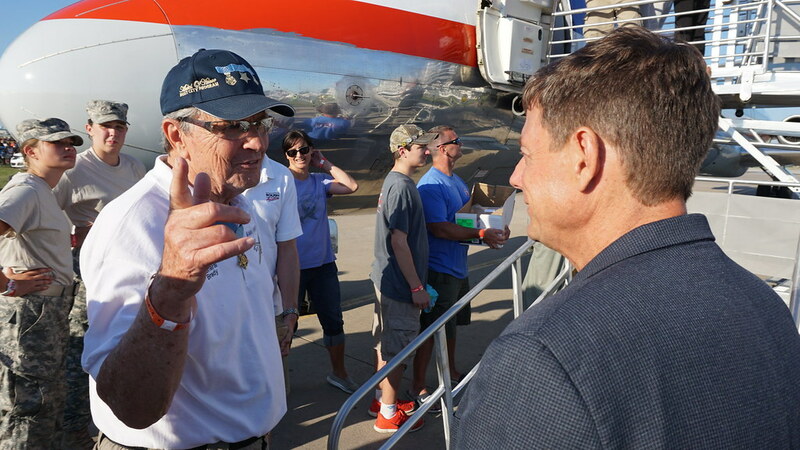 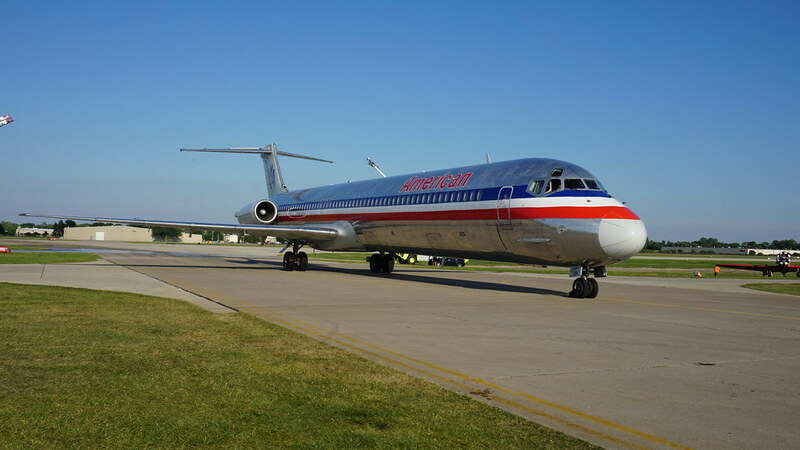 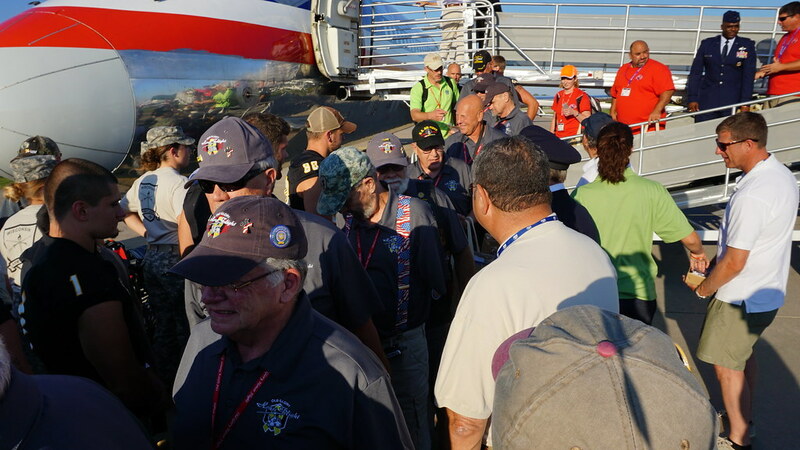 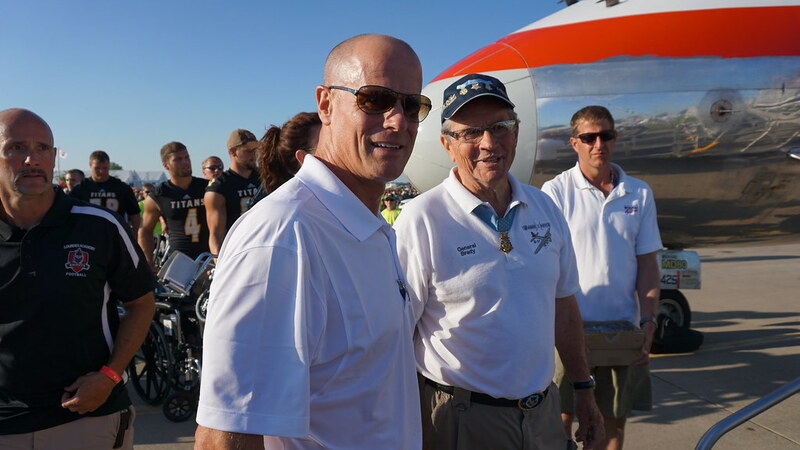 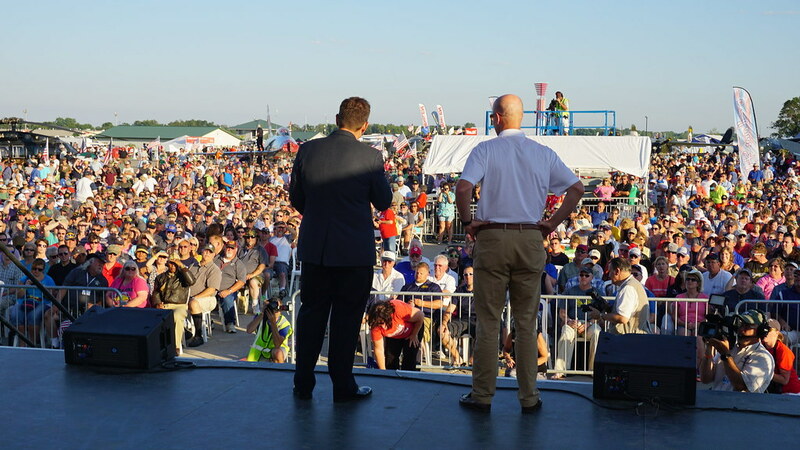 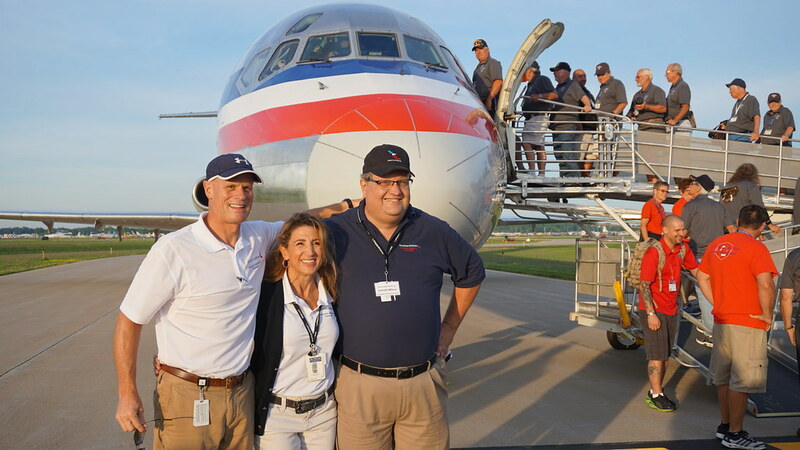 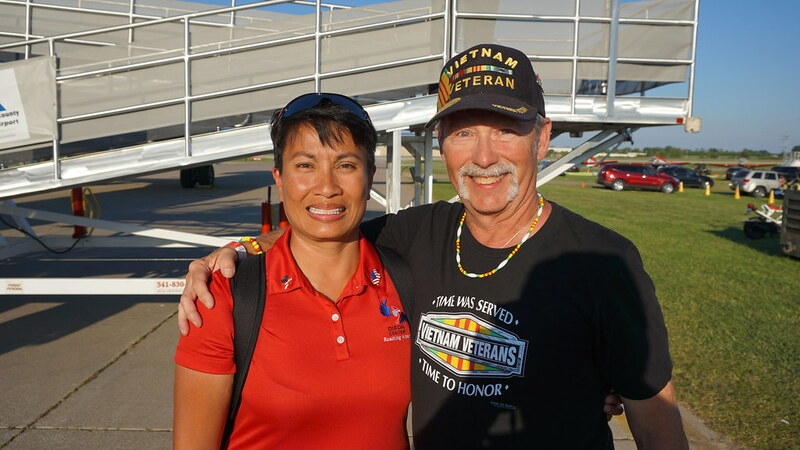 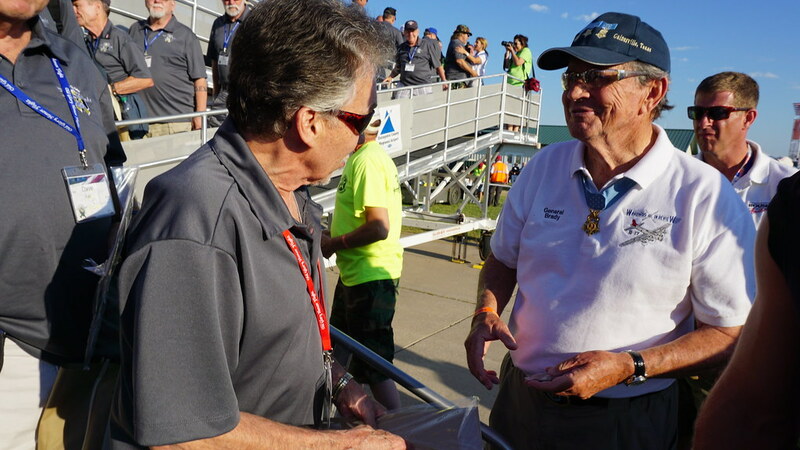 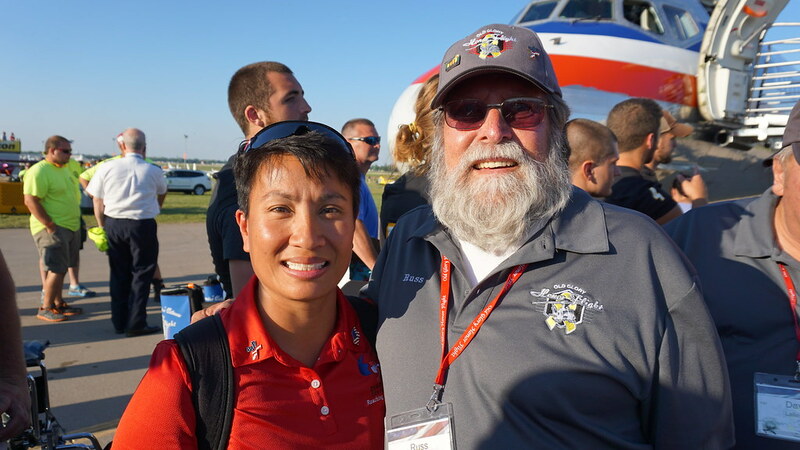 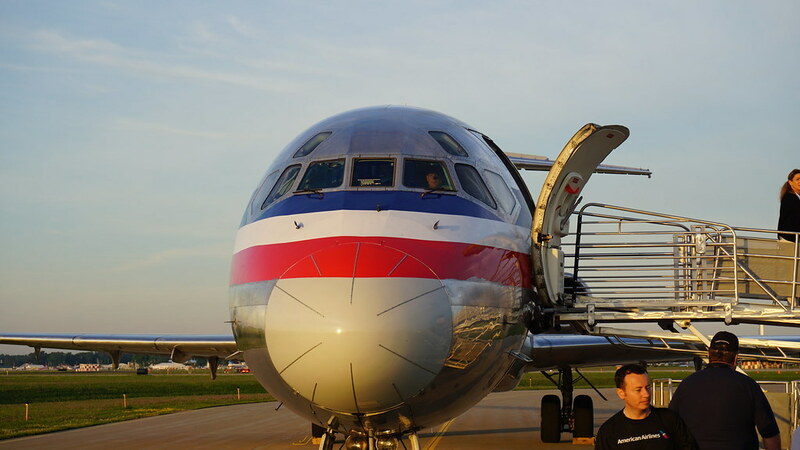 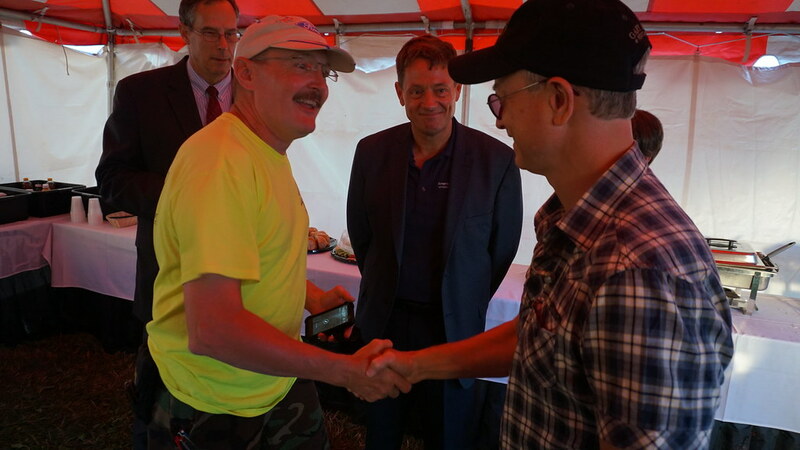 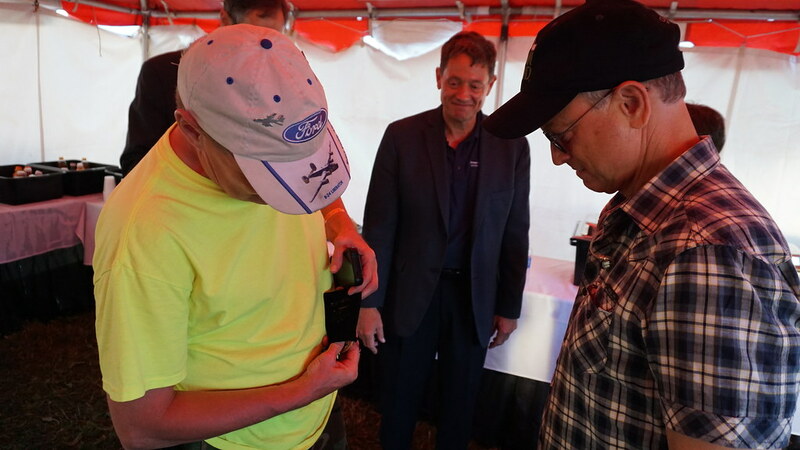 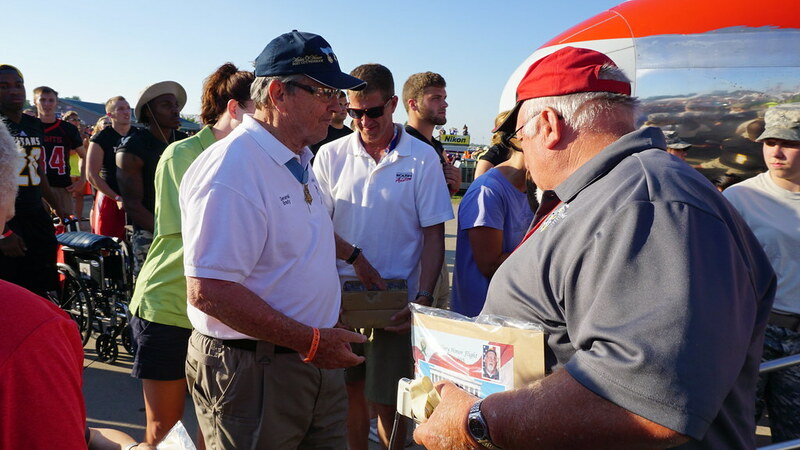 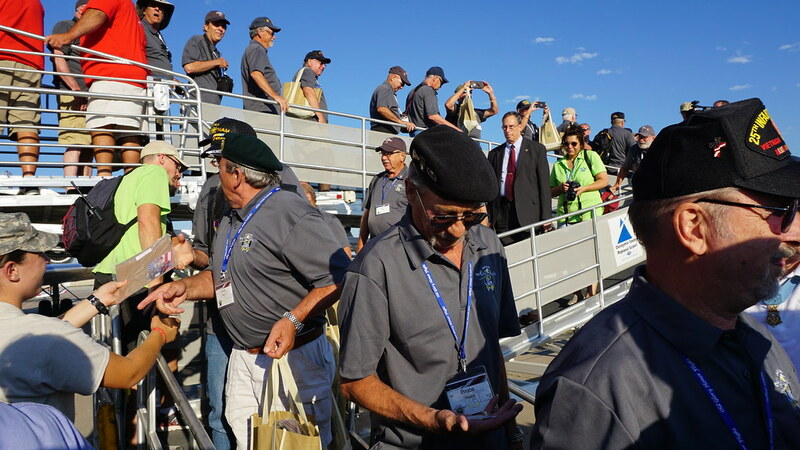 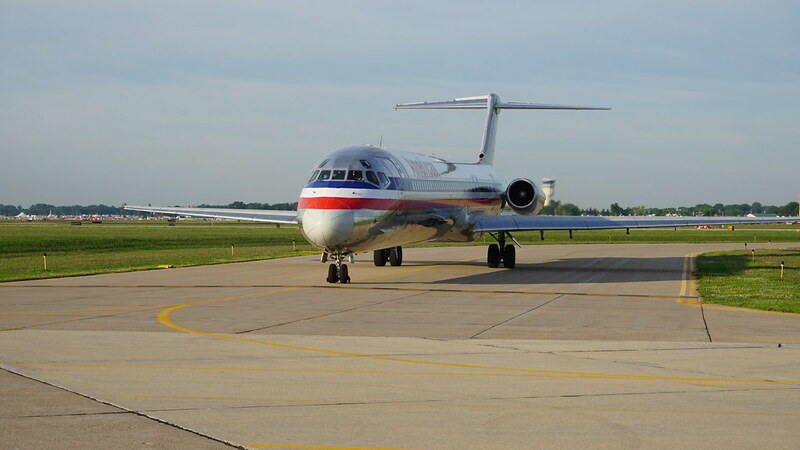 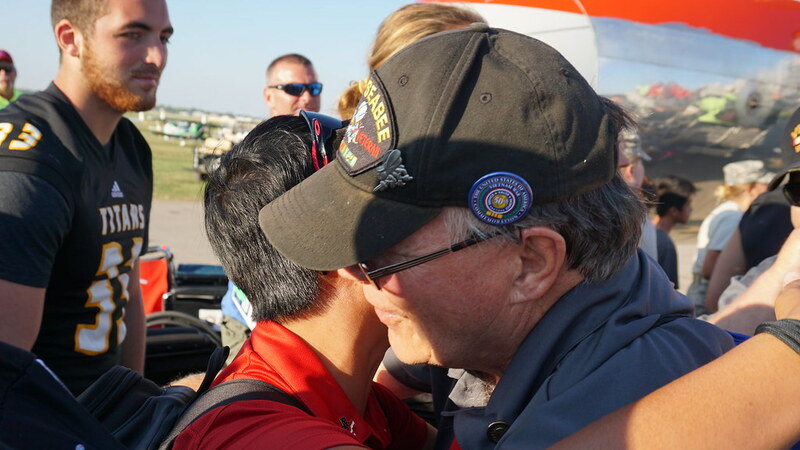 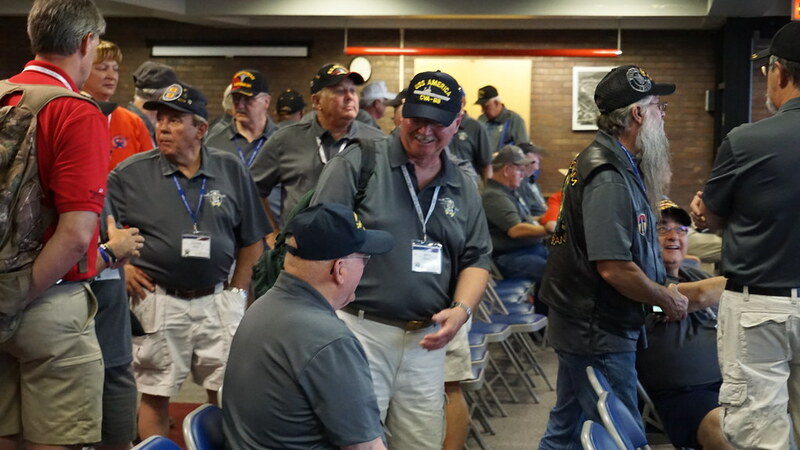 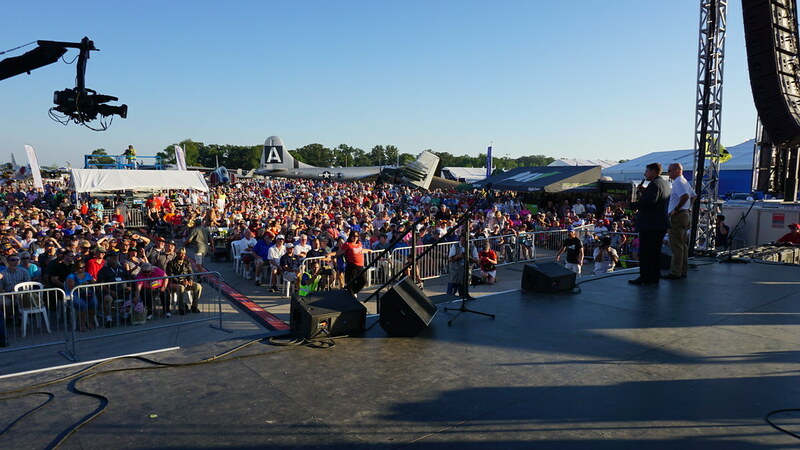 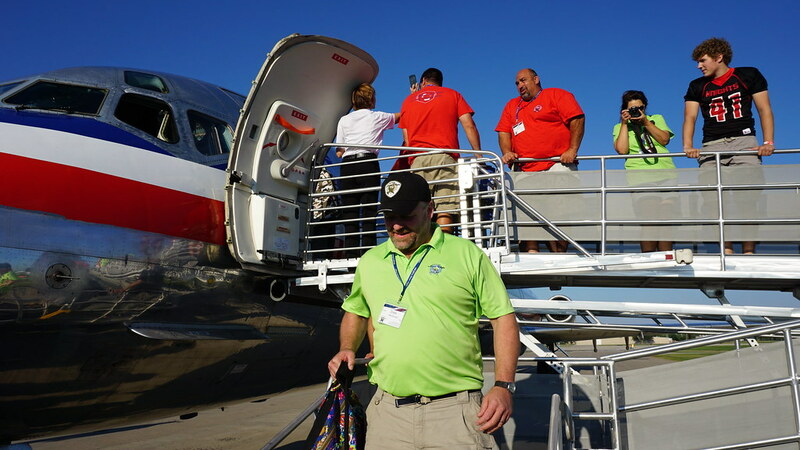 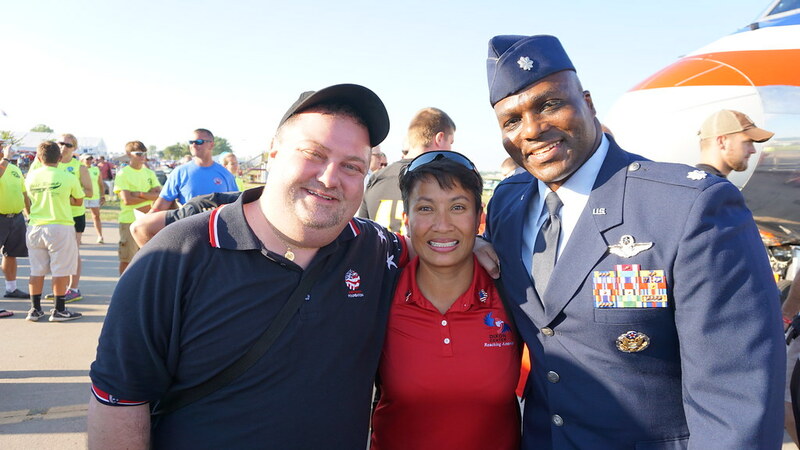 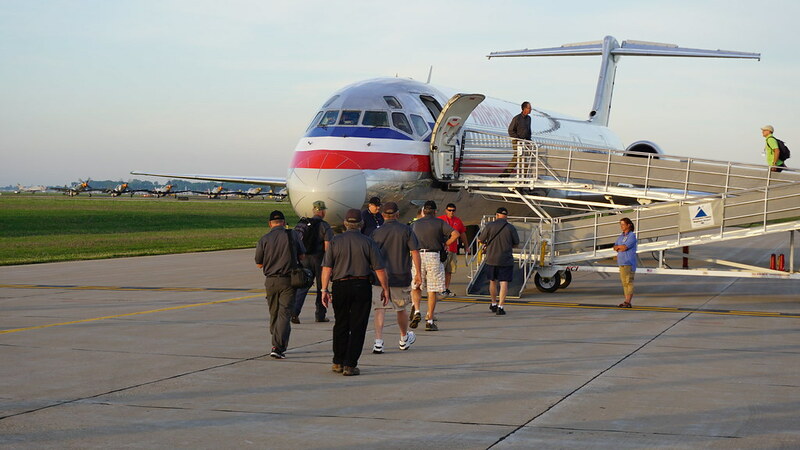 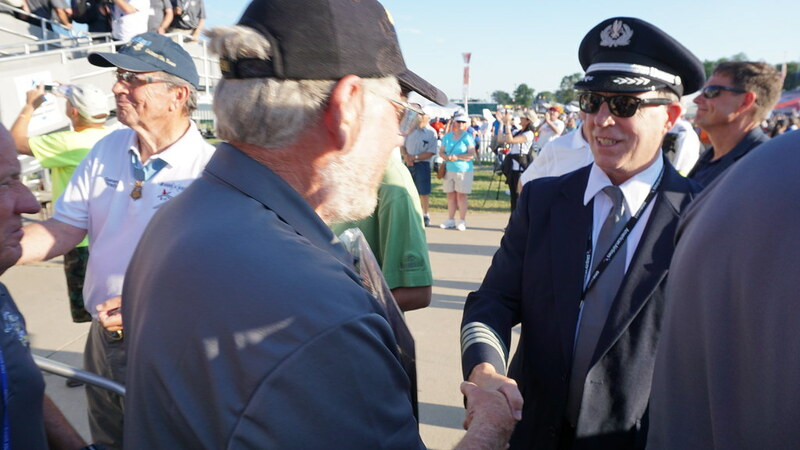 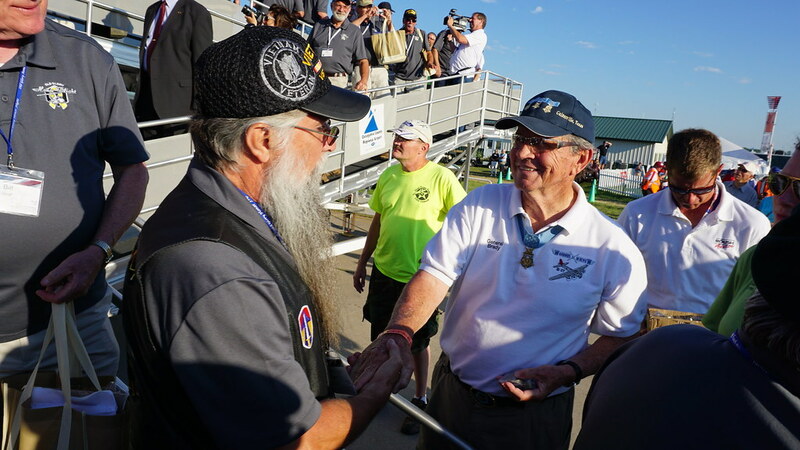 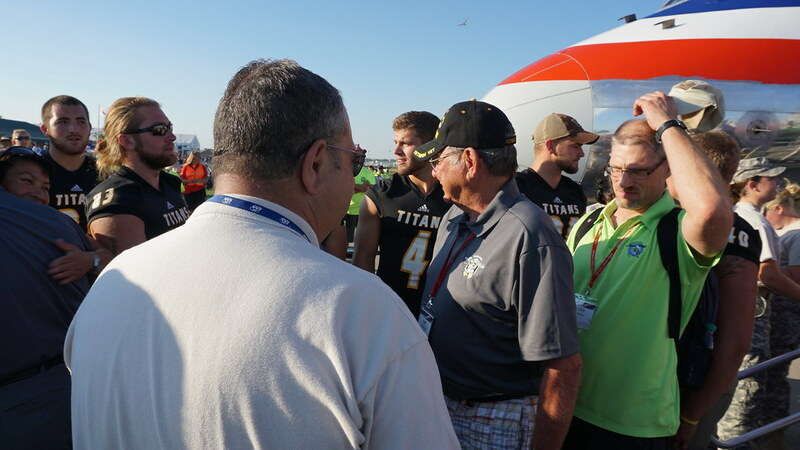 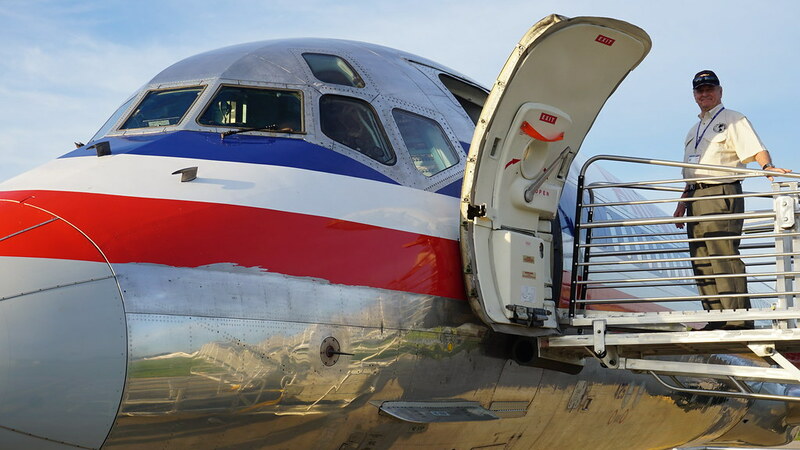 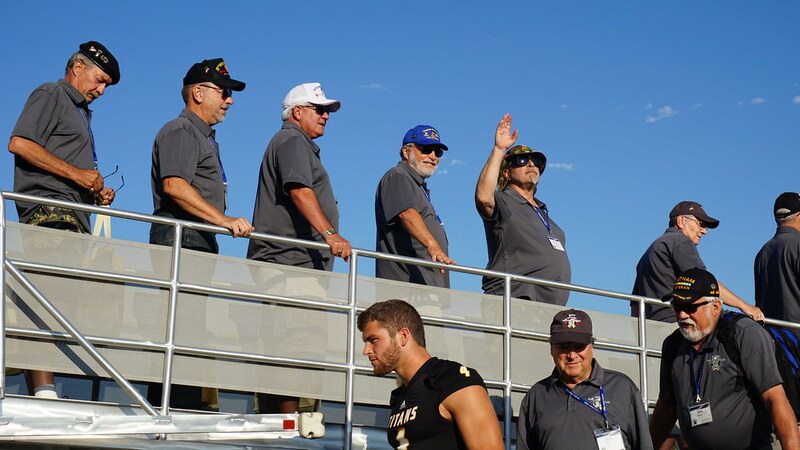 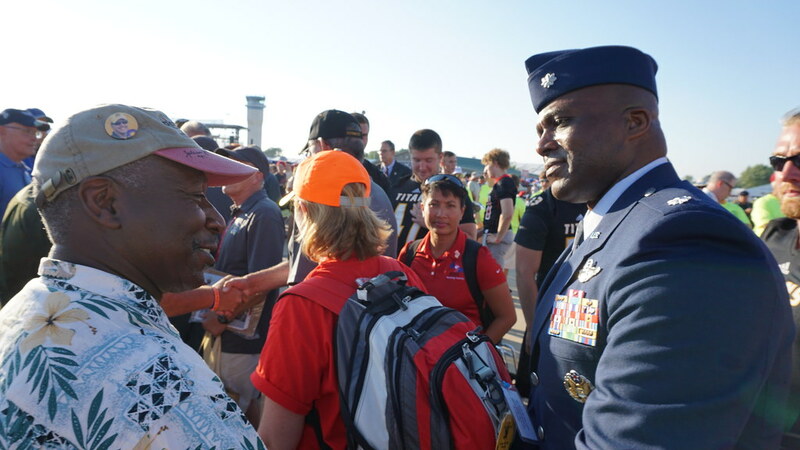 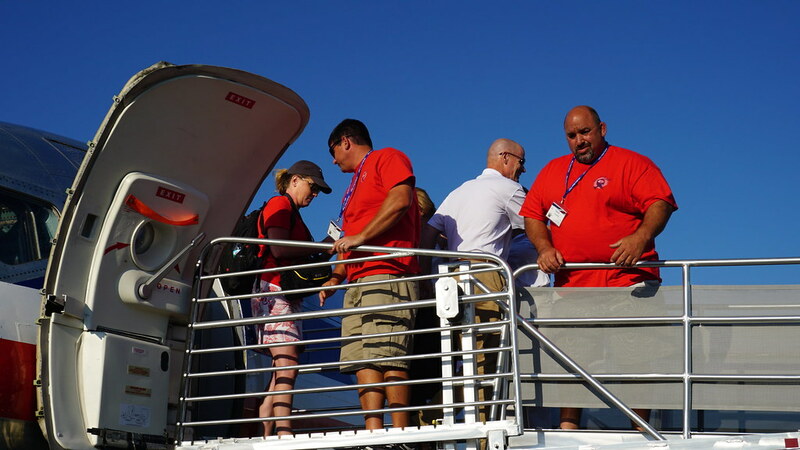 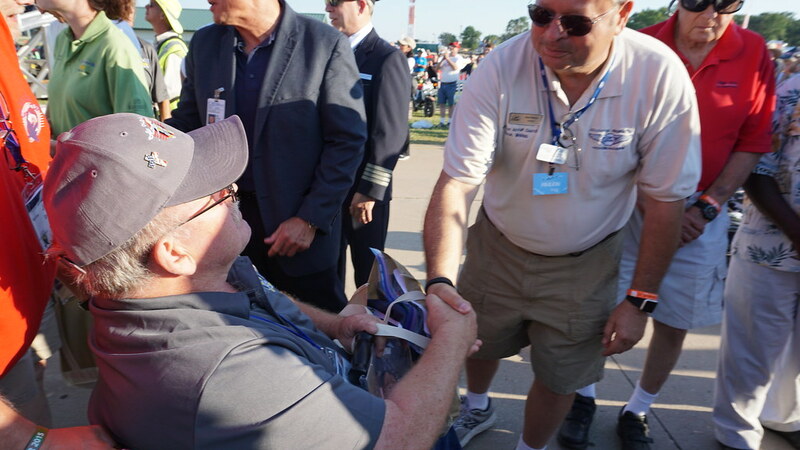 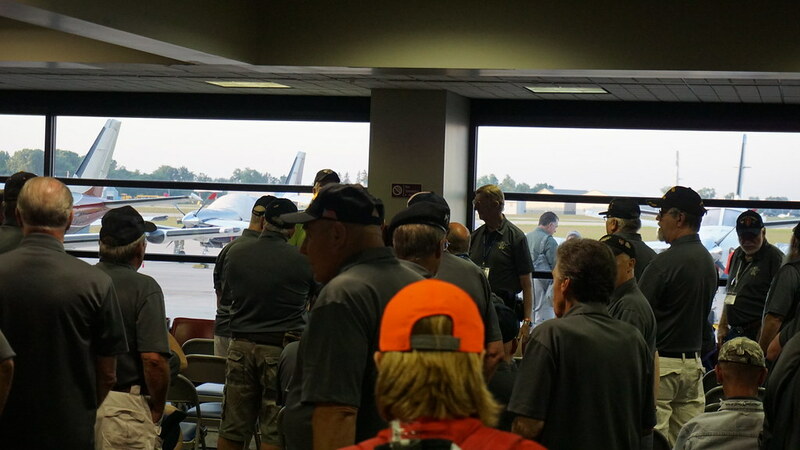 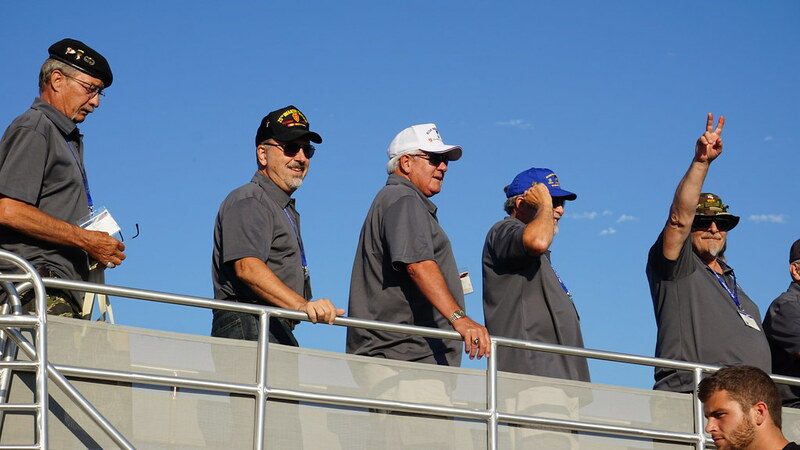 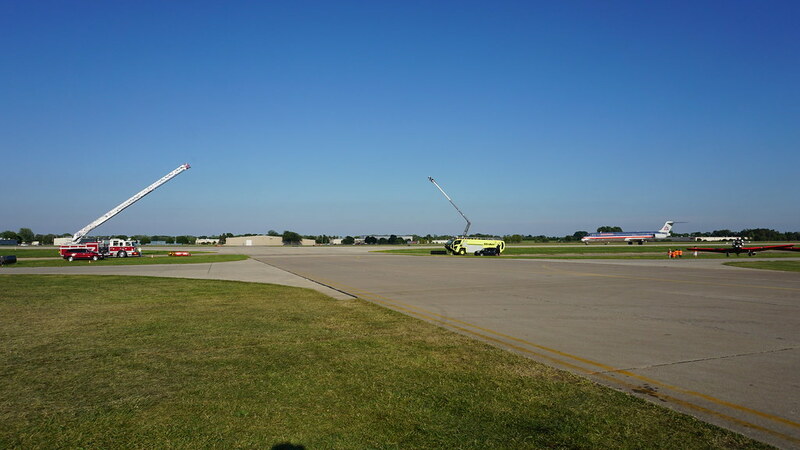 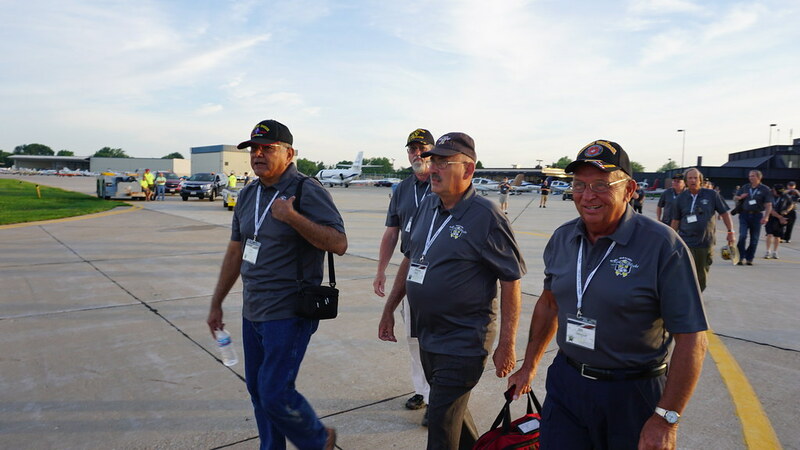 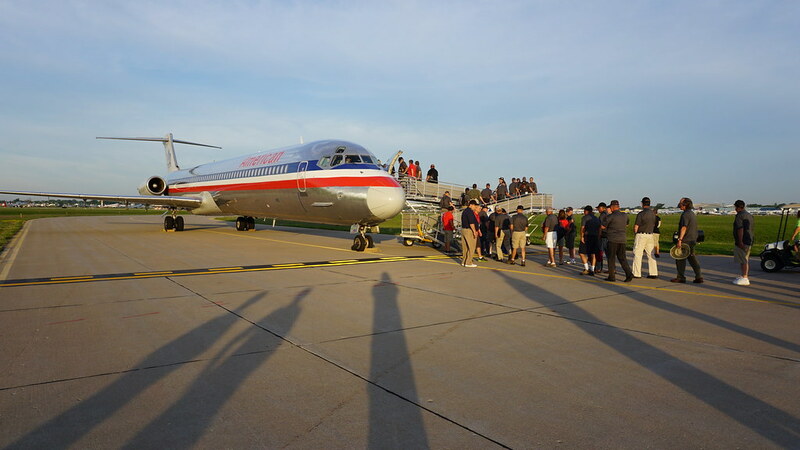 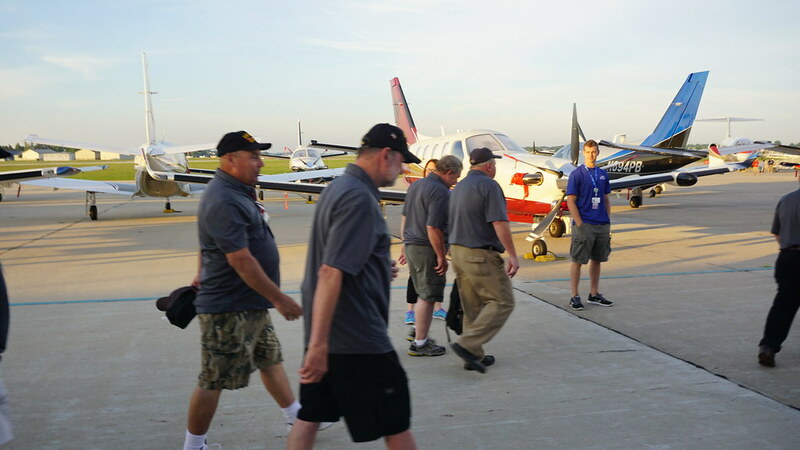 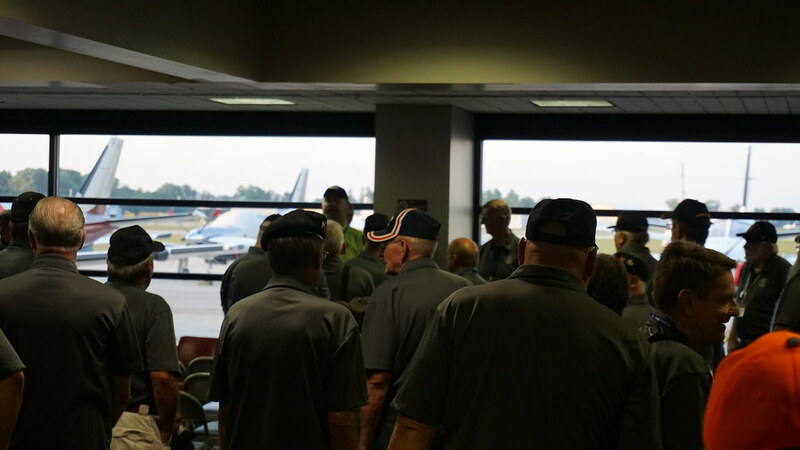 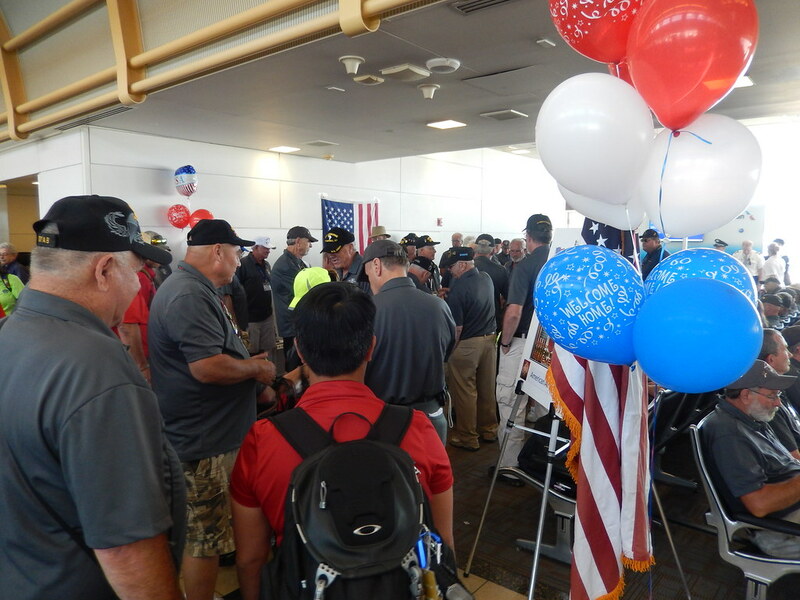 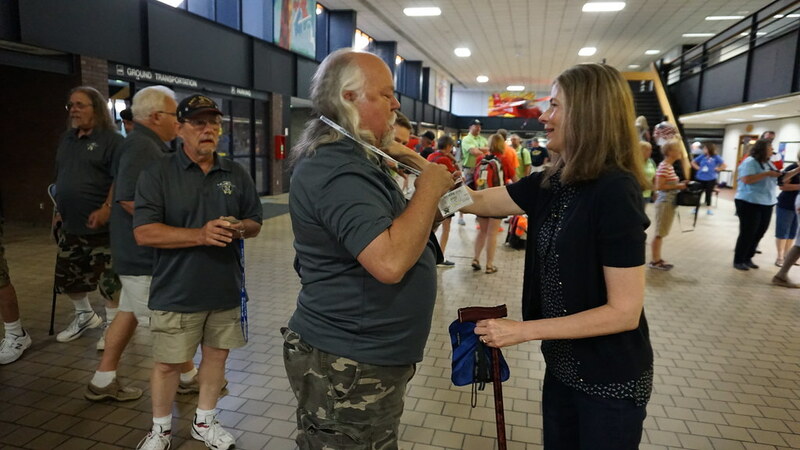 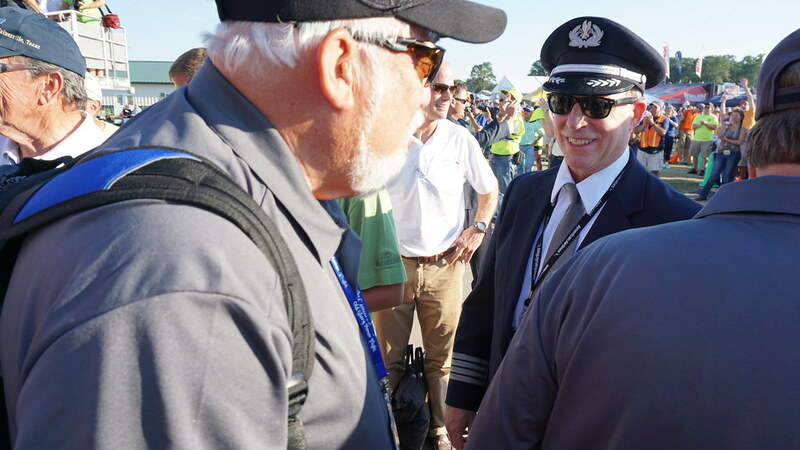 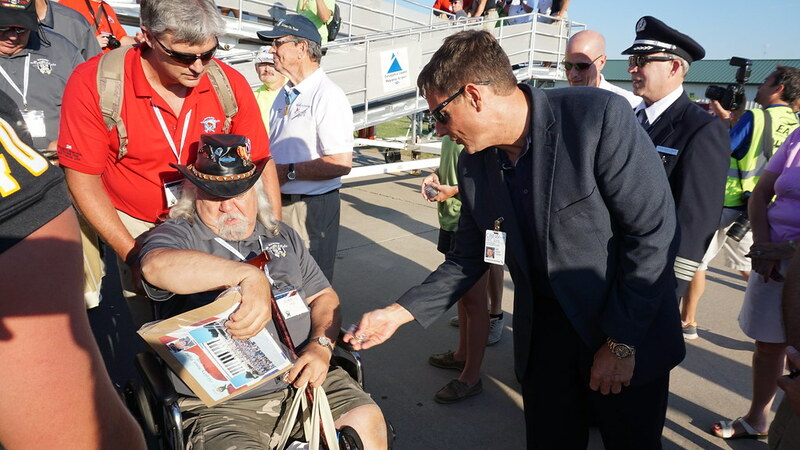 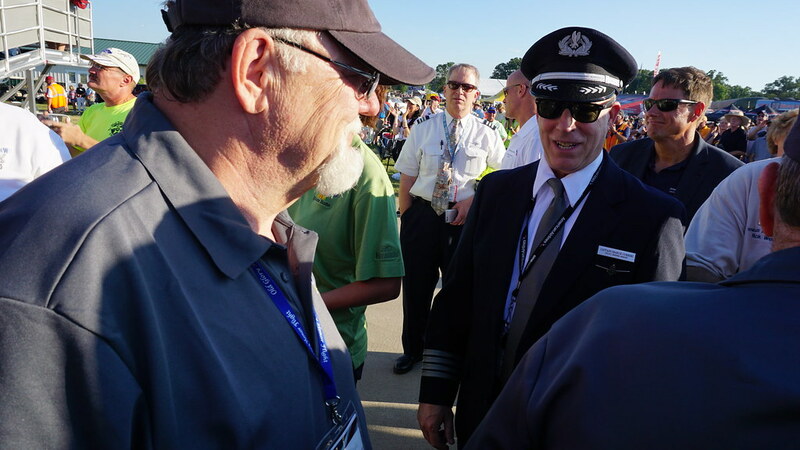 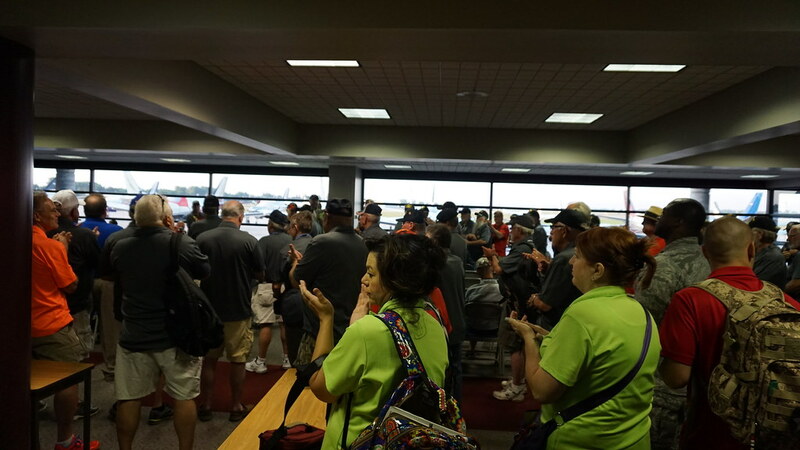 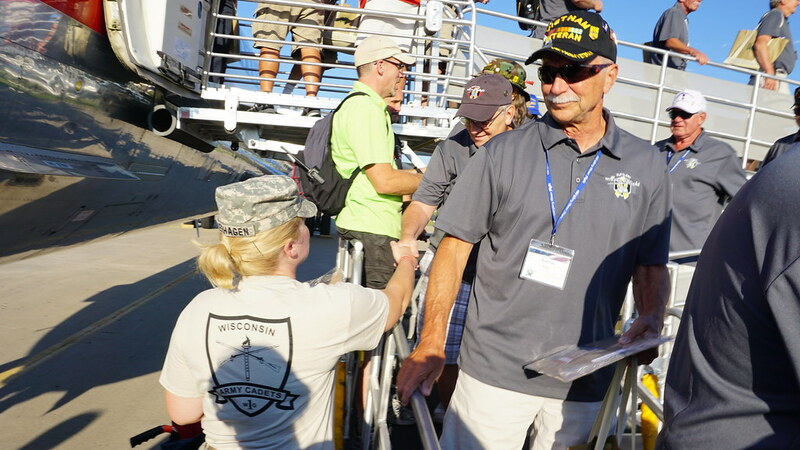 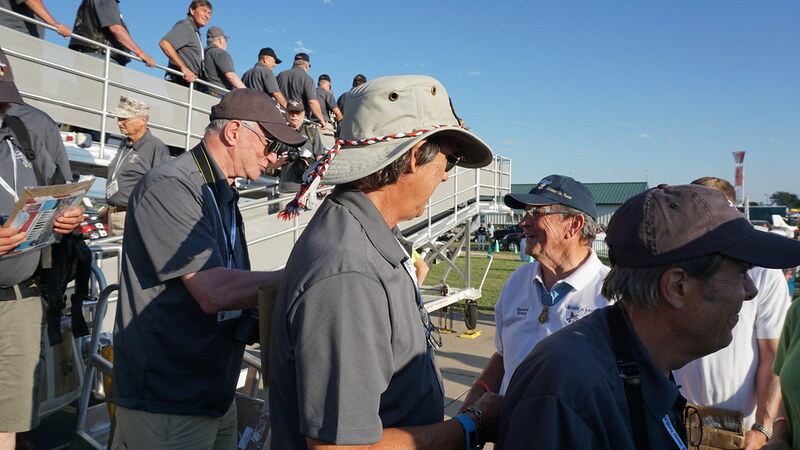 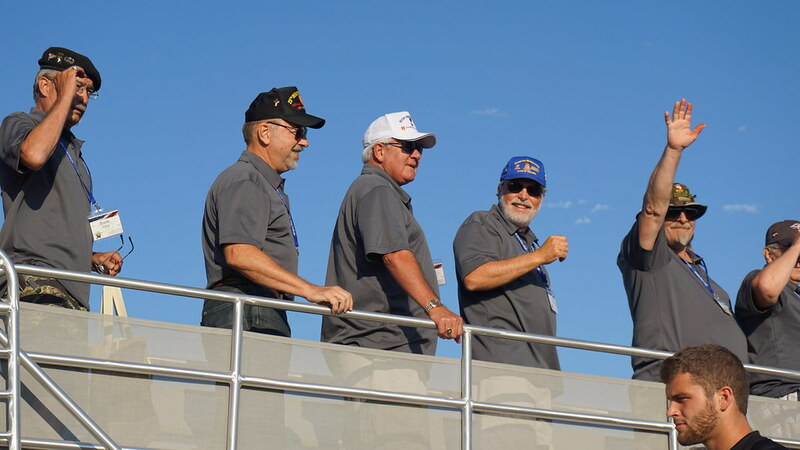 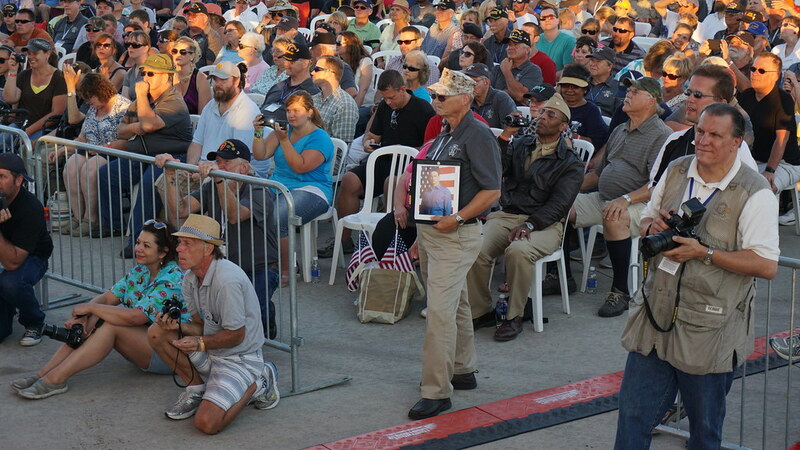 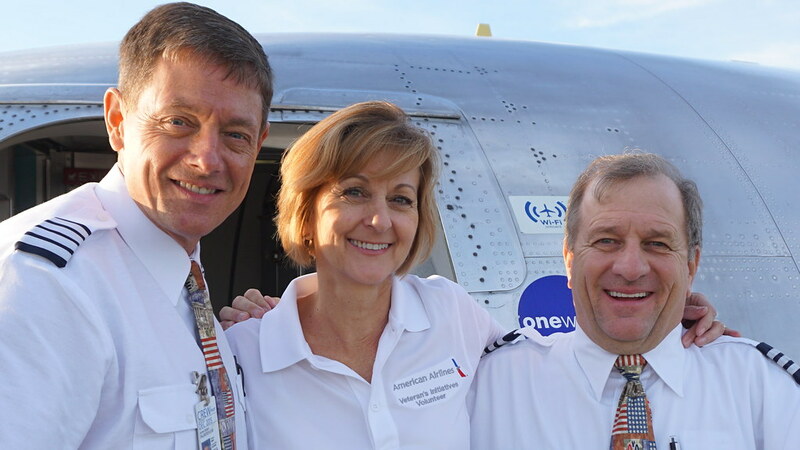 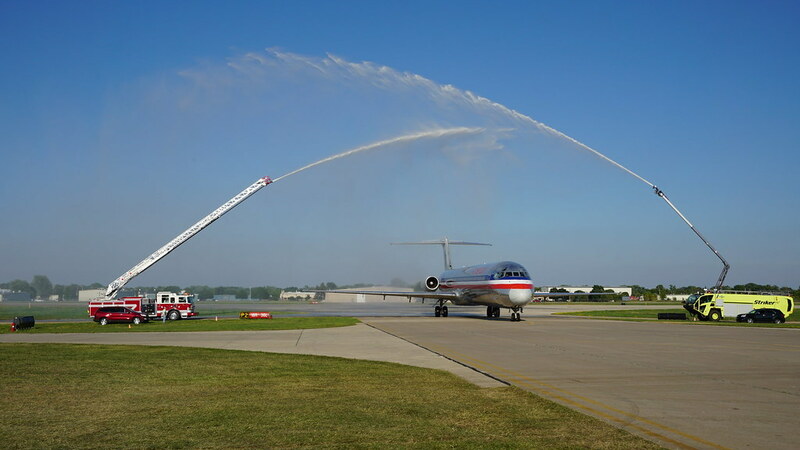 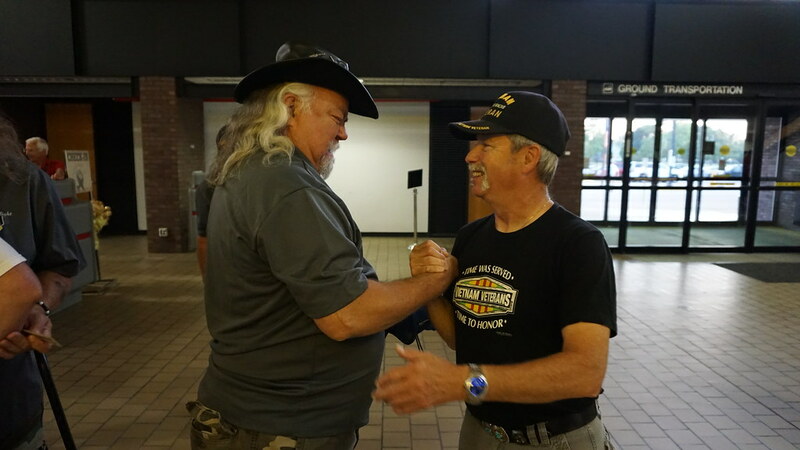 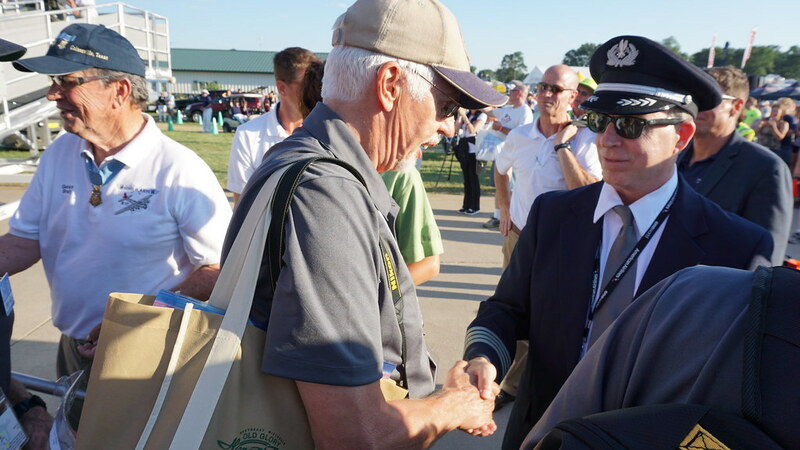 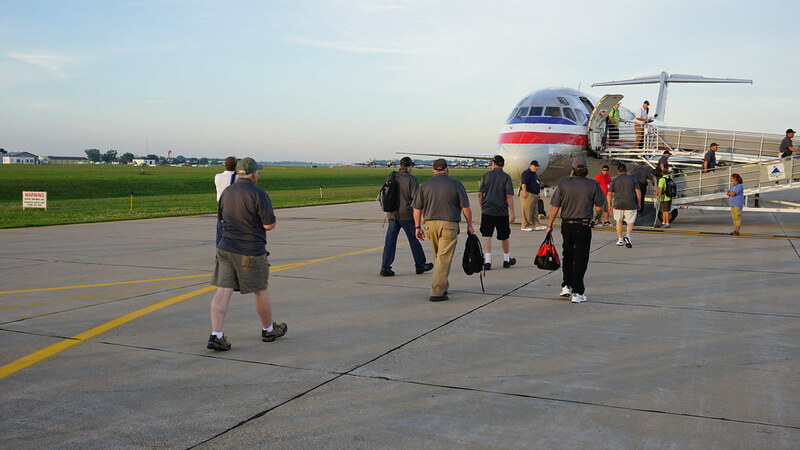 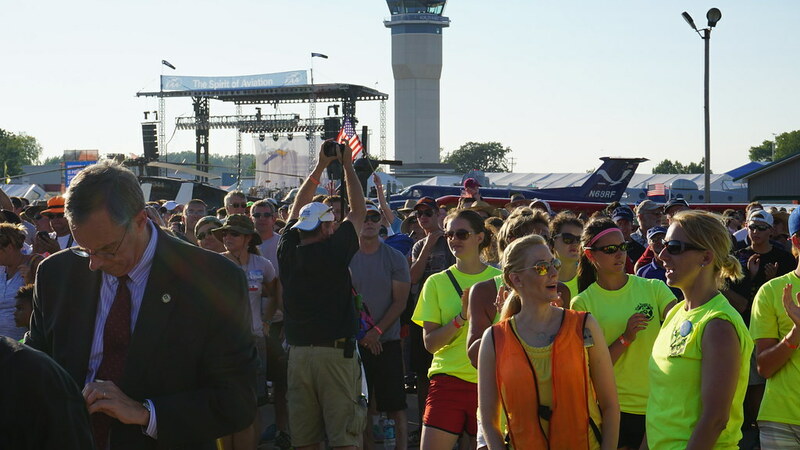 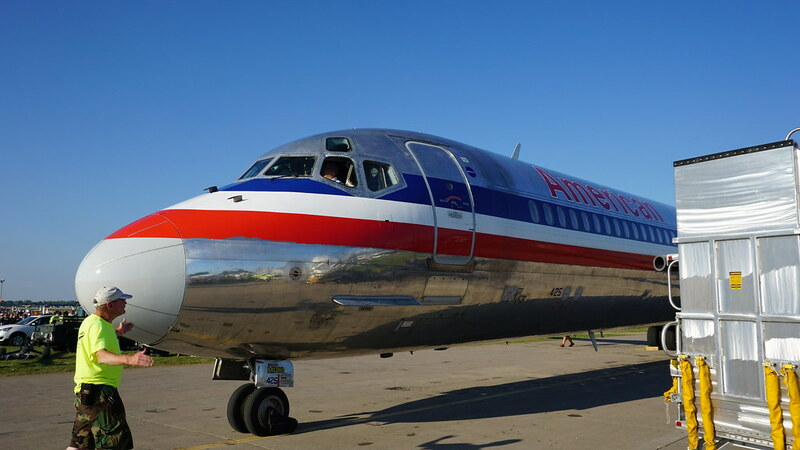 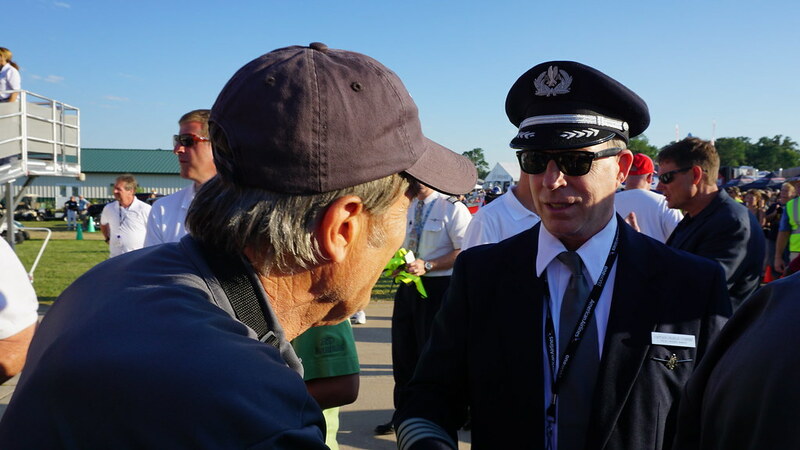 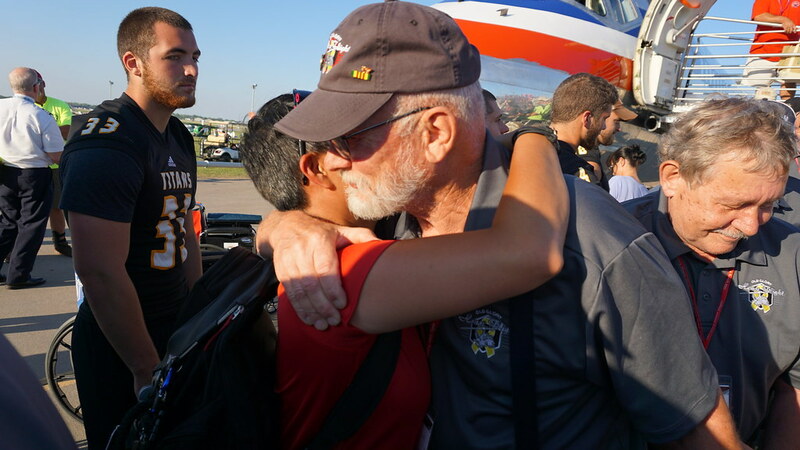 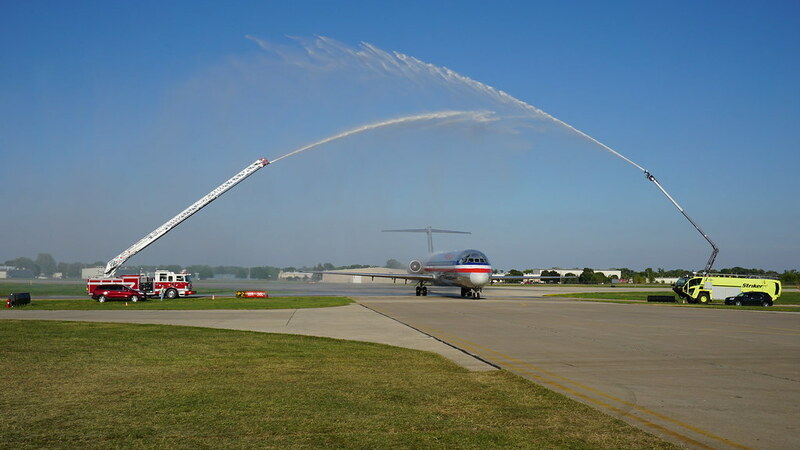 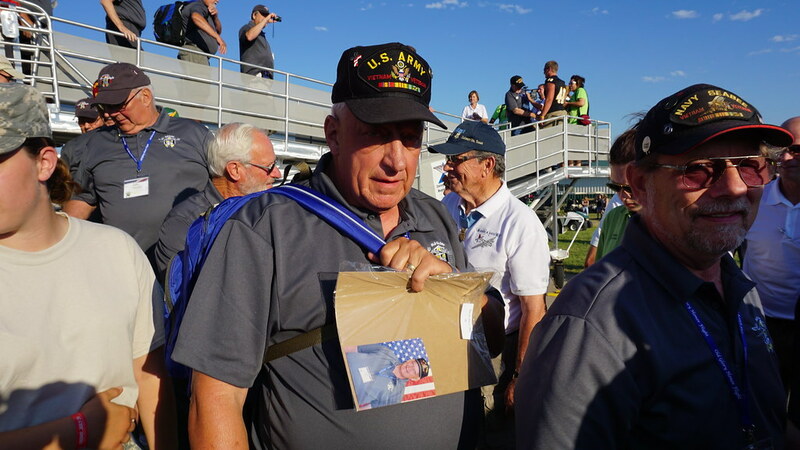 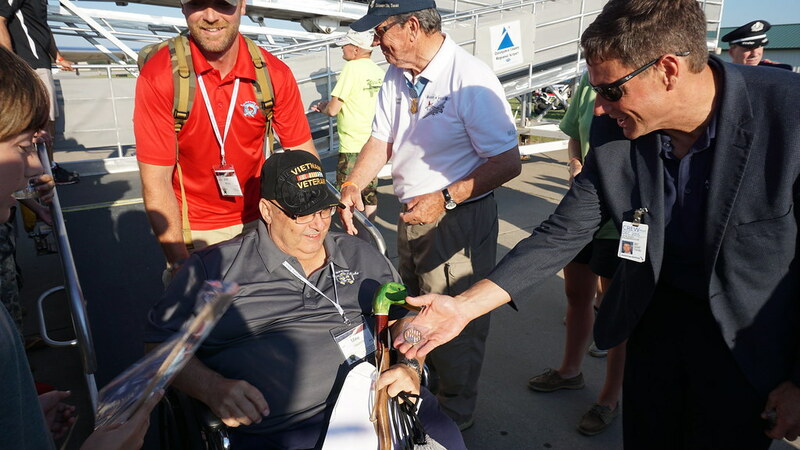 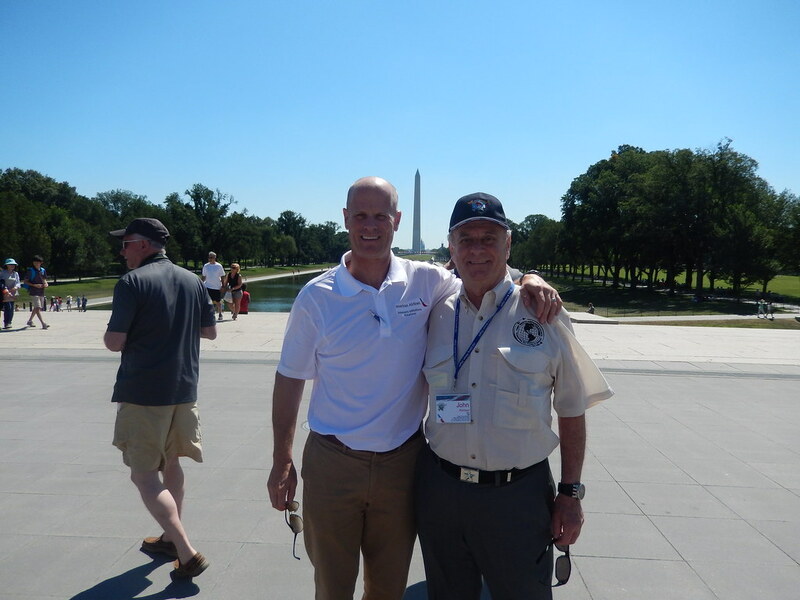 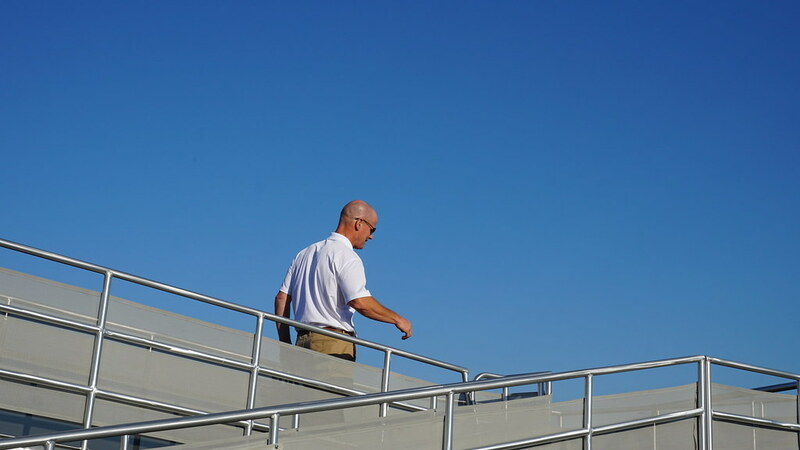 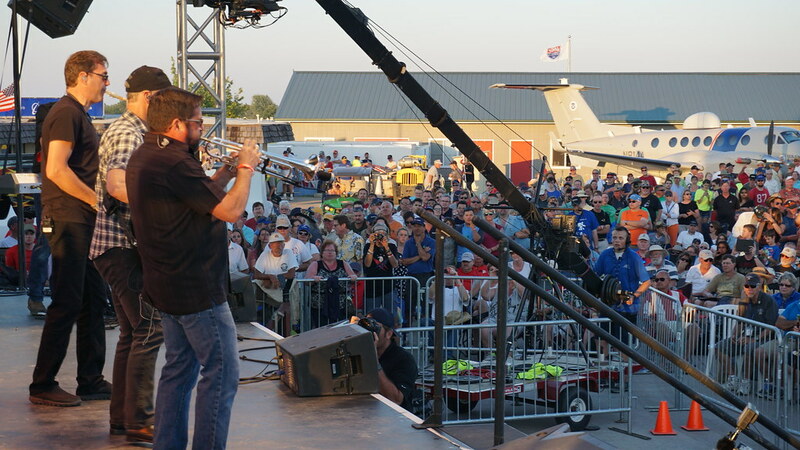 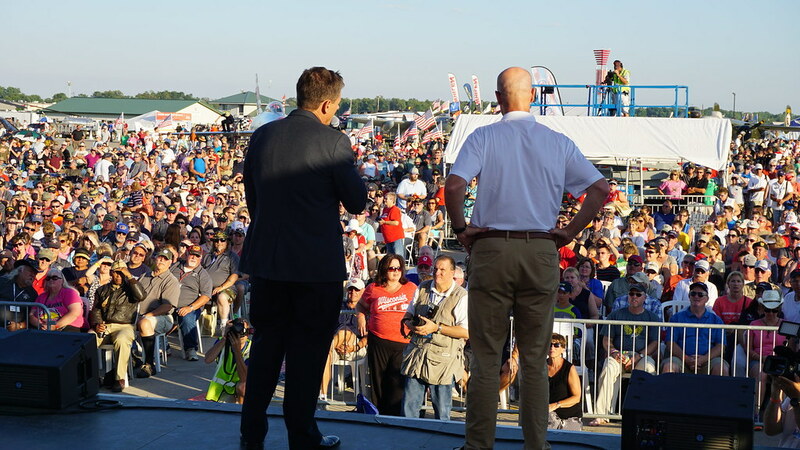 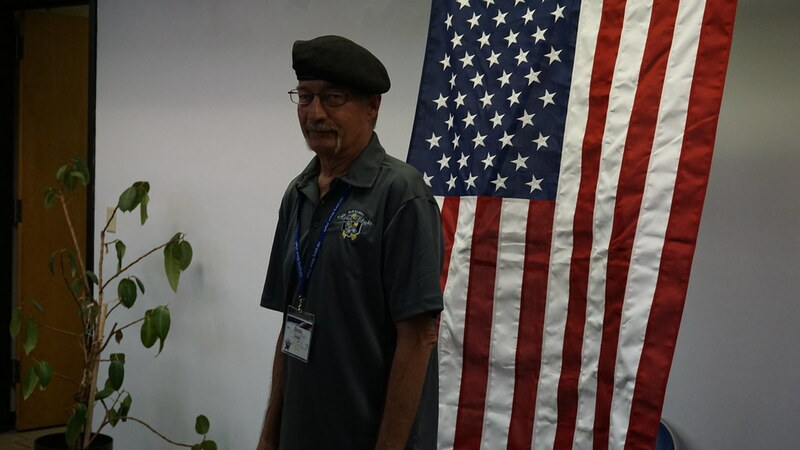 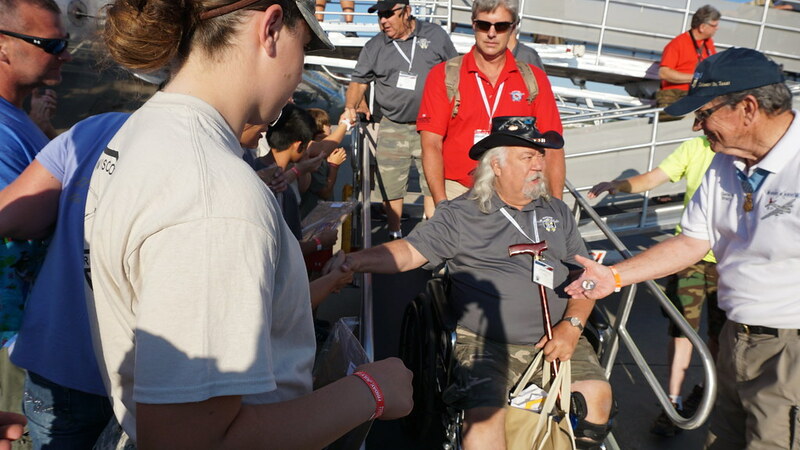 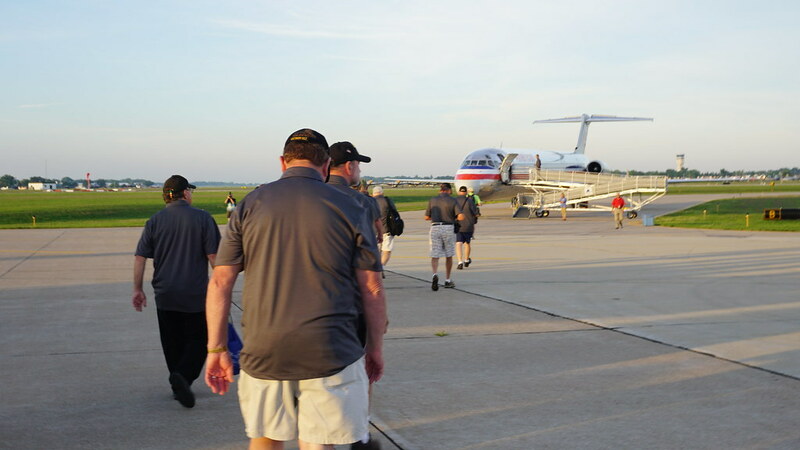 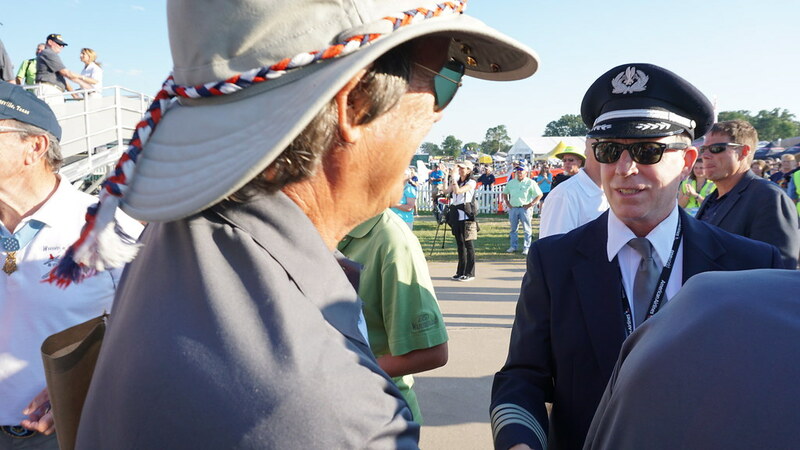 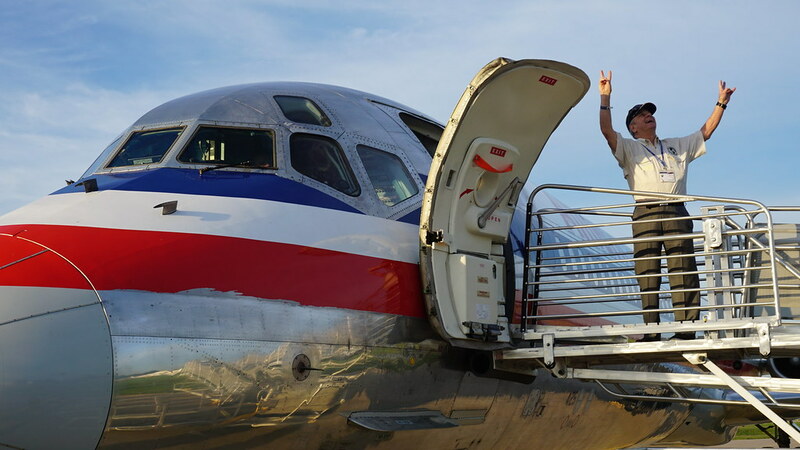 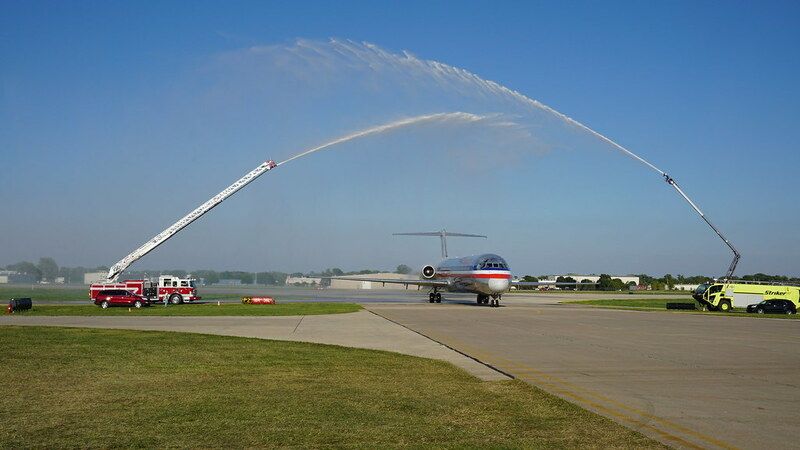 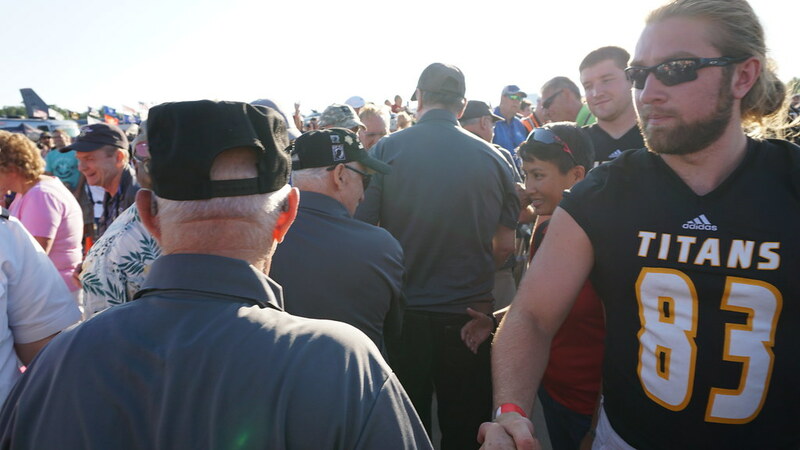 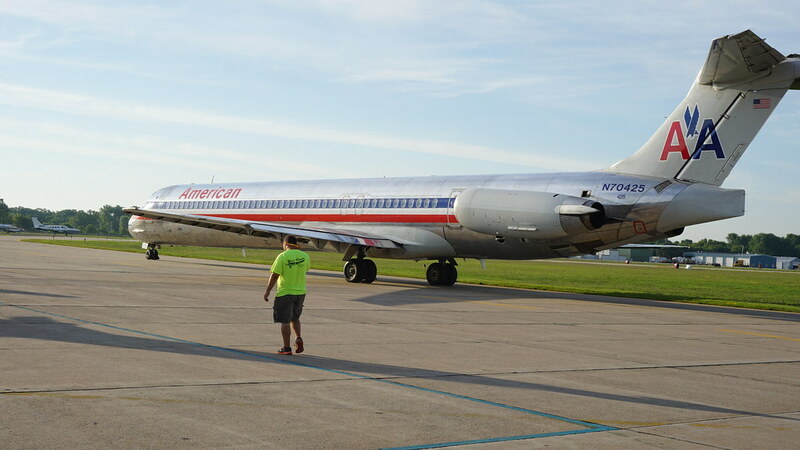 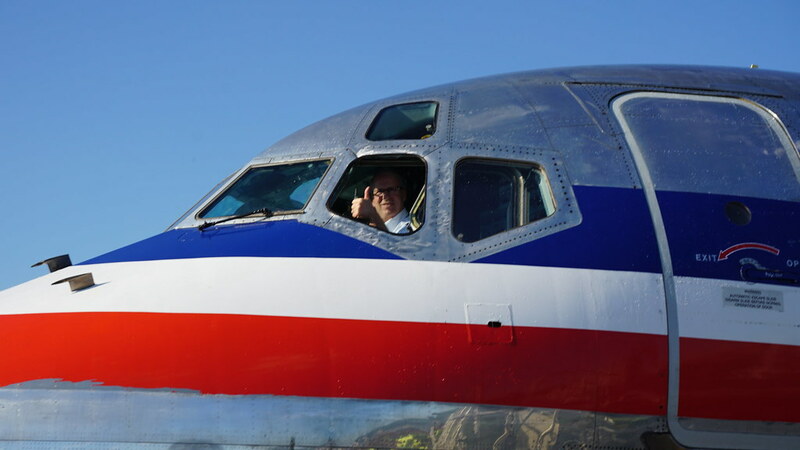 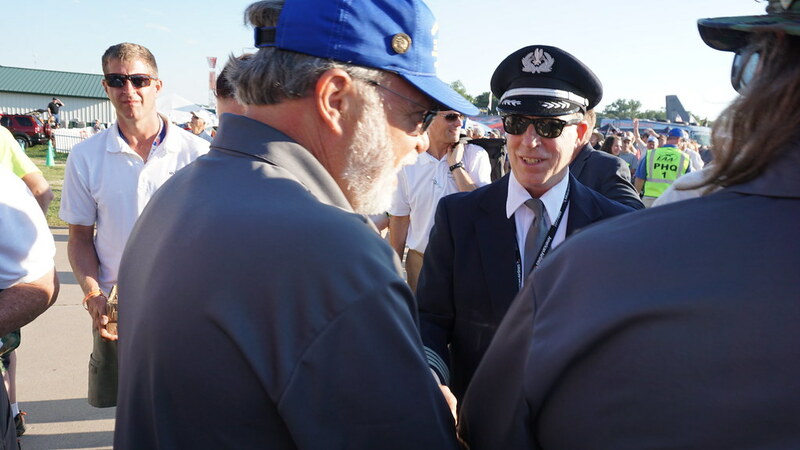 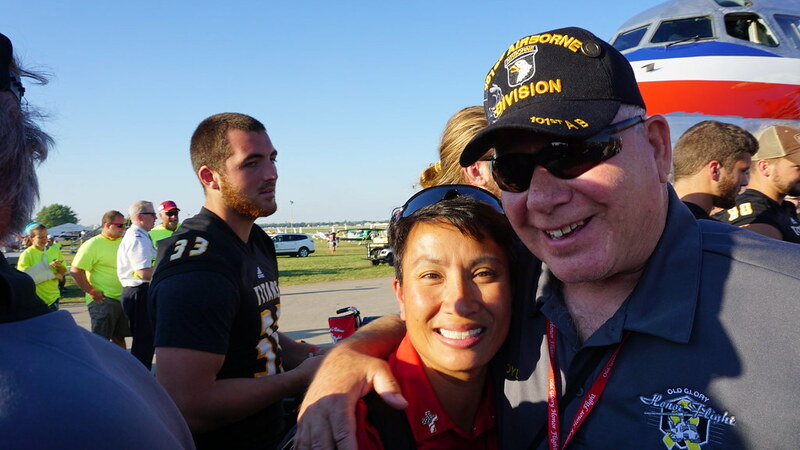 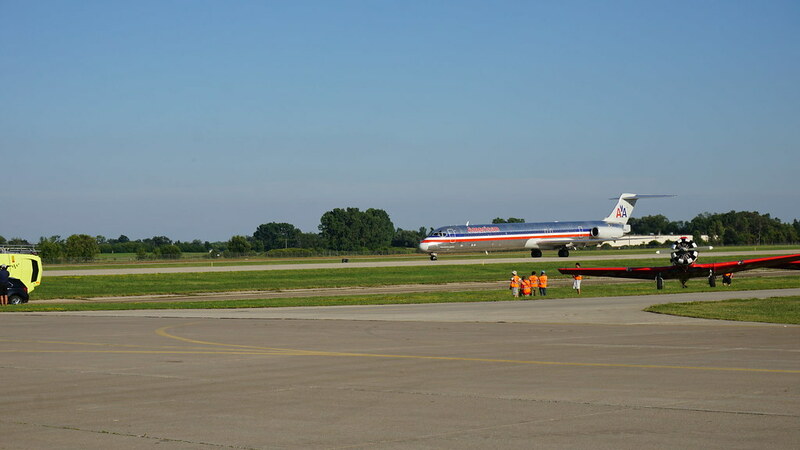 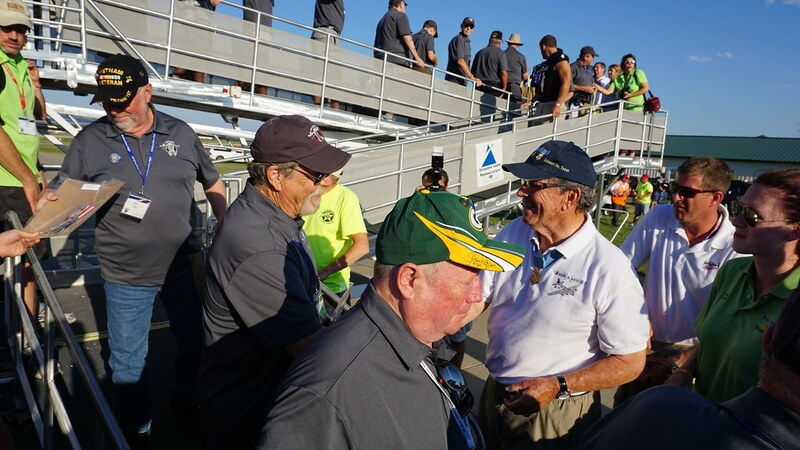 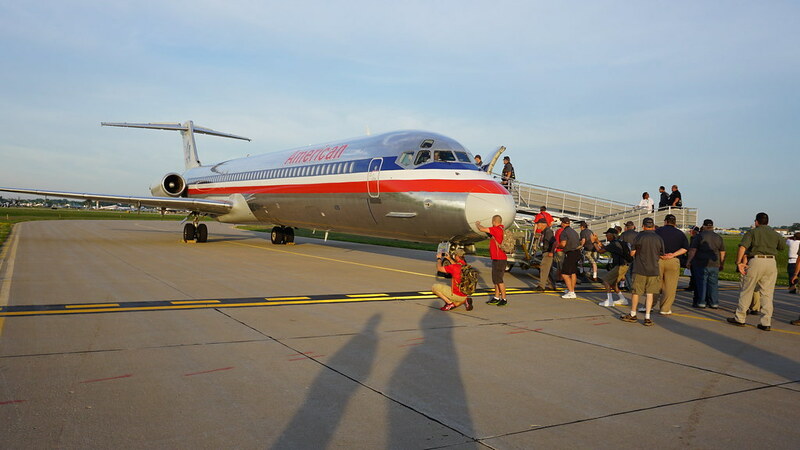 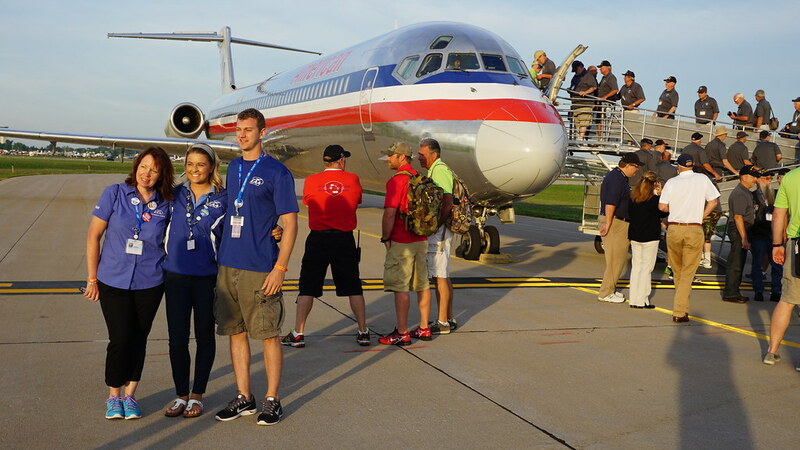 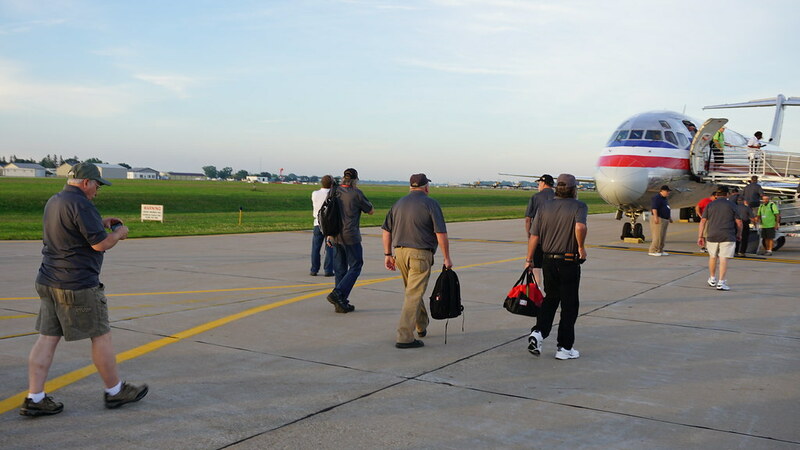 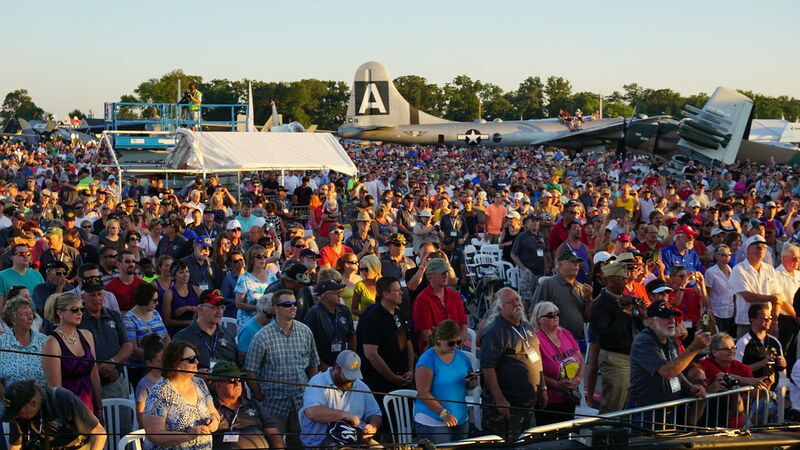 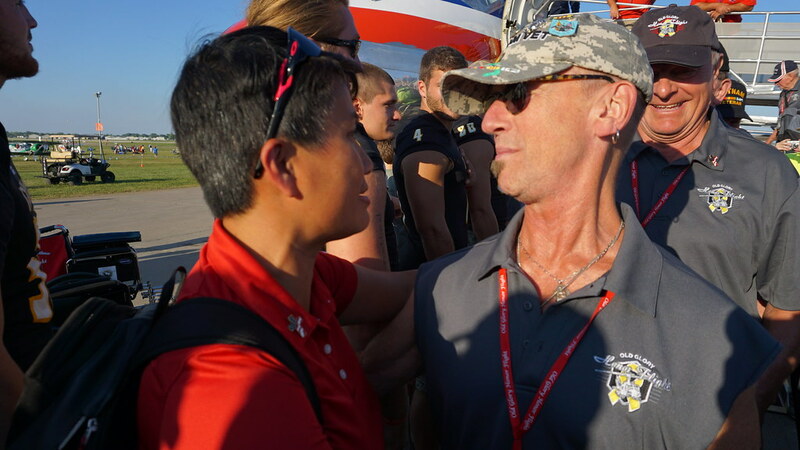 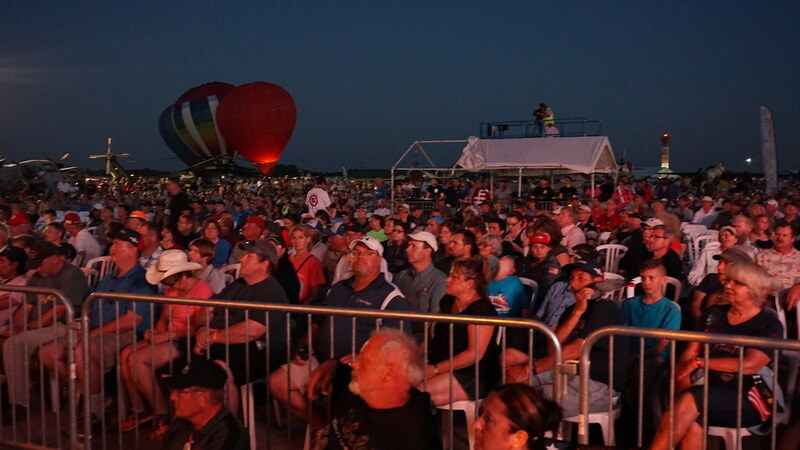 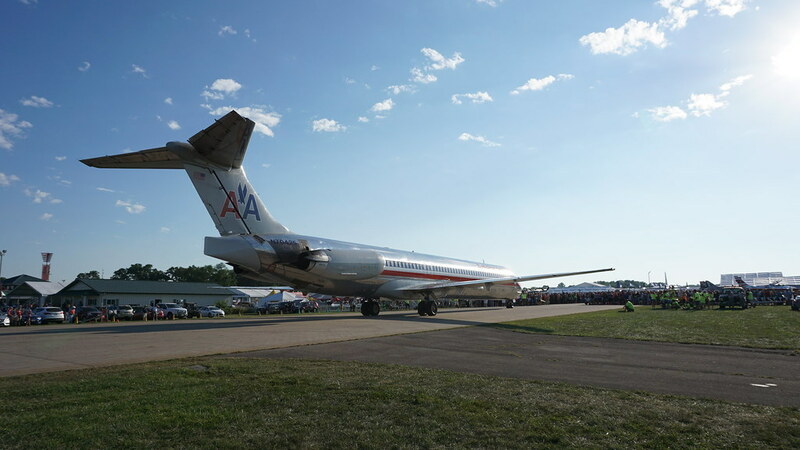 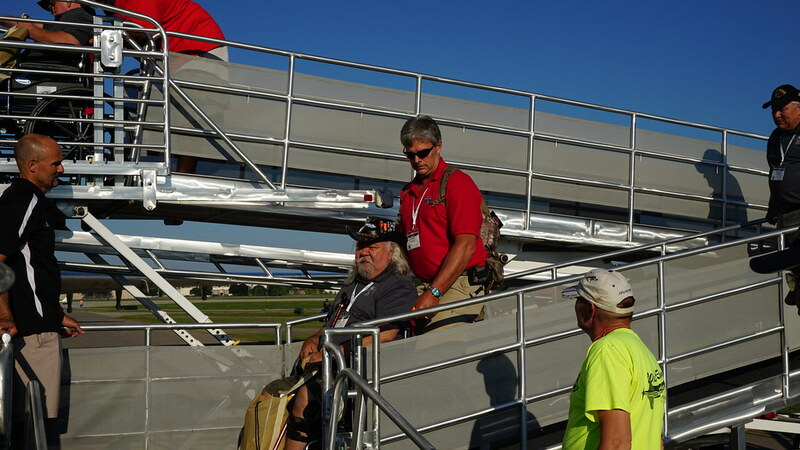 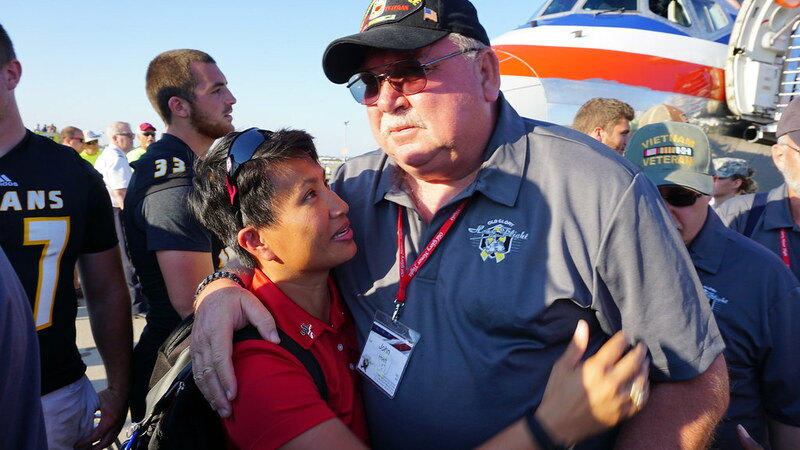 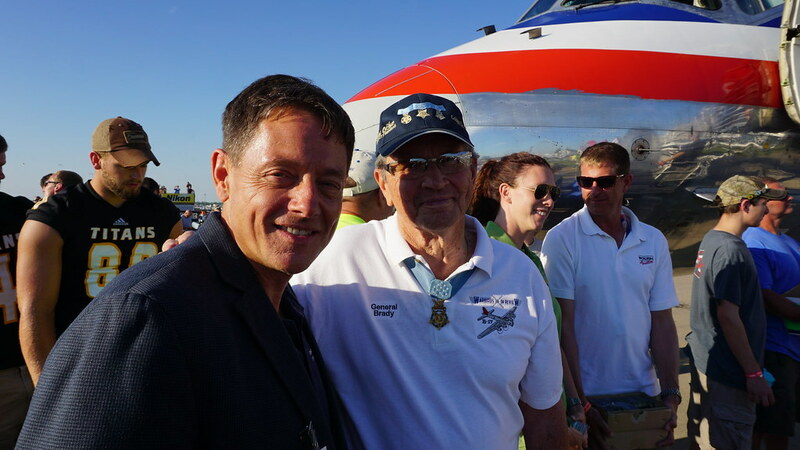 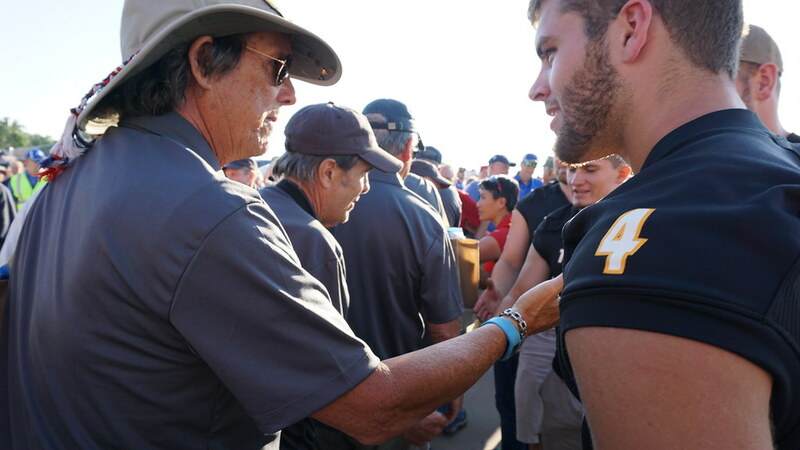 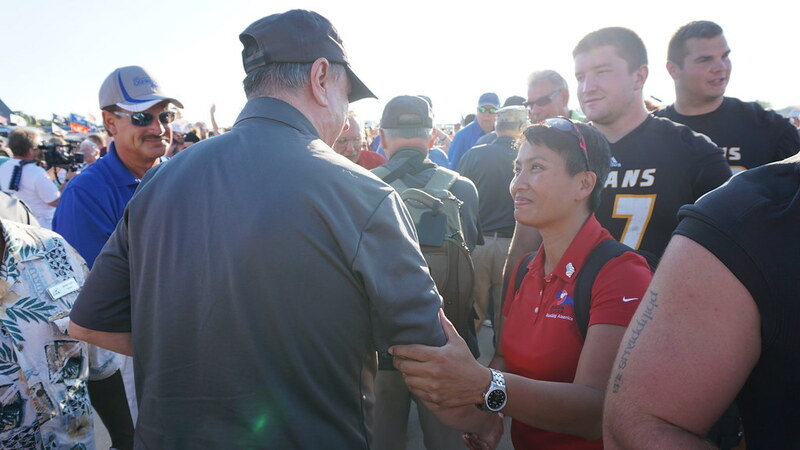 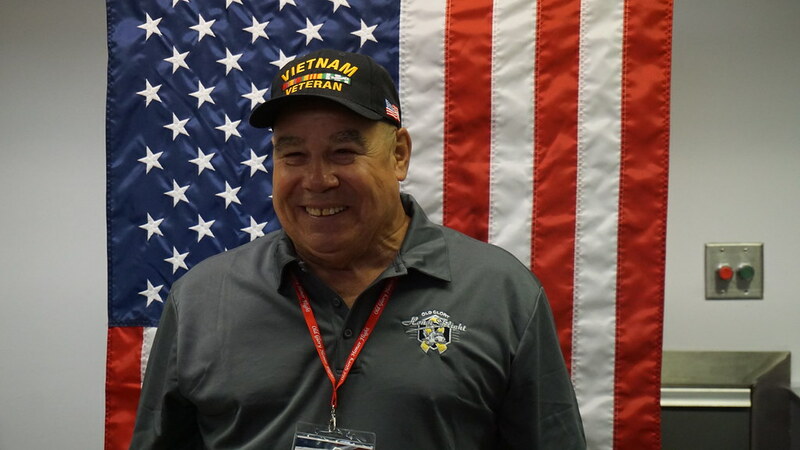 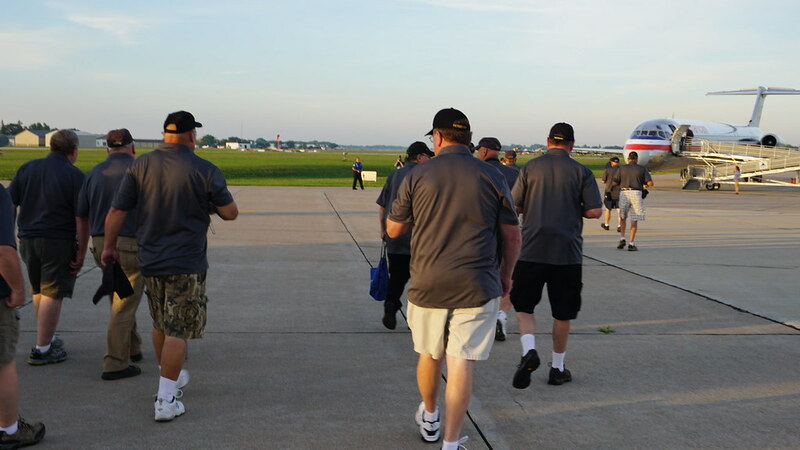 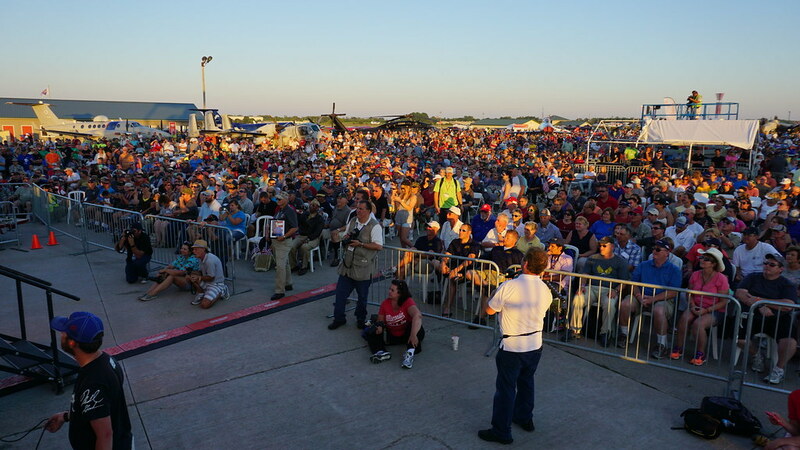 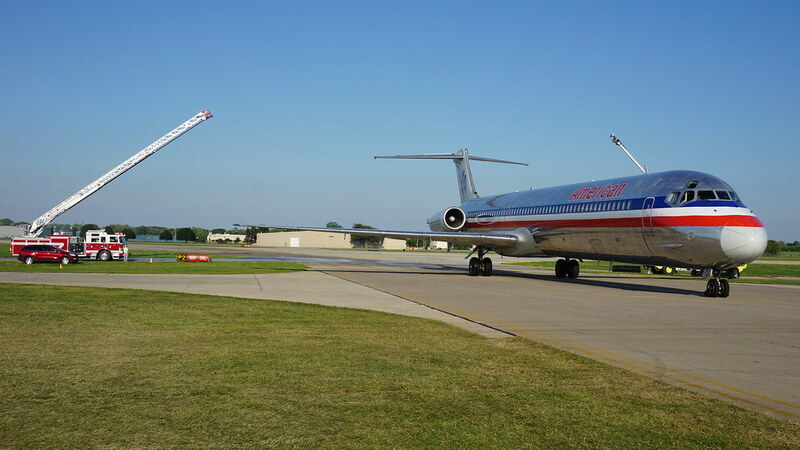 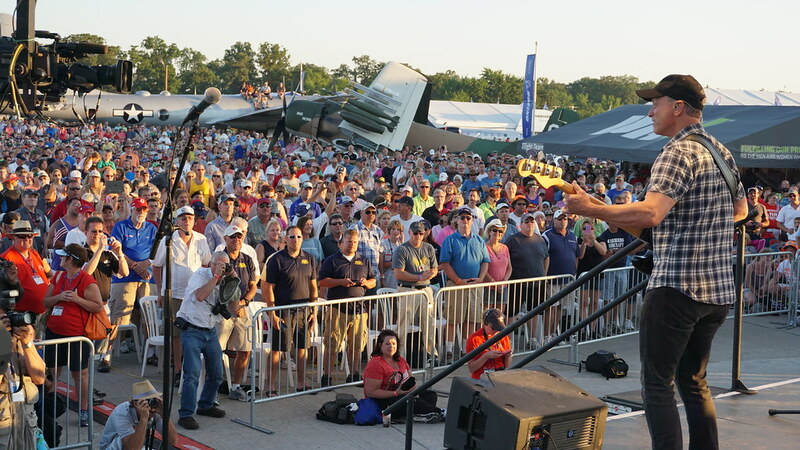 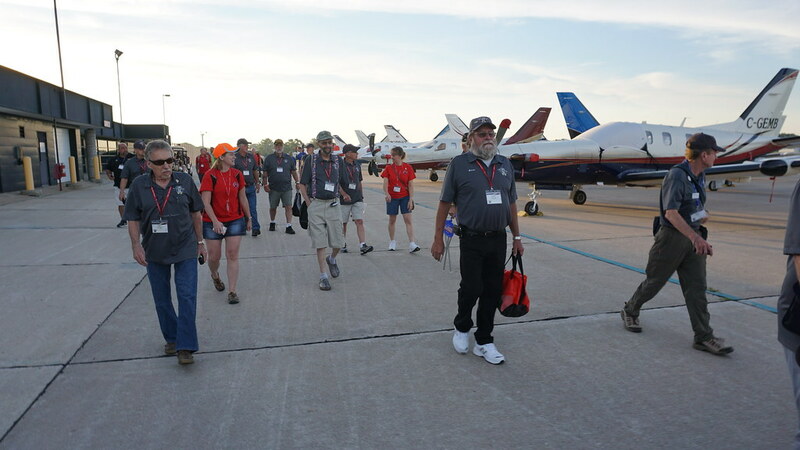 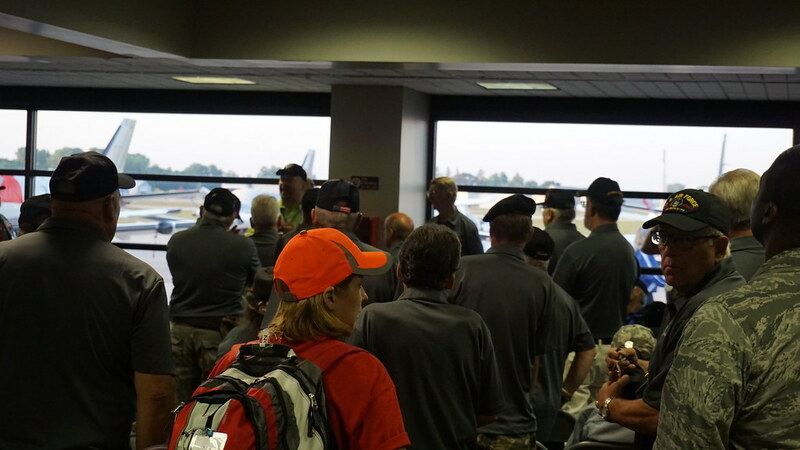 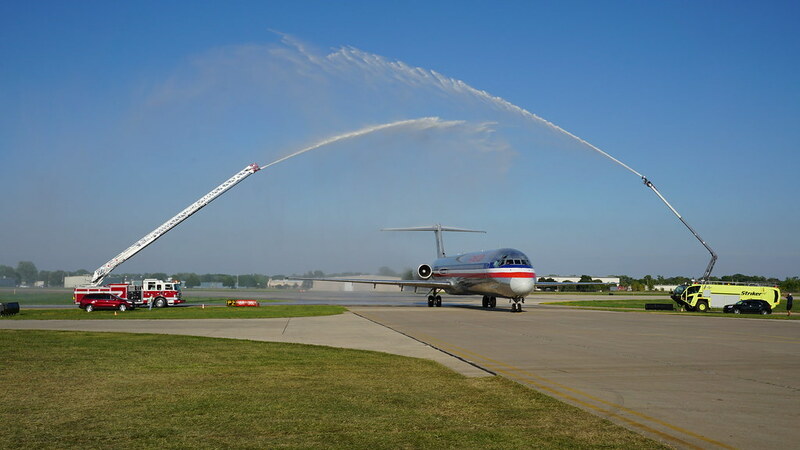 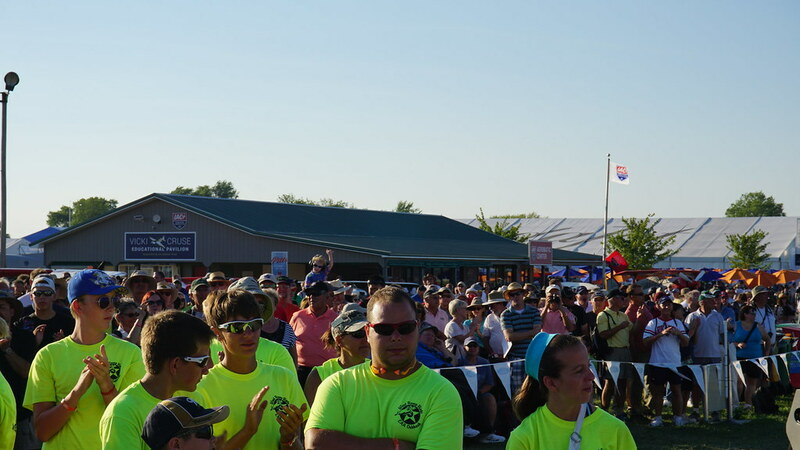 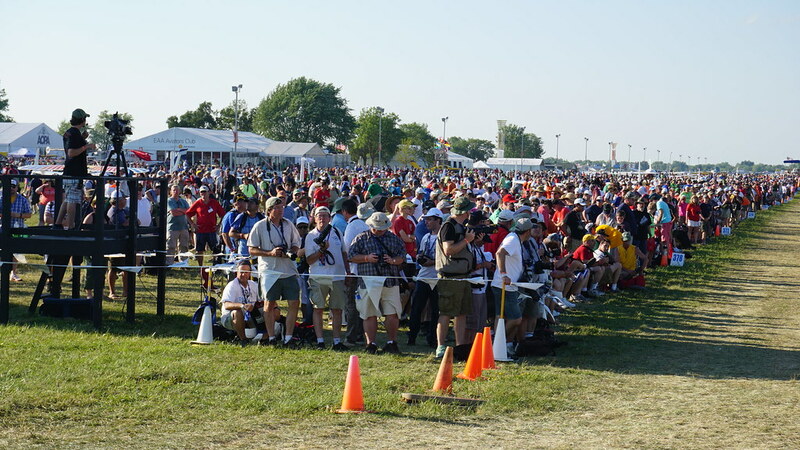 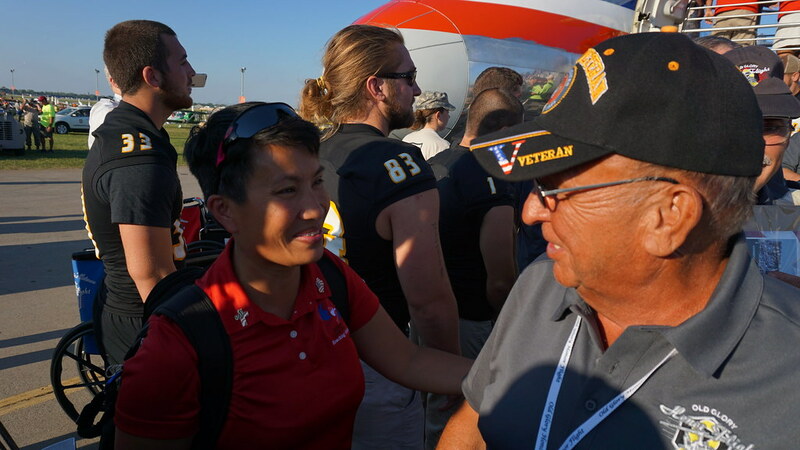 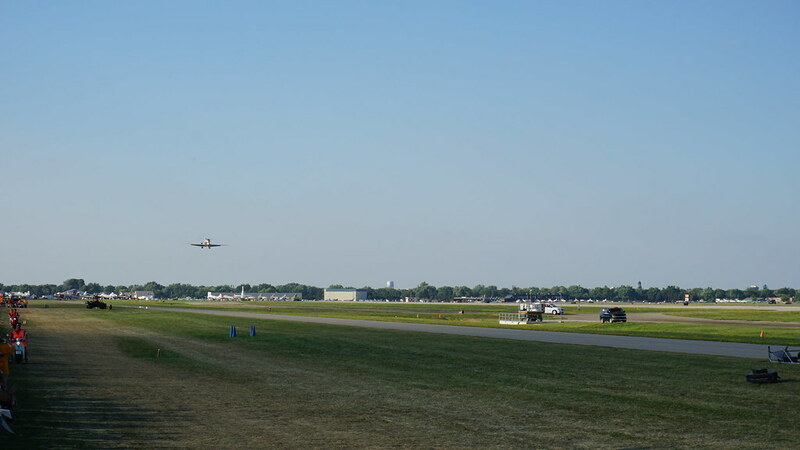 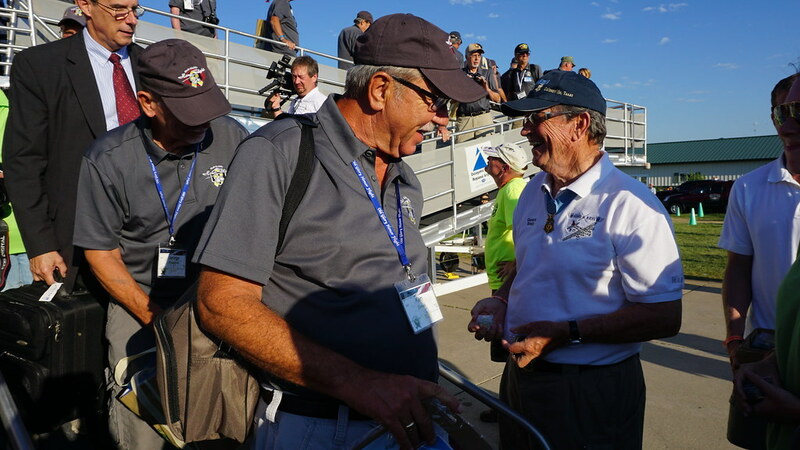 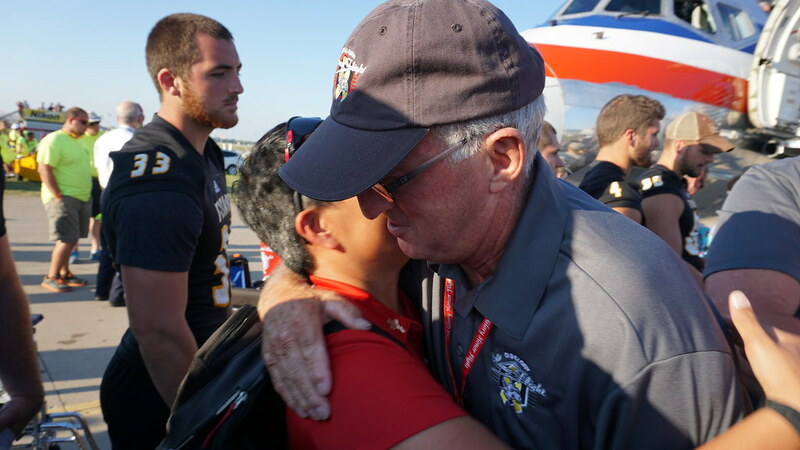 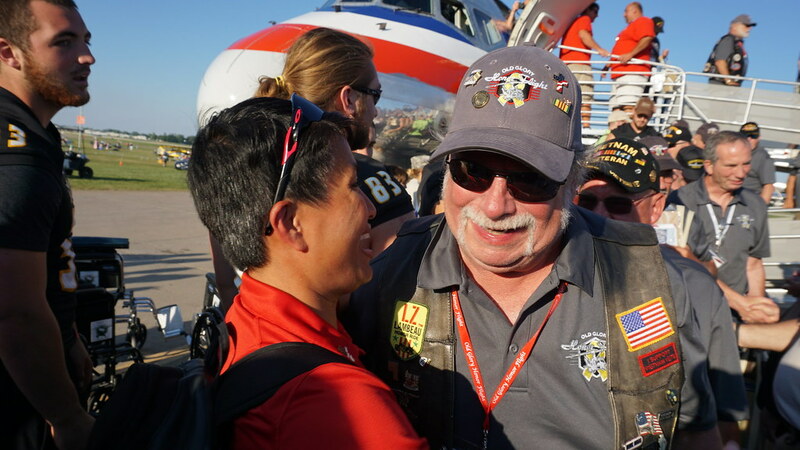 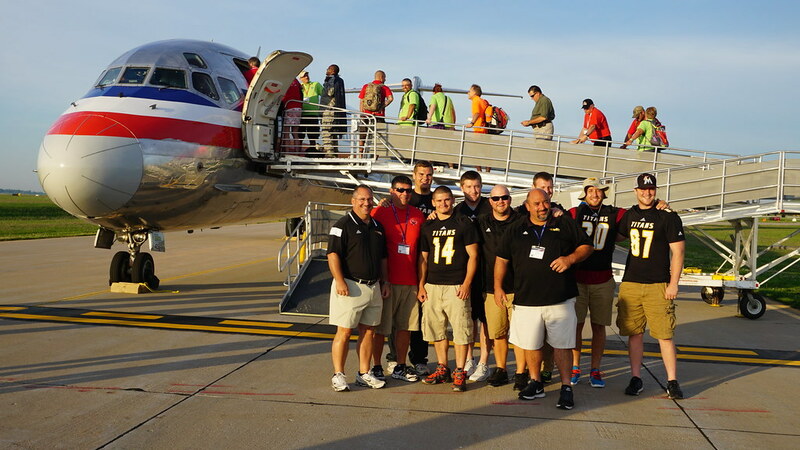 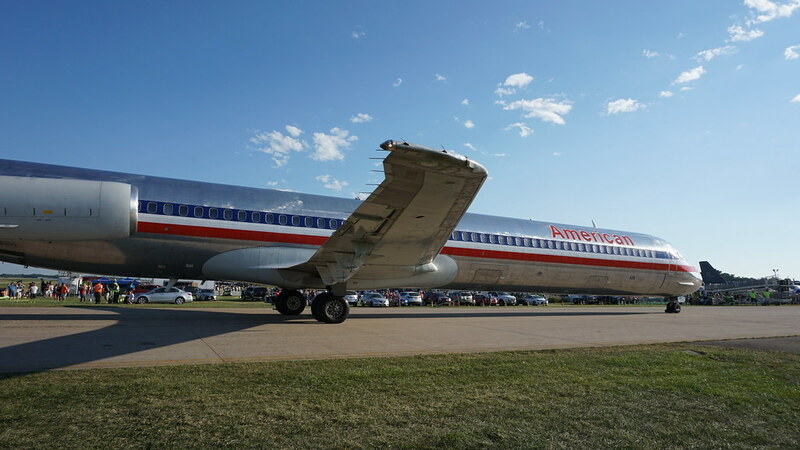 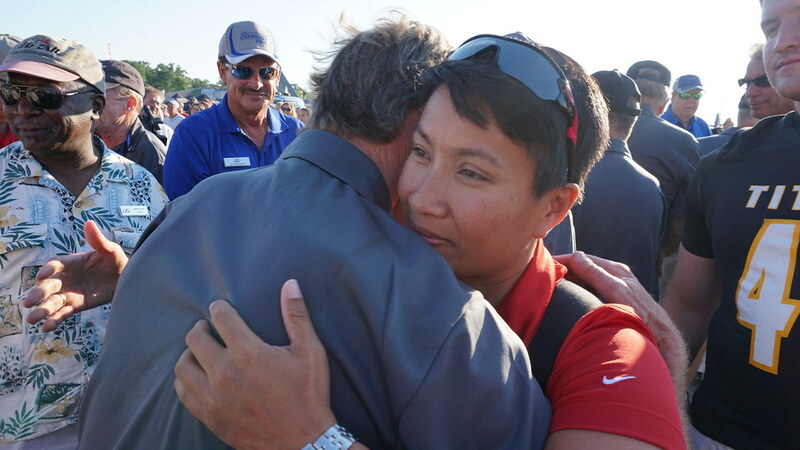 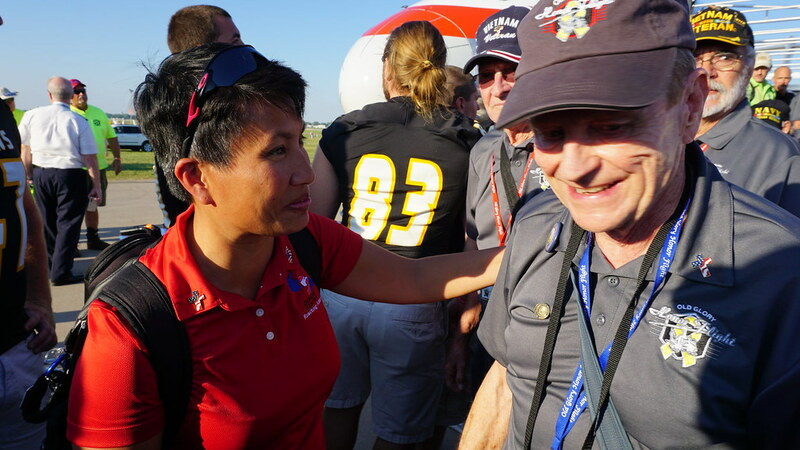 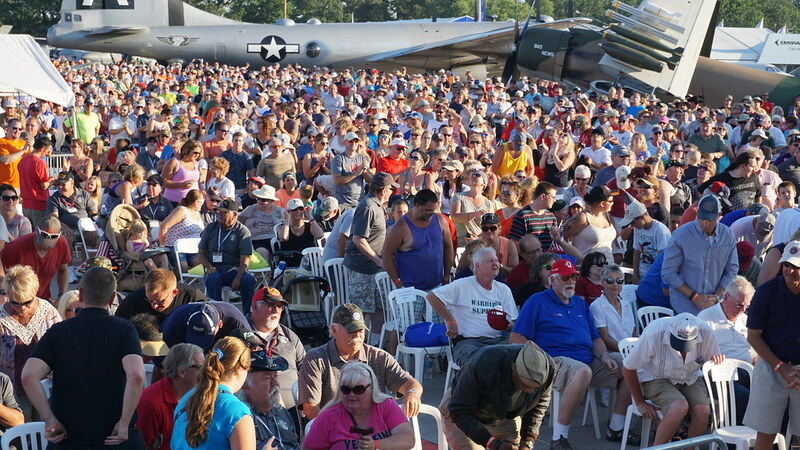 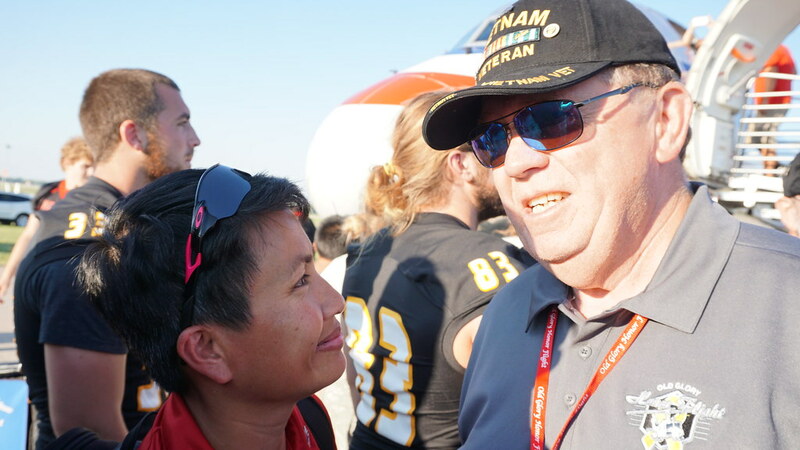 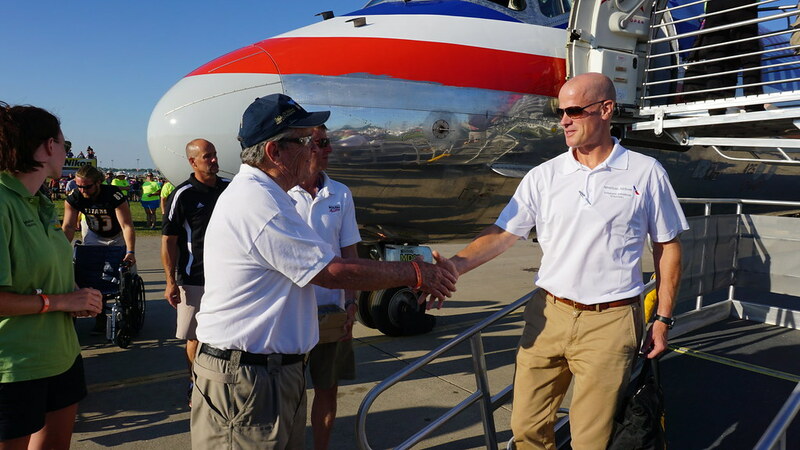 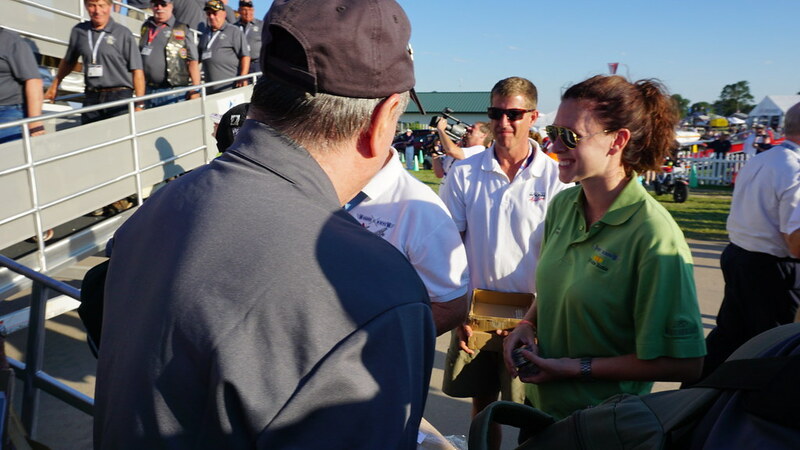 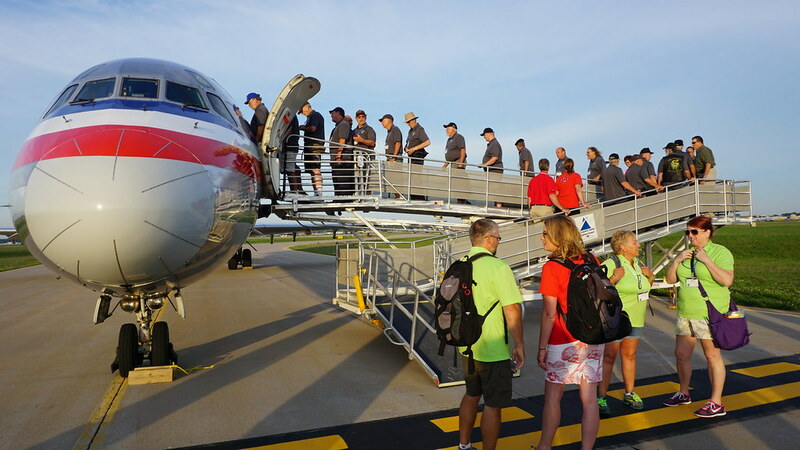 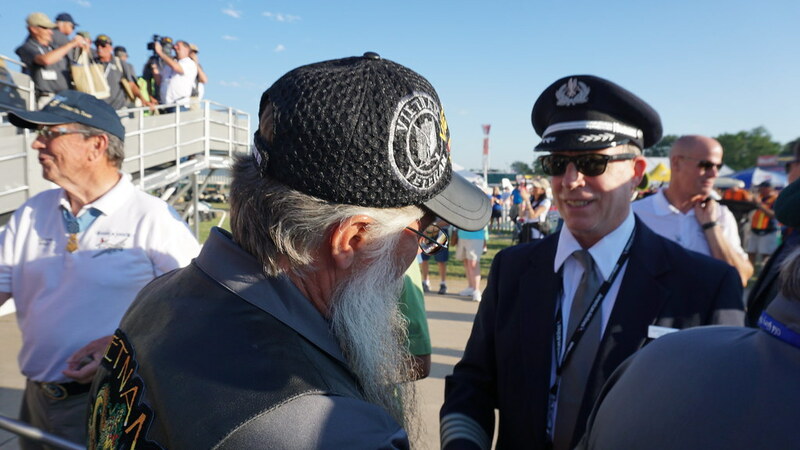 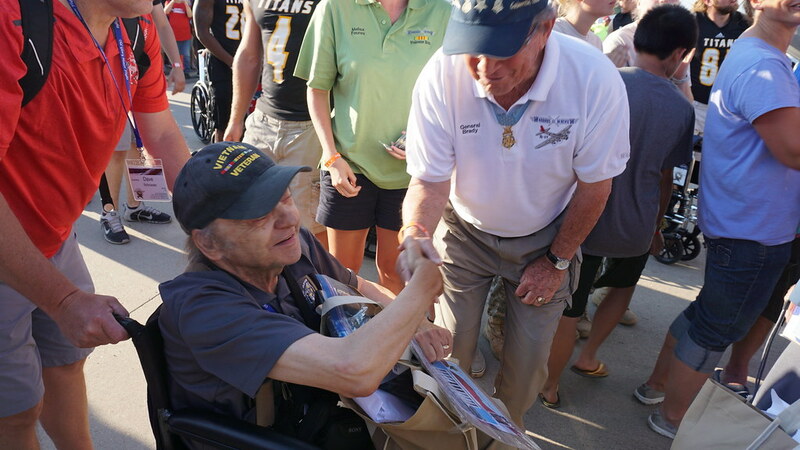 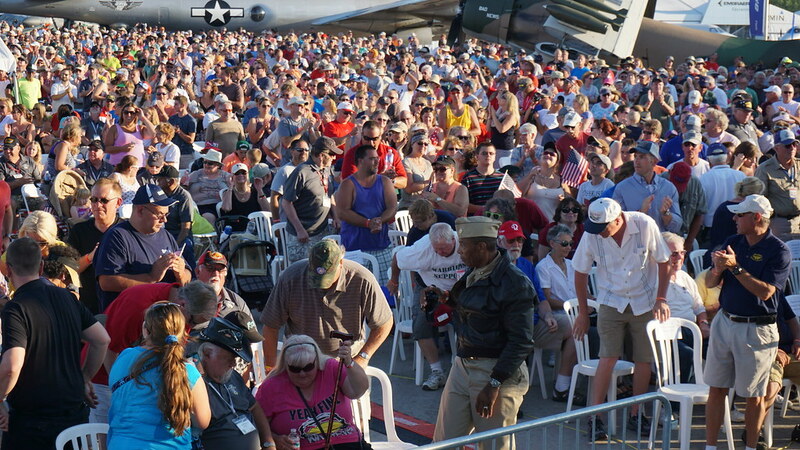 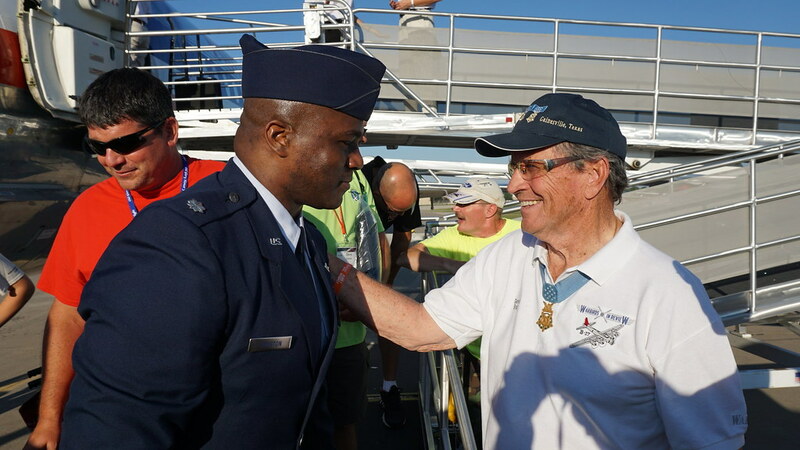 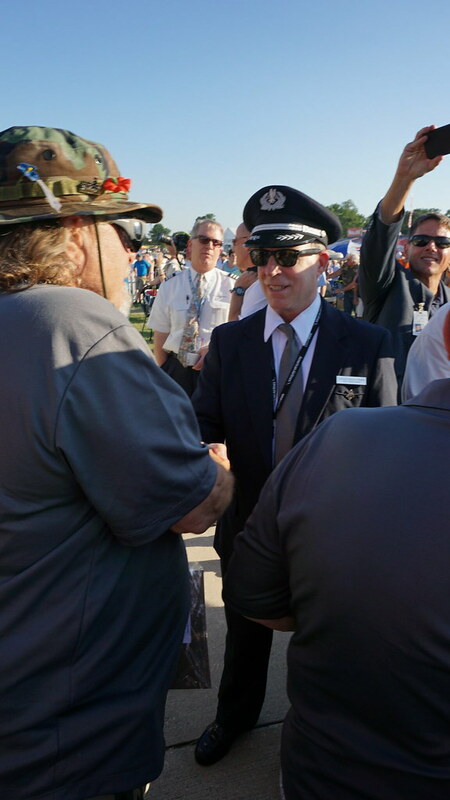 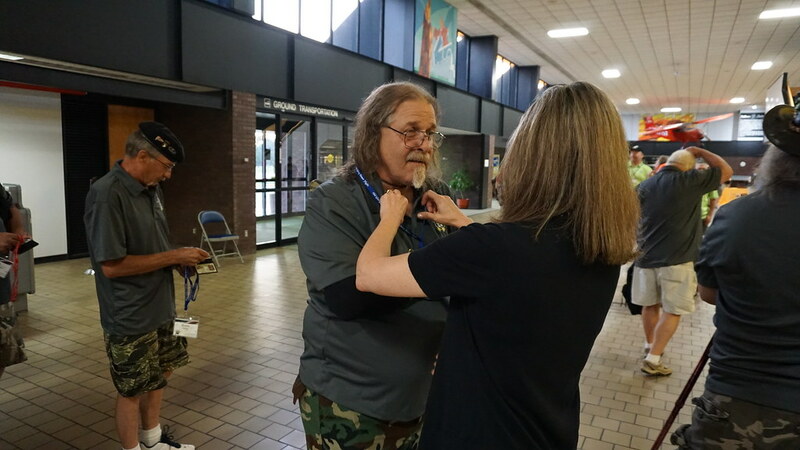 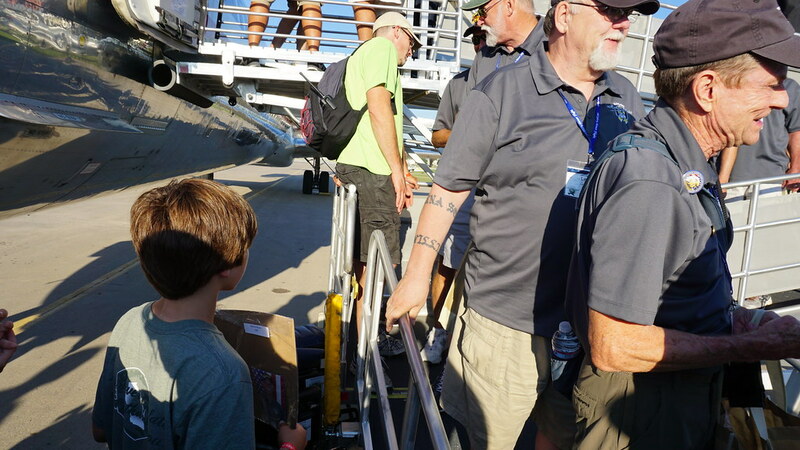 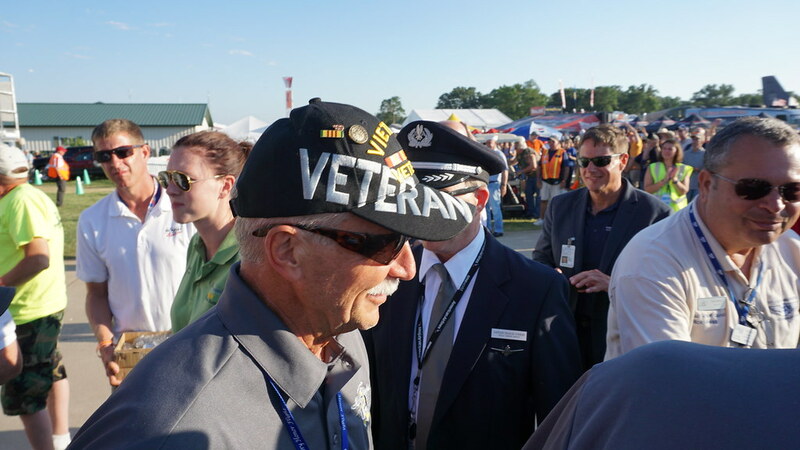 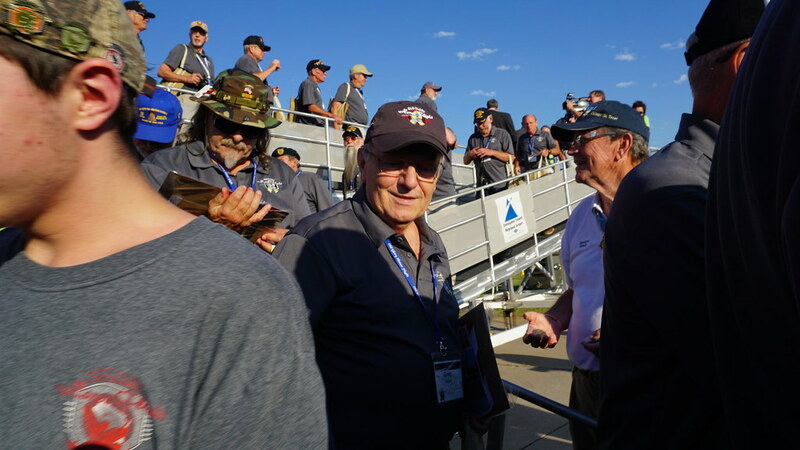 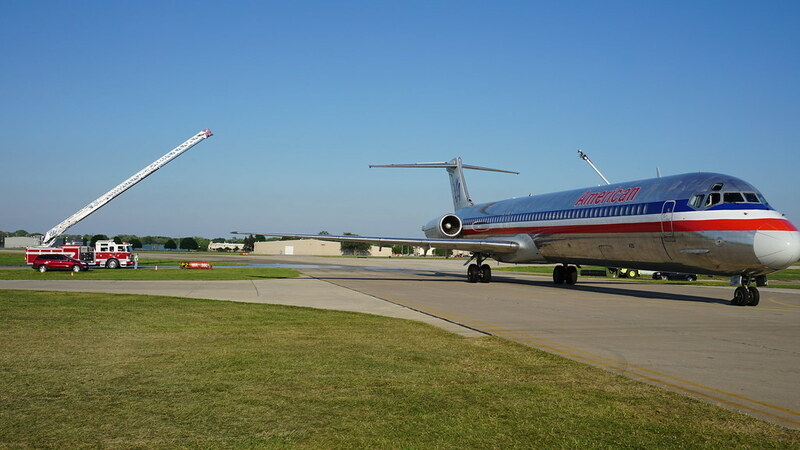 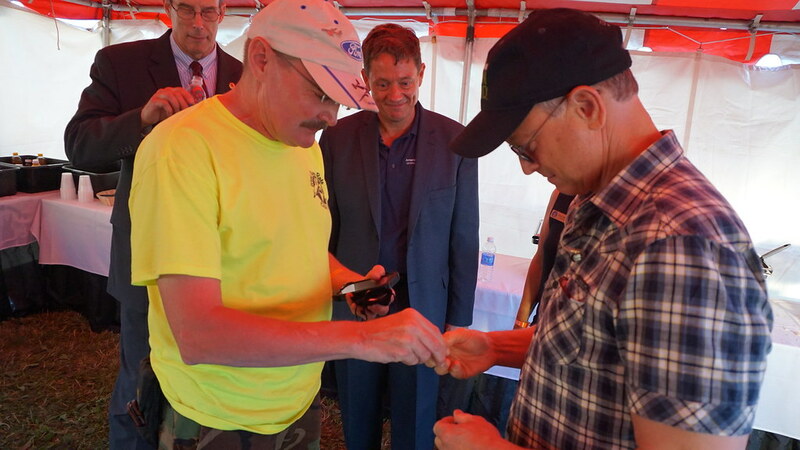 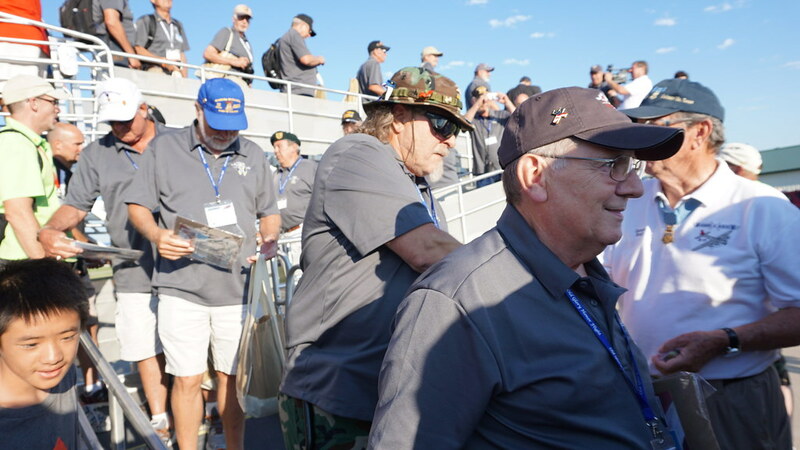 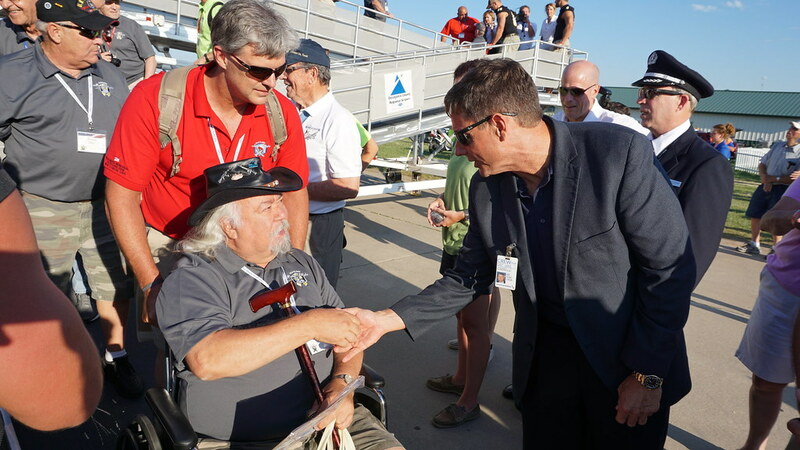 The Airpower Foundation was proud to join our partner, American Airlines, for a special honor flight from the Oshkosh EAA Air show to Washington D.C. with 105 Vietnam Veterans. 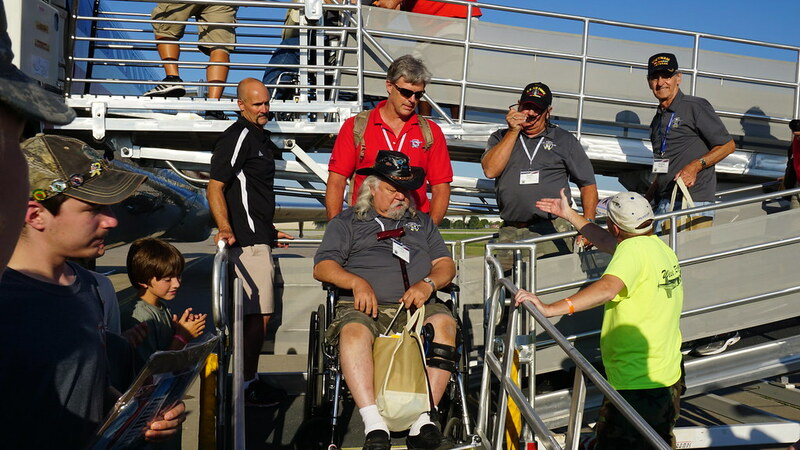 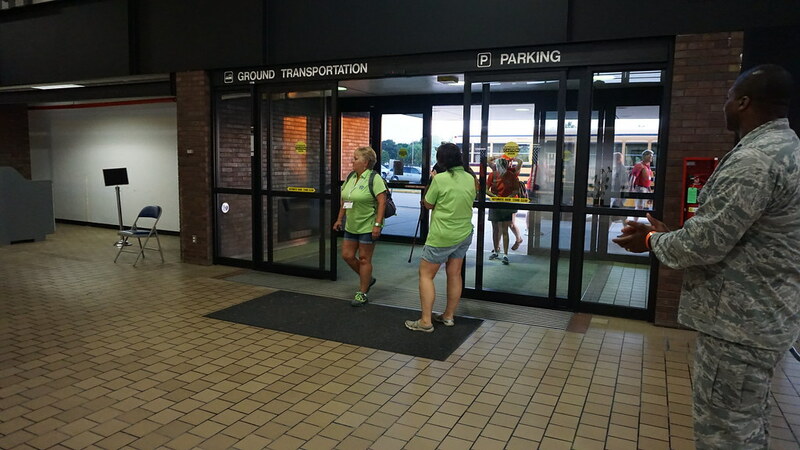 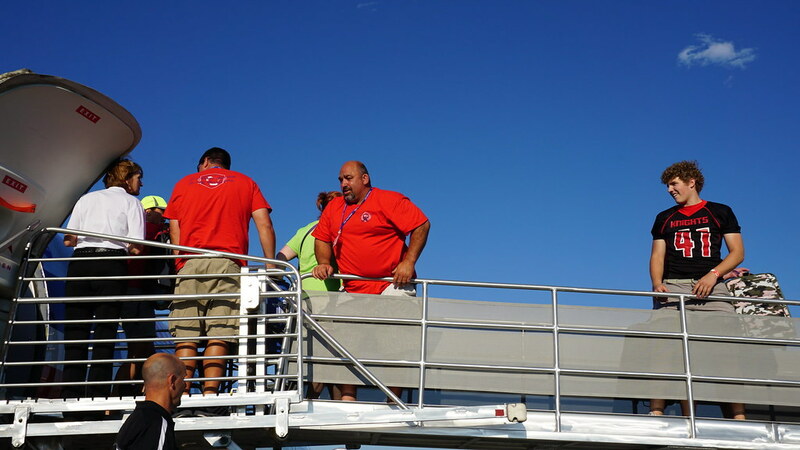 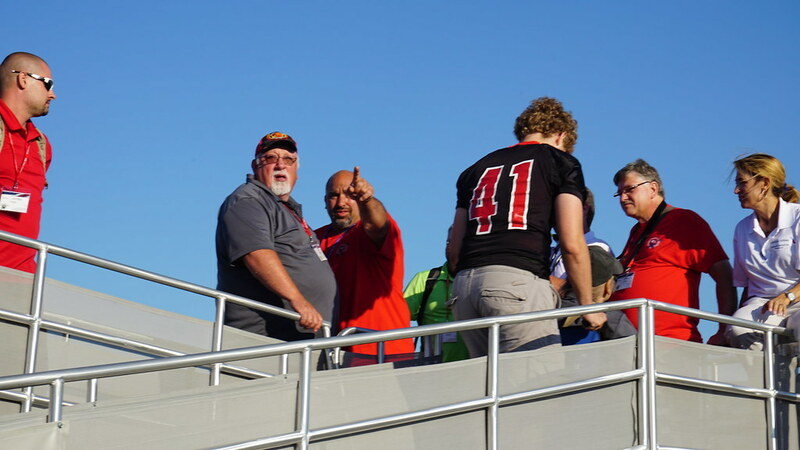 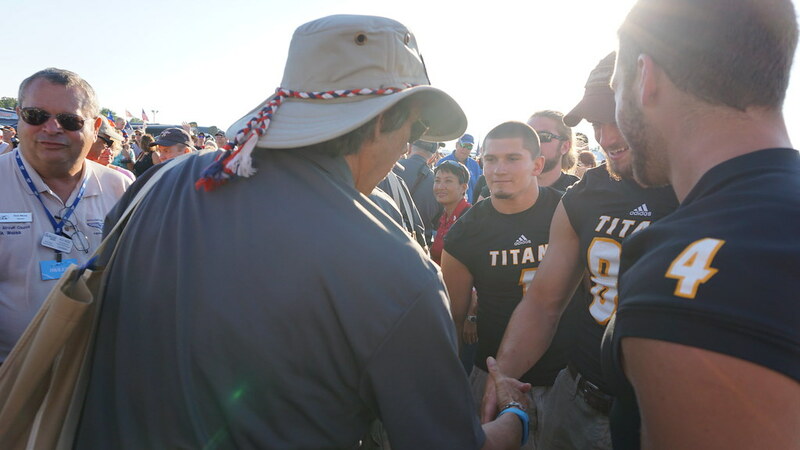 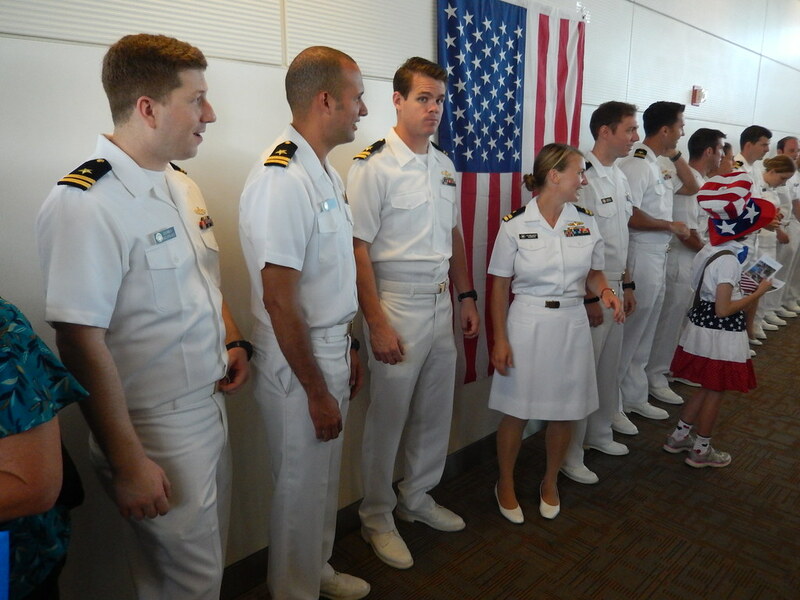 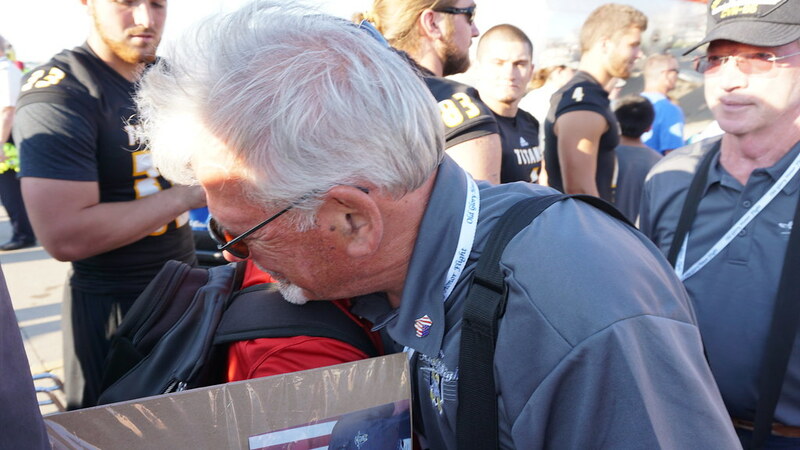 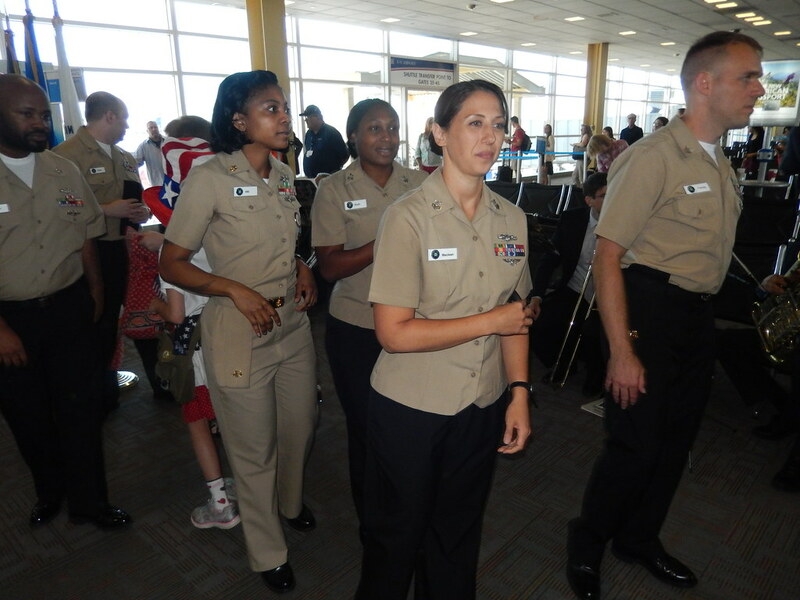 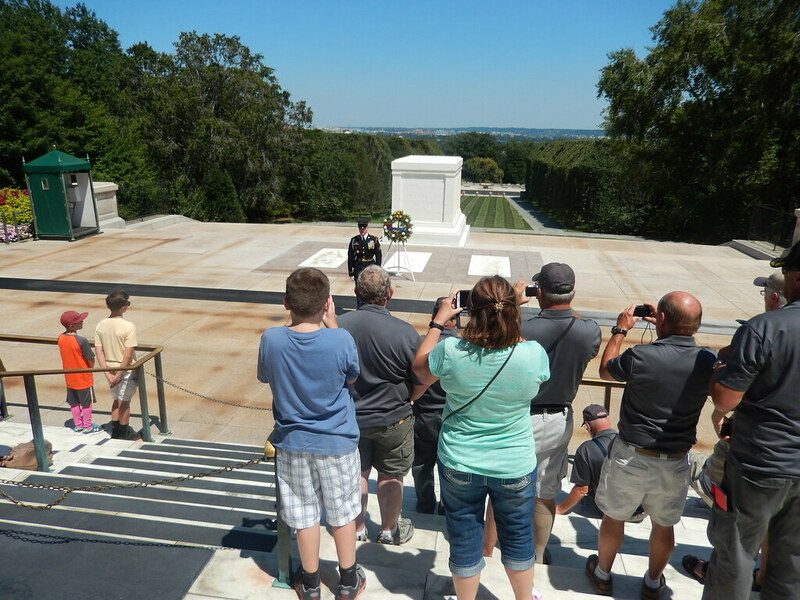 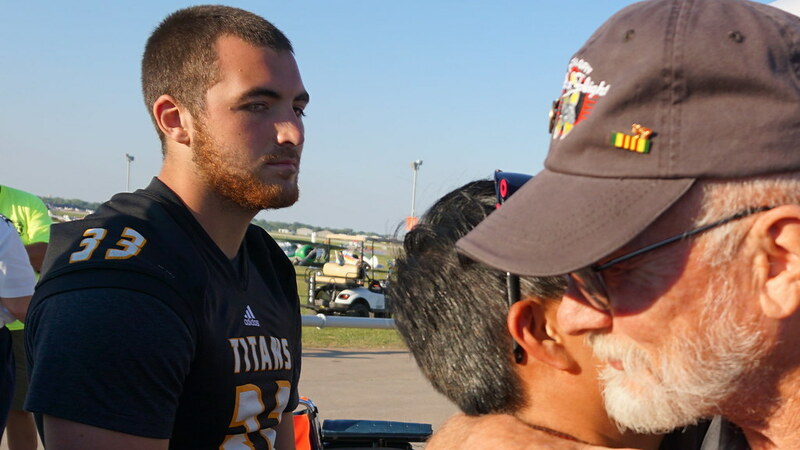 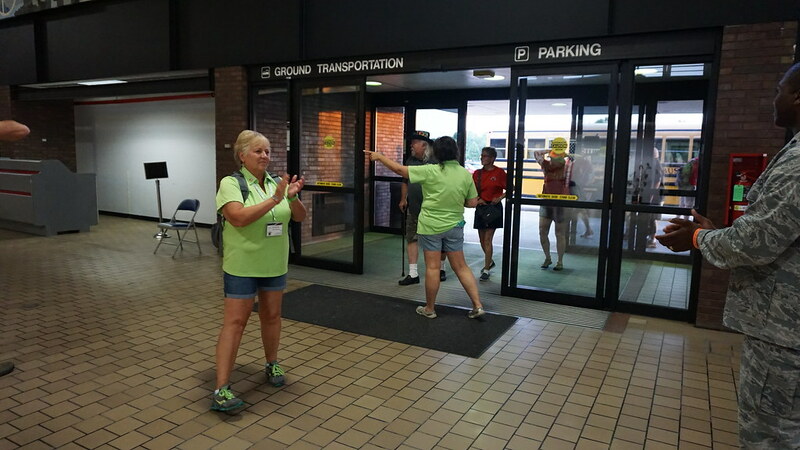 The Veterans were treated to a day in DC visiting the Vietnam Wall, the American History Museum, and then a stop at Arlington National Cemetery before heading back on the special American Airlines Charter to Oshkosh as they returned to the Air show at show center for a heroes welcome by the crowd! 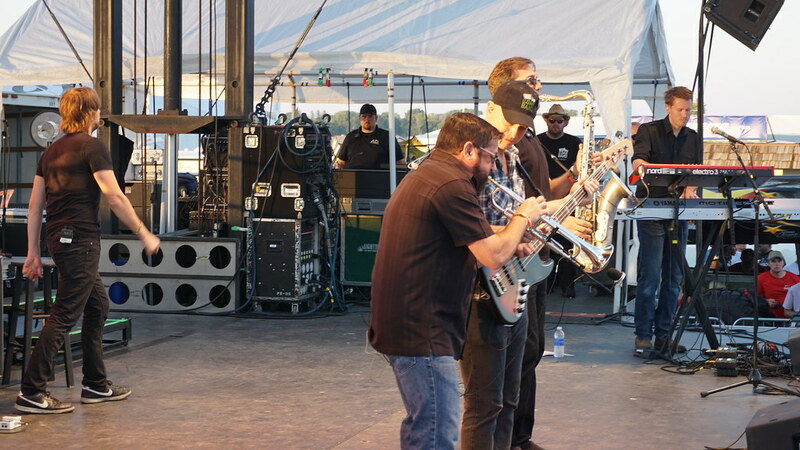 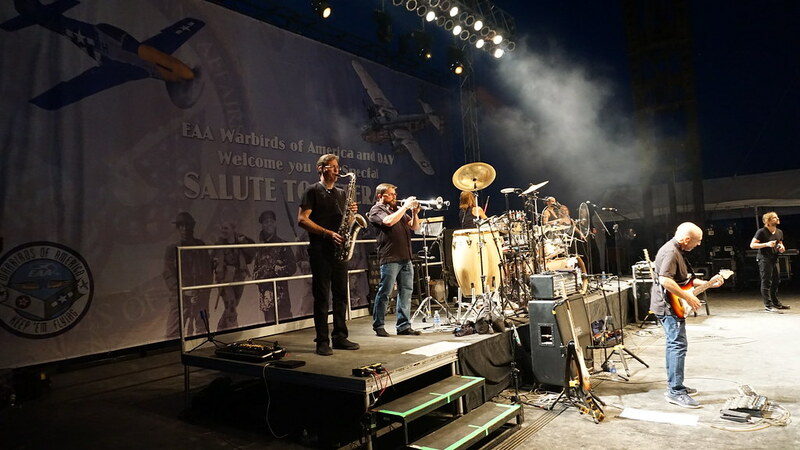 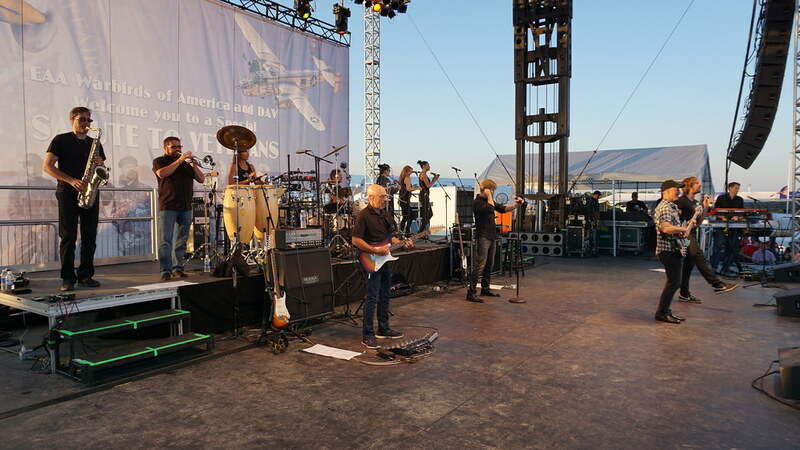 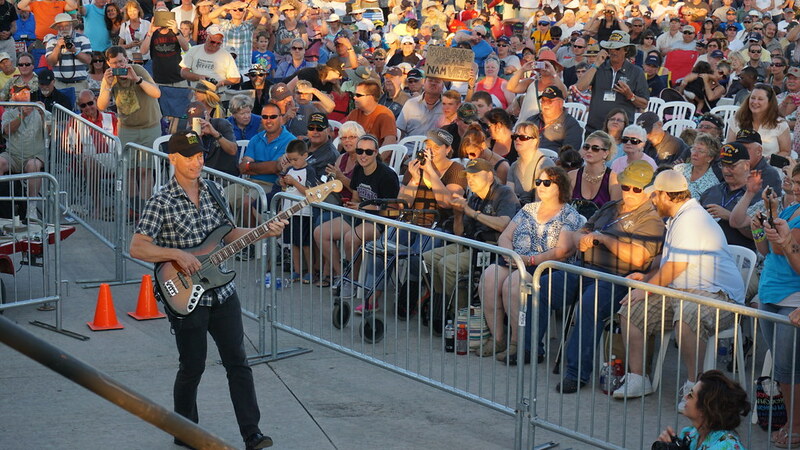 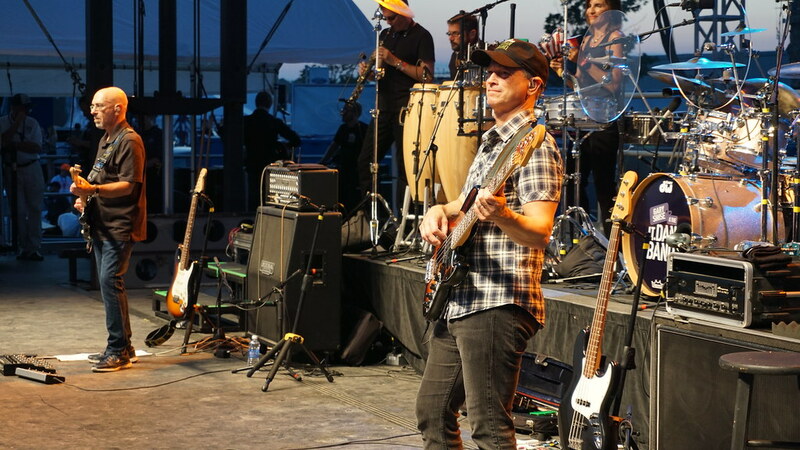 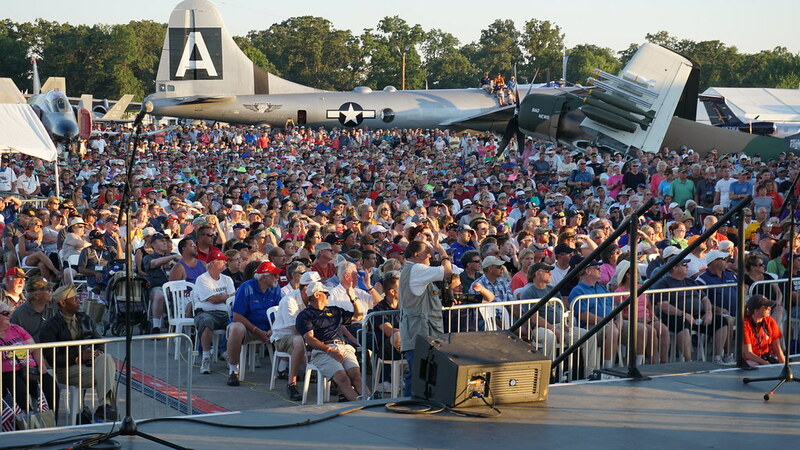 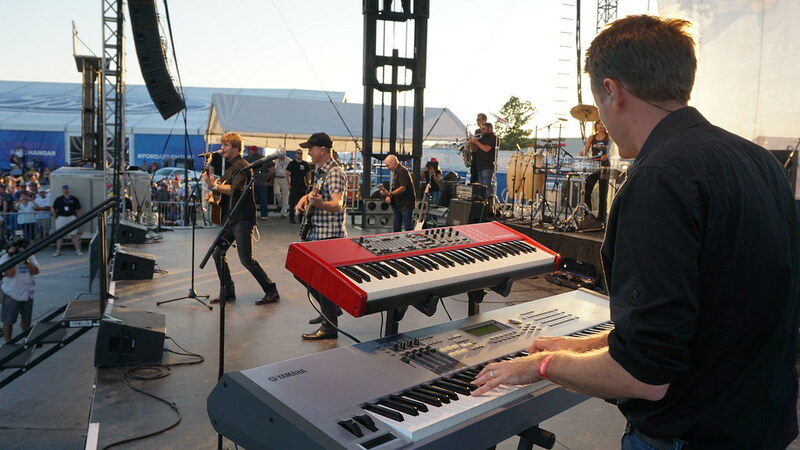 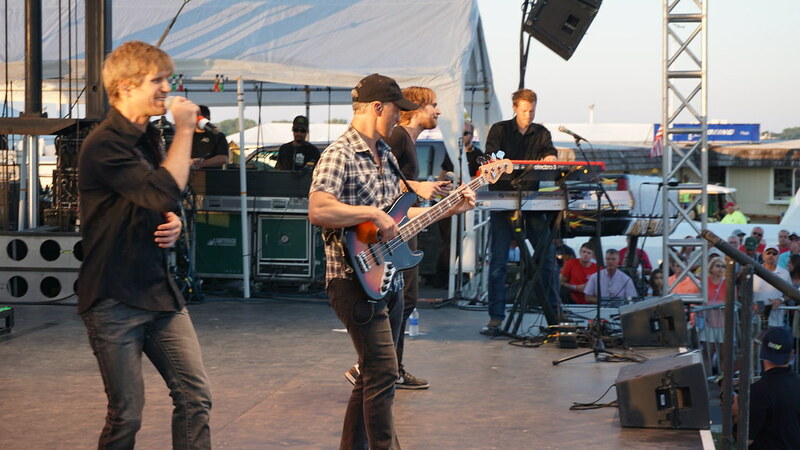 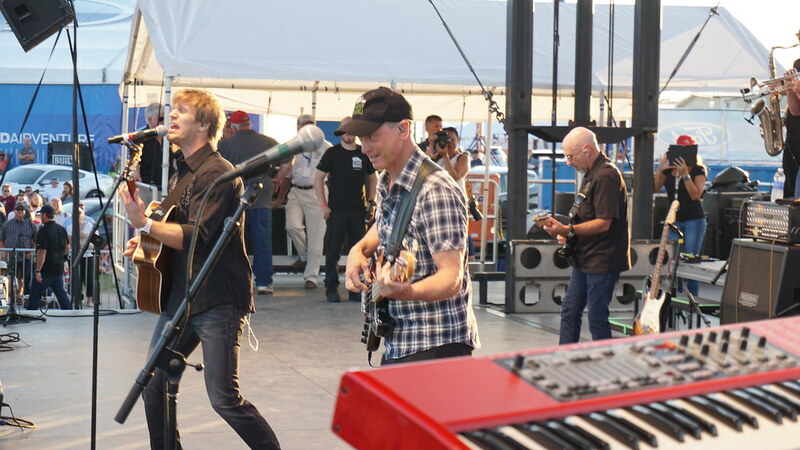 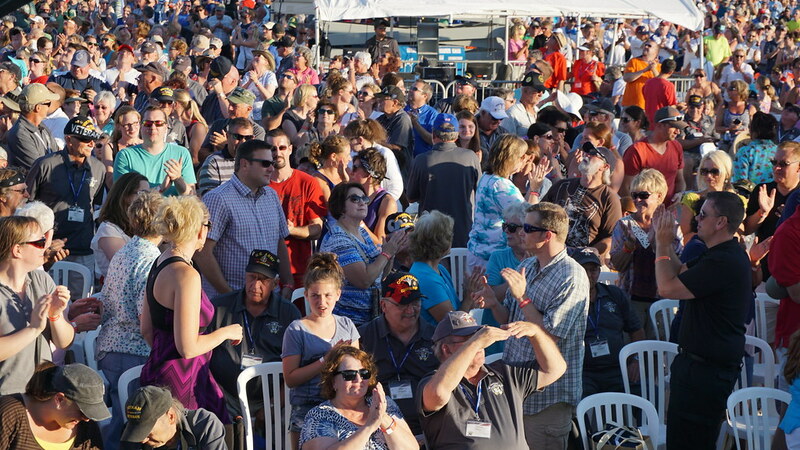 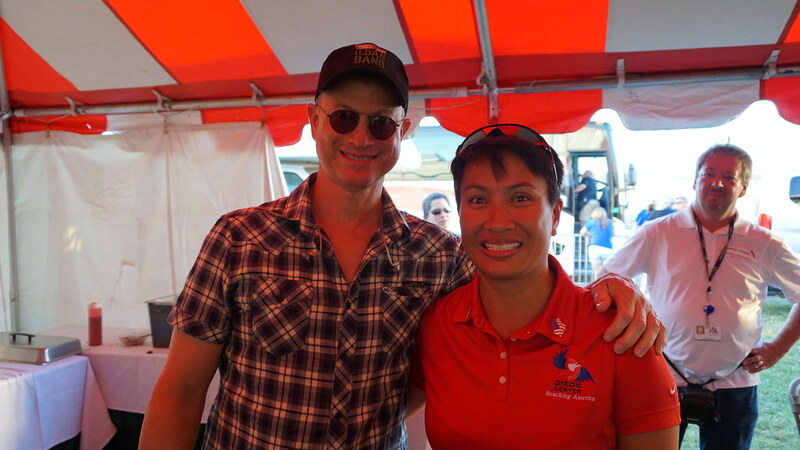 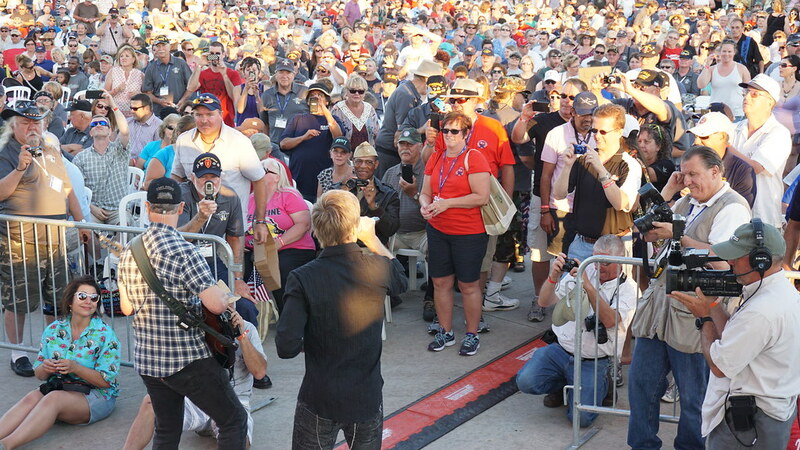 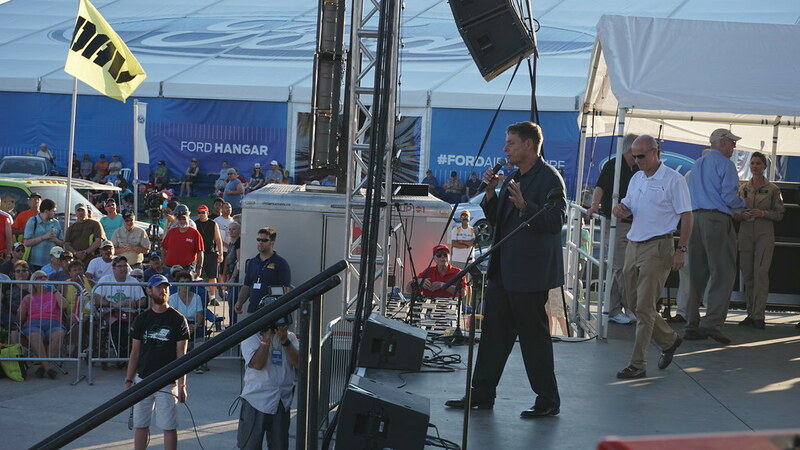 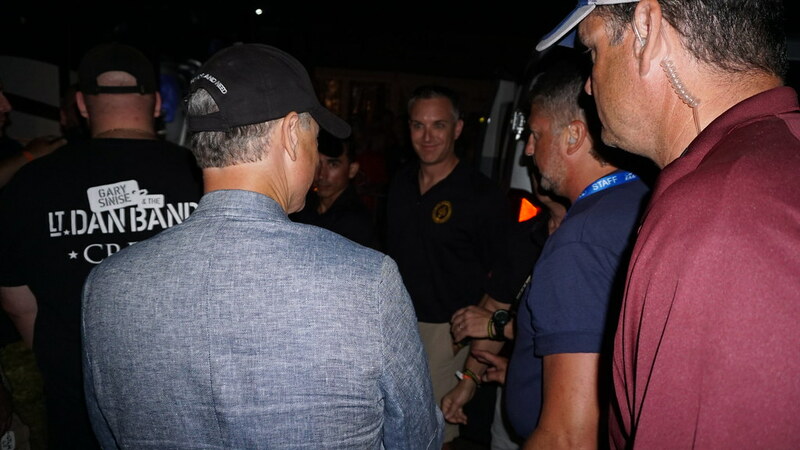 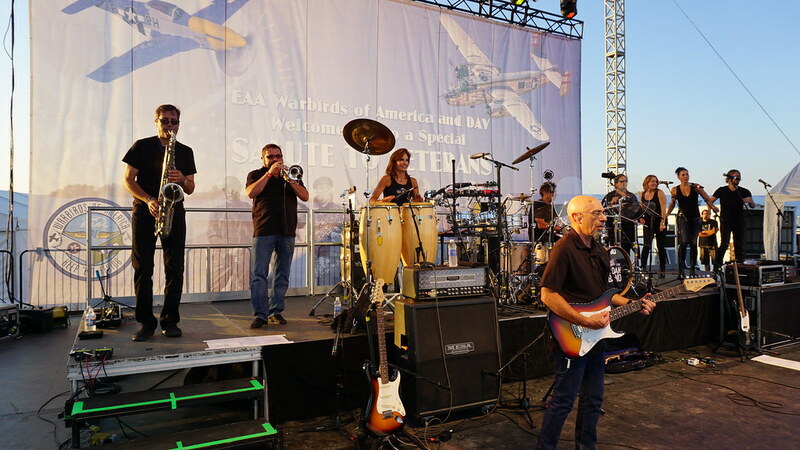 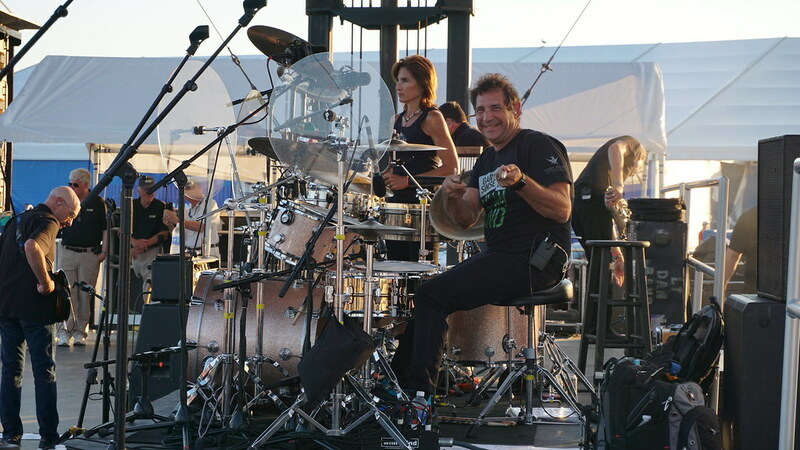 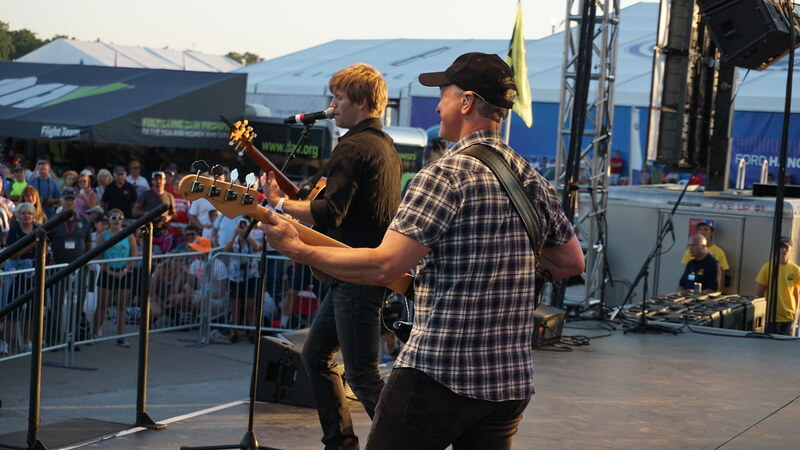 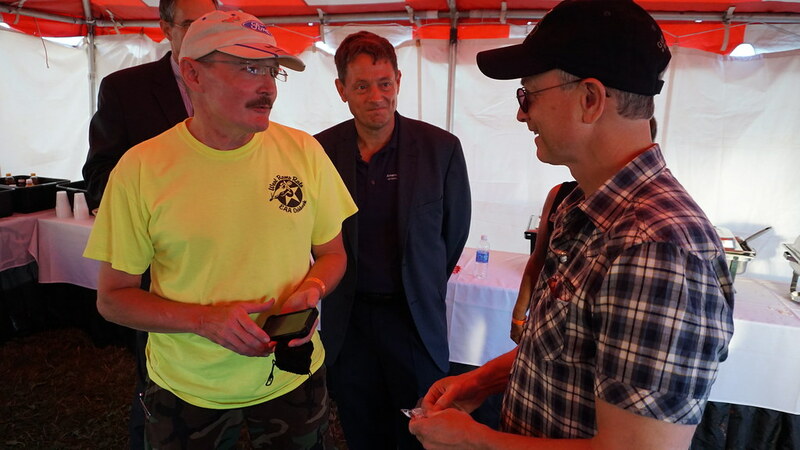 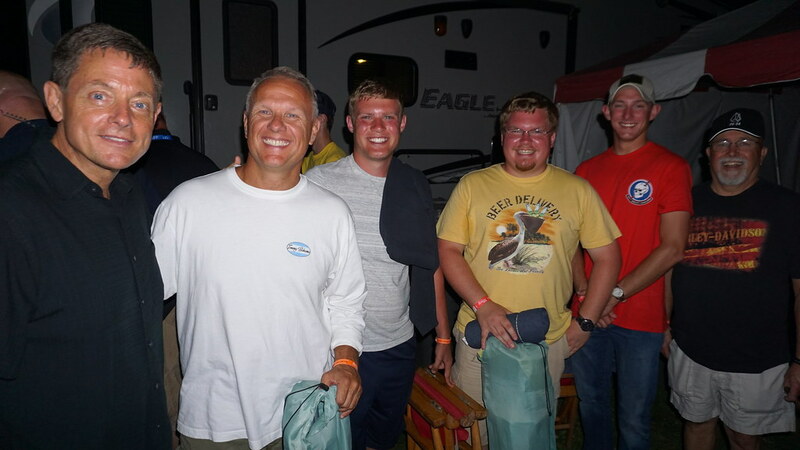 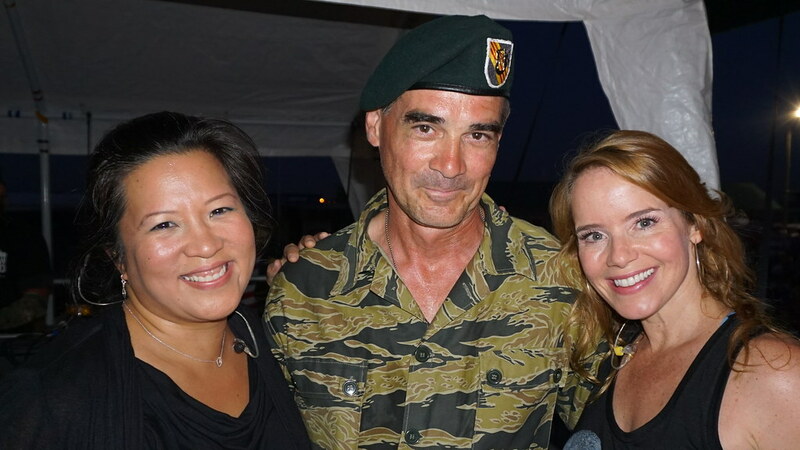 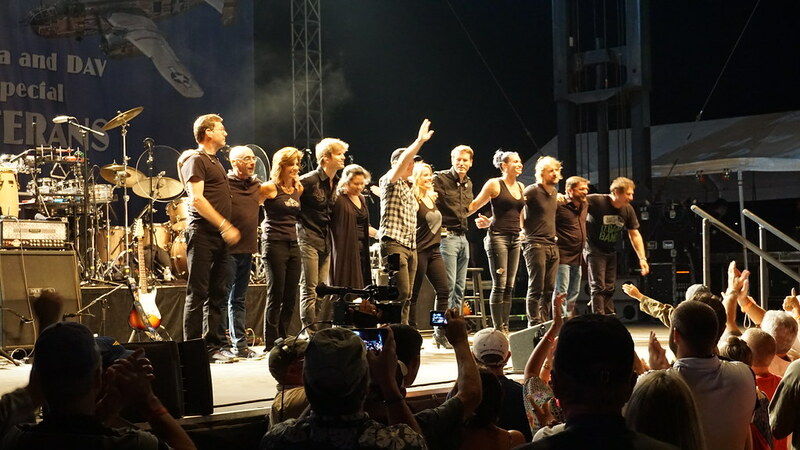 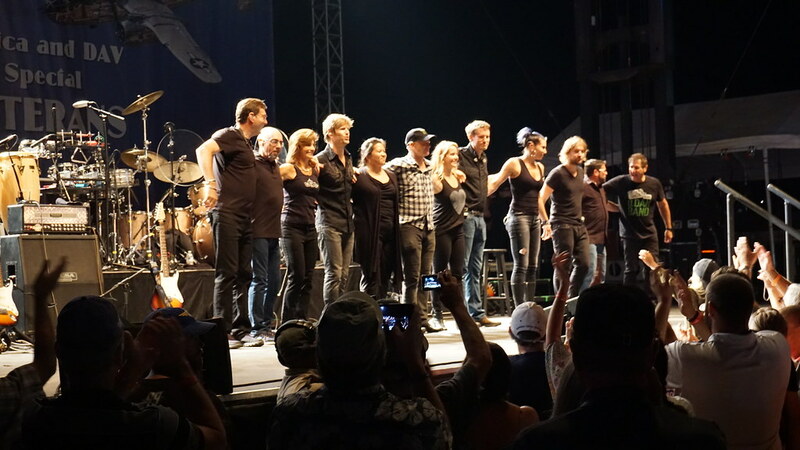 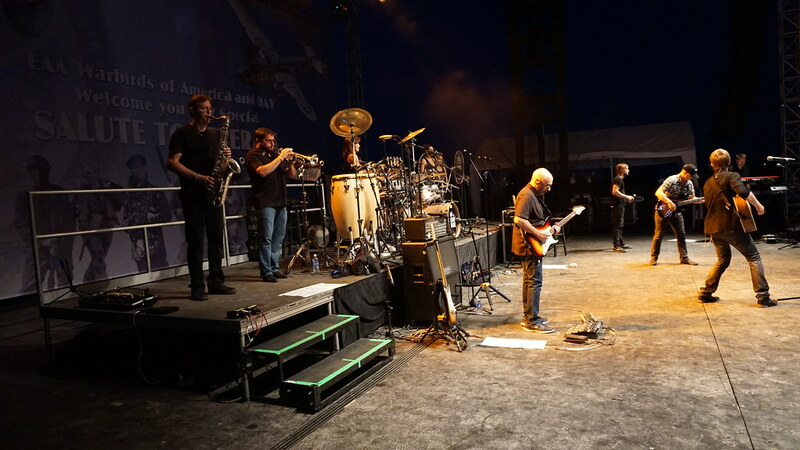 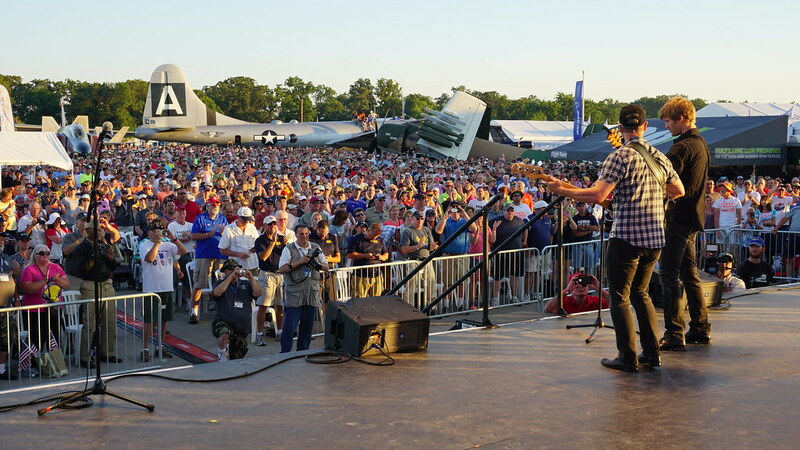 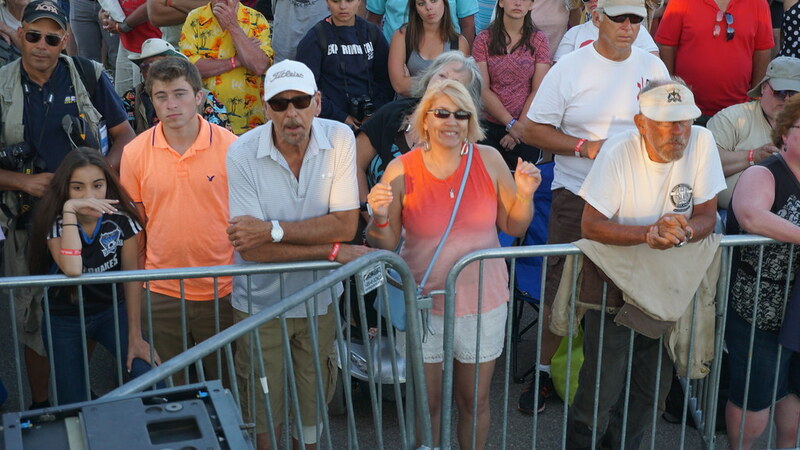 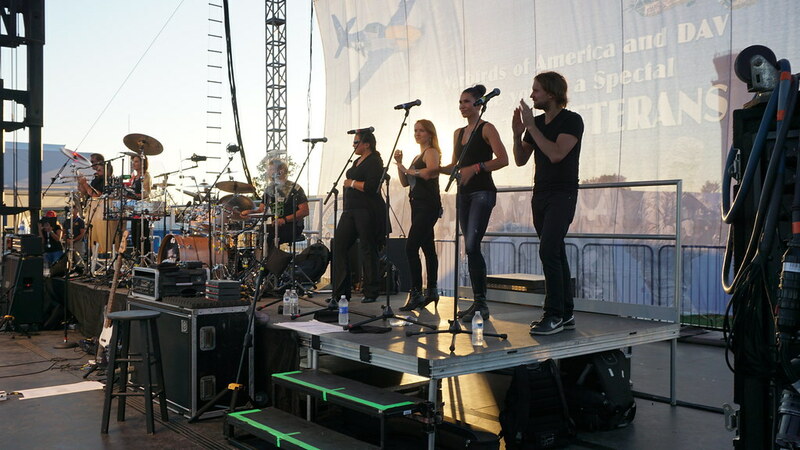 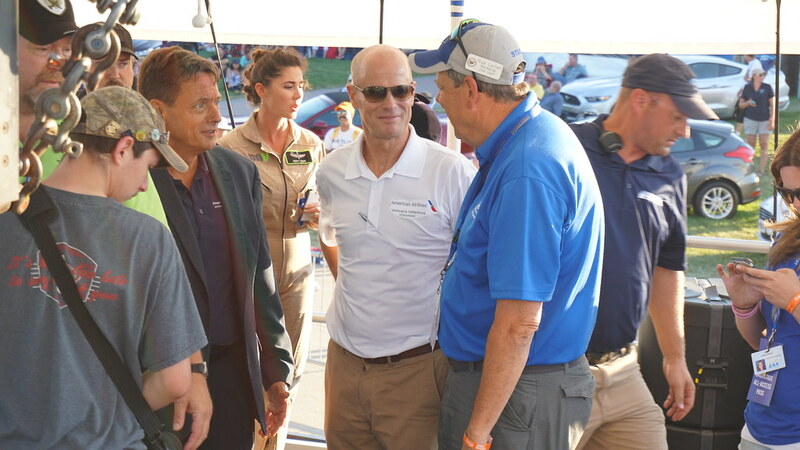 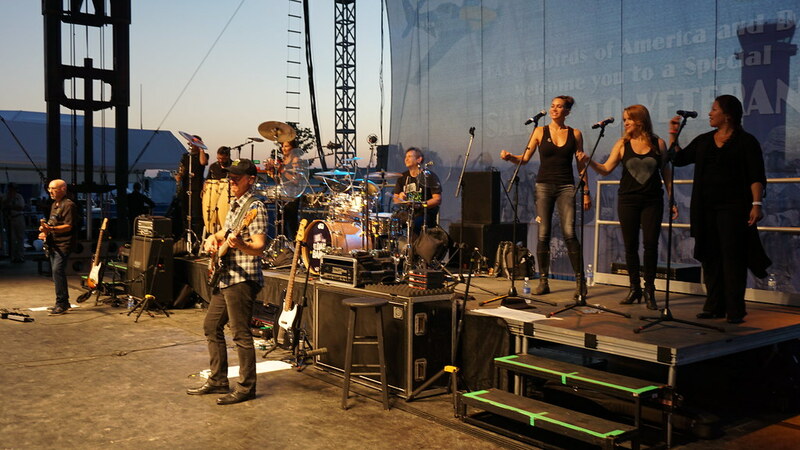 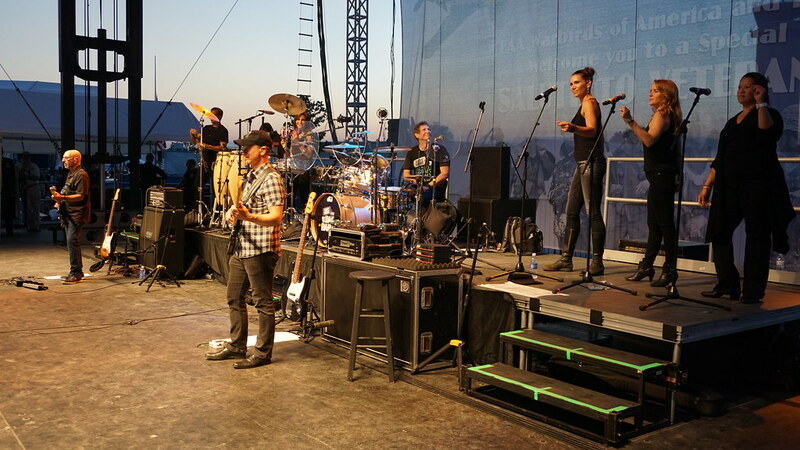 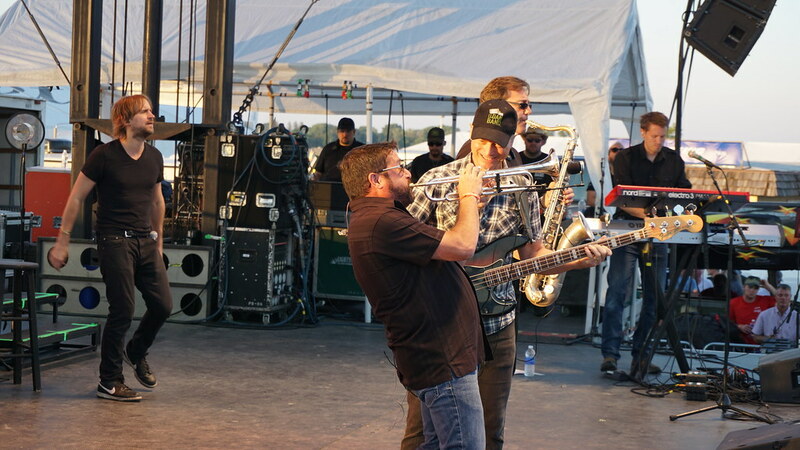 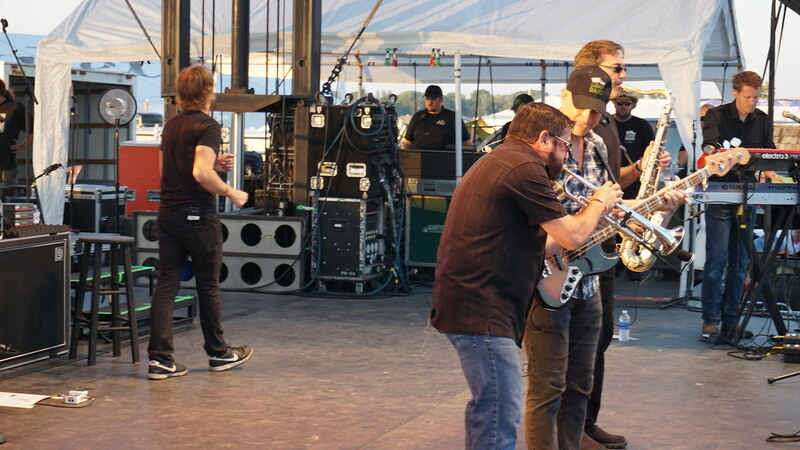 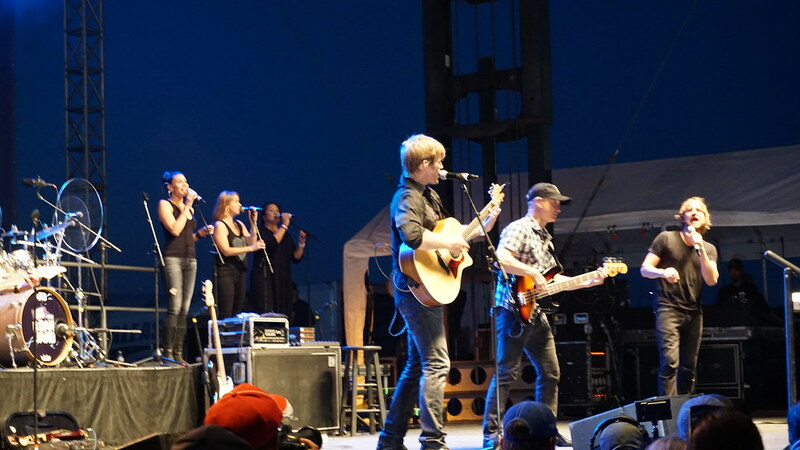 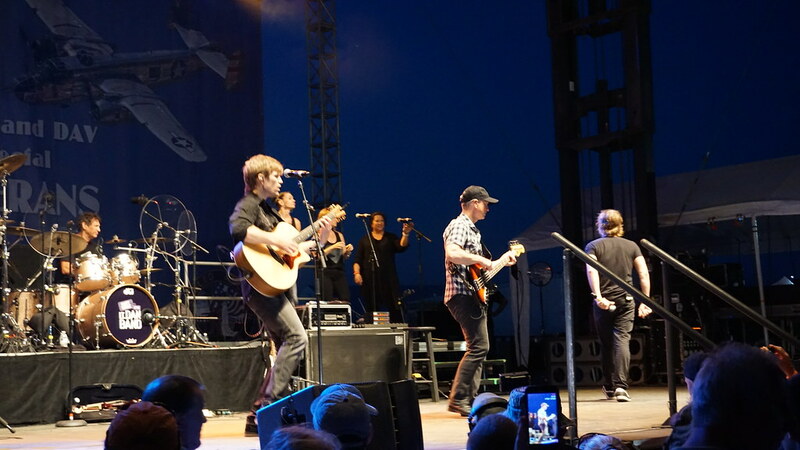 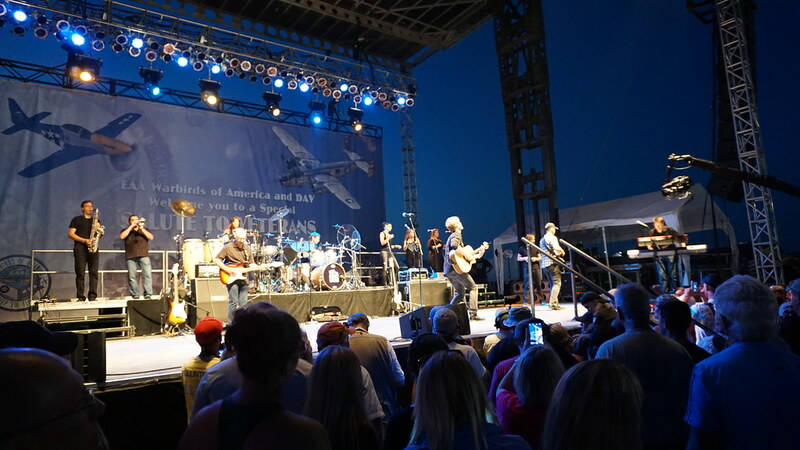 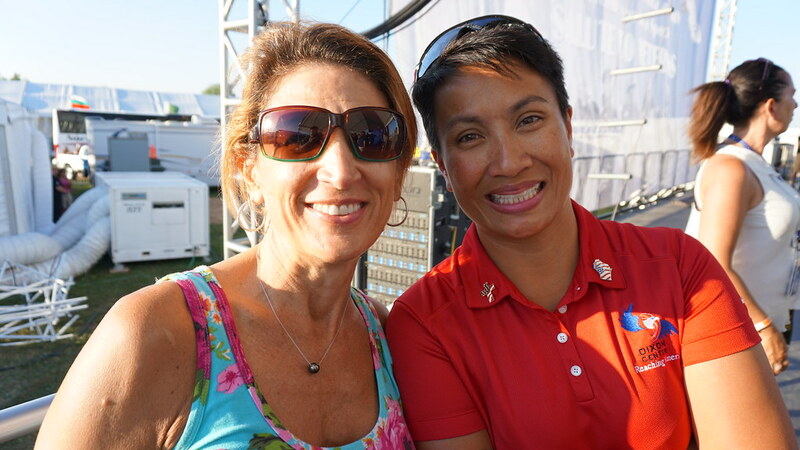 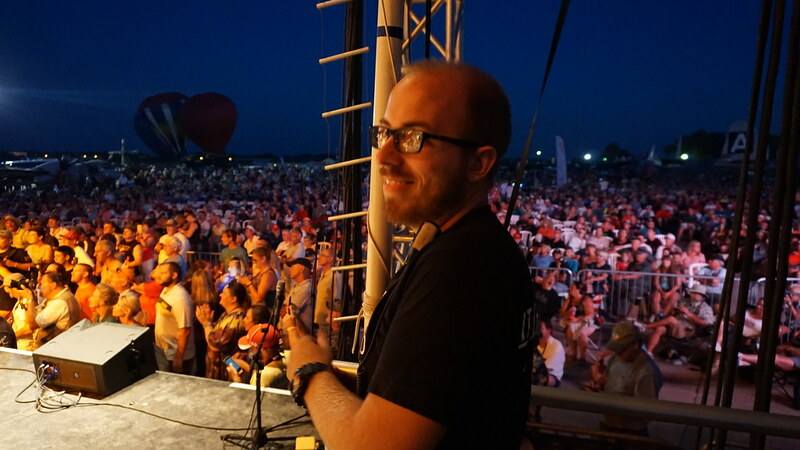 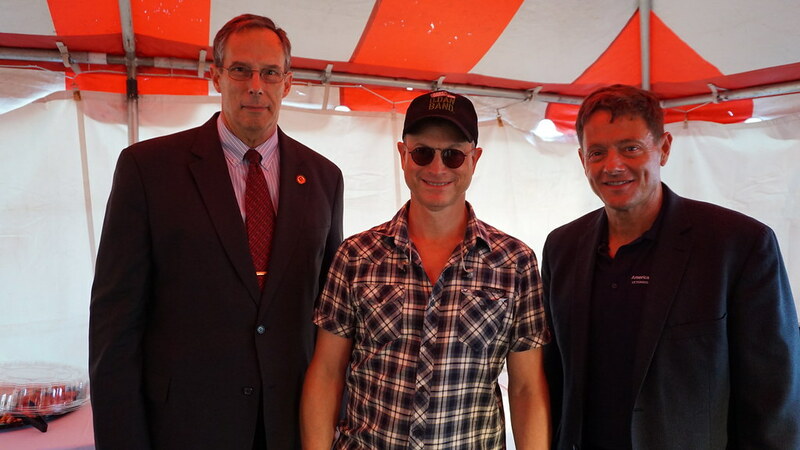 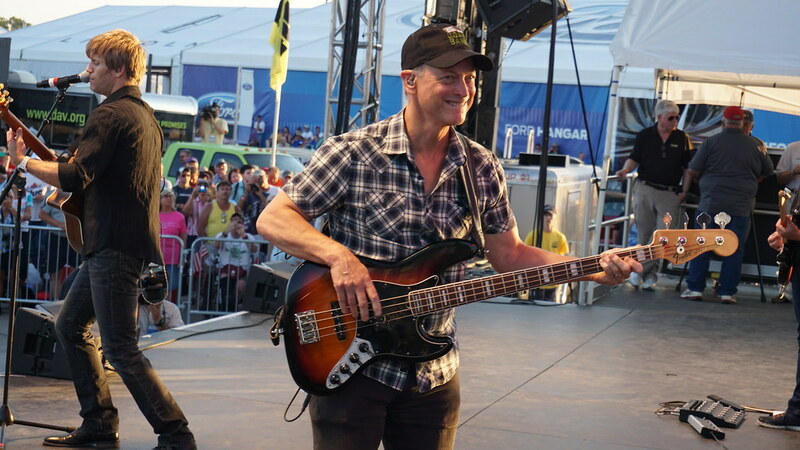 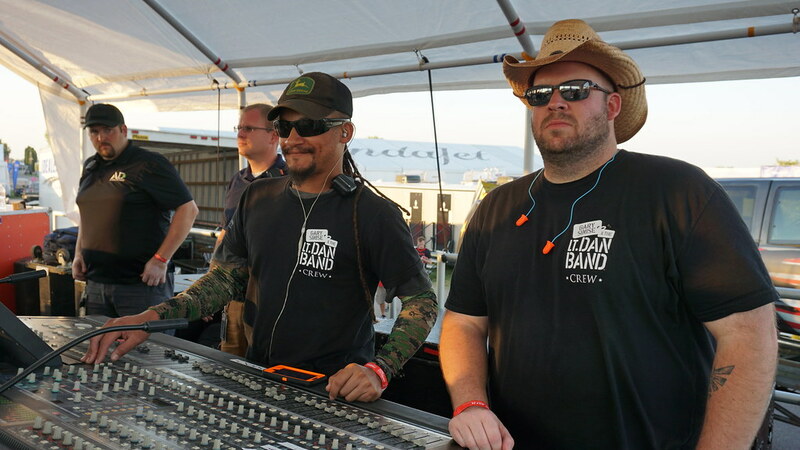 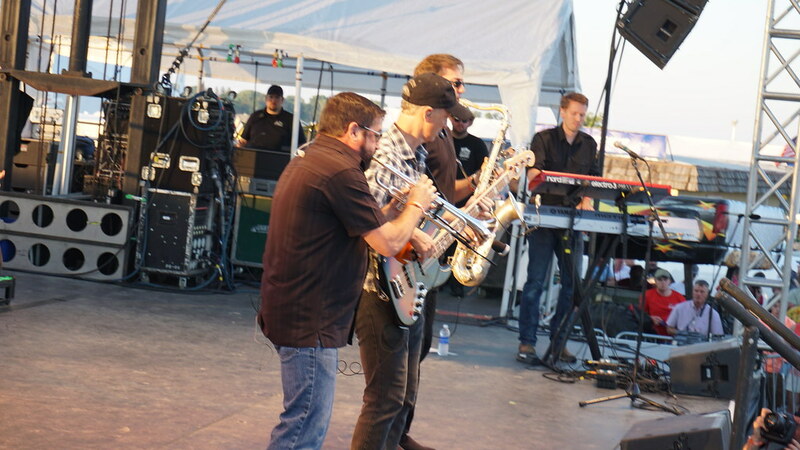 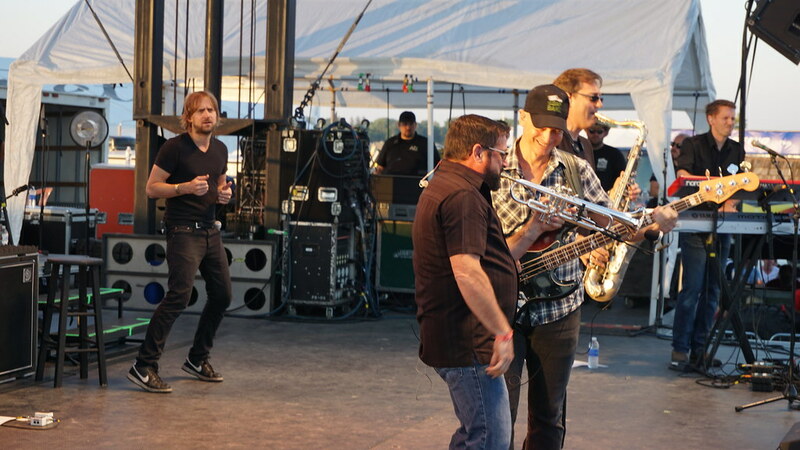 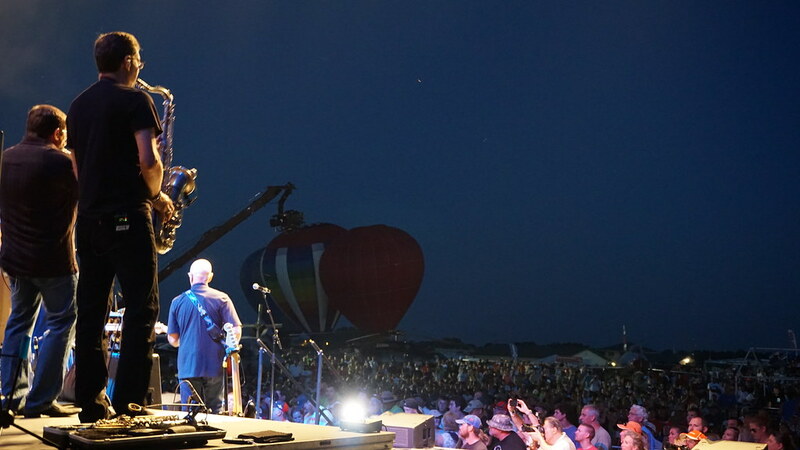 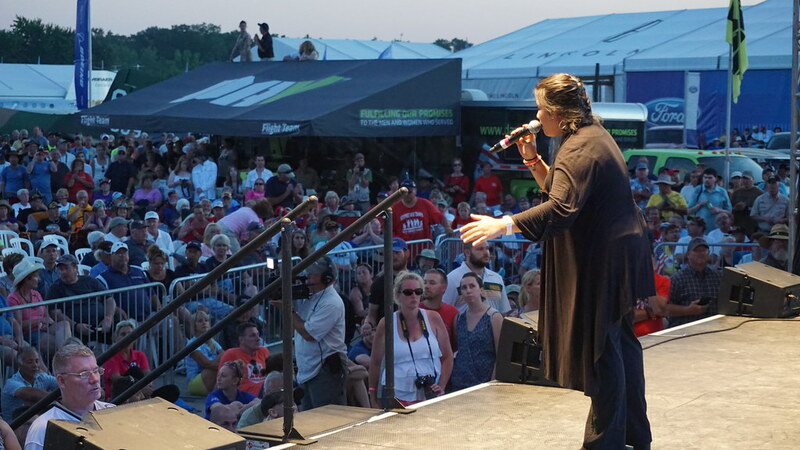 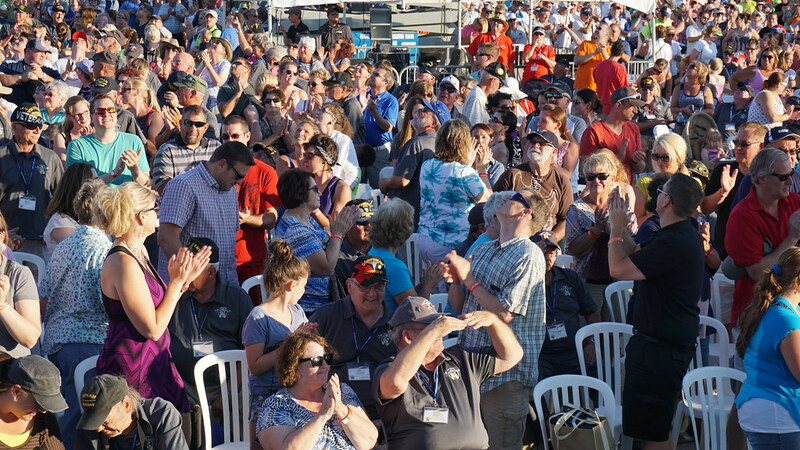 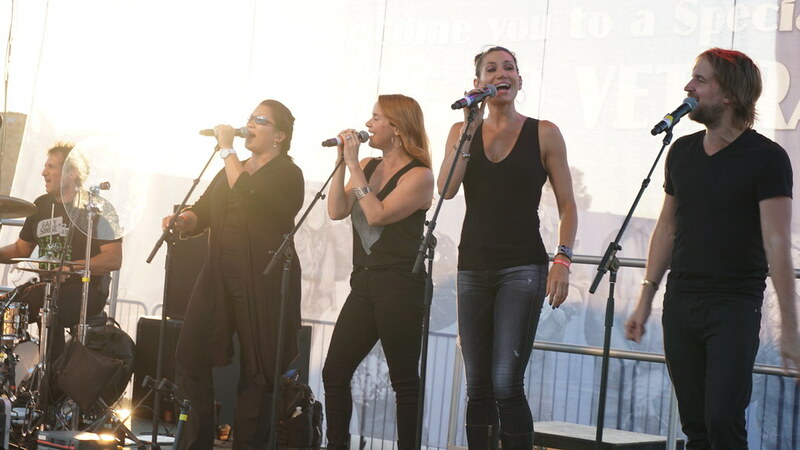 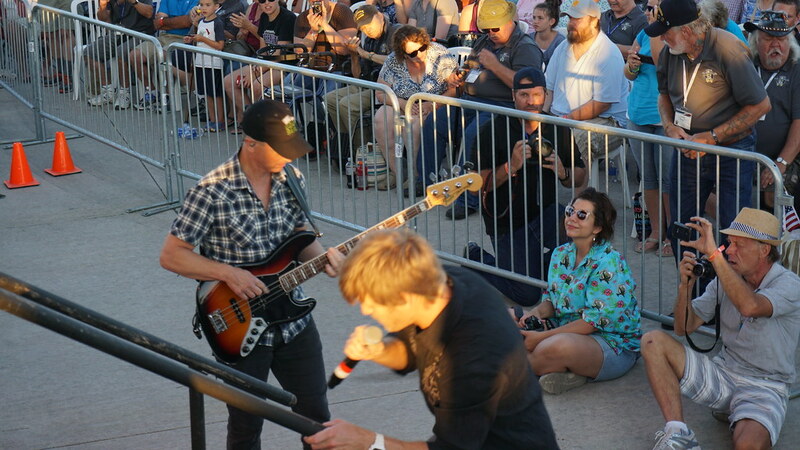 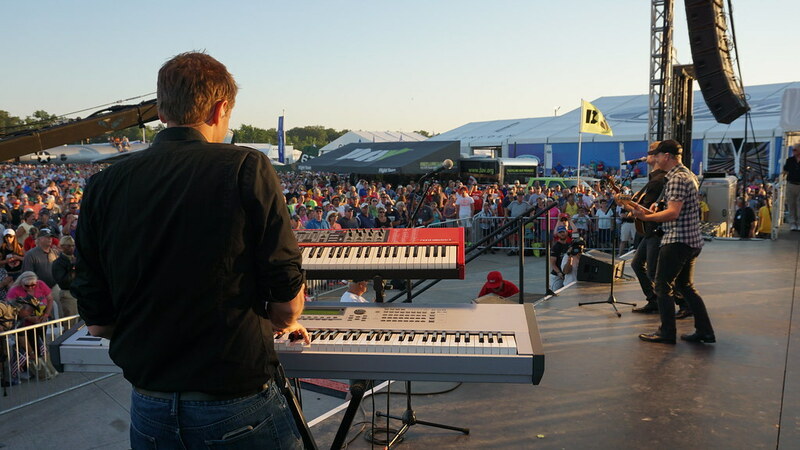 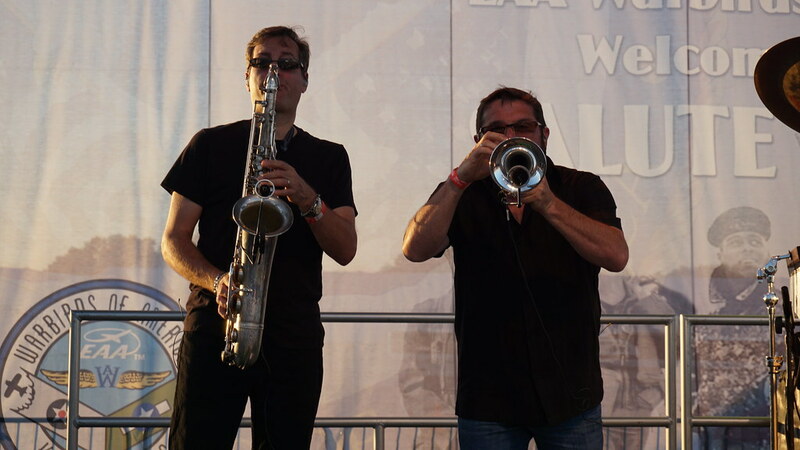 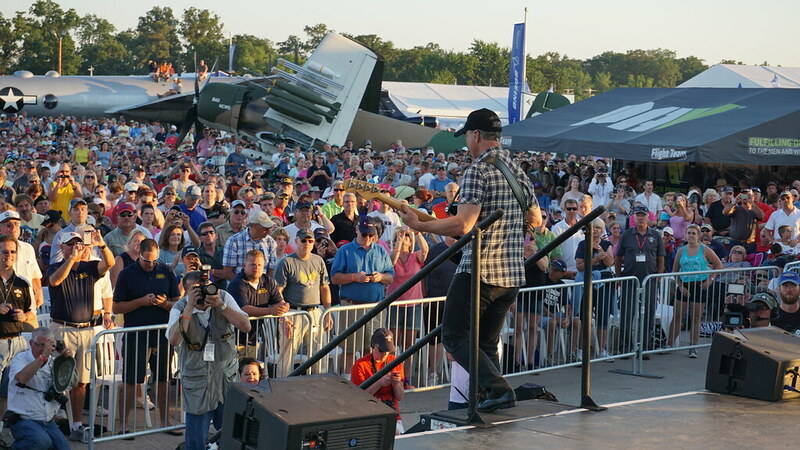 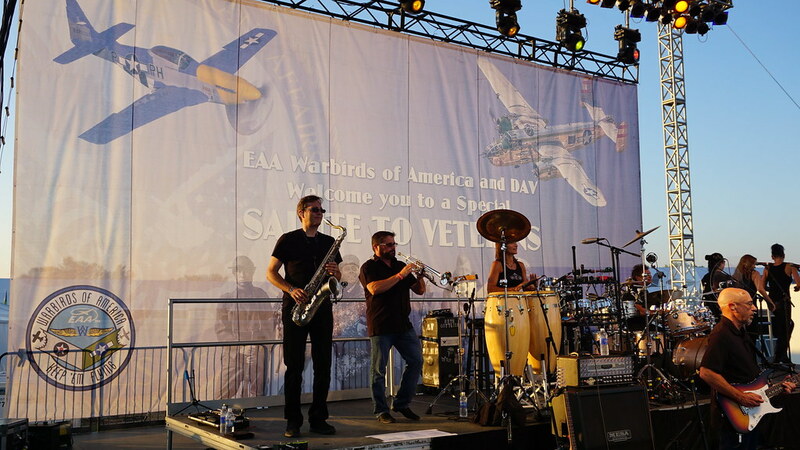 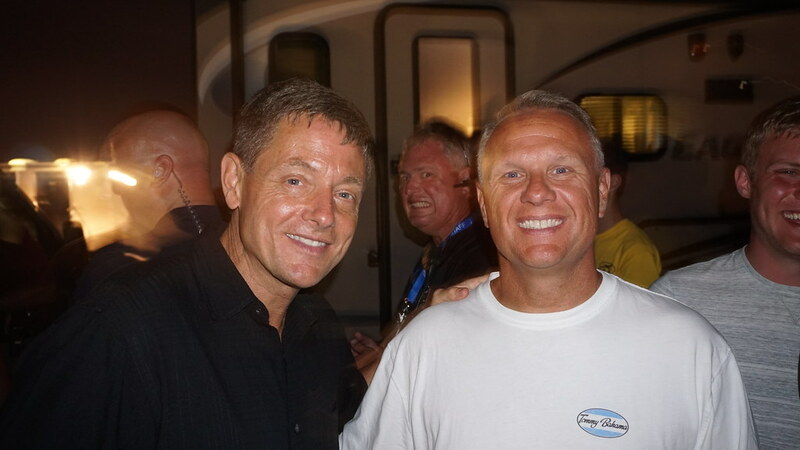 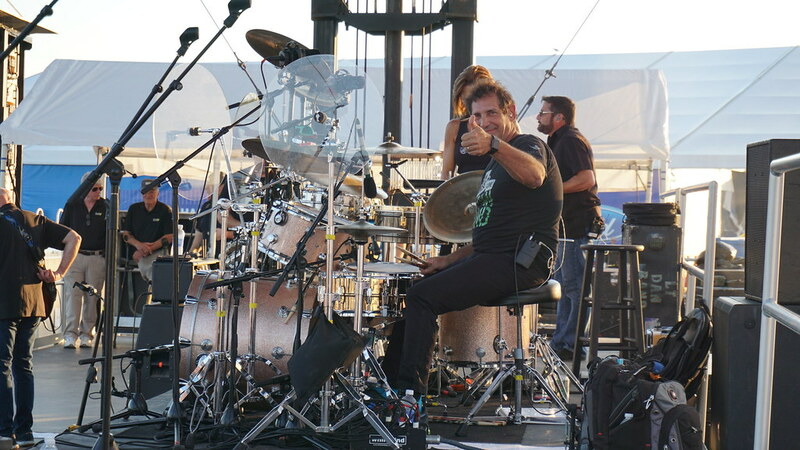 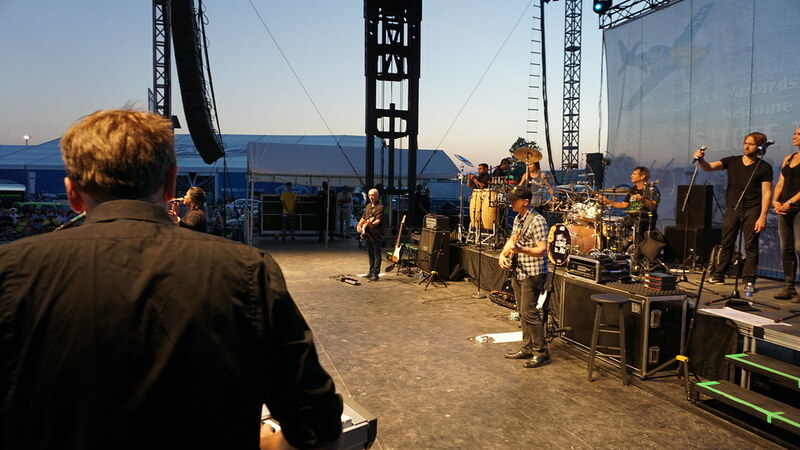 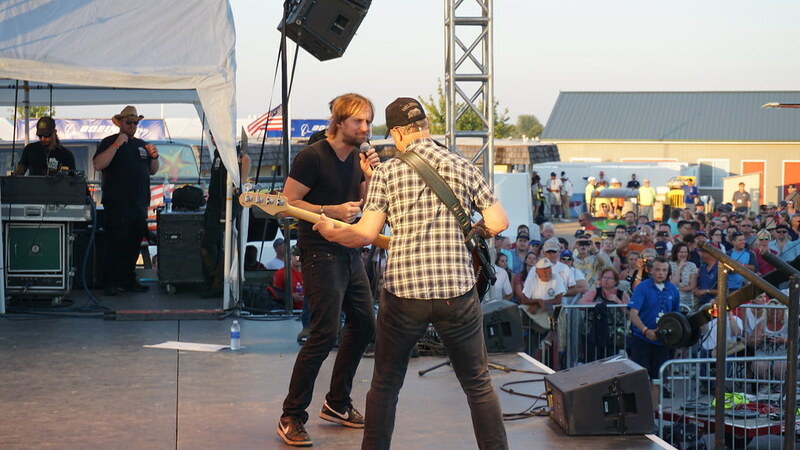 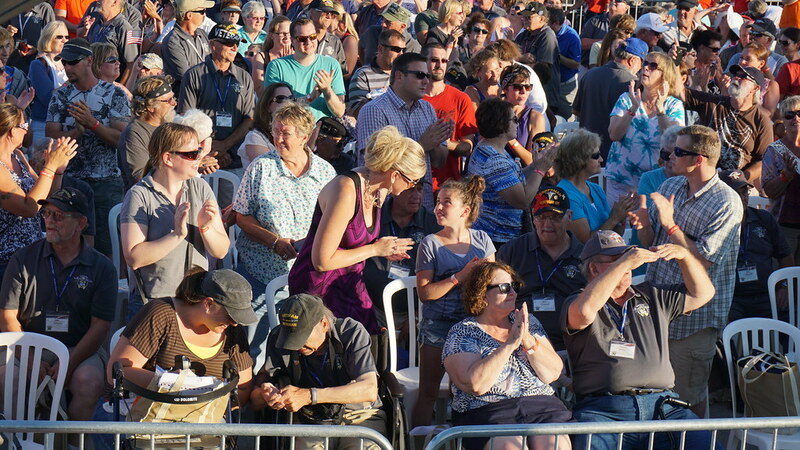 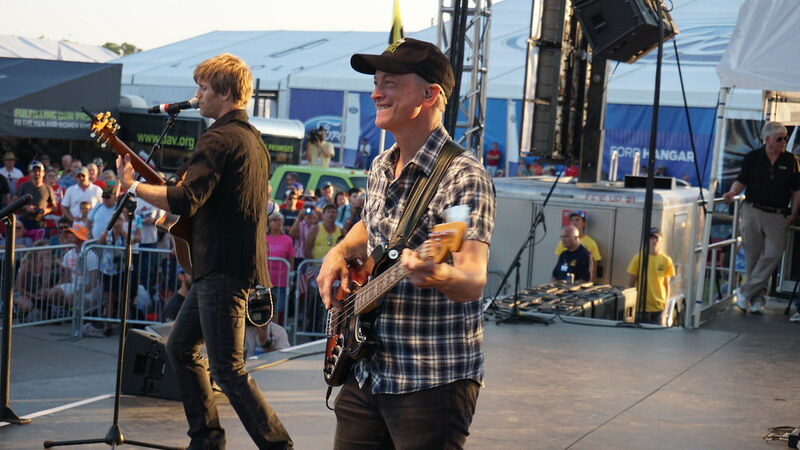 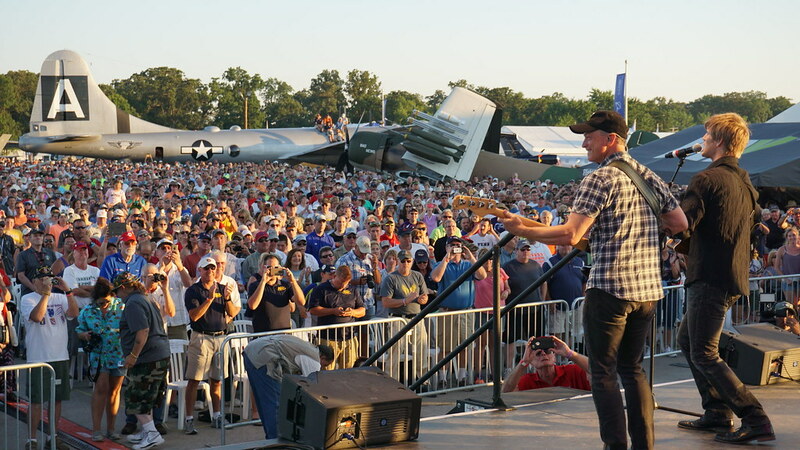 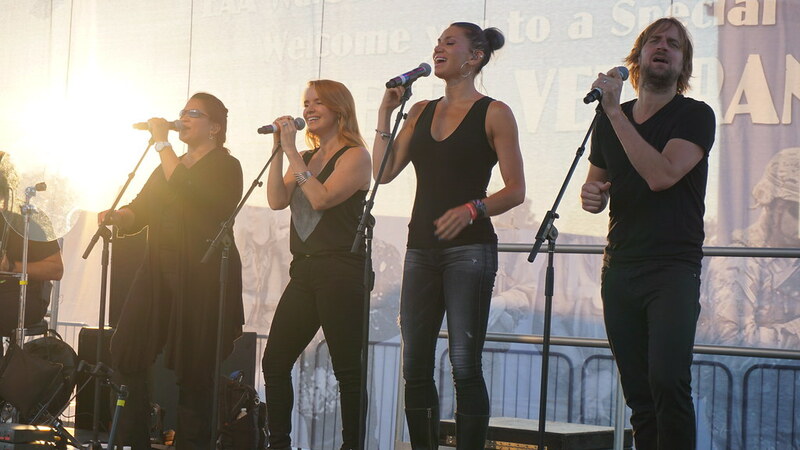 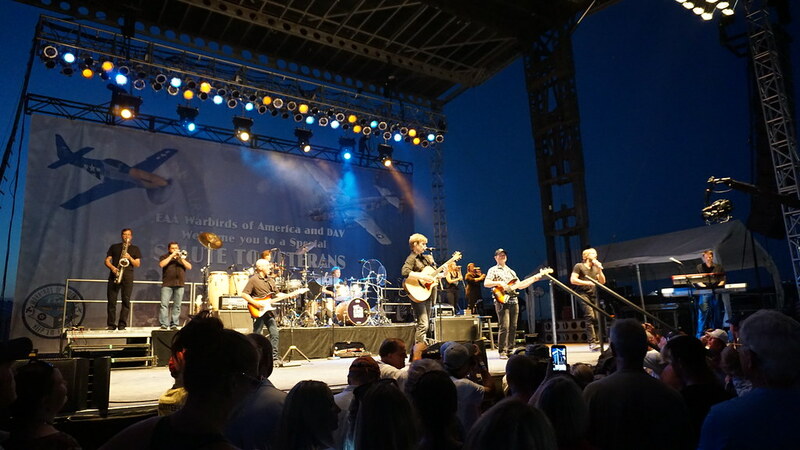 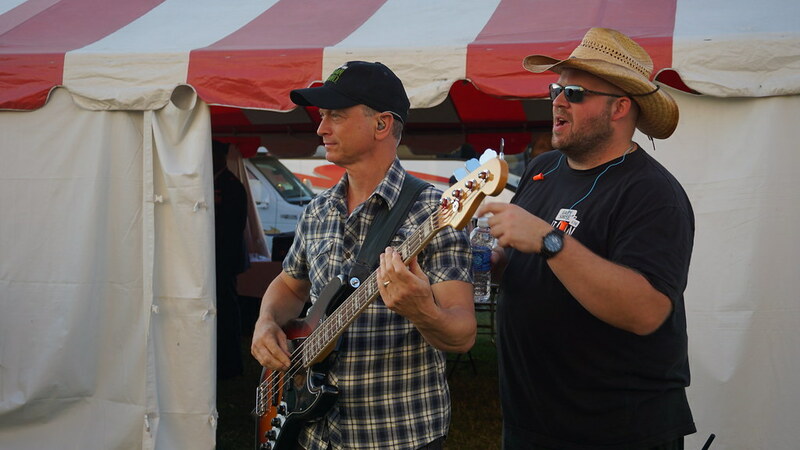 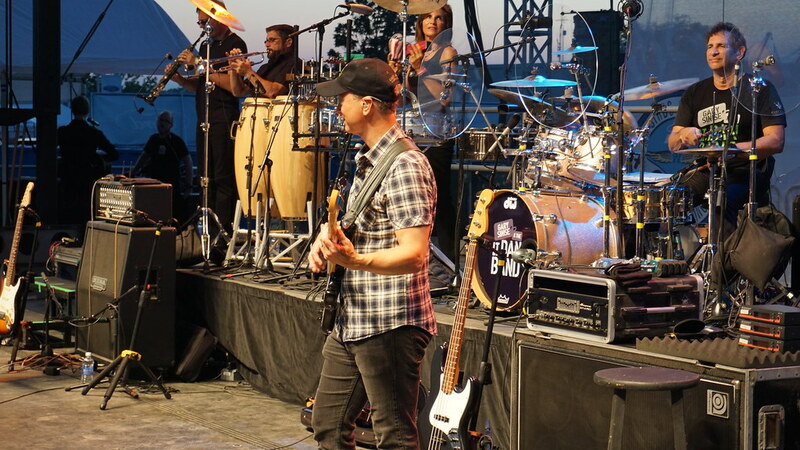 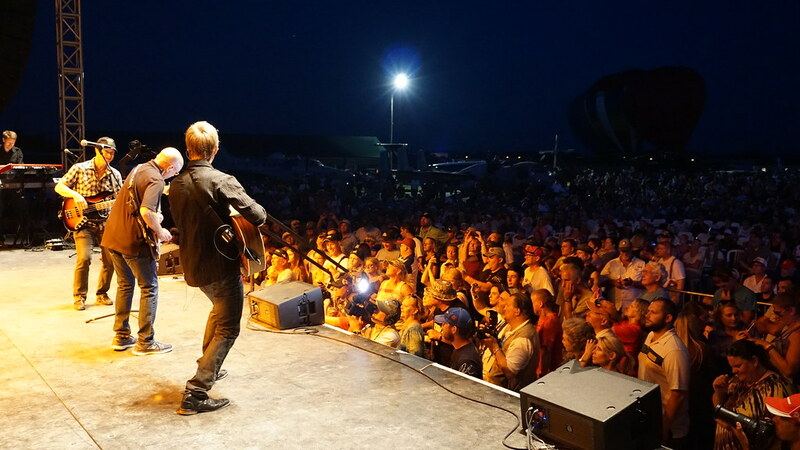 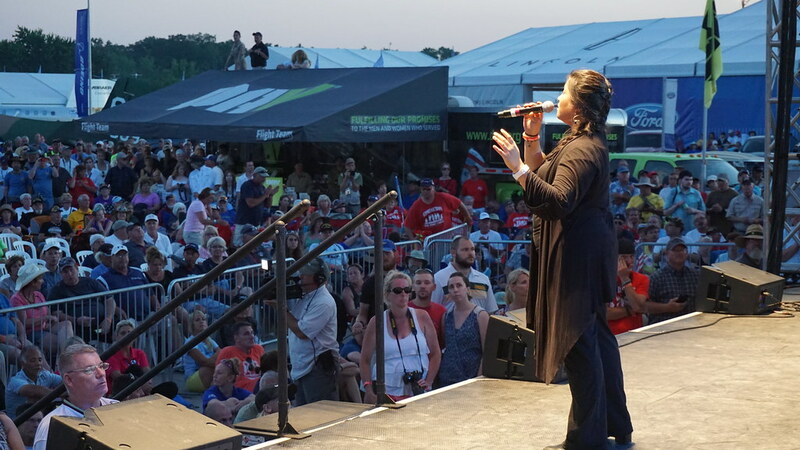 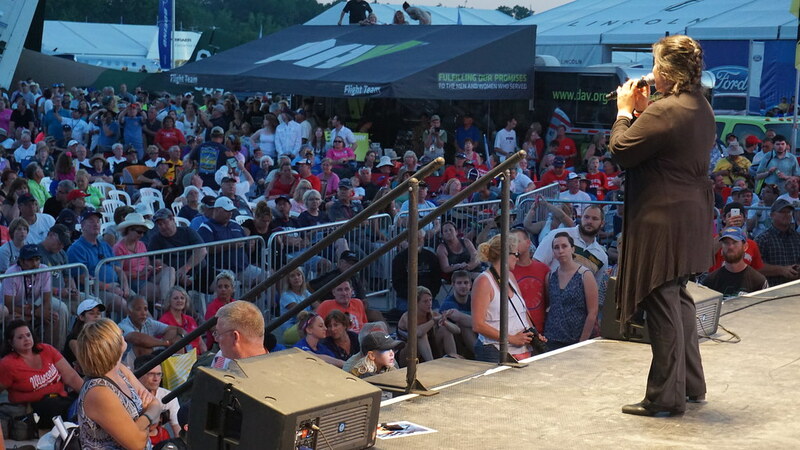 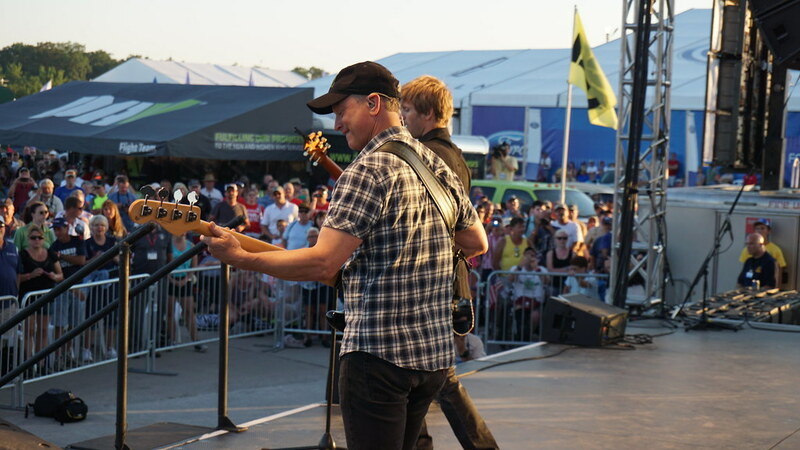 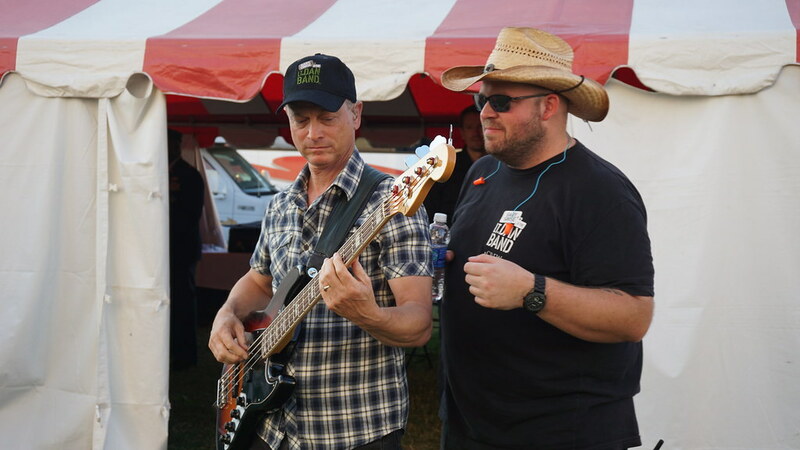 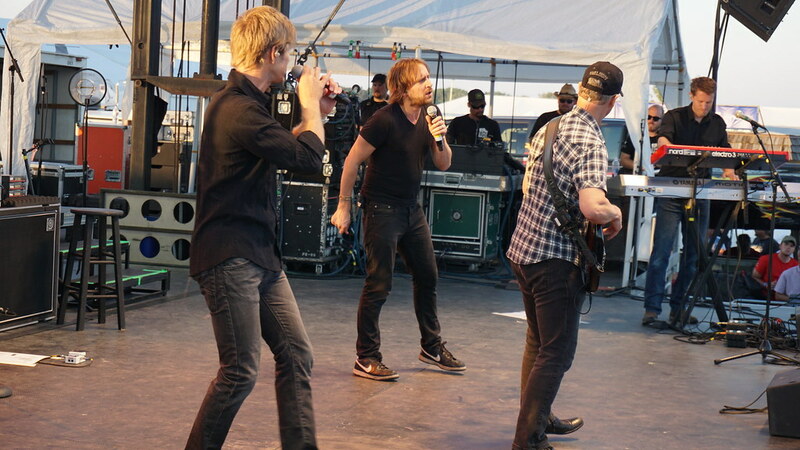 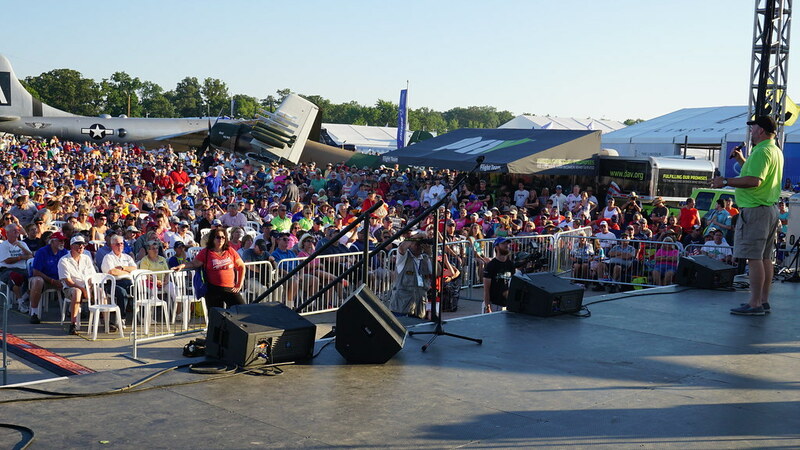 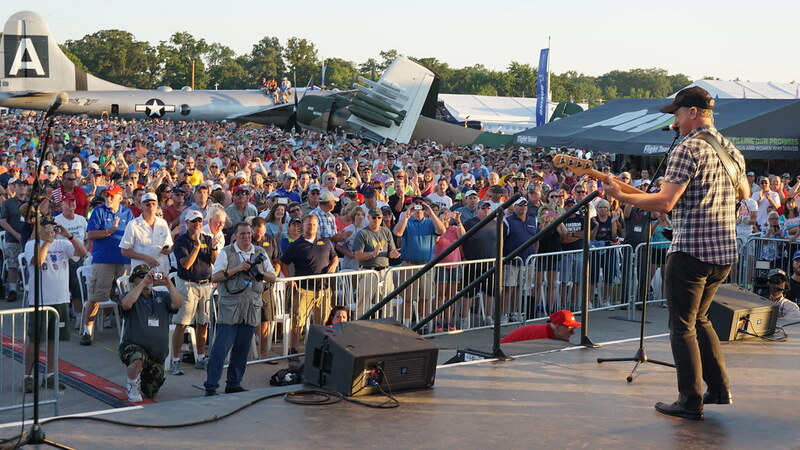 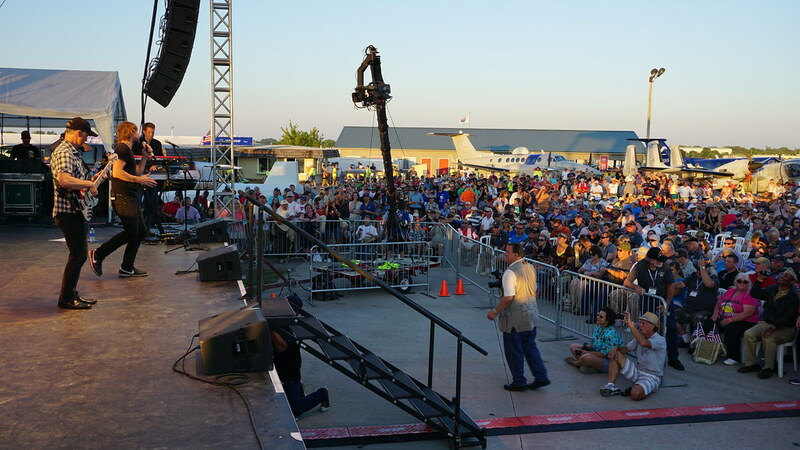 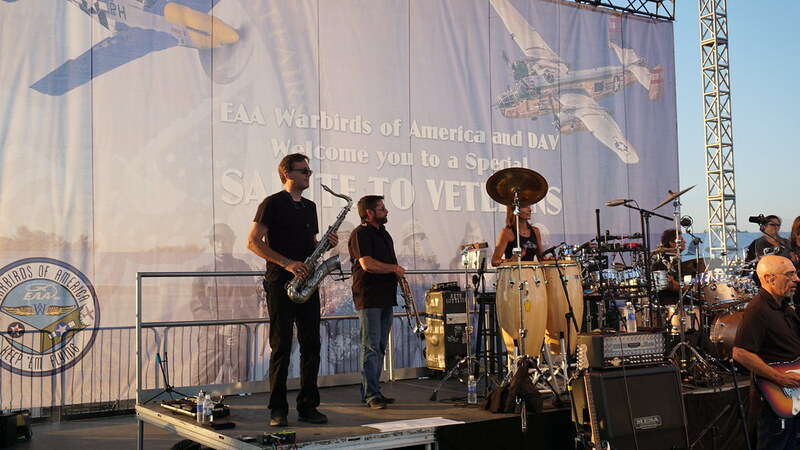 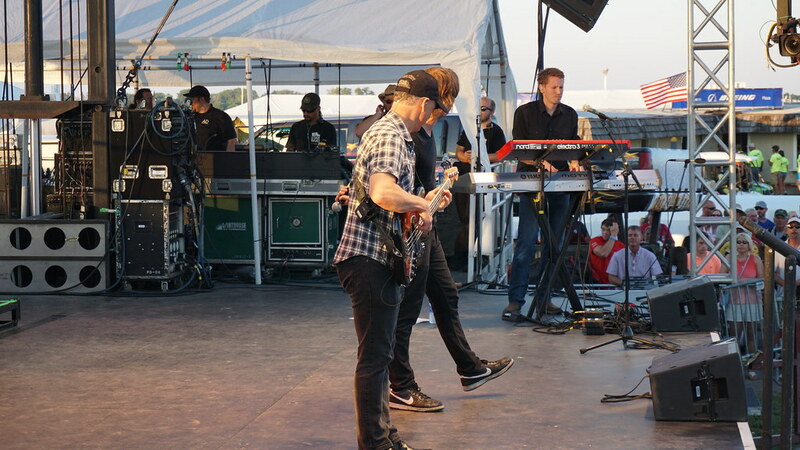 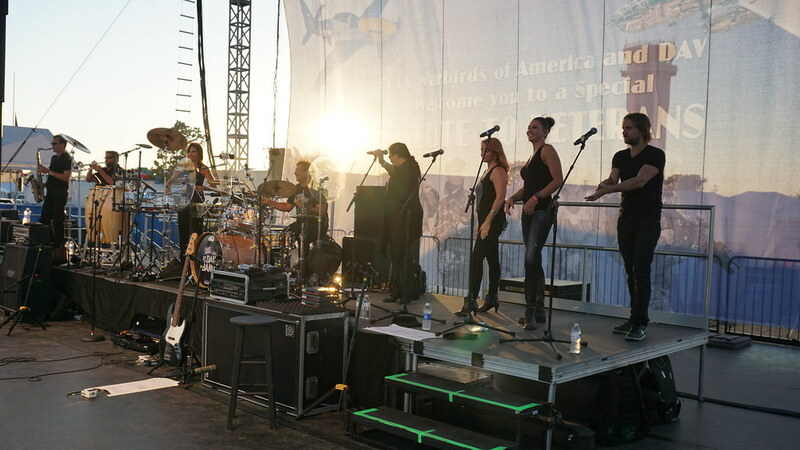 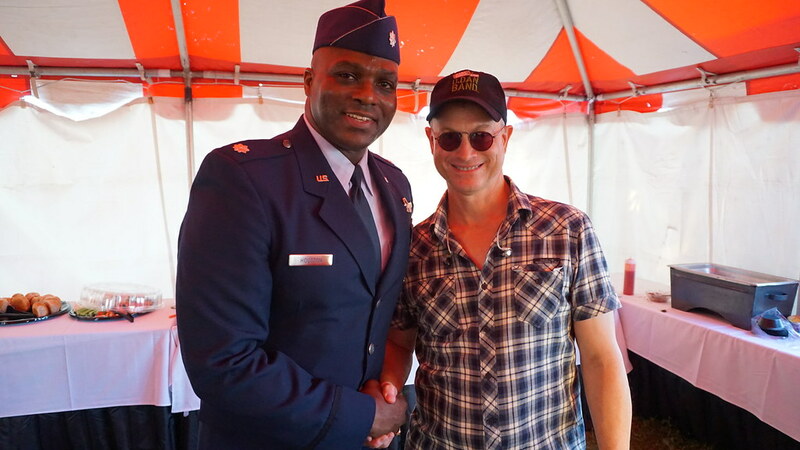 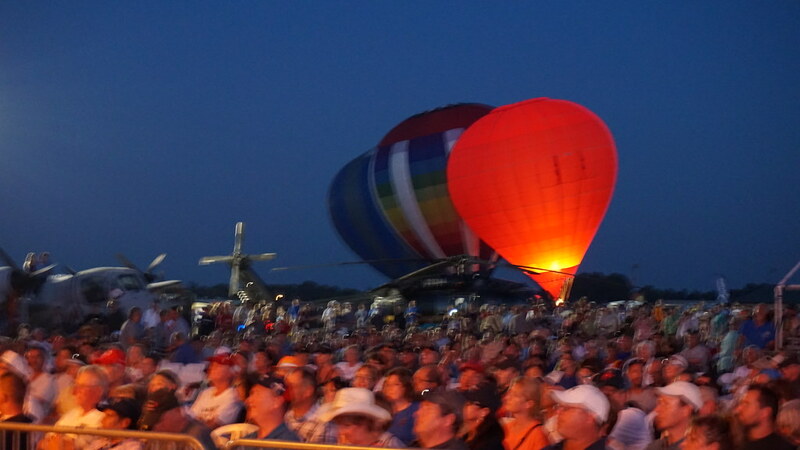 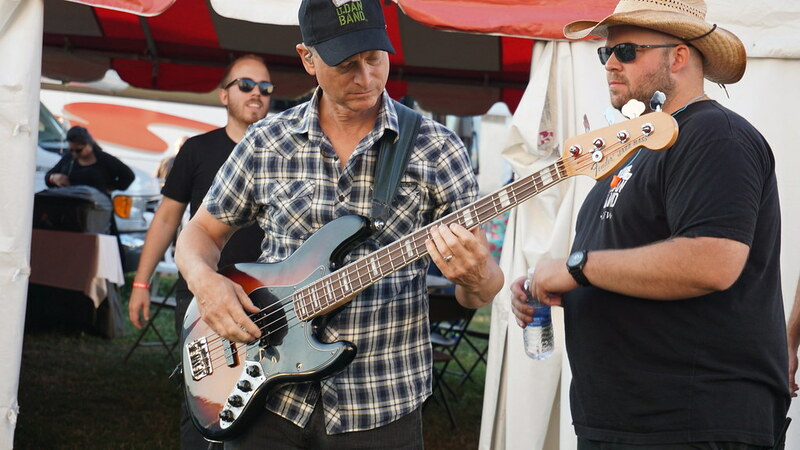 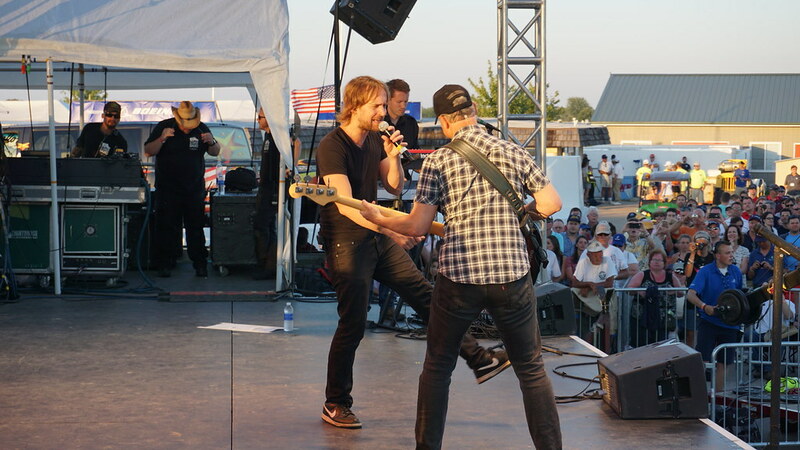 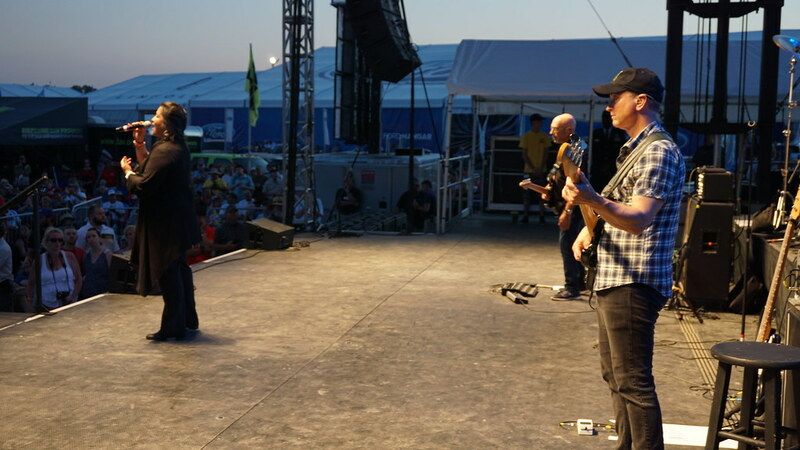 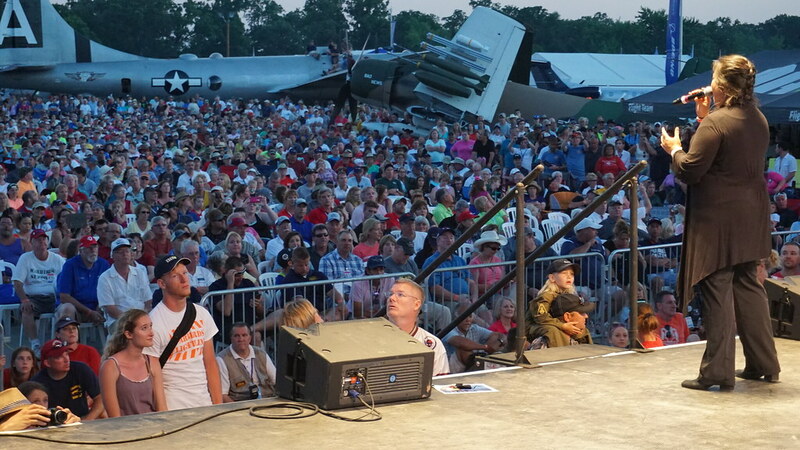 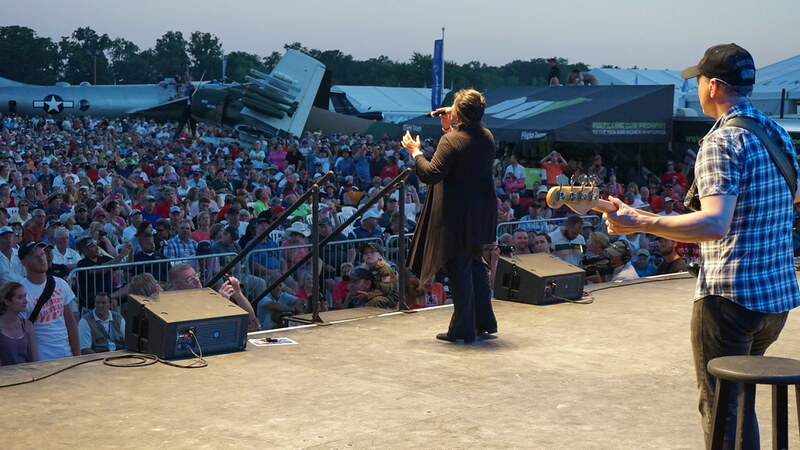 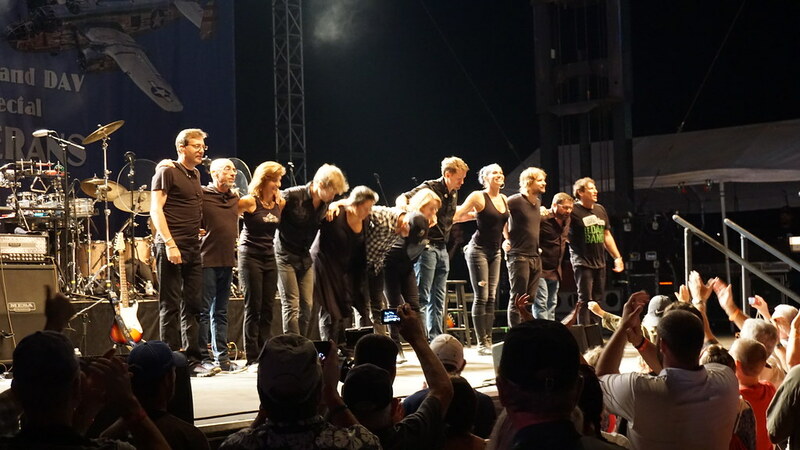 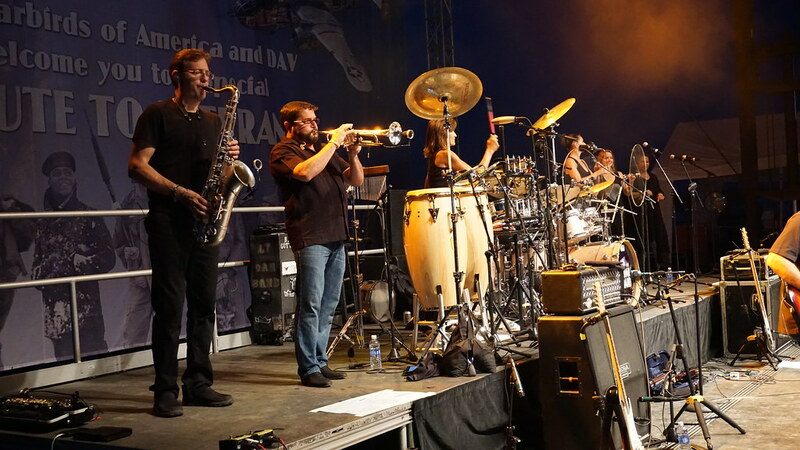 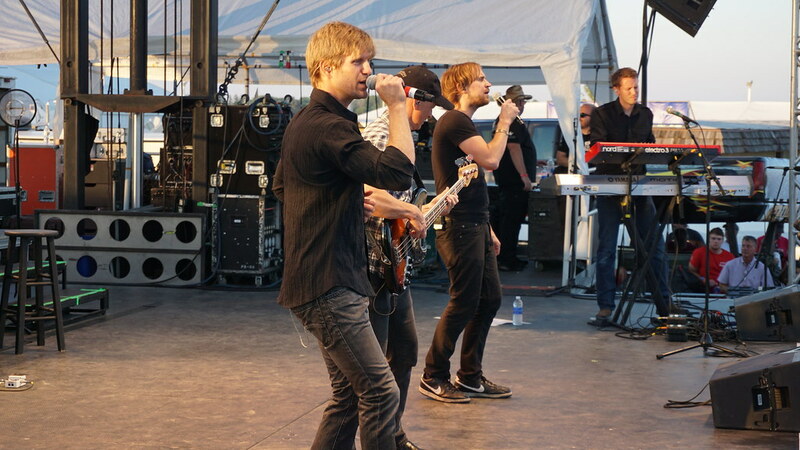 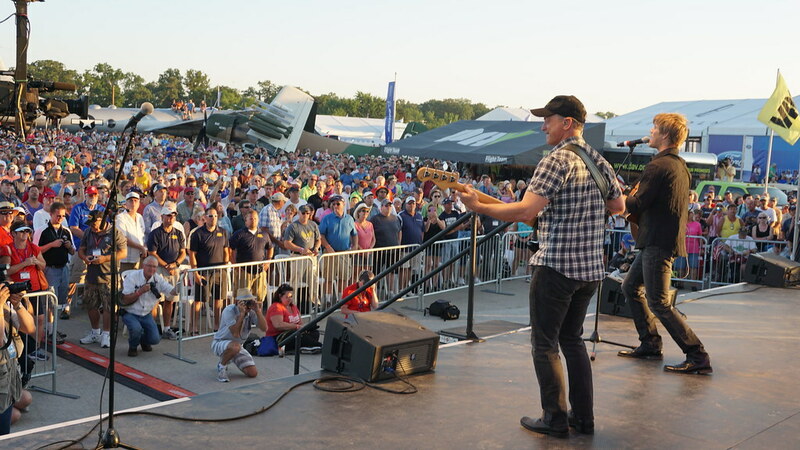 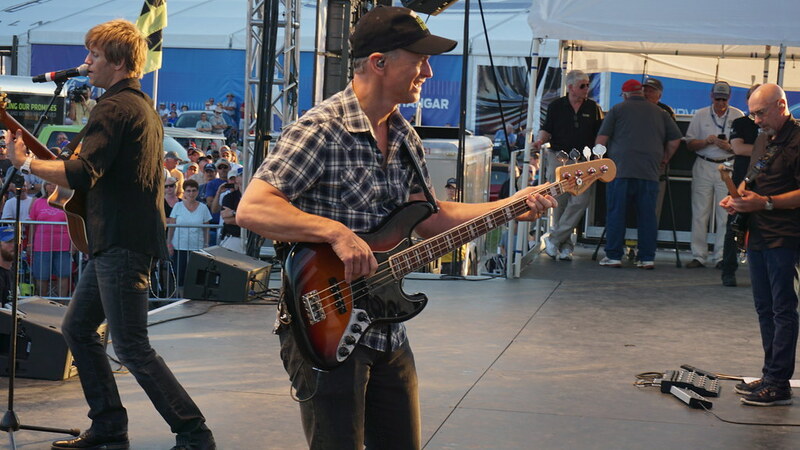 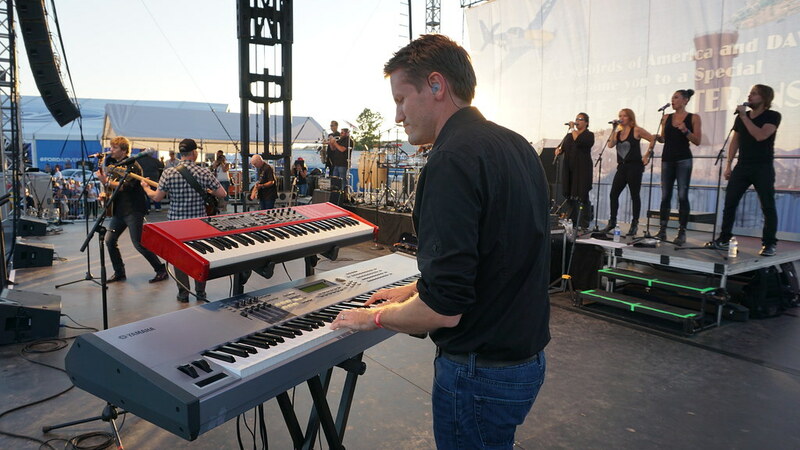 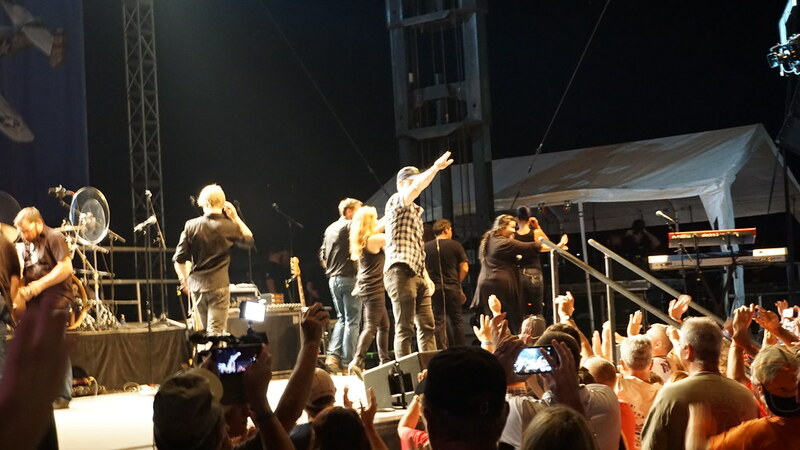 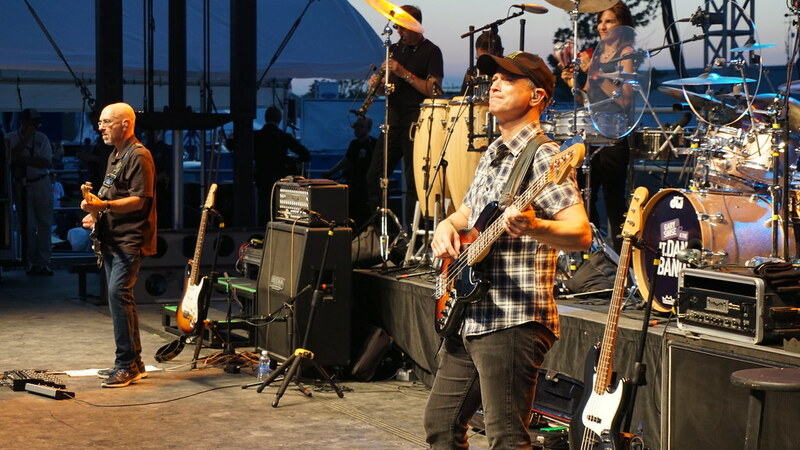 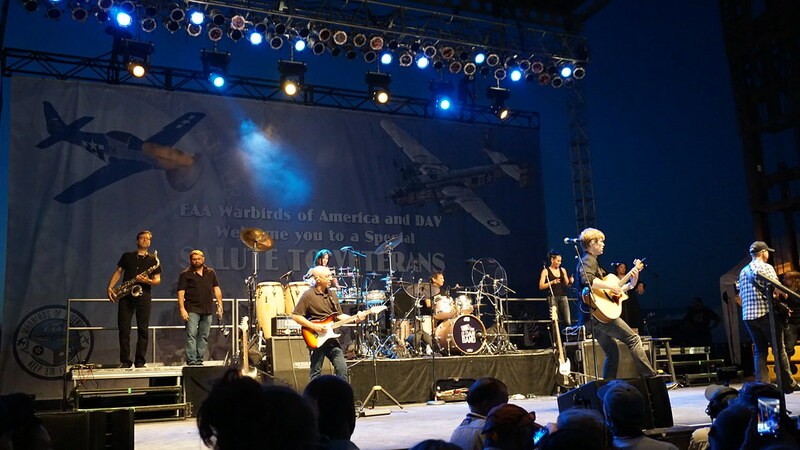 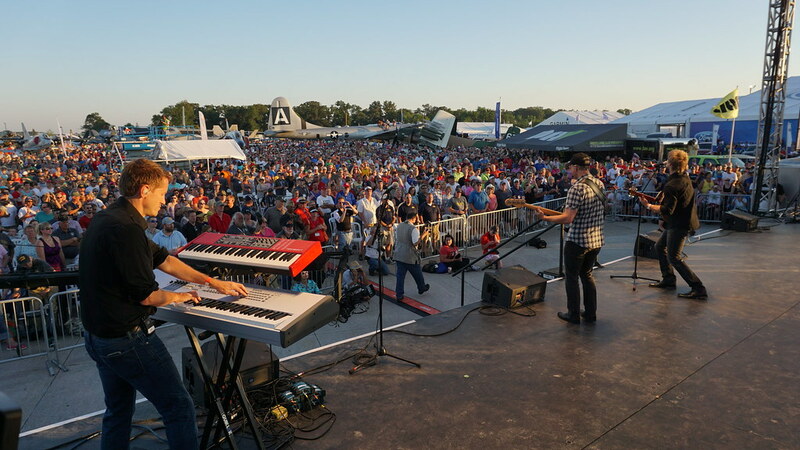 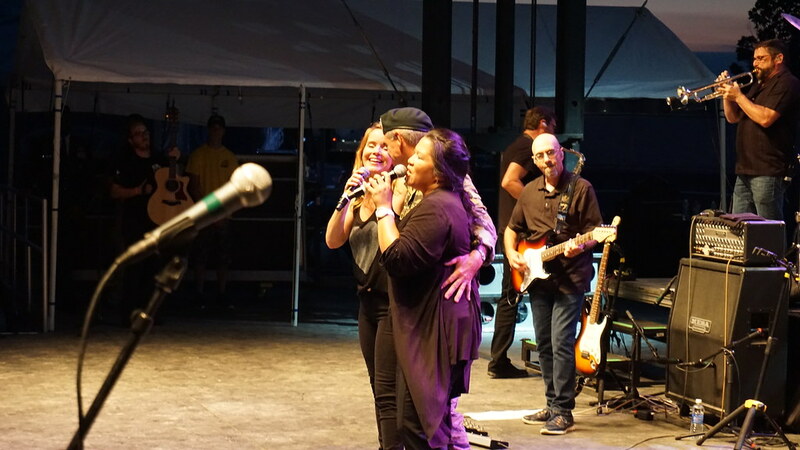 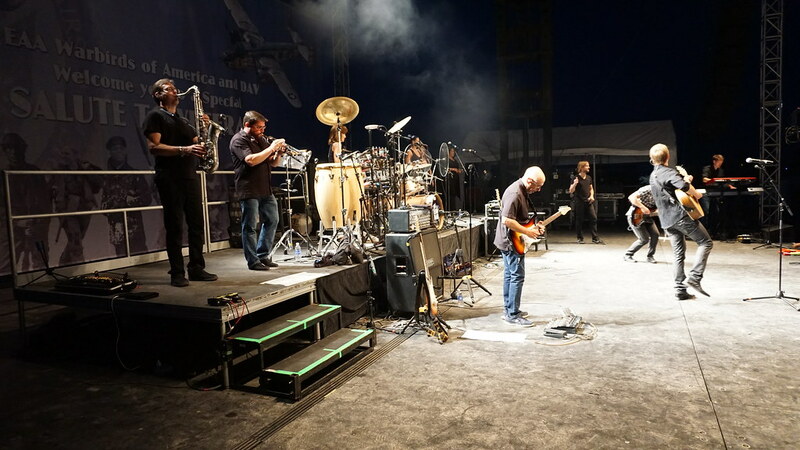 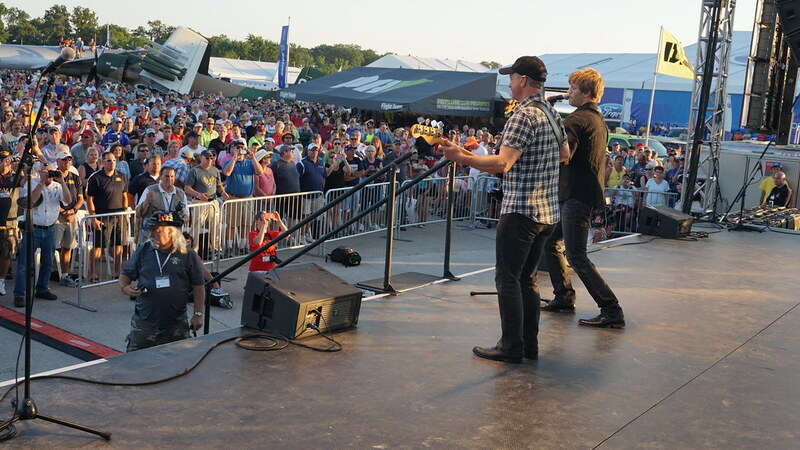 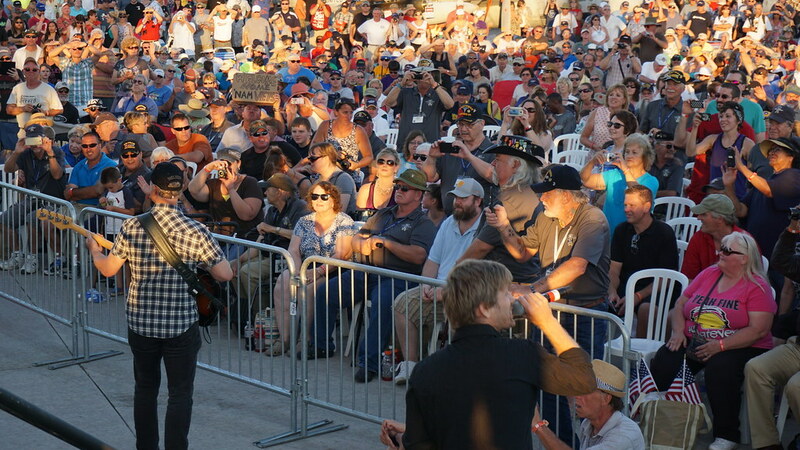 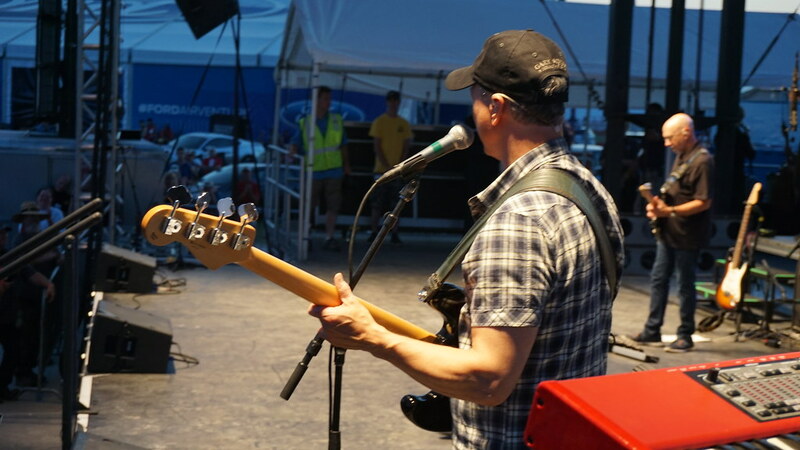 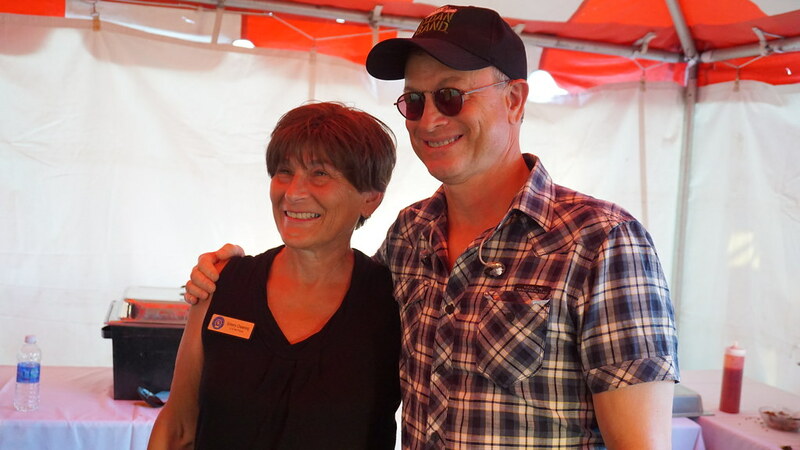 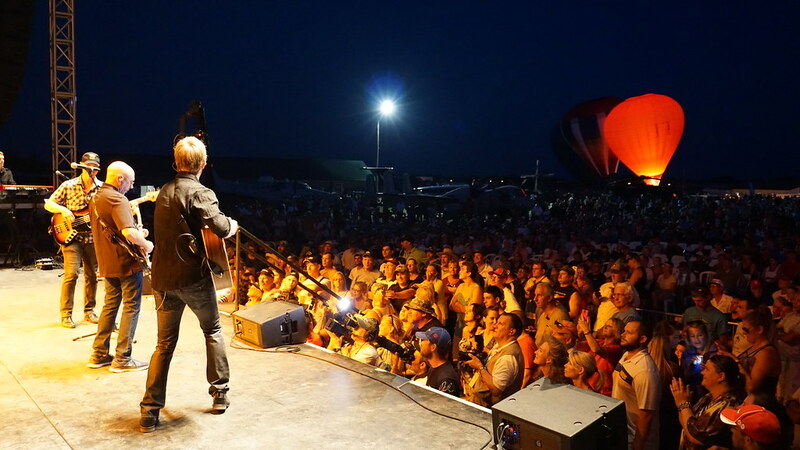 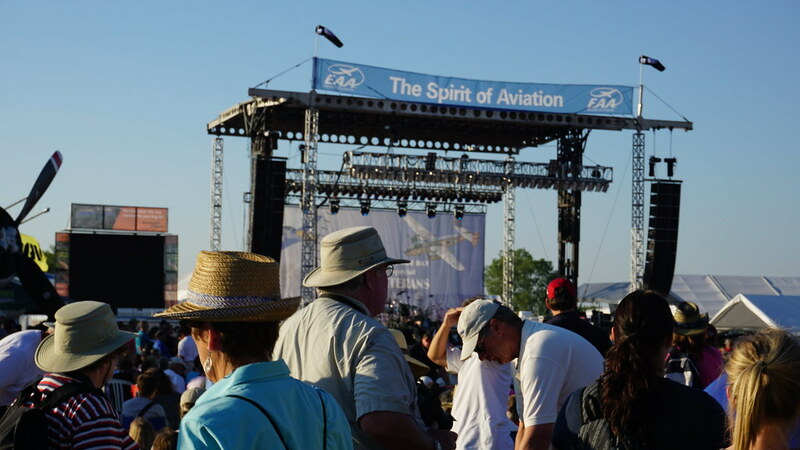 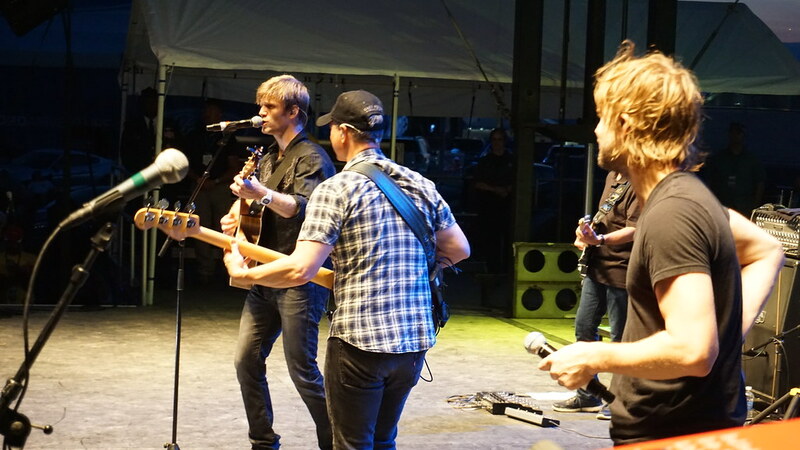 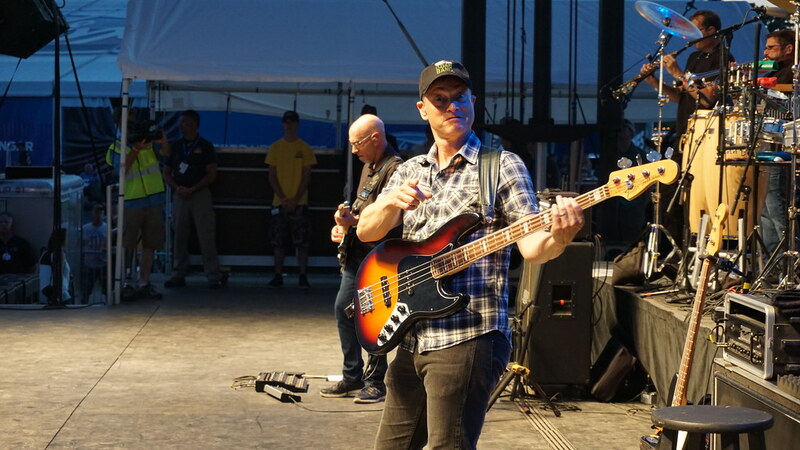 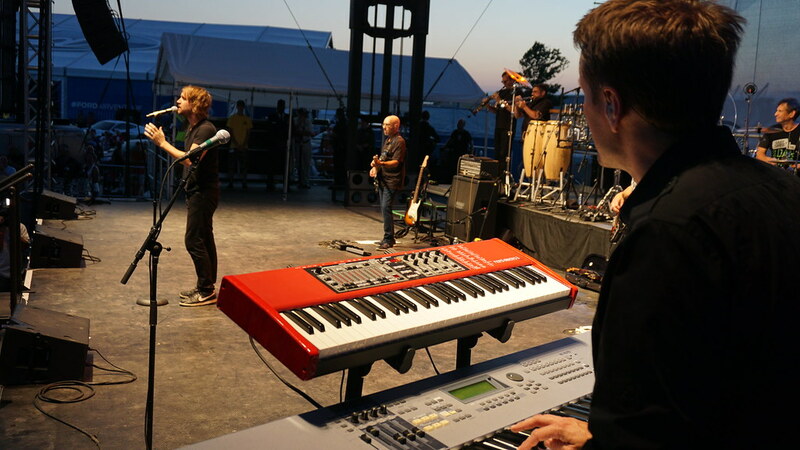 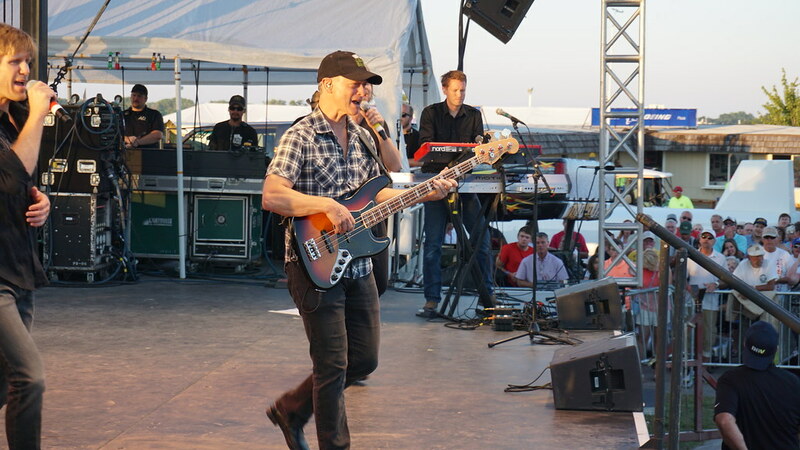 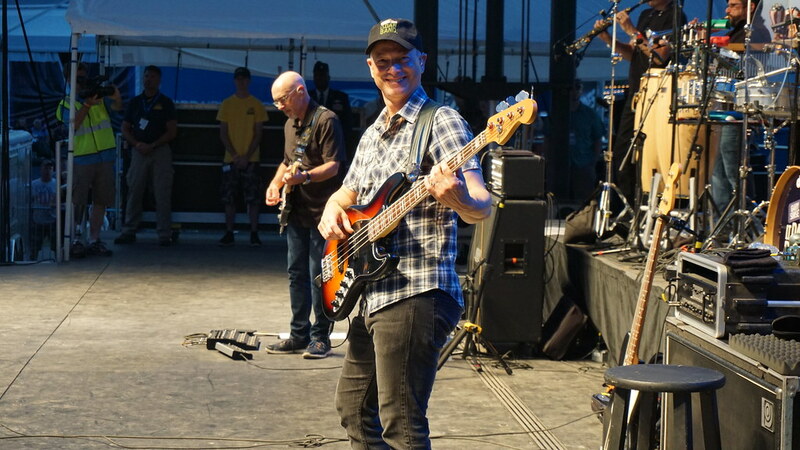 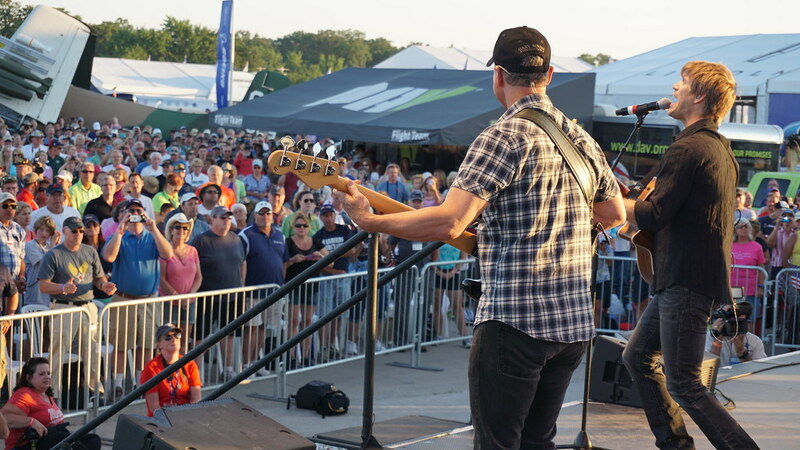 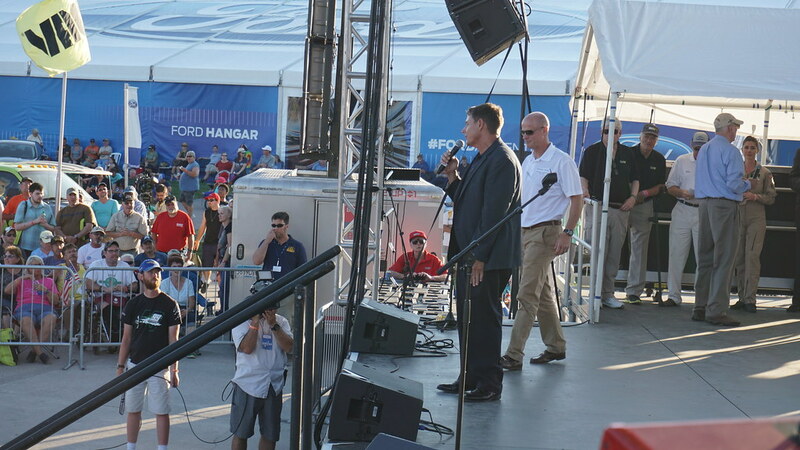 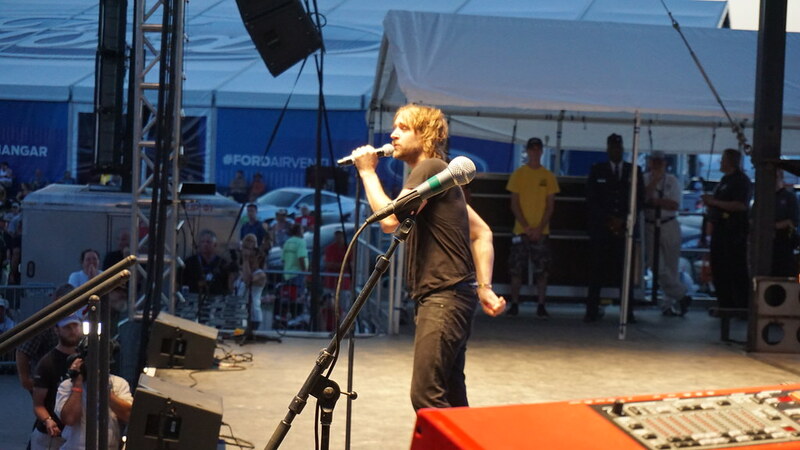 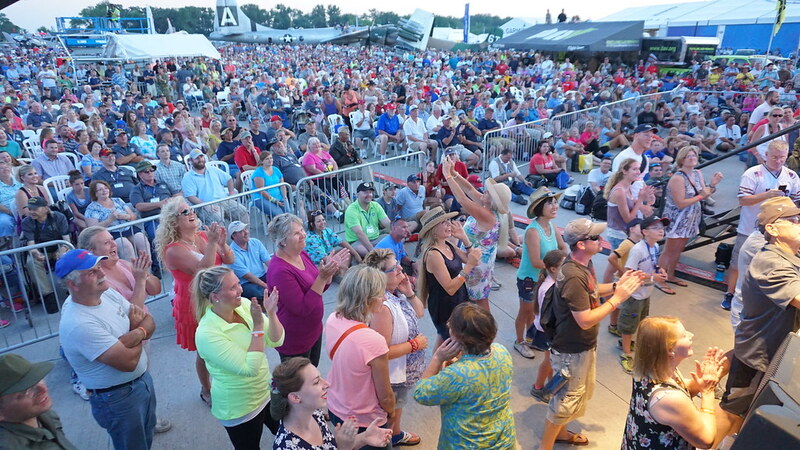 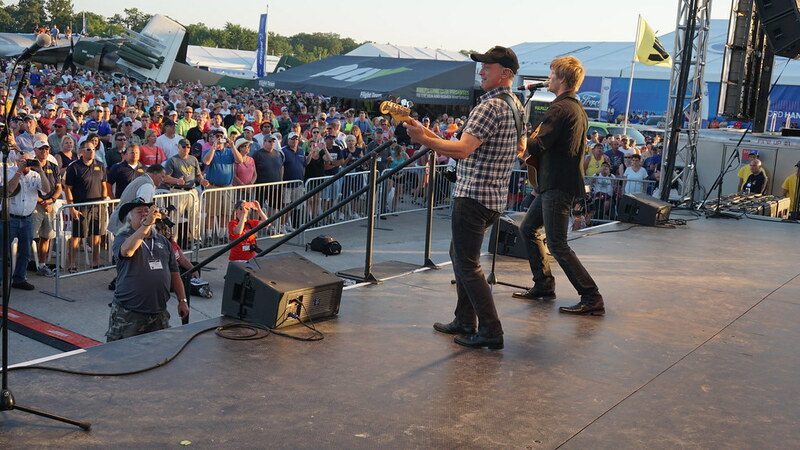 The evening finished by another amazing concert by Gary Sinise and the Lt. Dan Band.